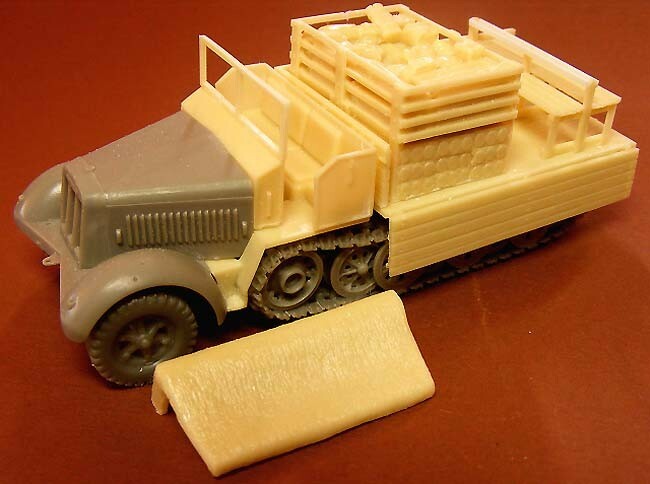 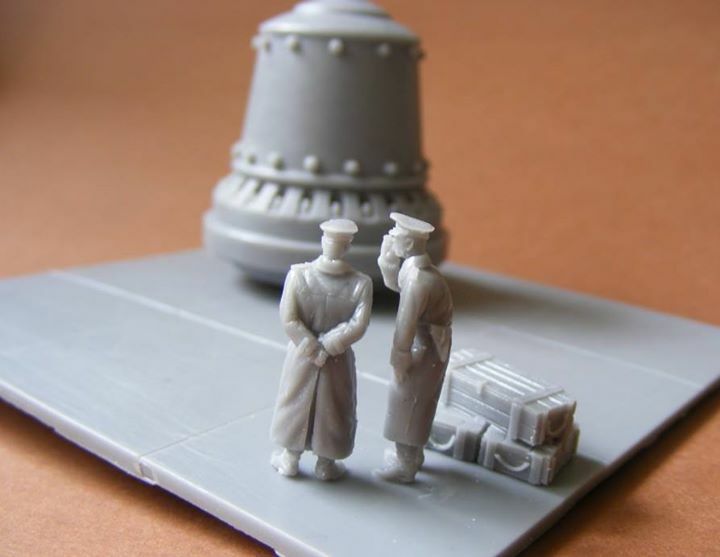 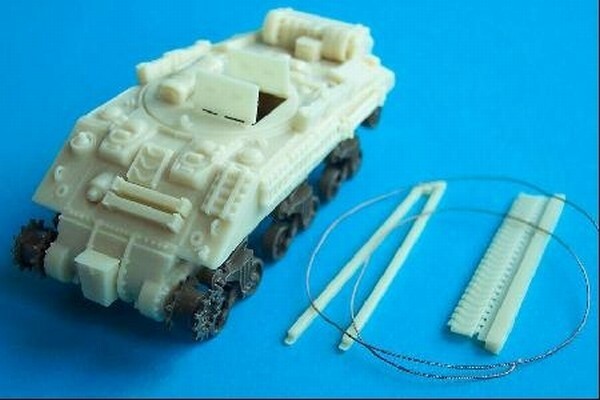 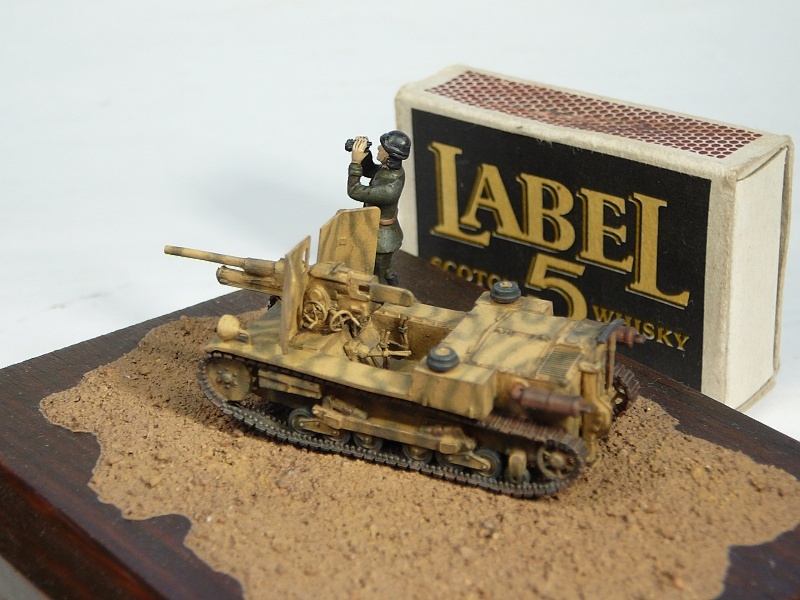 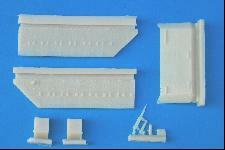 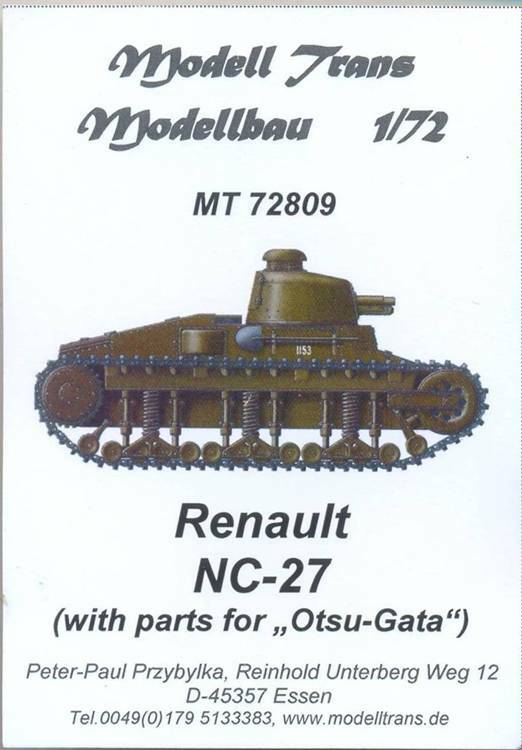 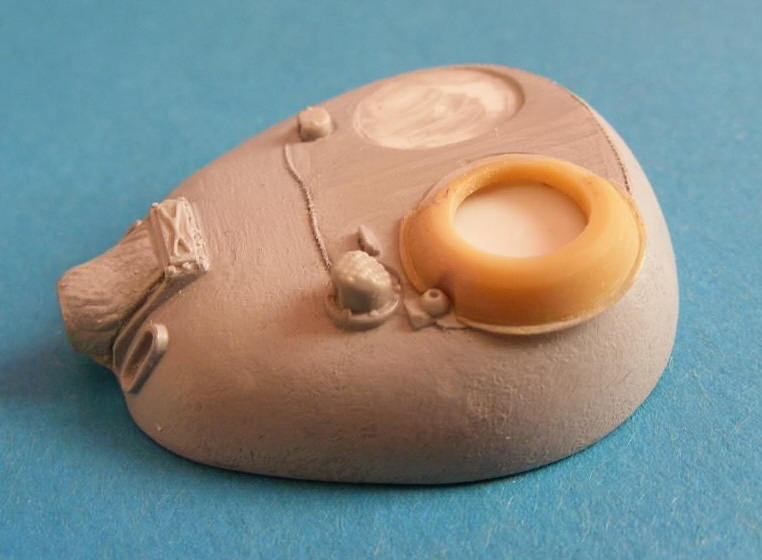 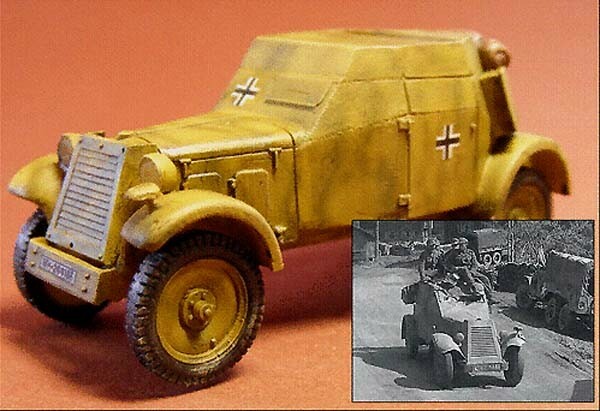 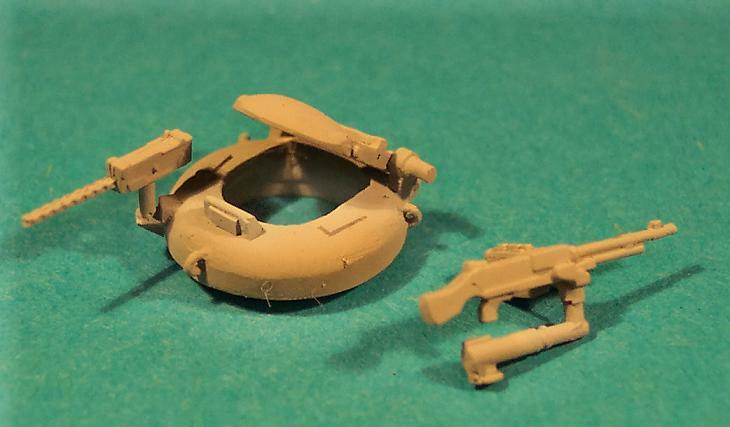 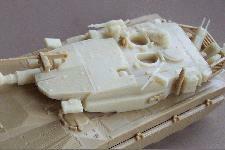 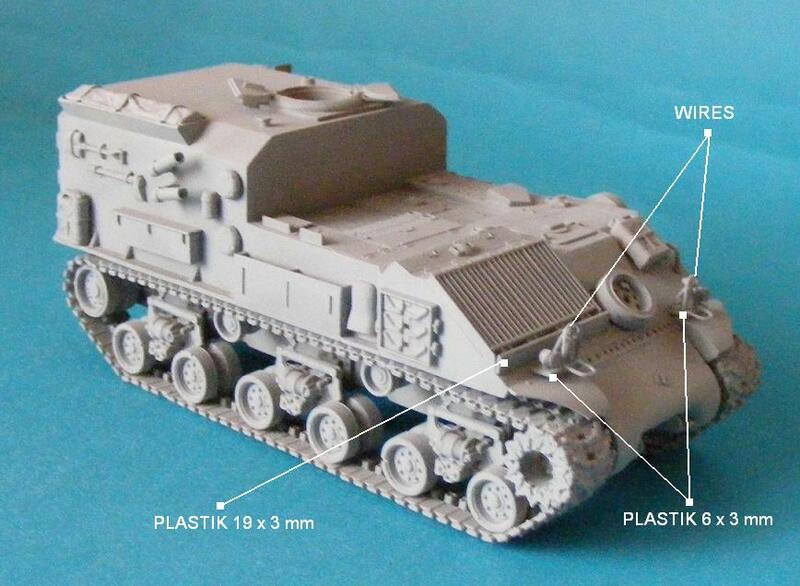 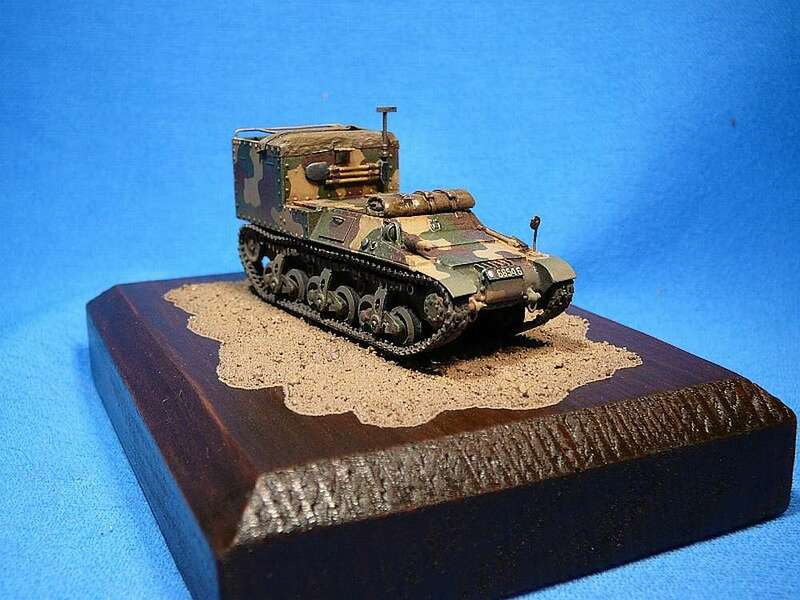 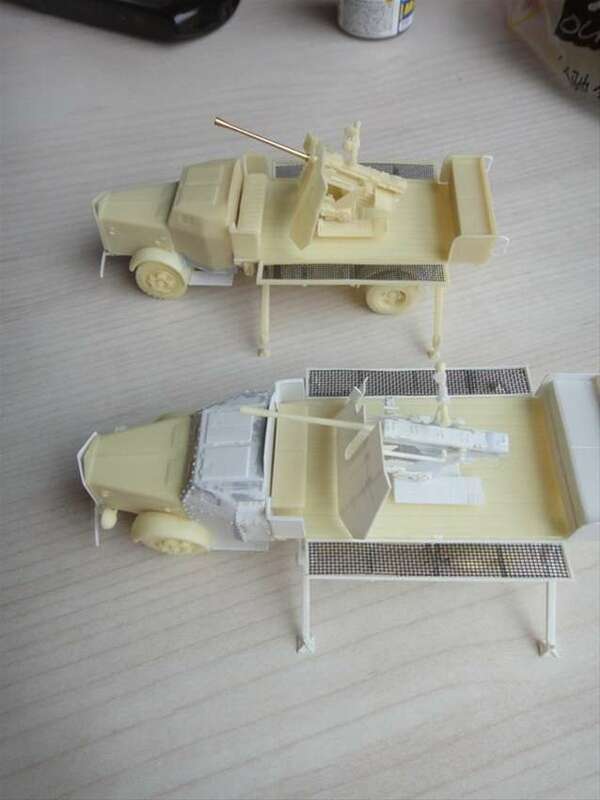 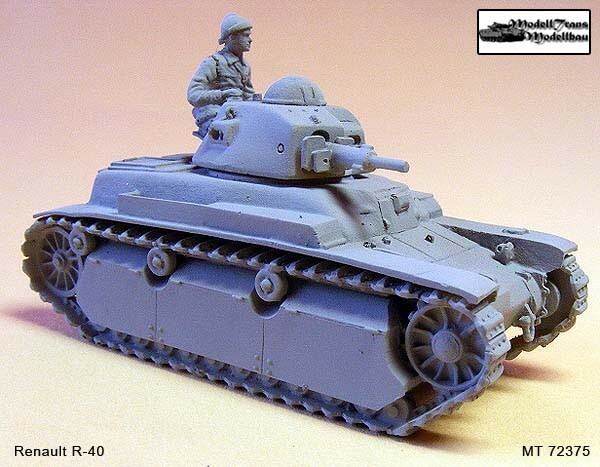 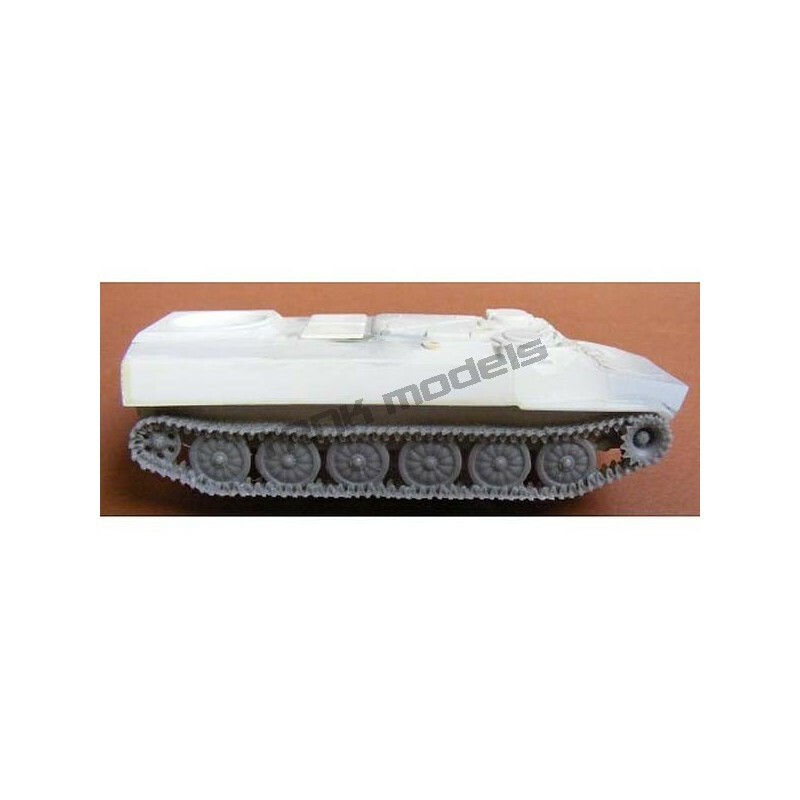 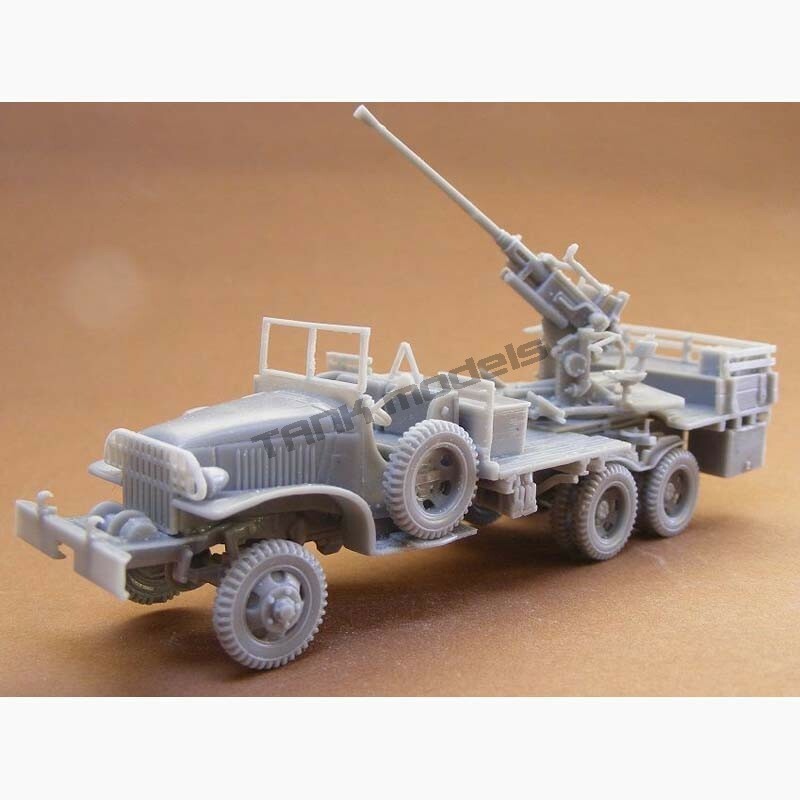 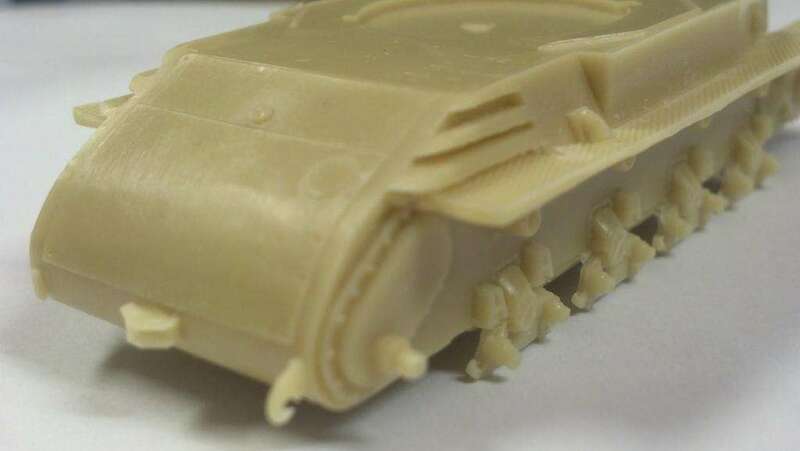 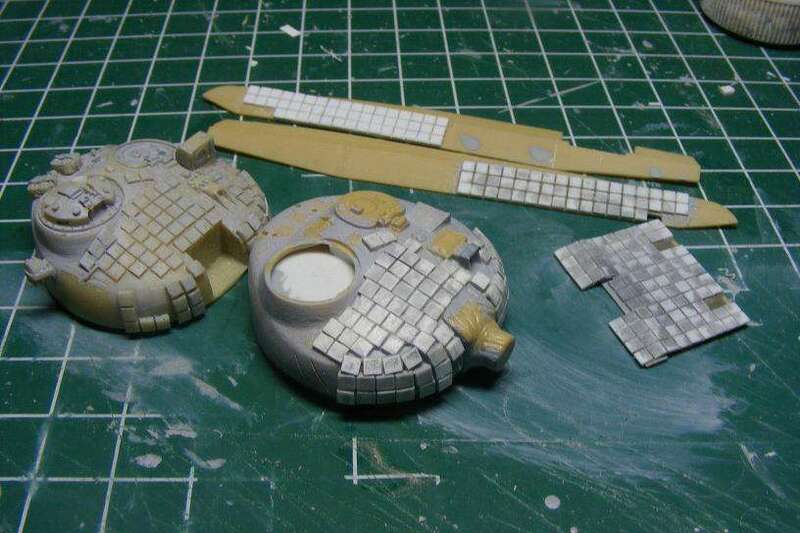 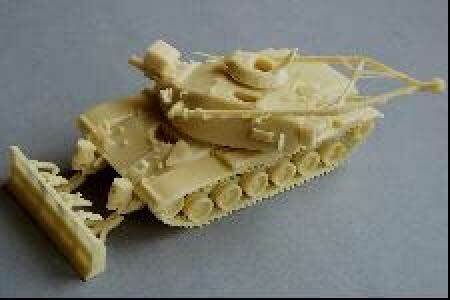 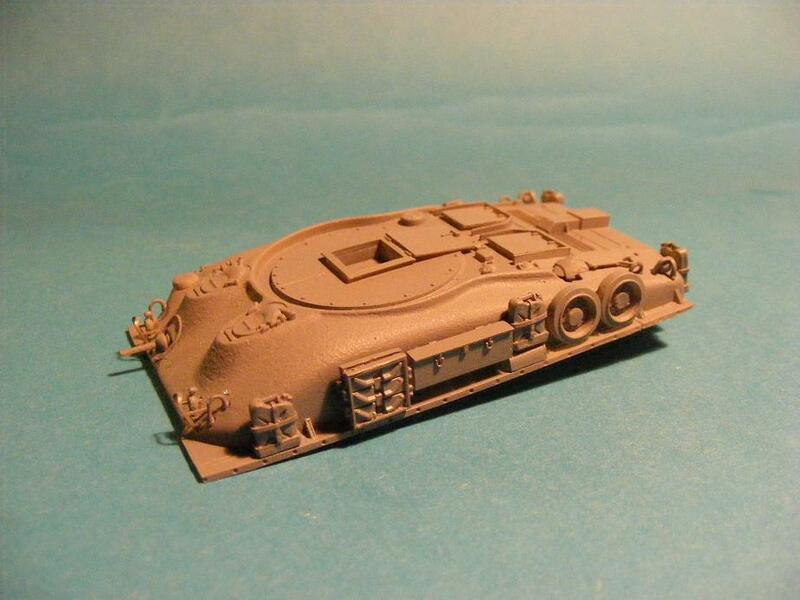 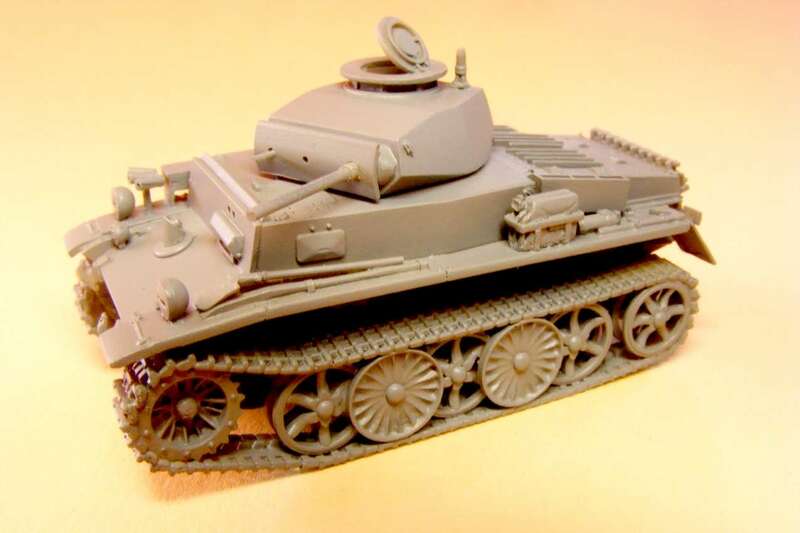 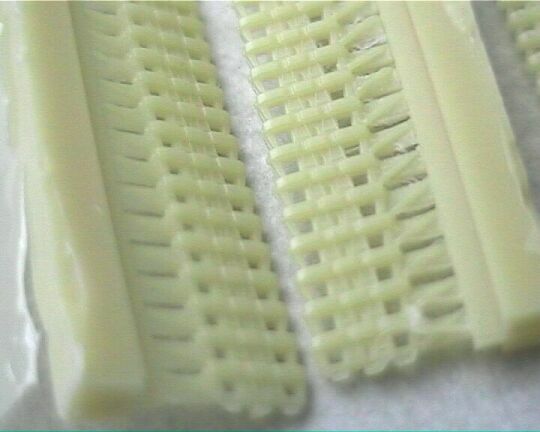 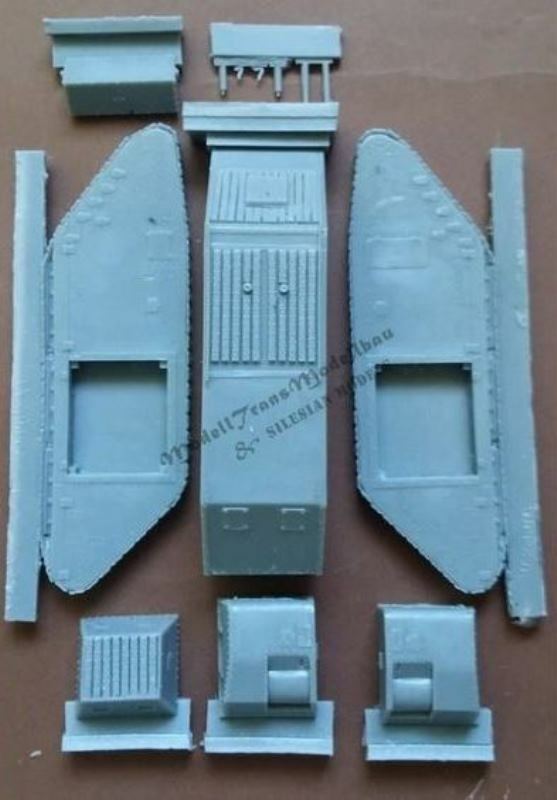 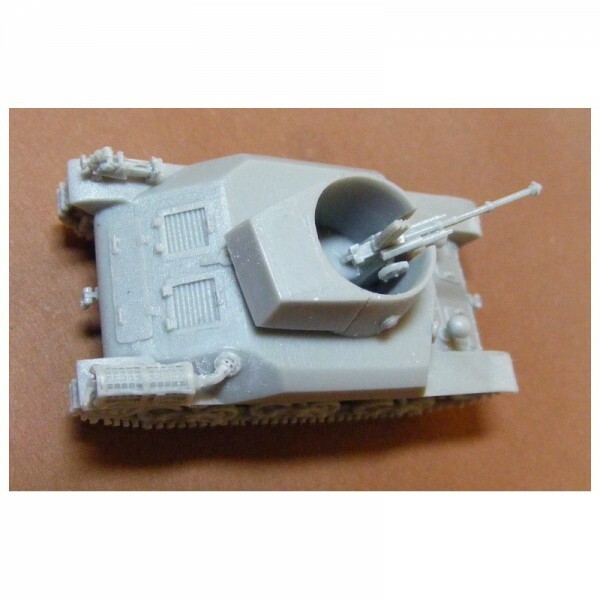 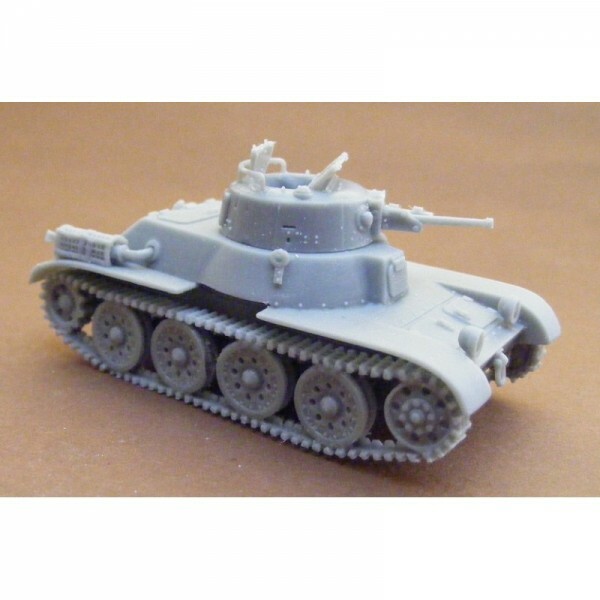 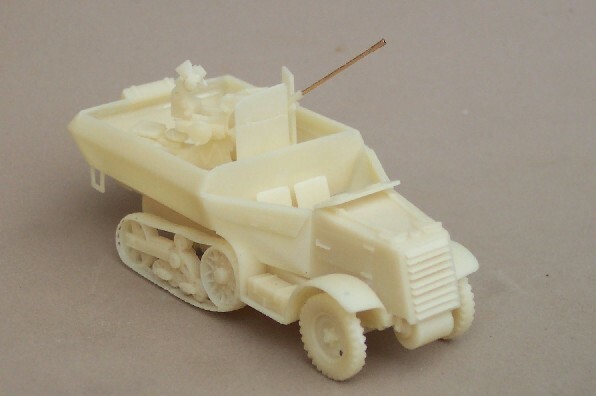 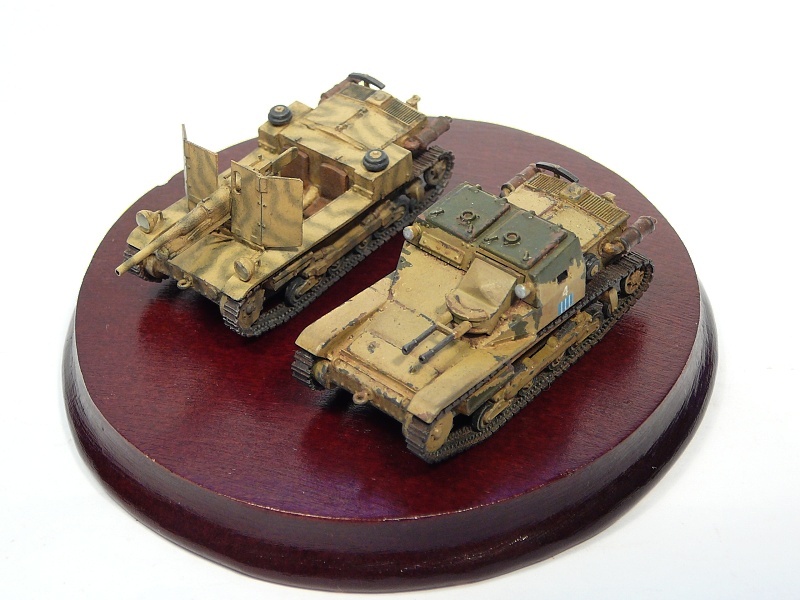 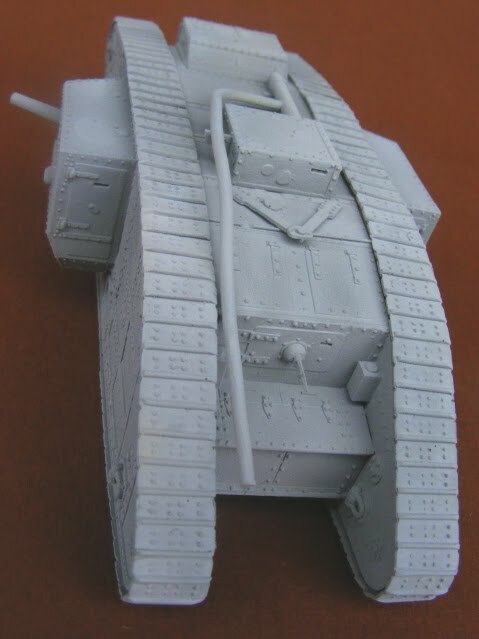 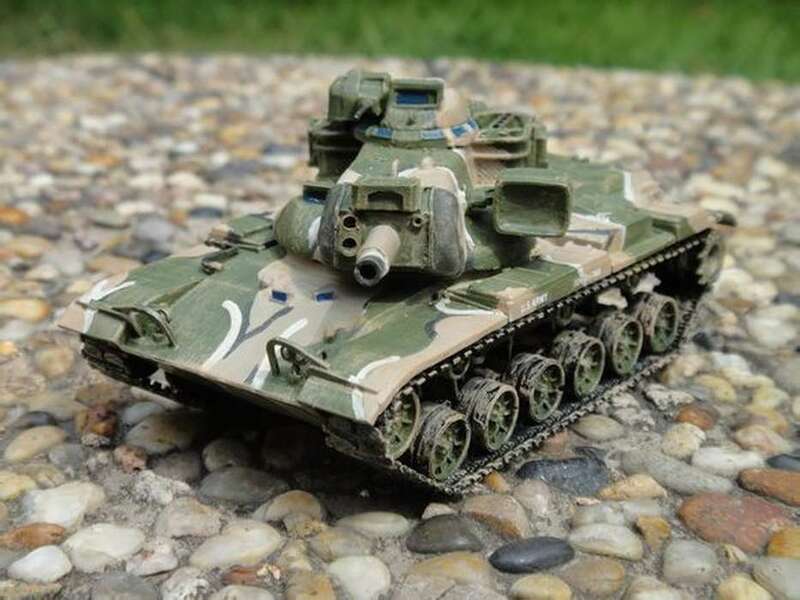 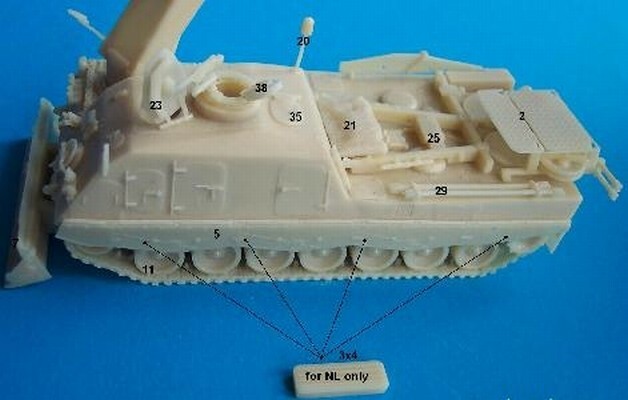 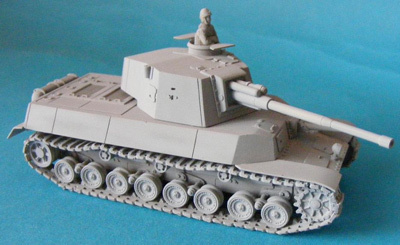 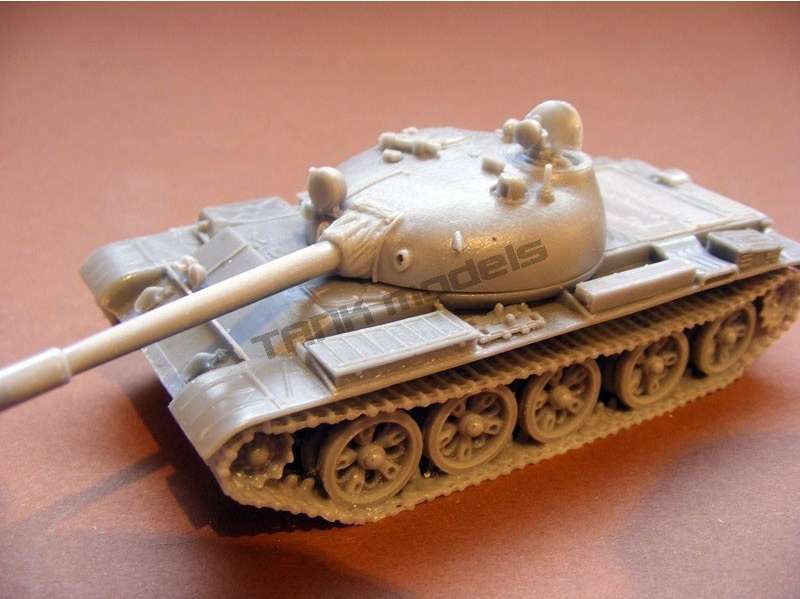 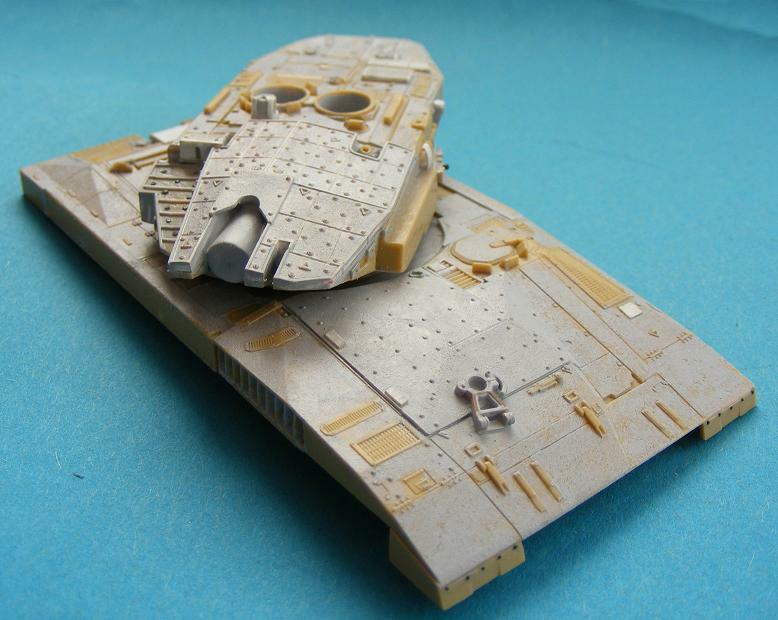 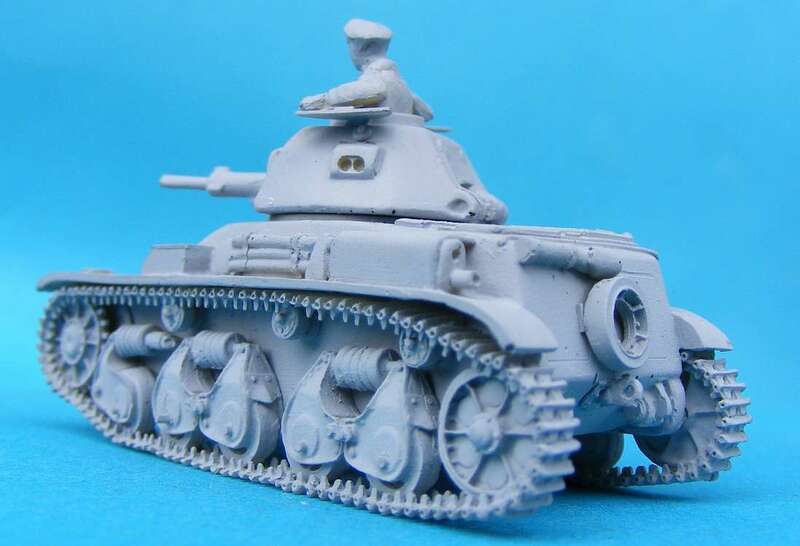 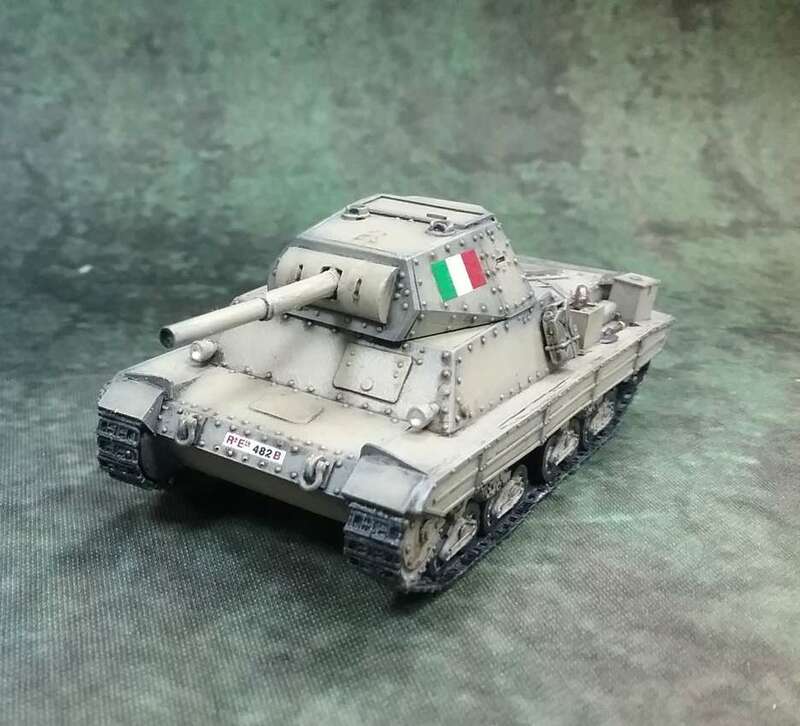 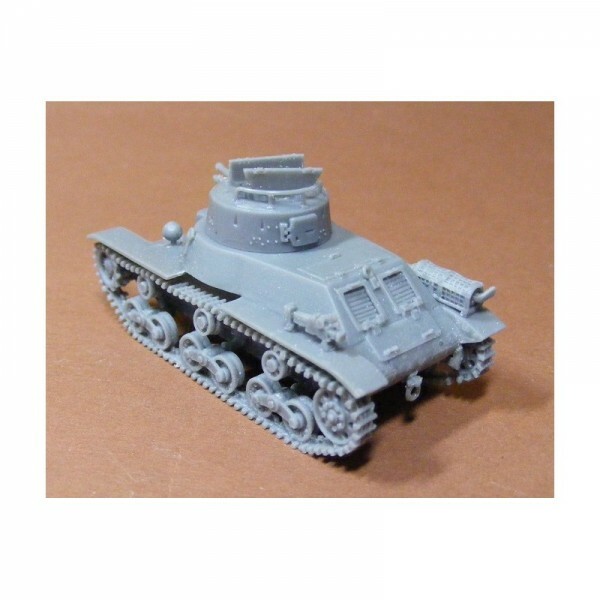 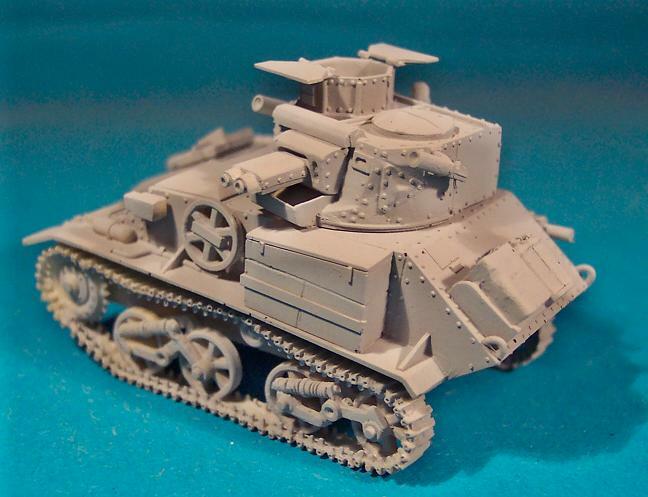 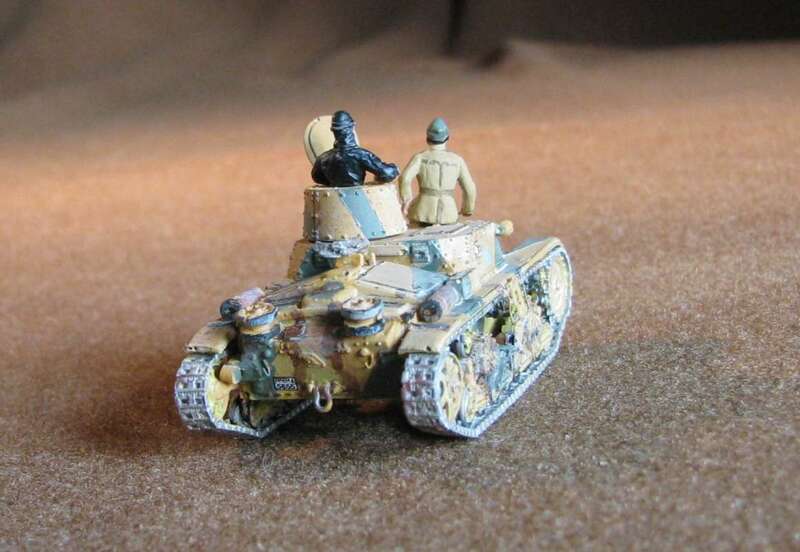 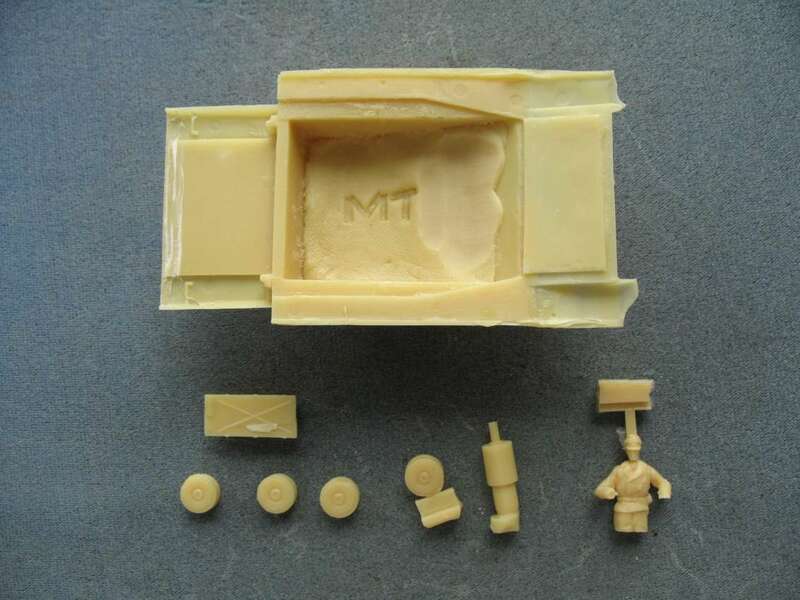 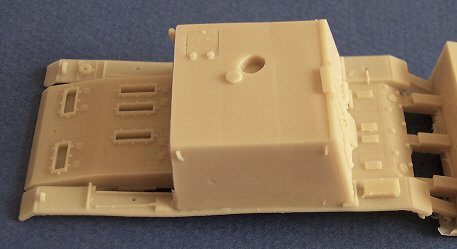 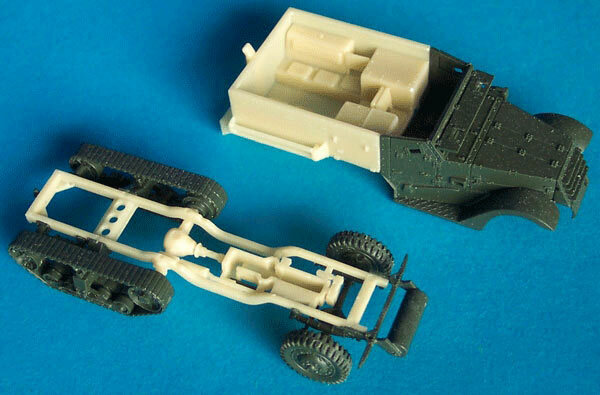 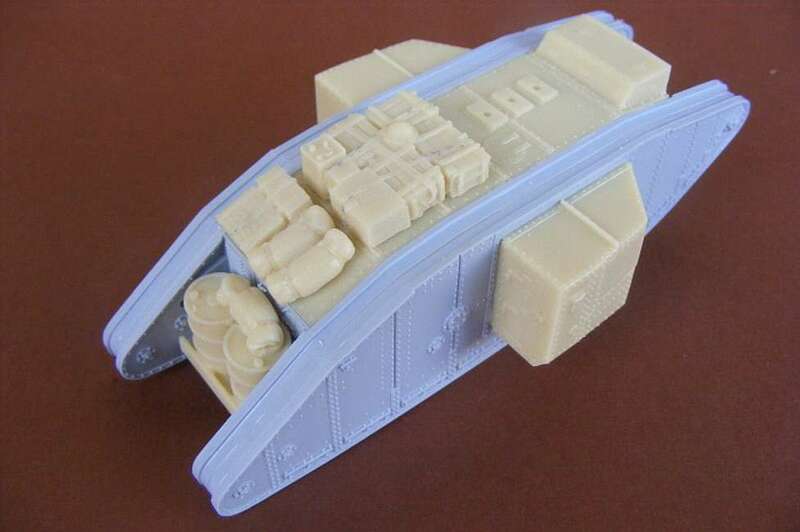 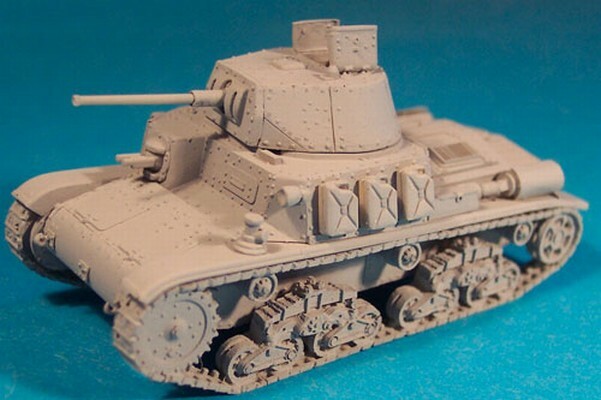 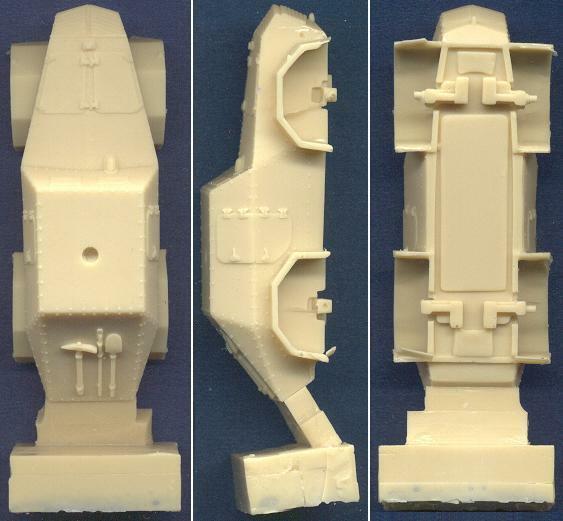 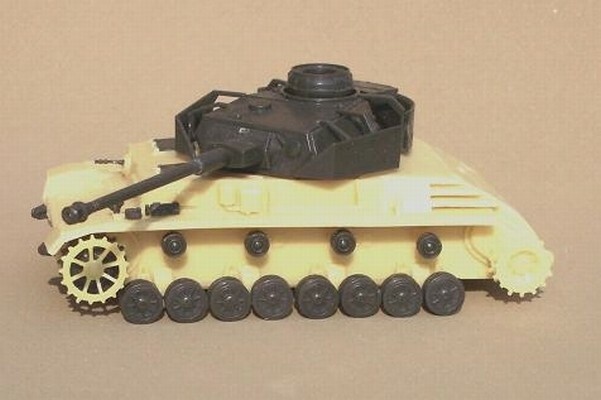 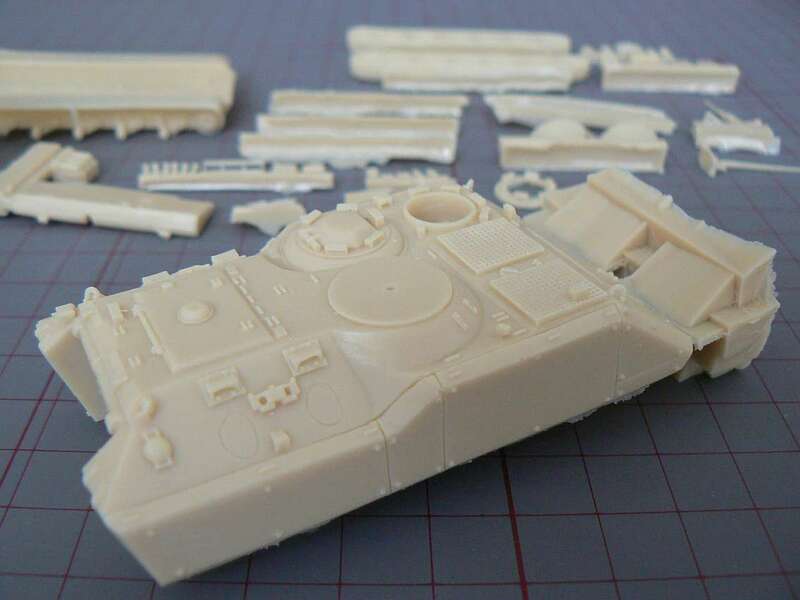 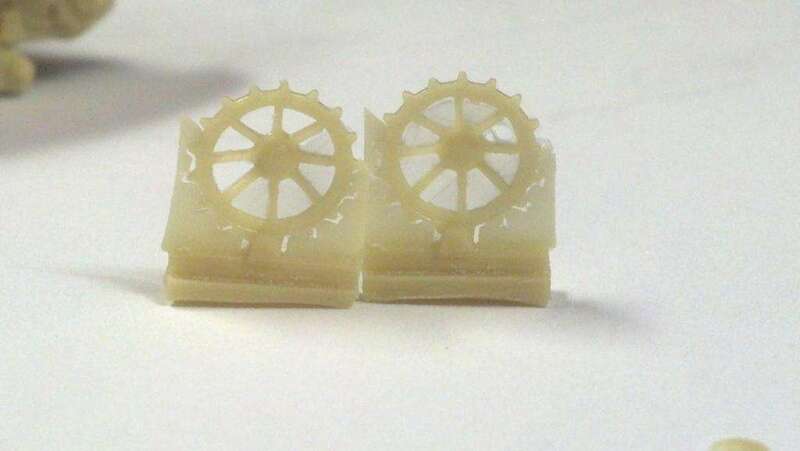 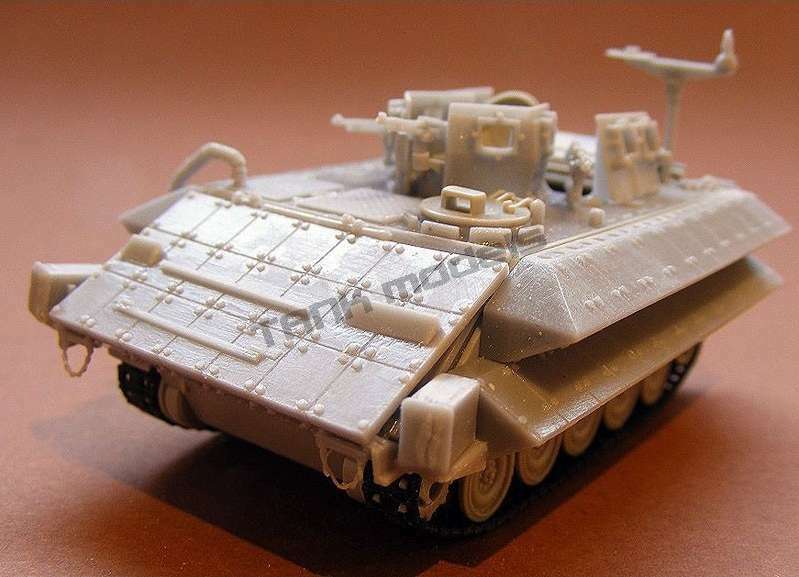 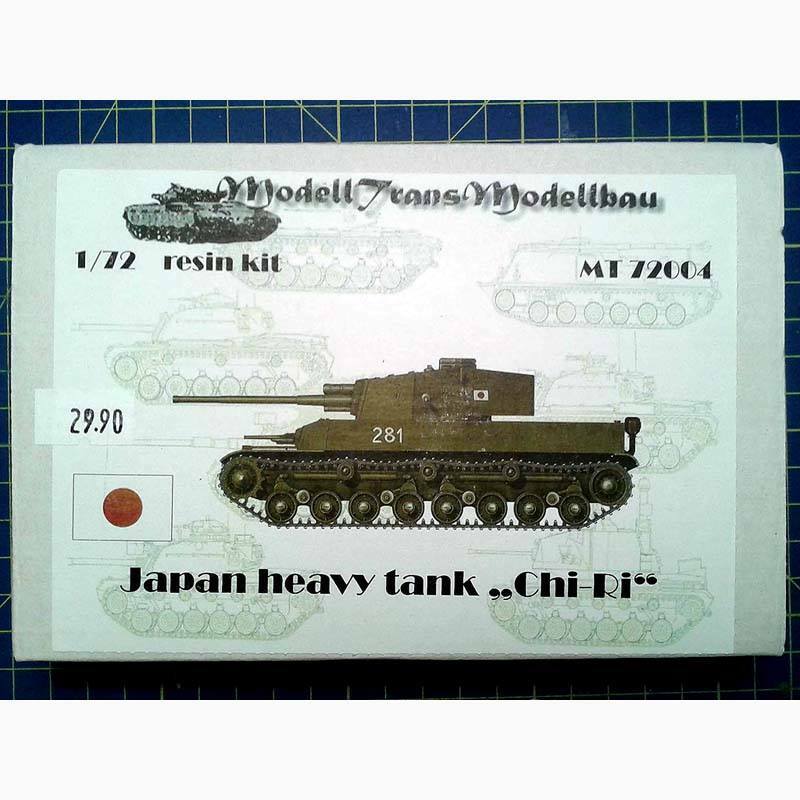 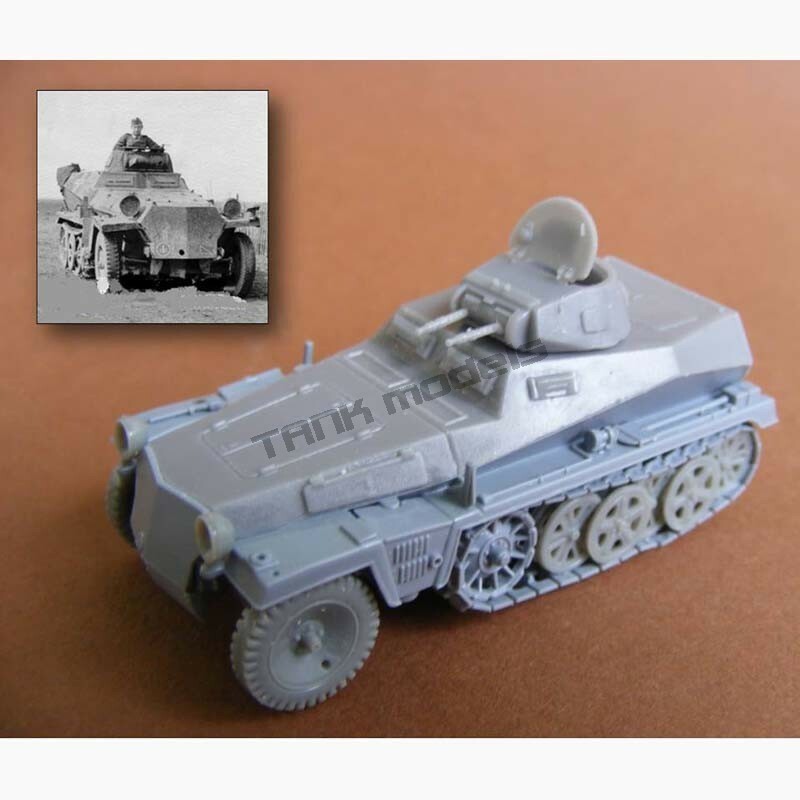 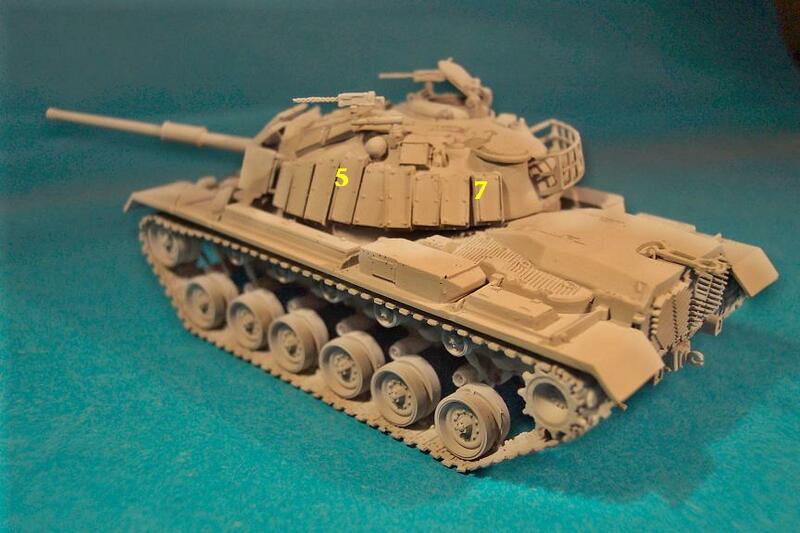 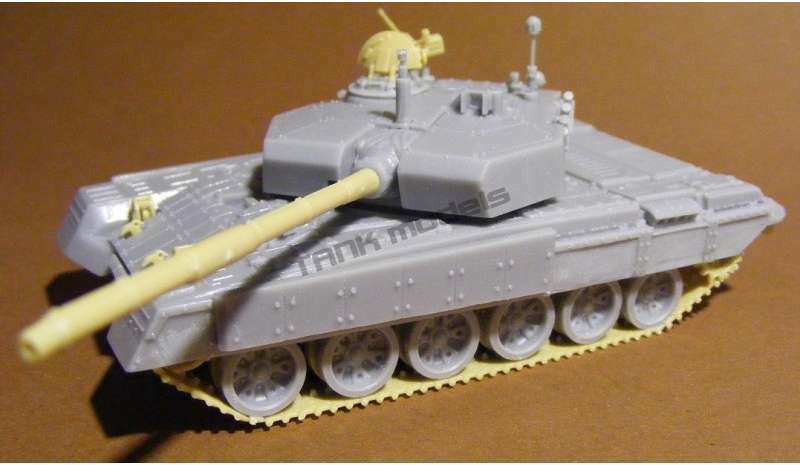 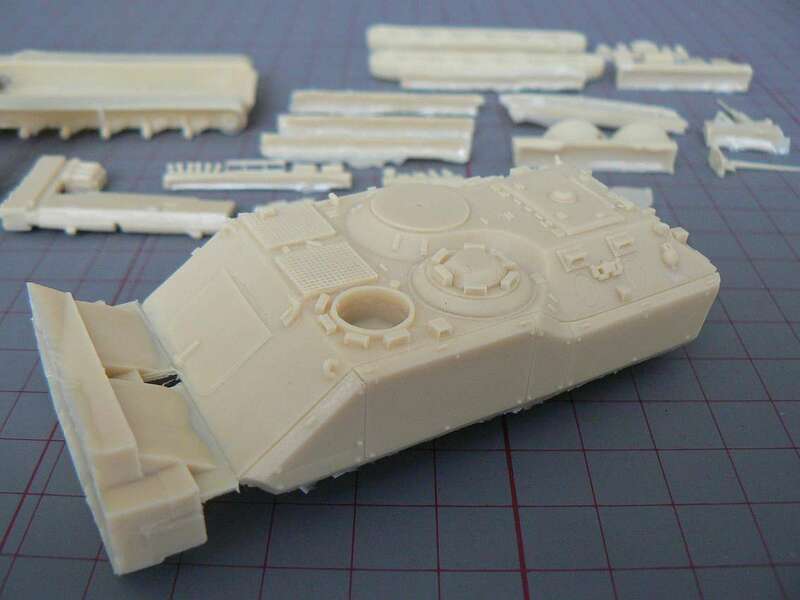 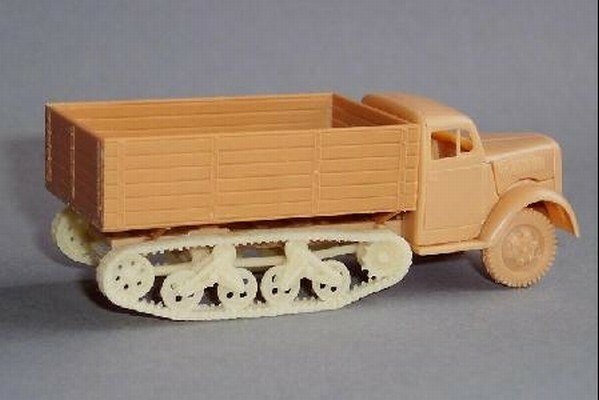 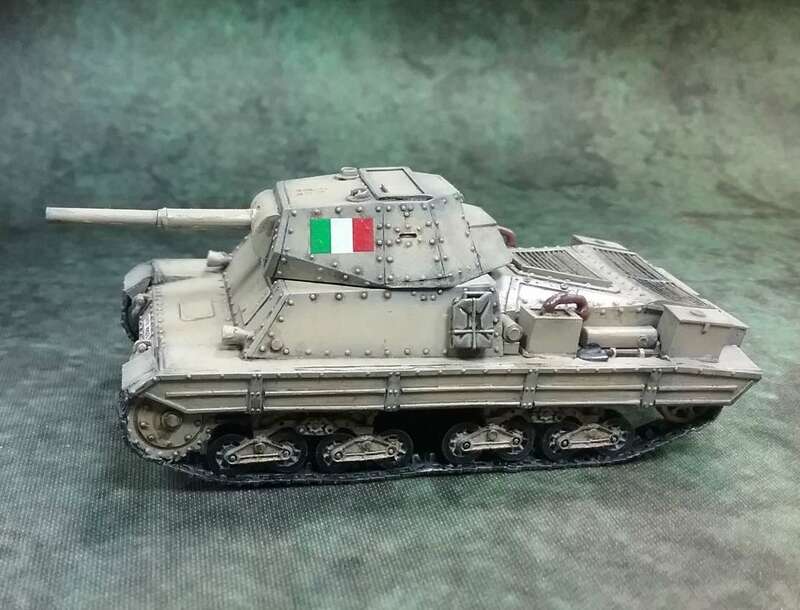 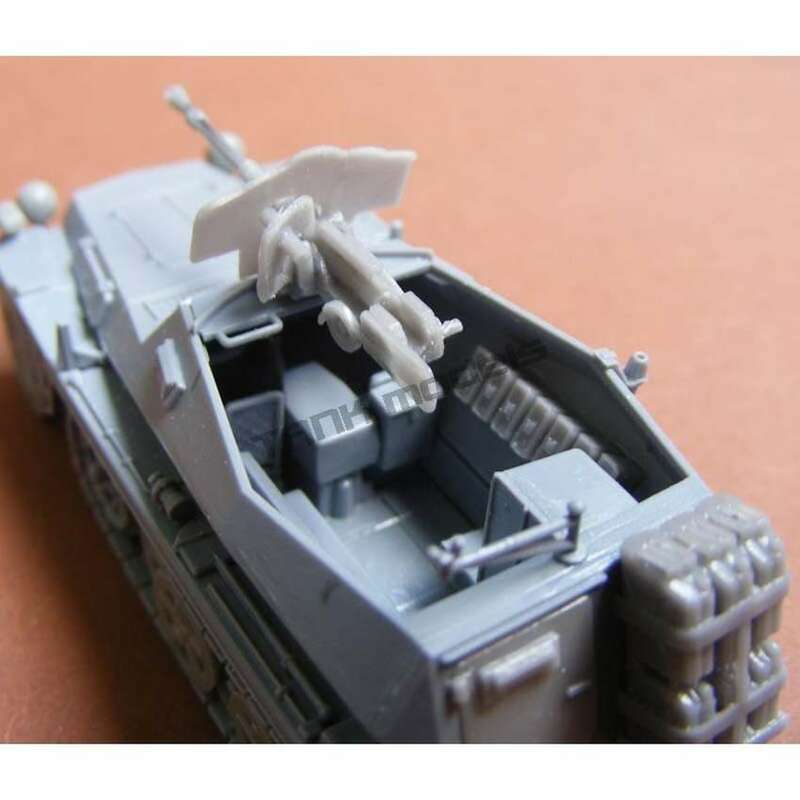 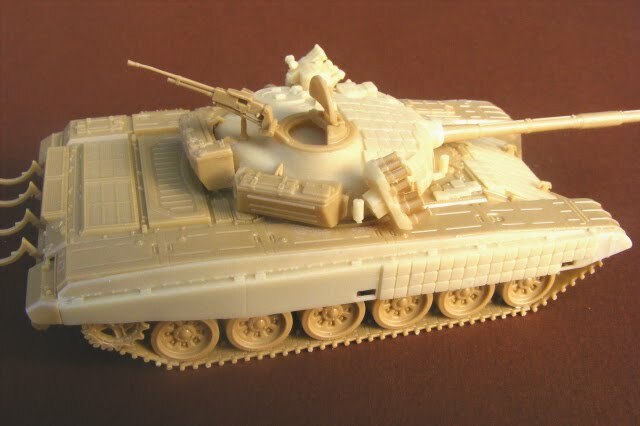 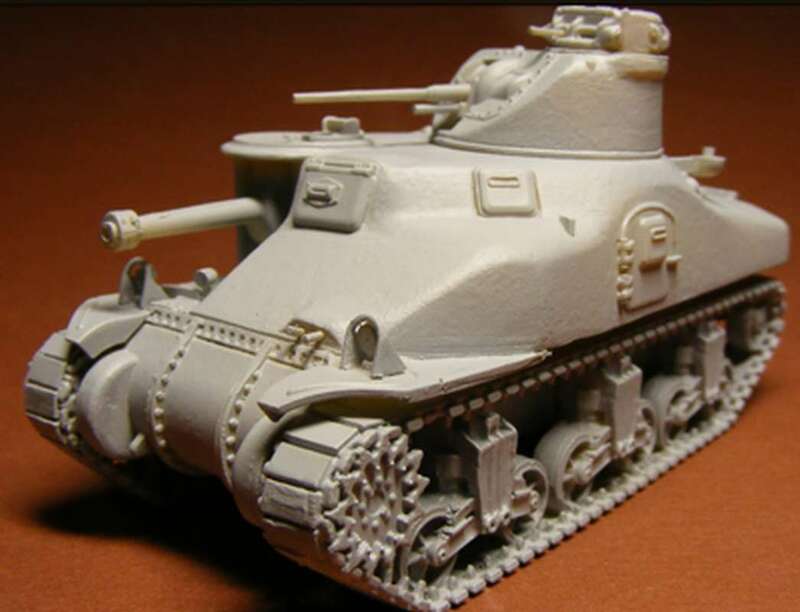 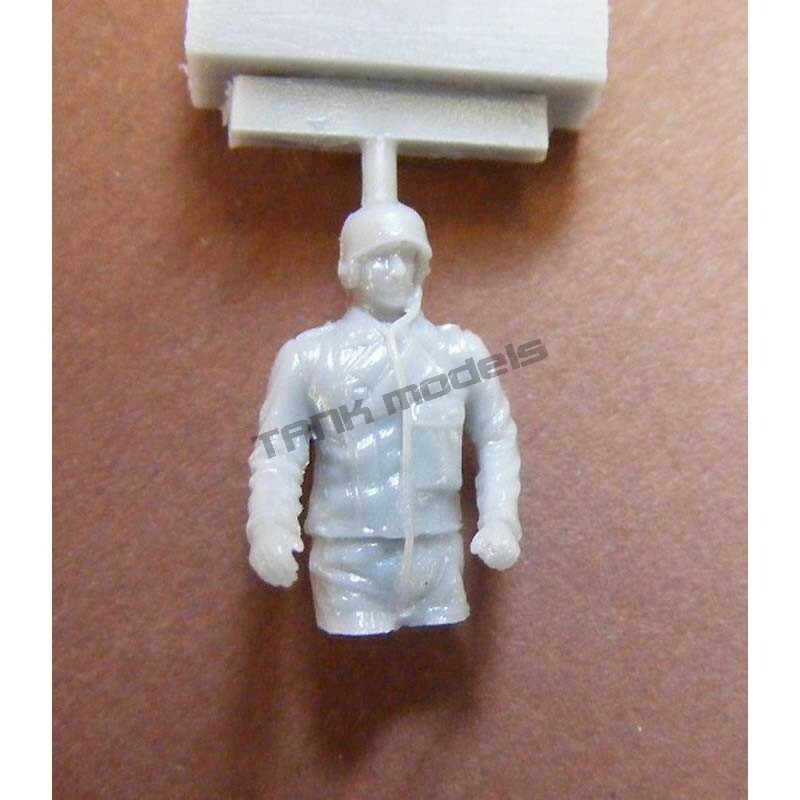 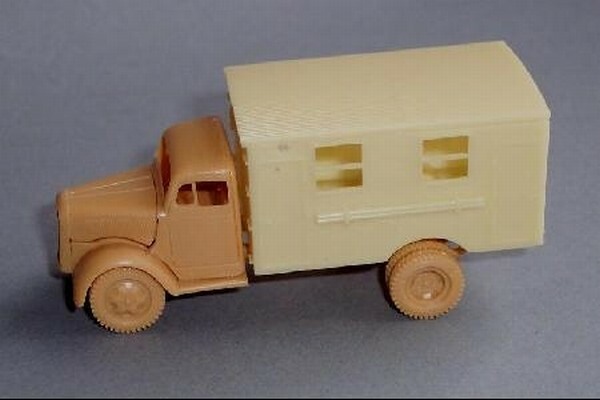 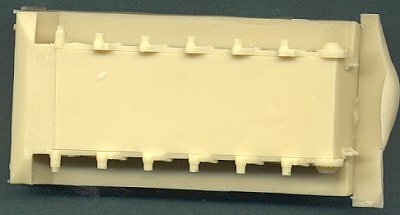 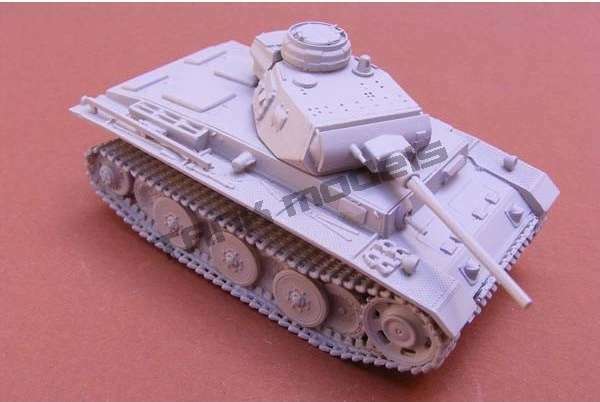 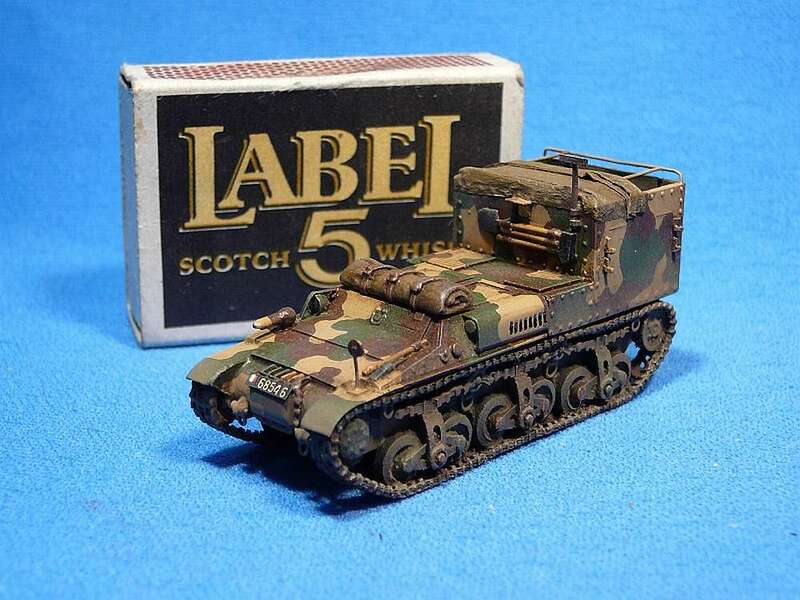 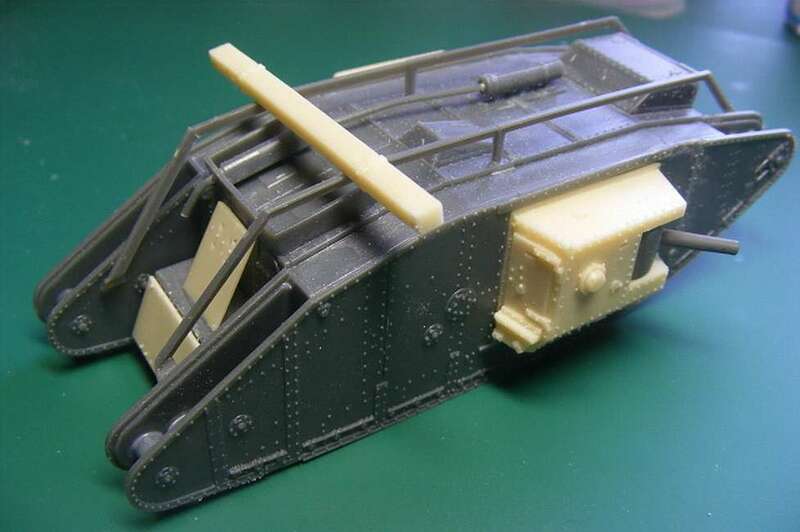 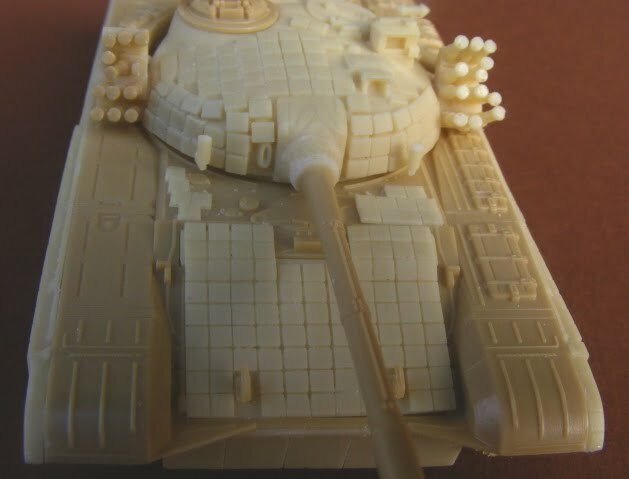 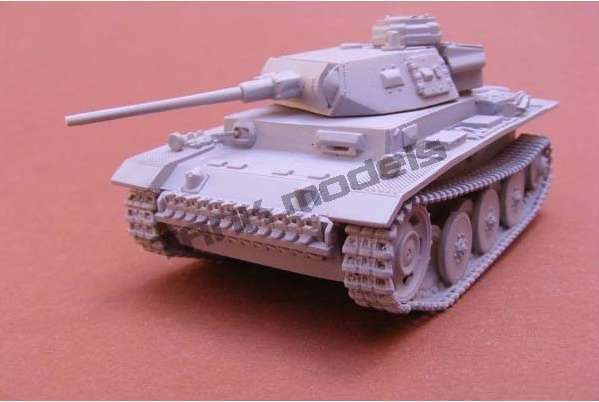 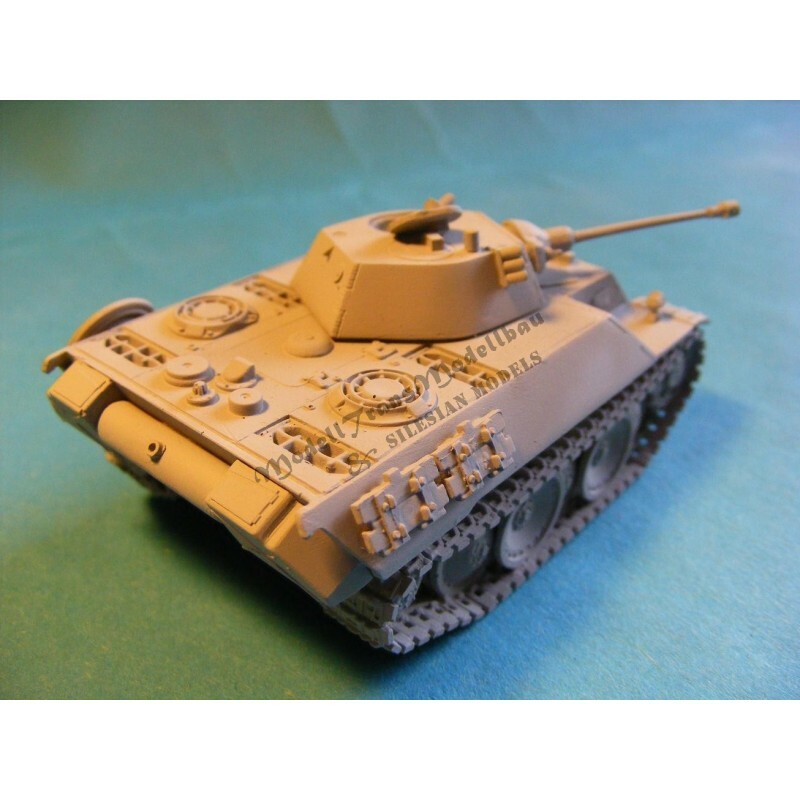 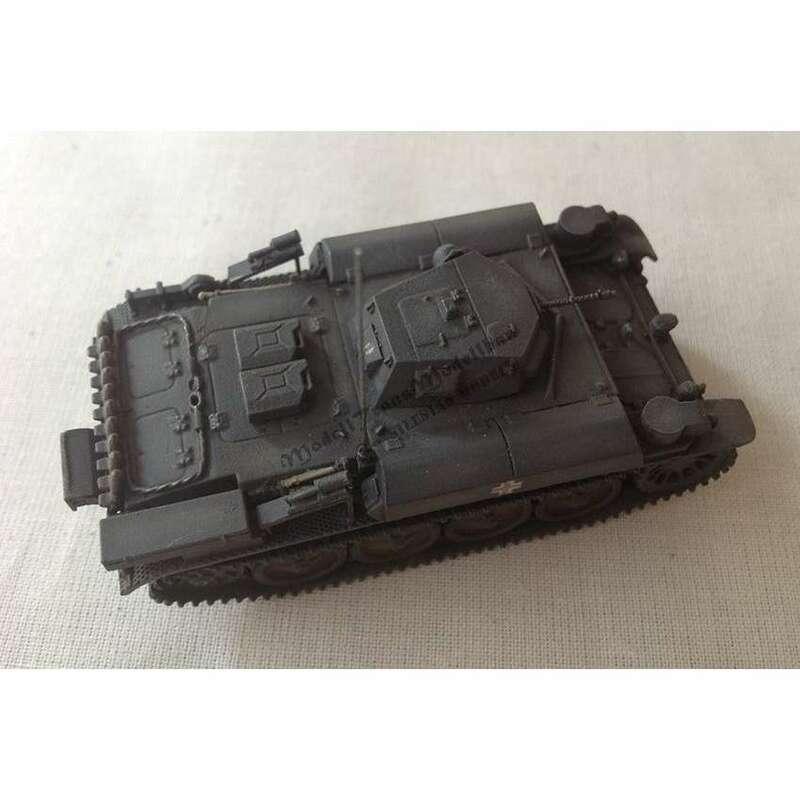 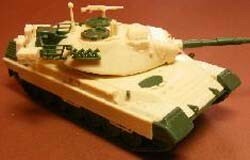 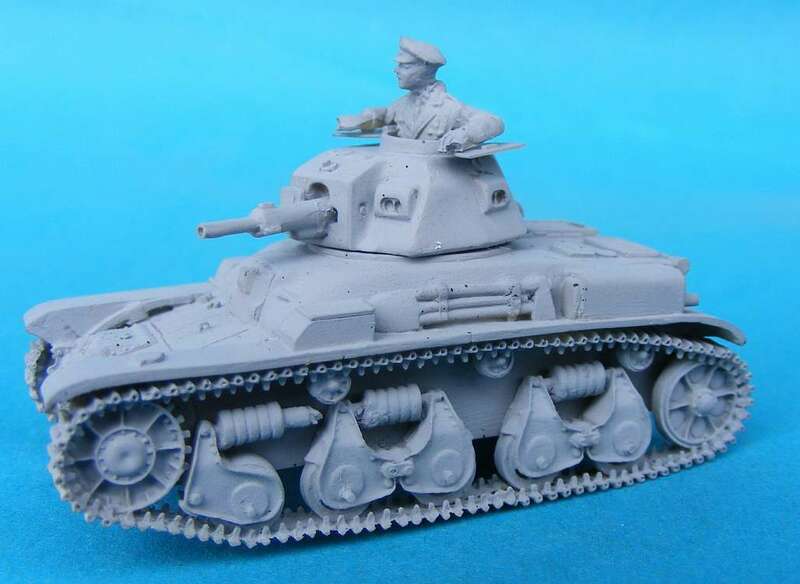 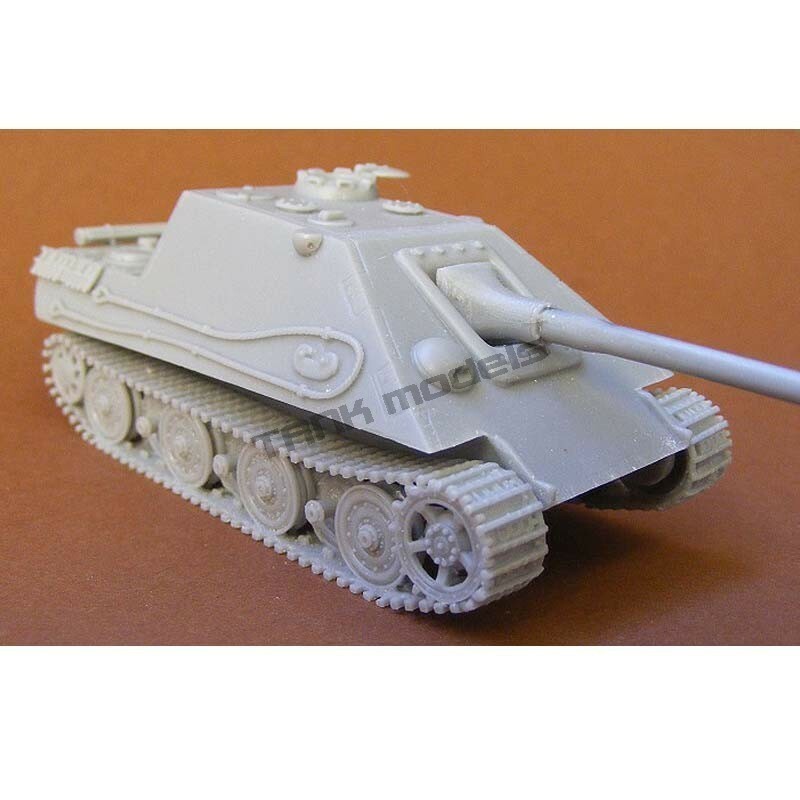 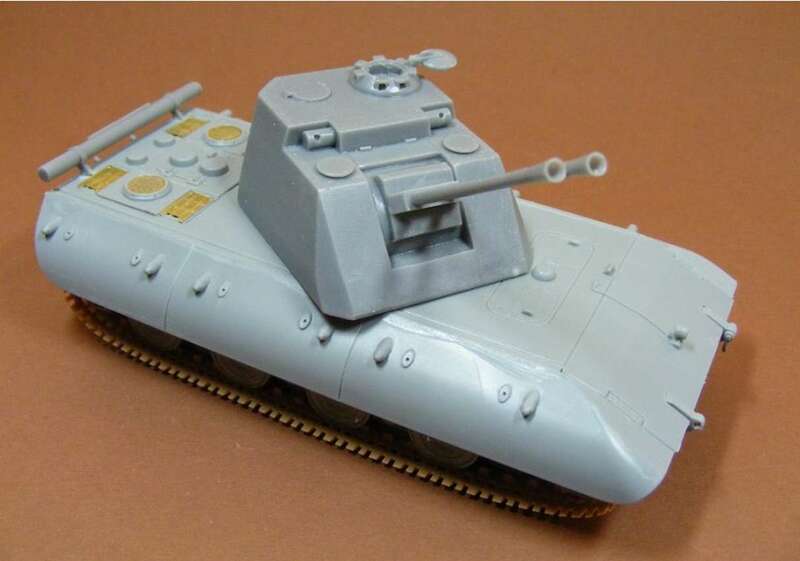 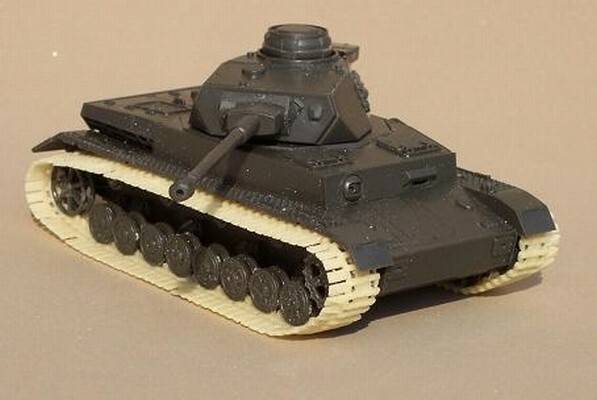 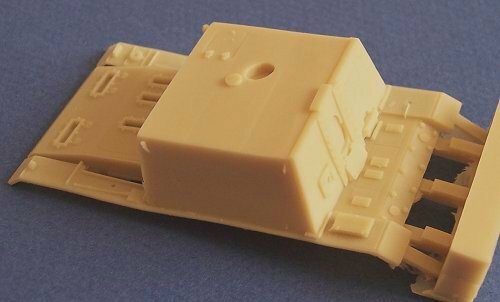 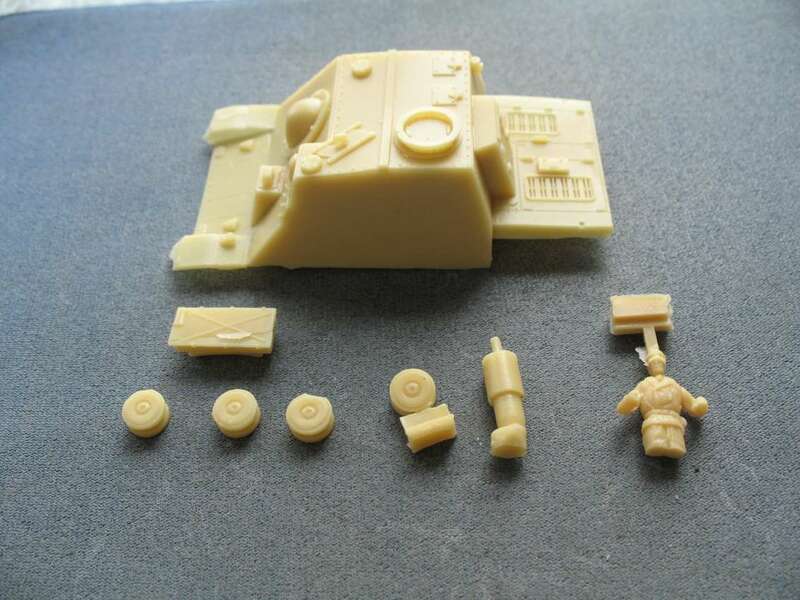 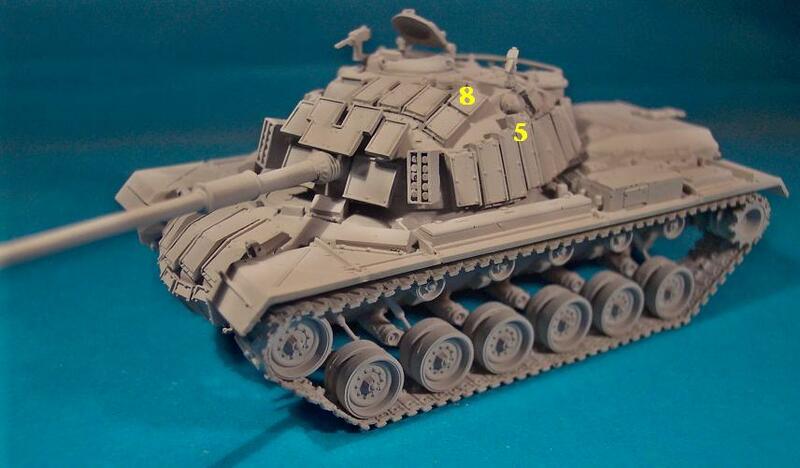 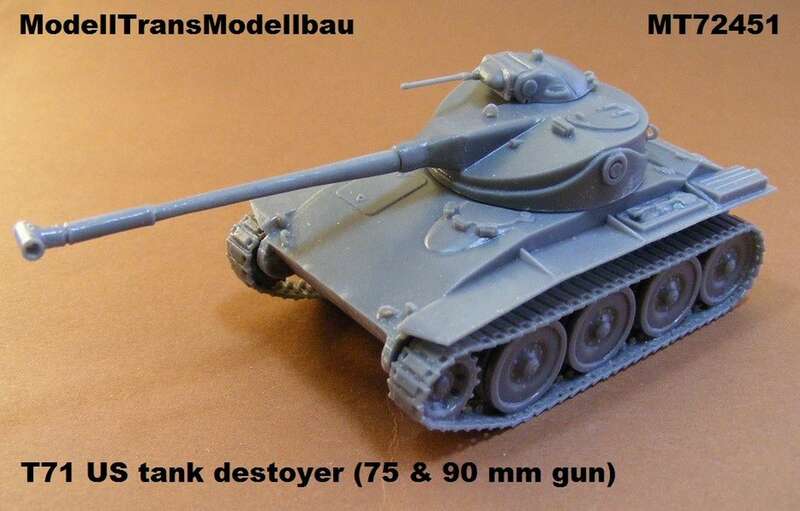 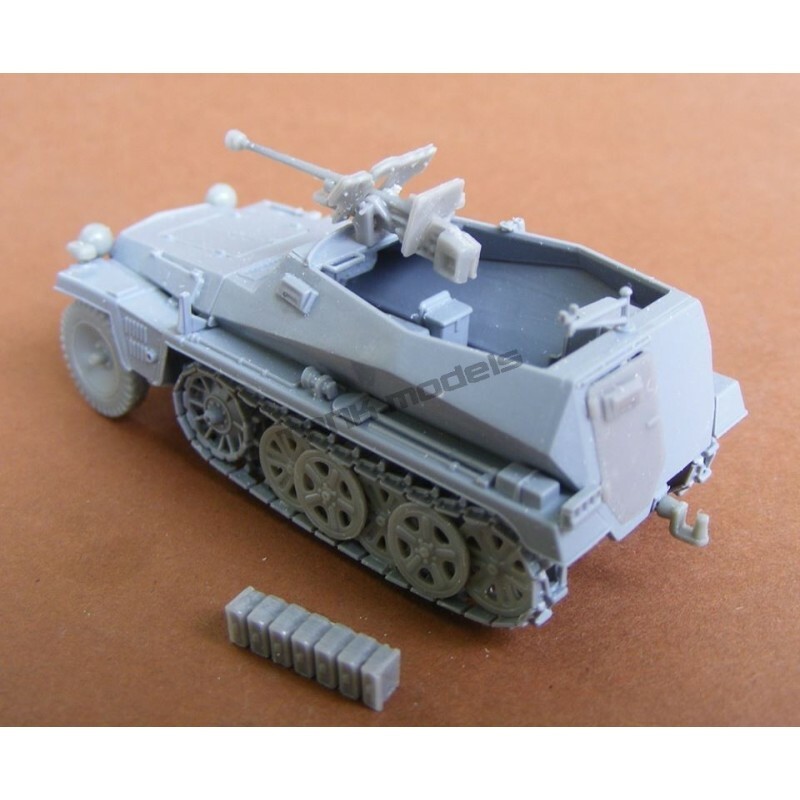 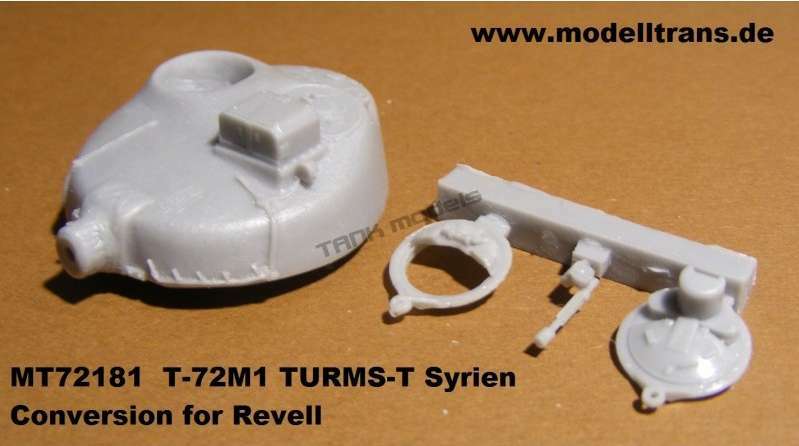 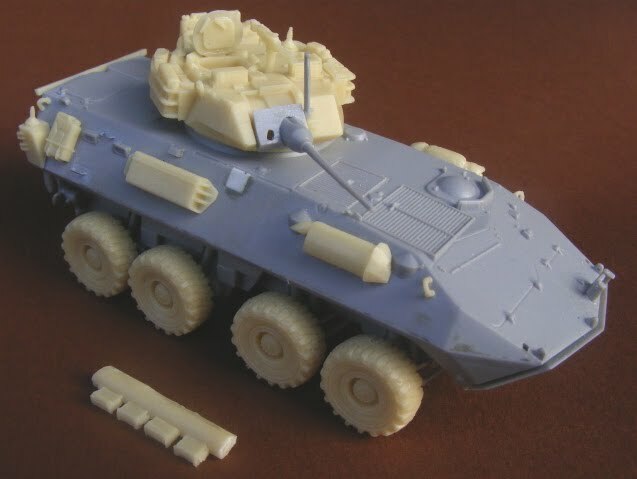 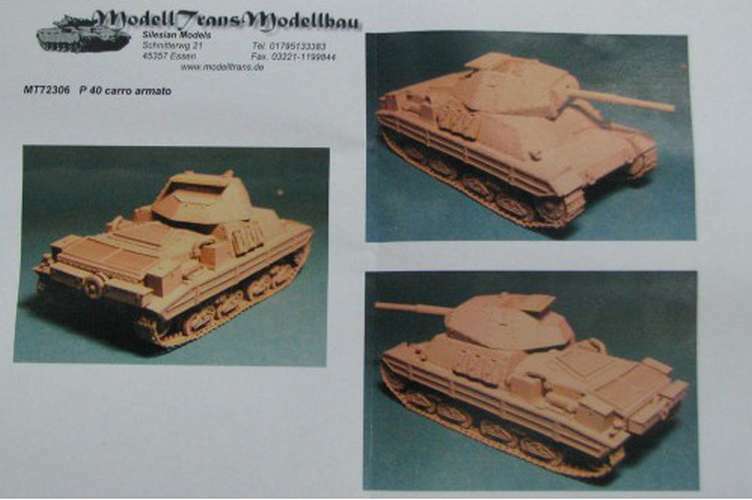 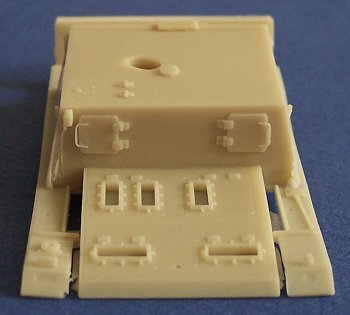 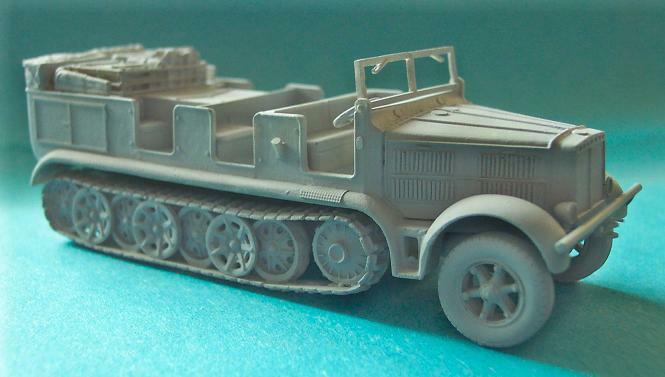 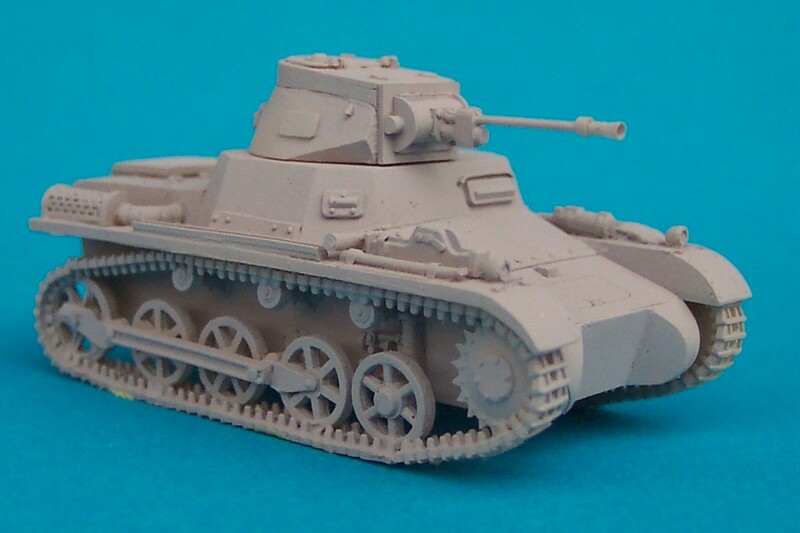 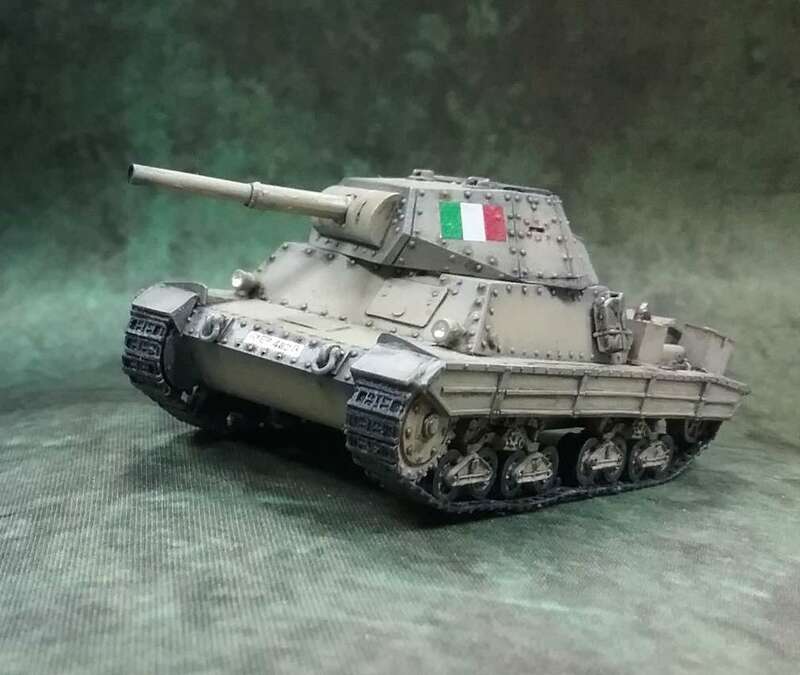 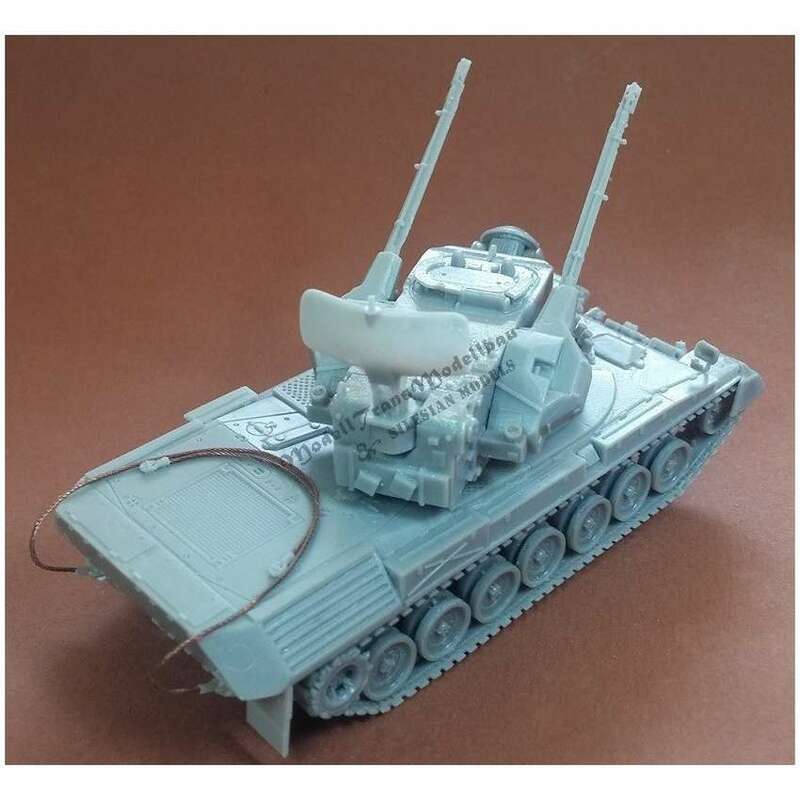 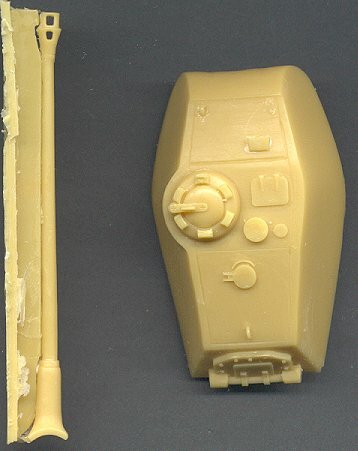 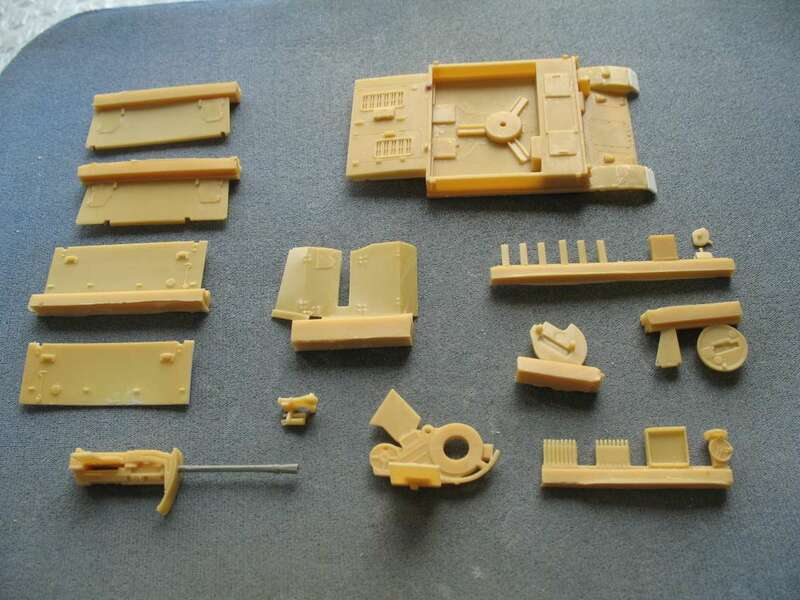 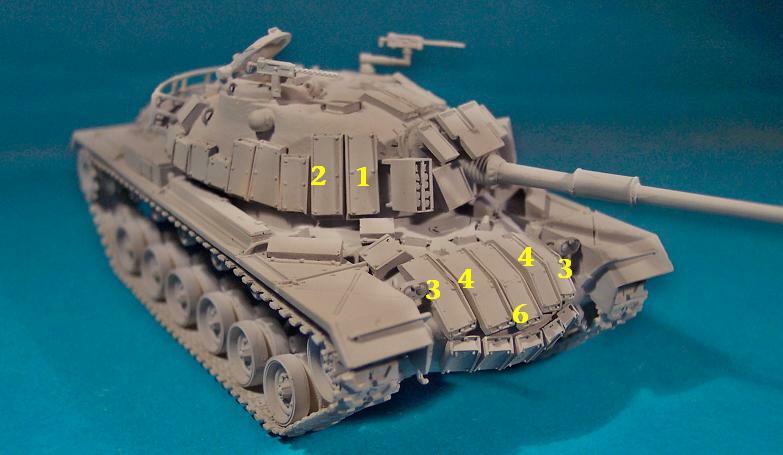 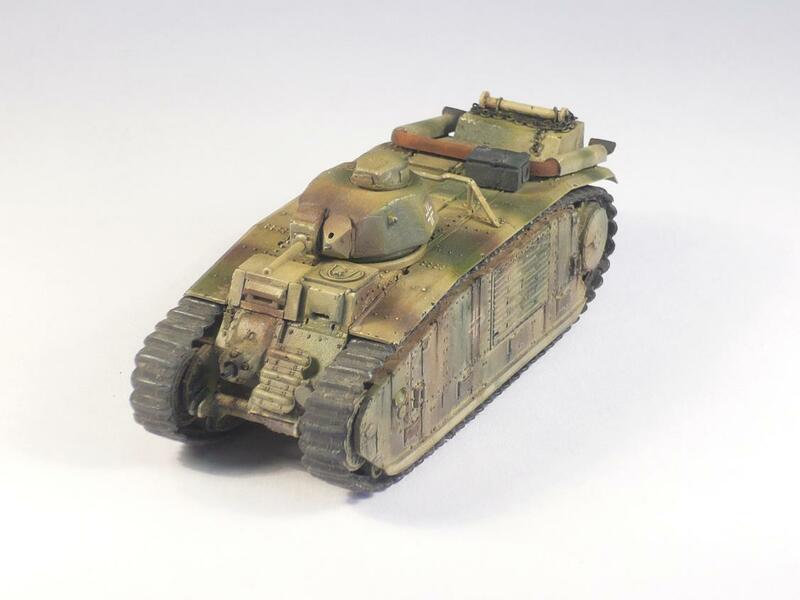 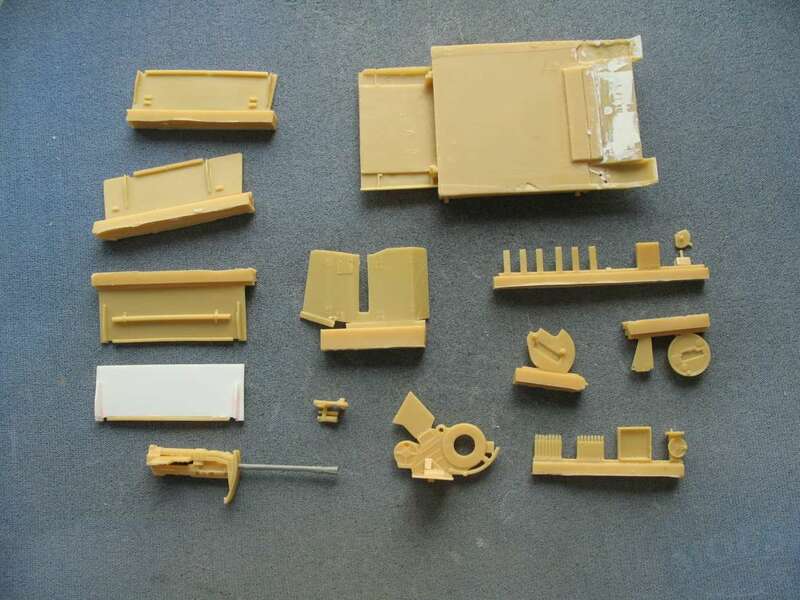 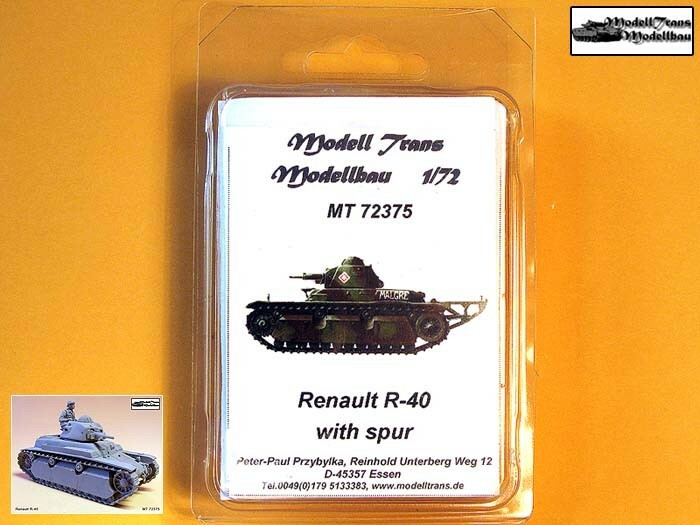 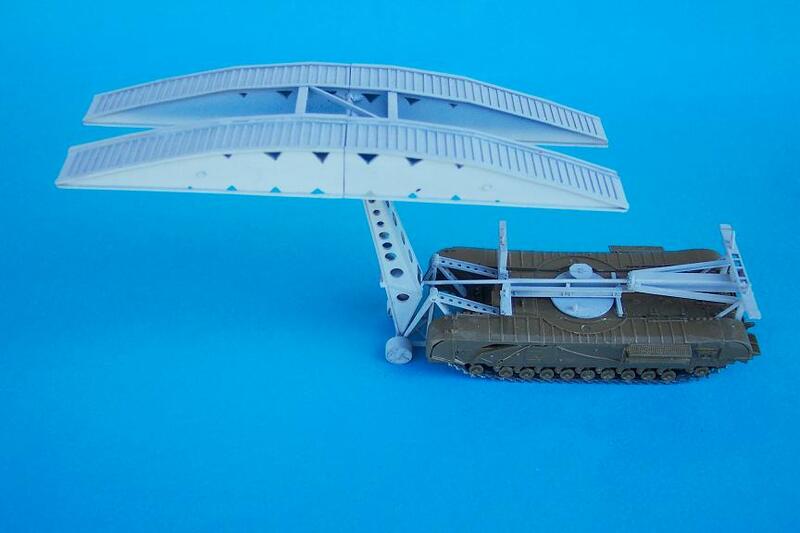 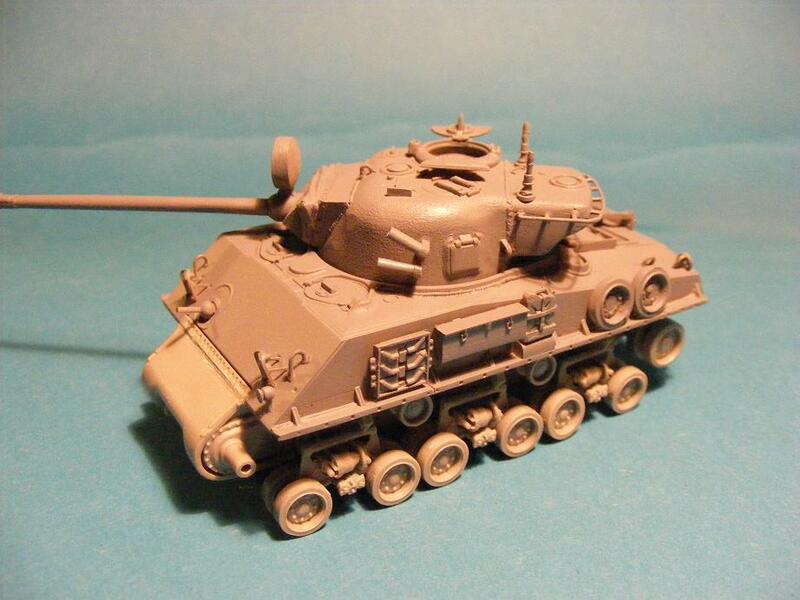 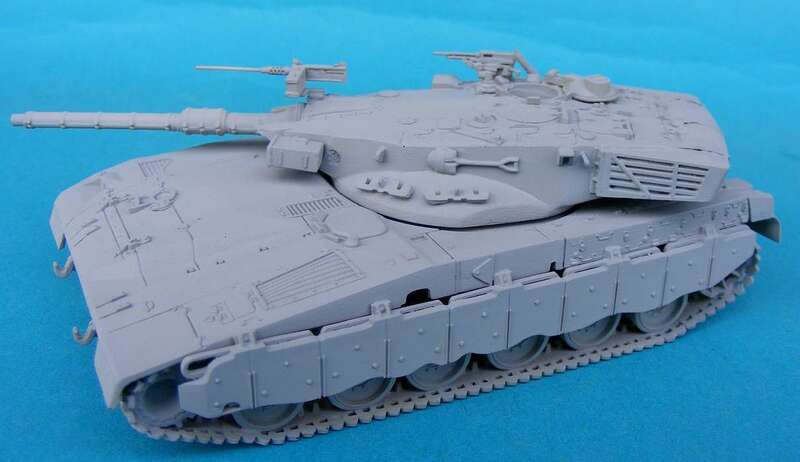 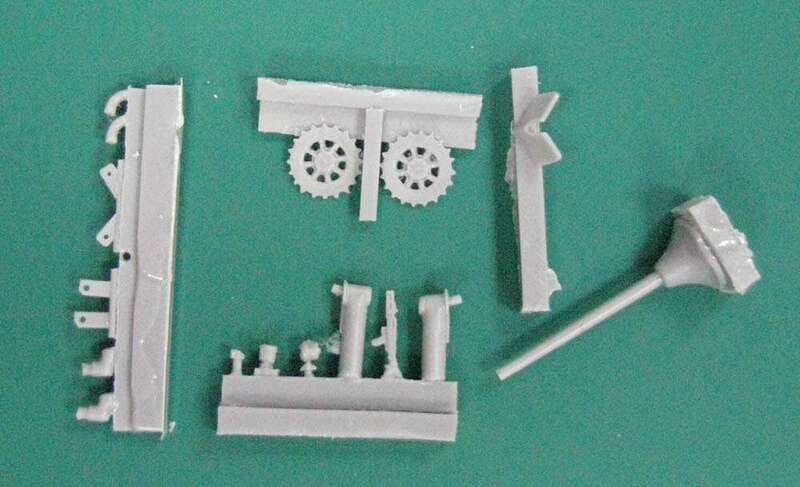 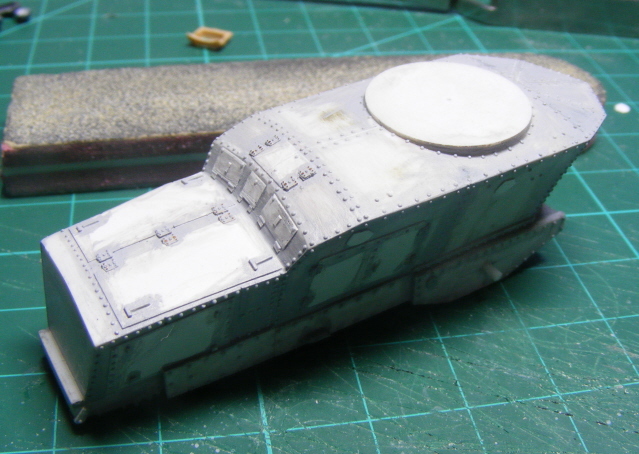 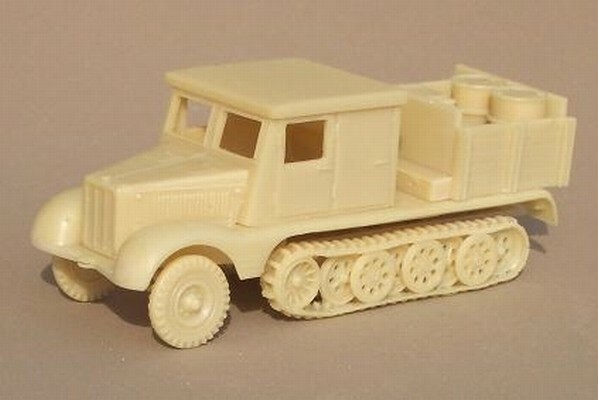 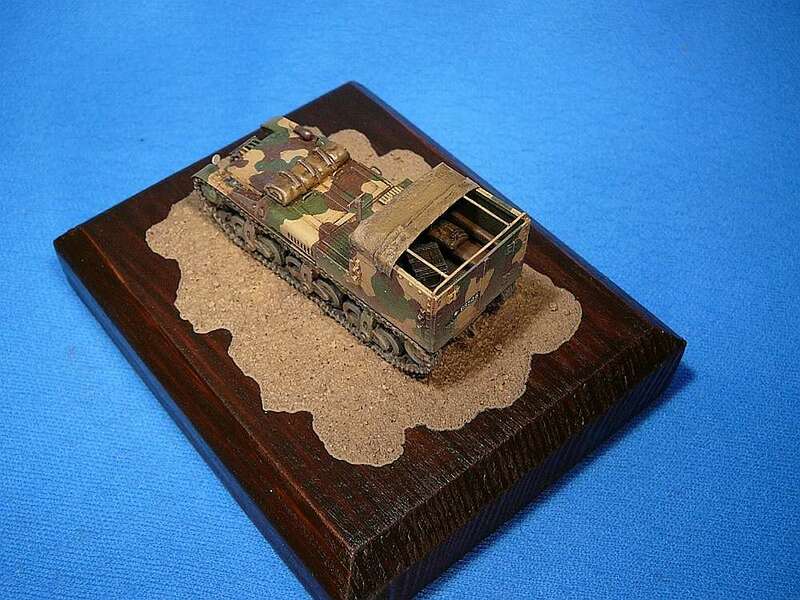 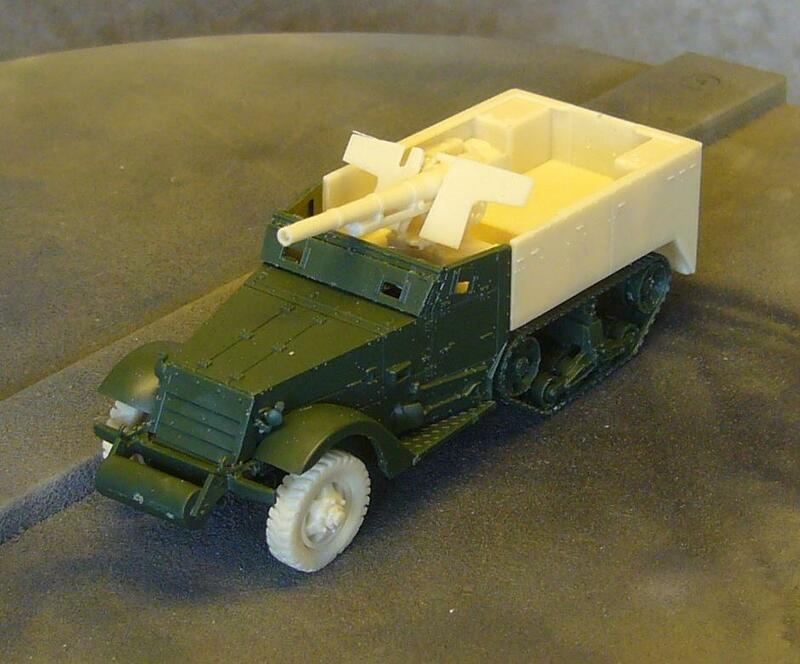 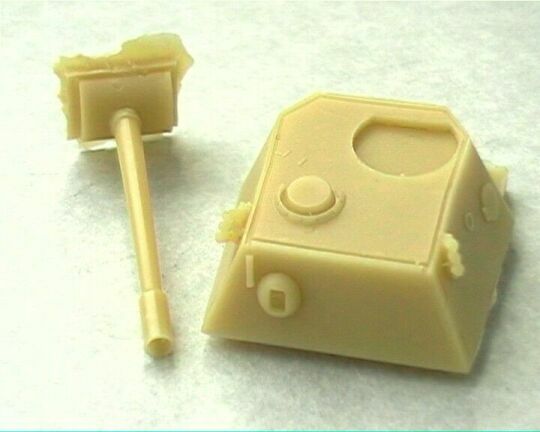 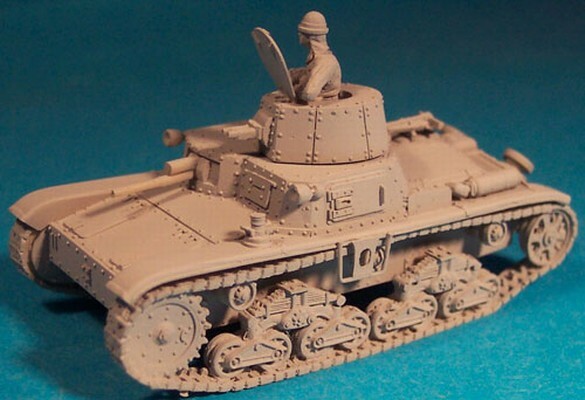 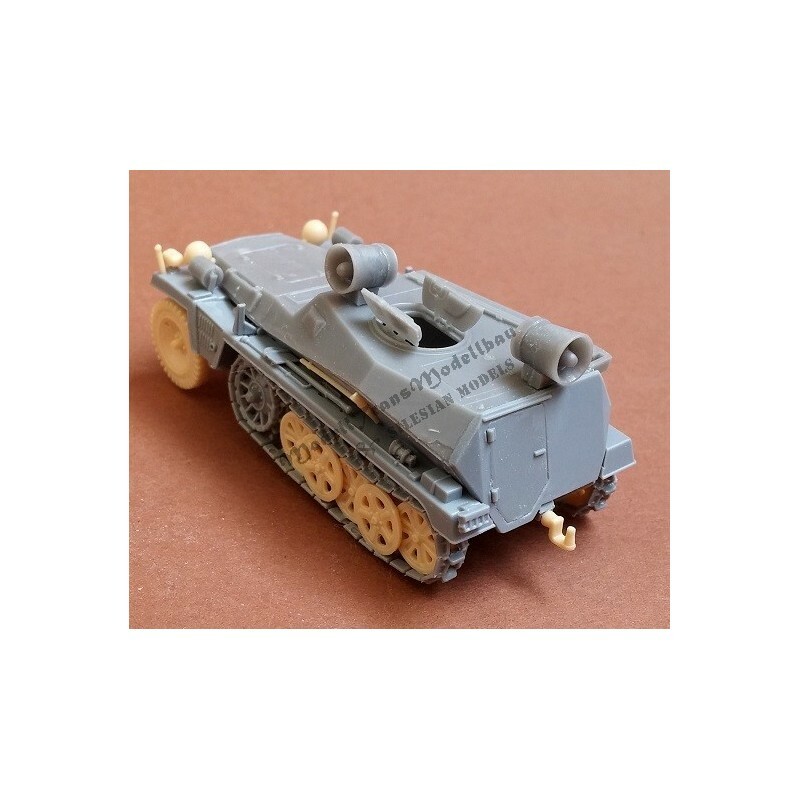 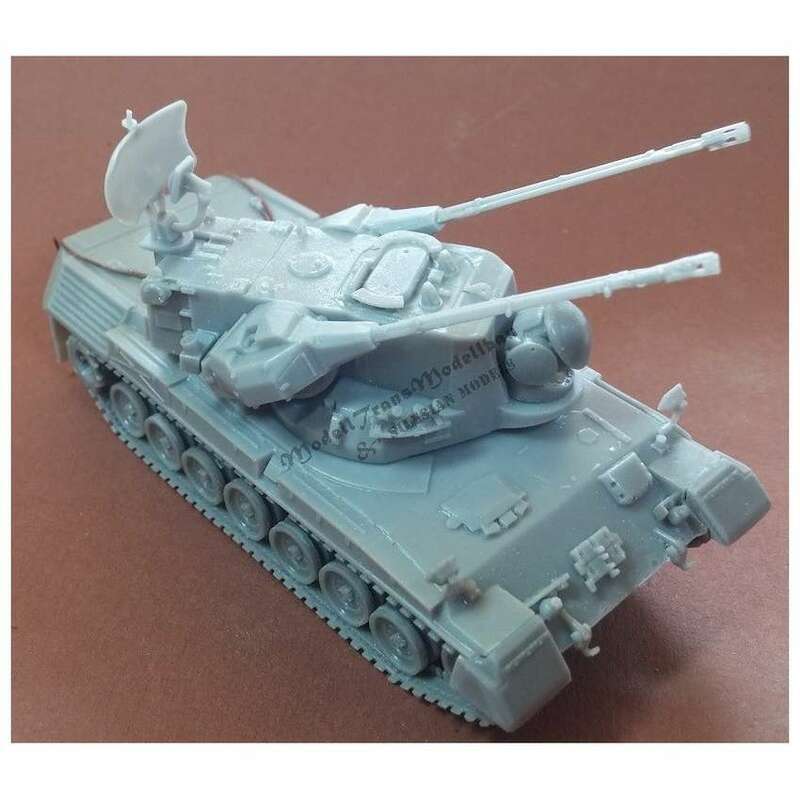 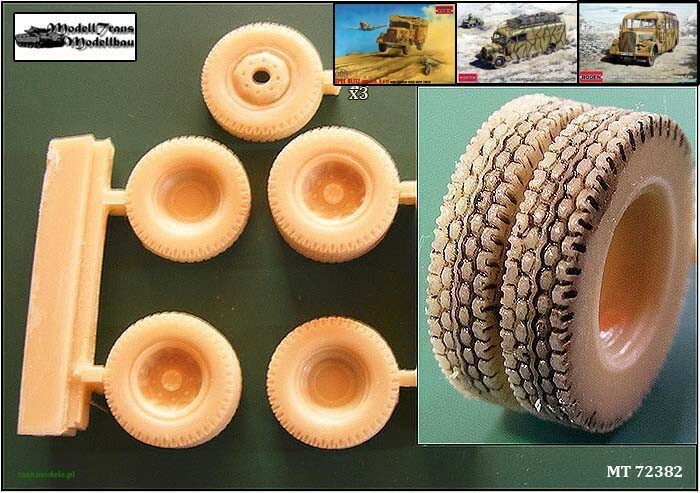 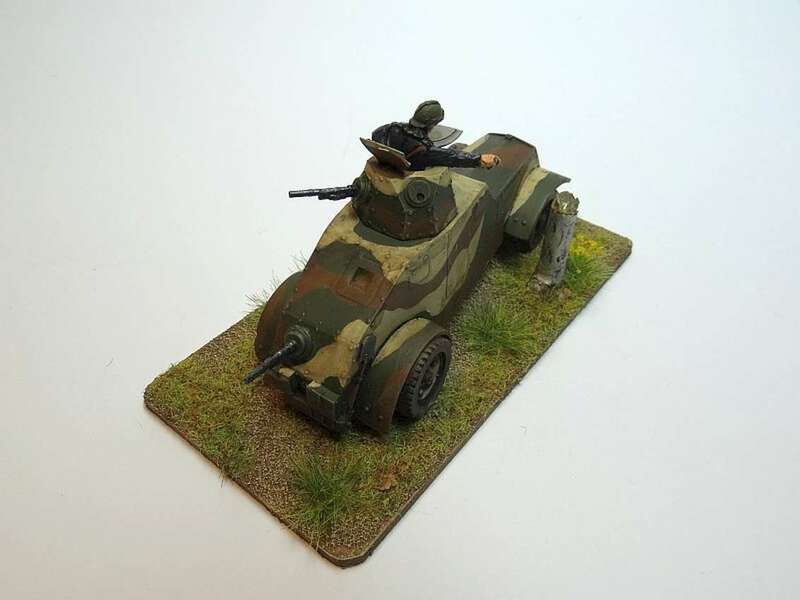 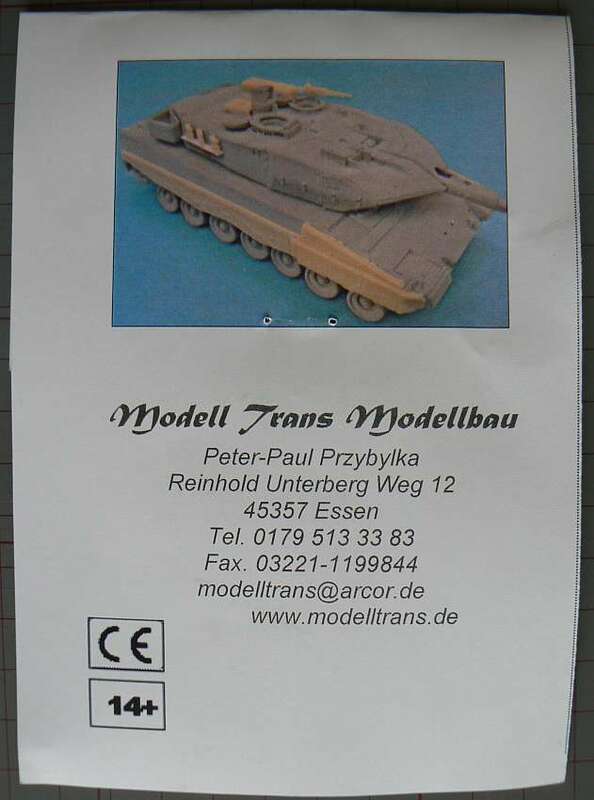 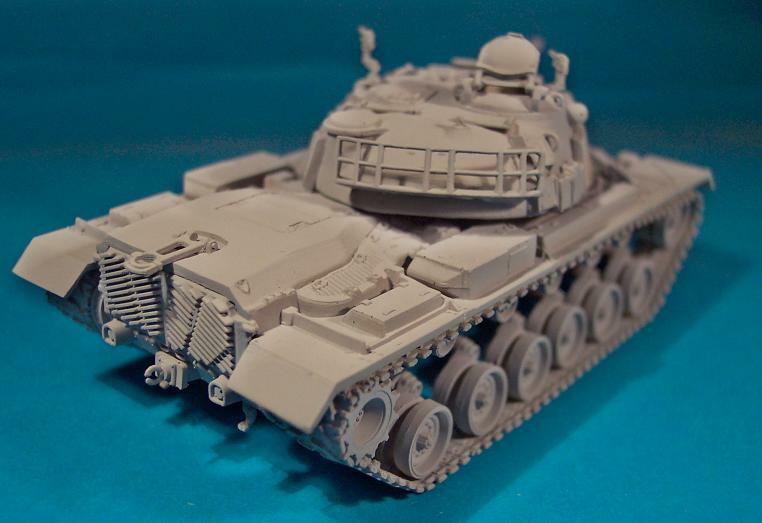 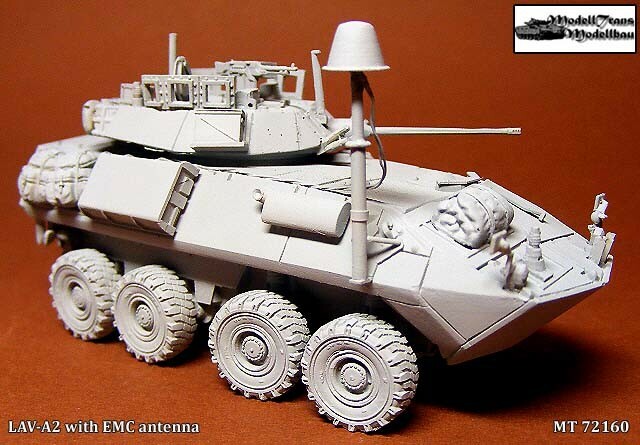 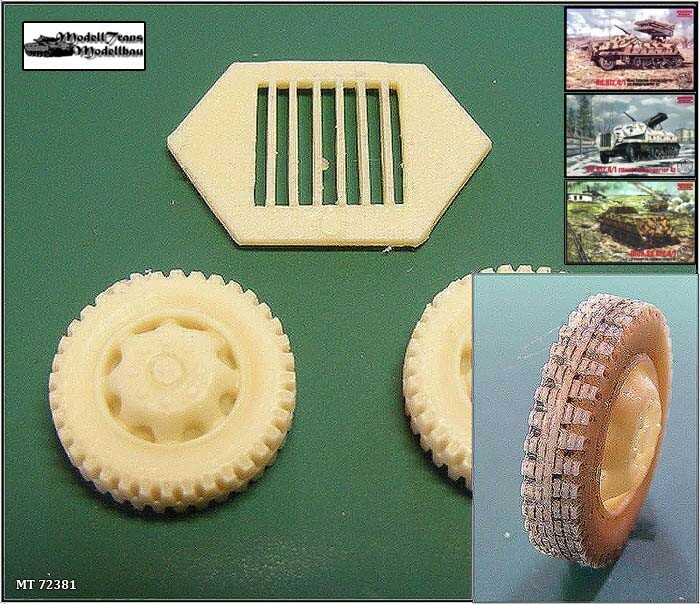 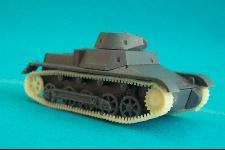 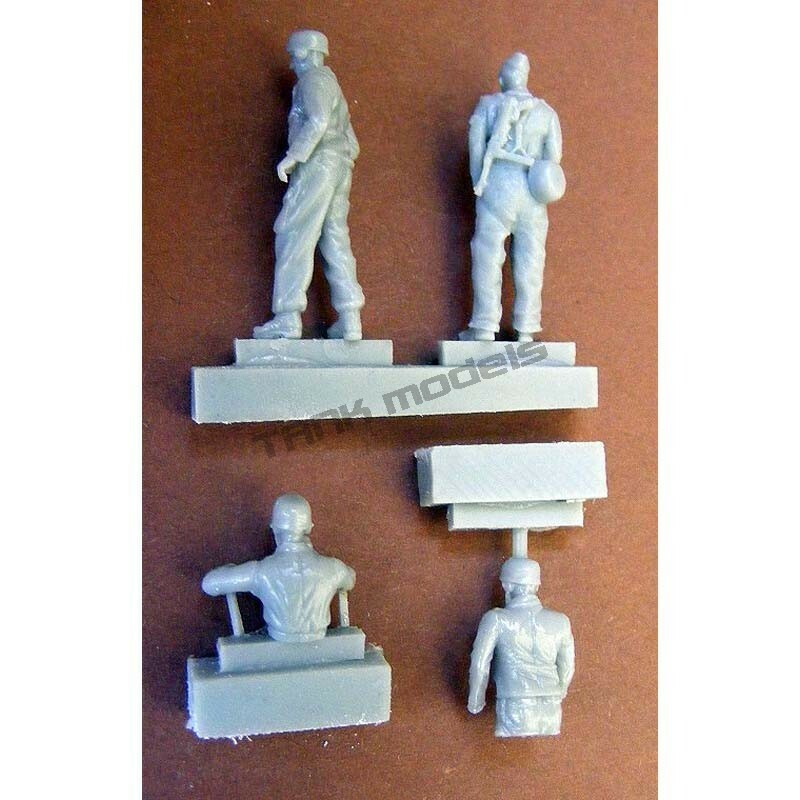 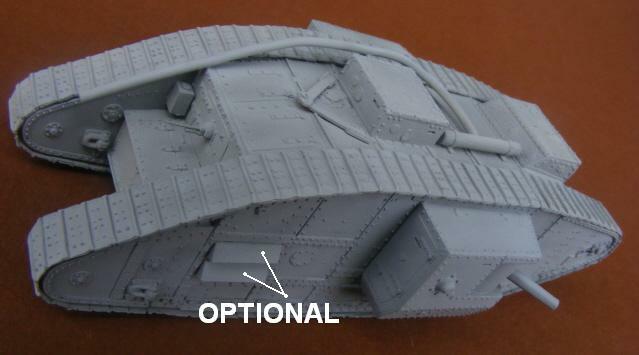 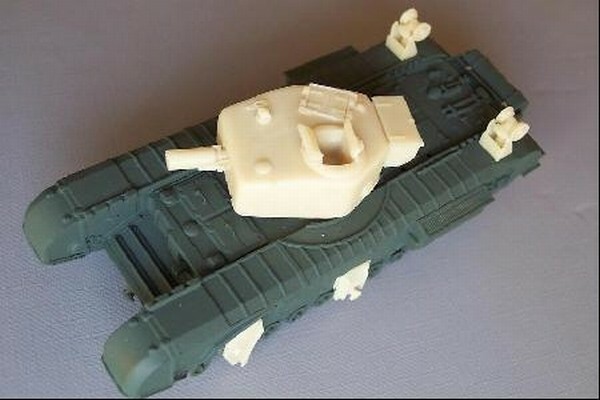 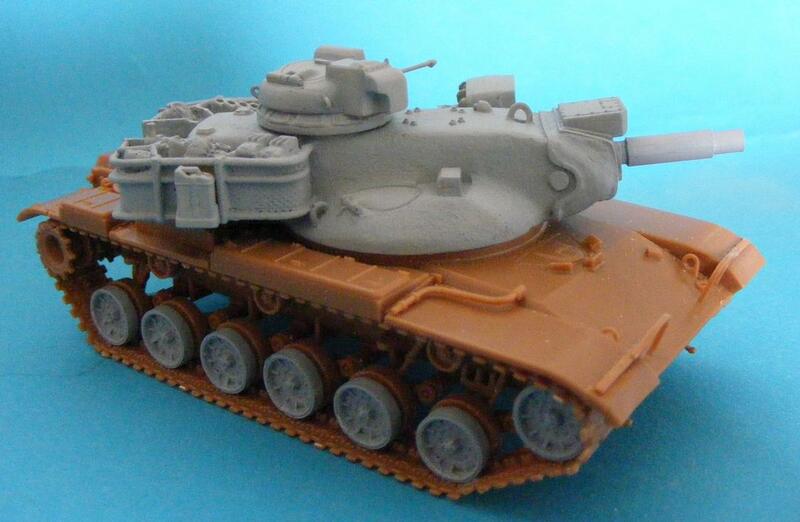 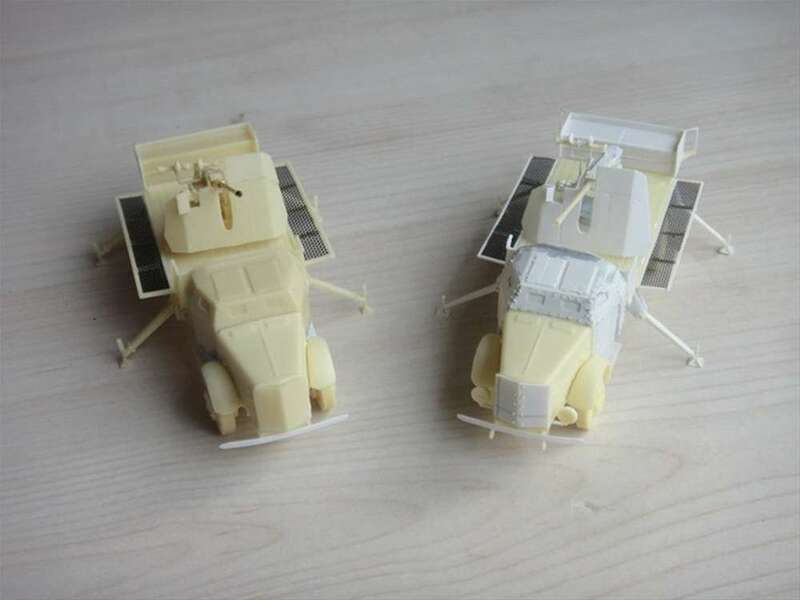 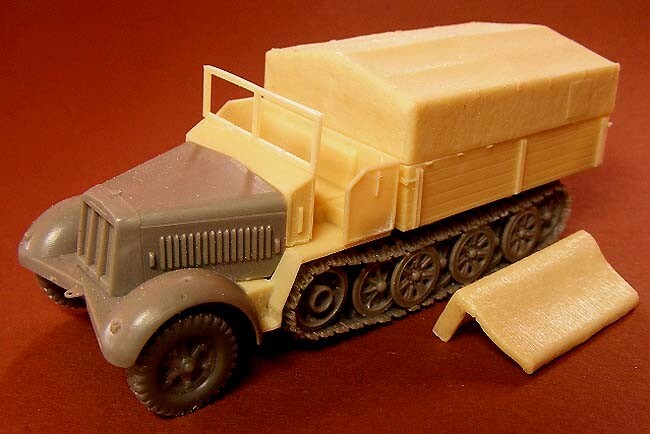 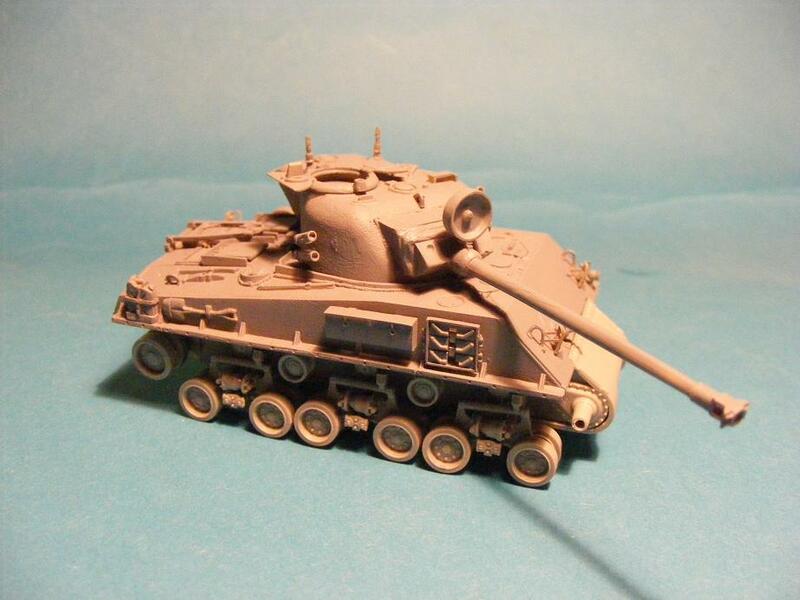 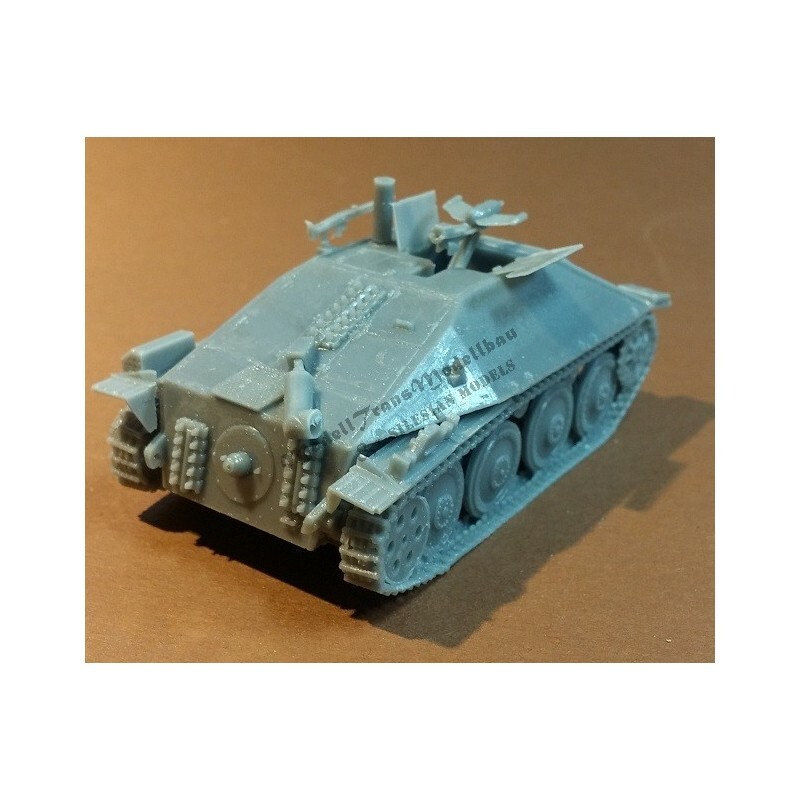 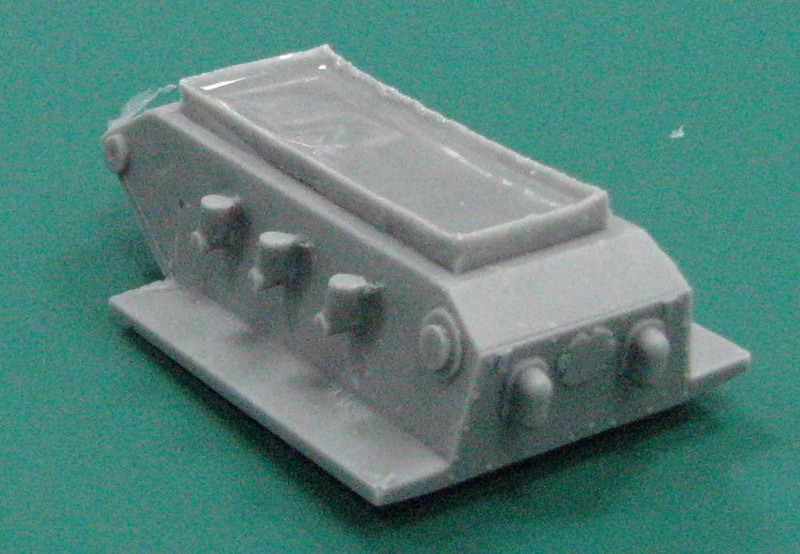 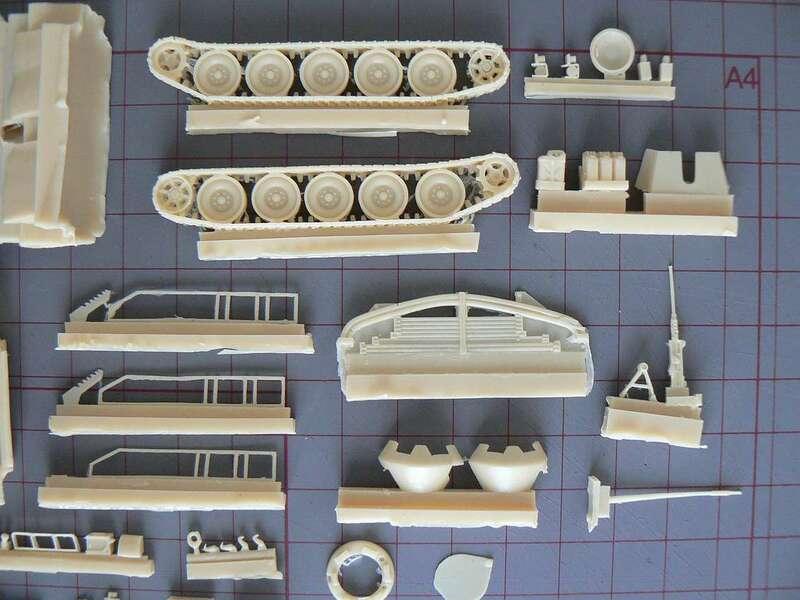 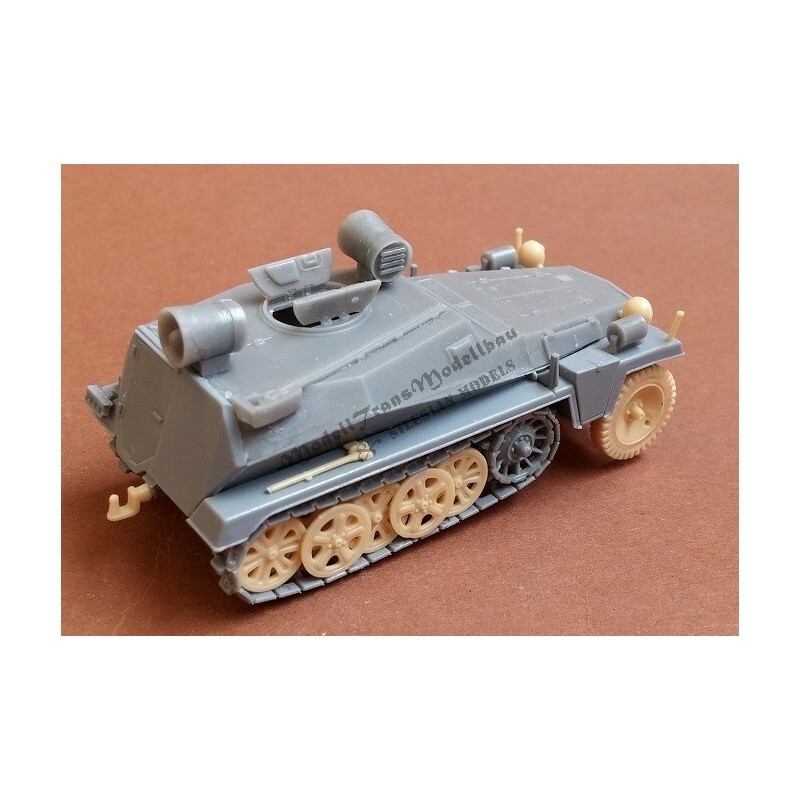 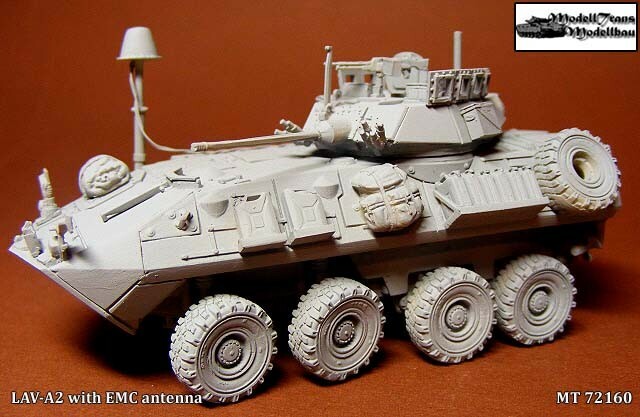 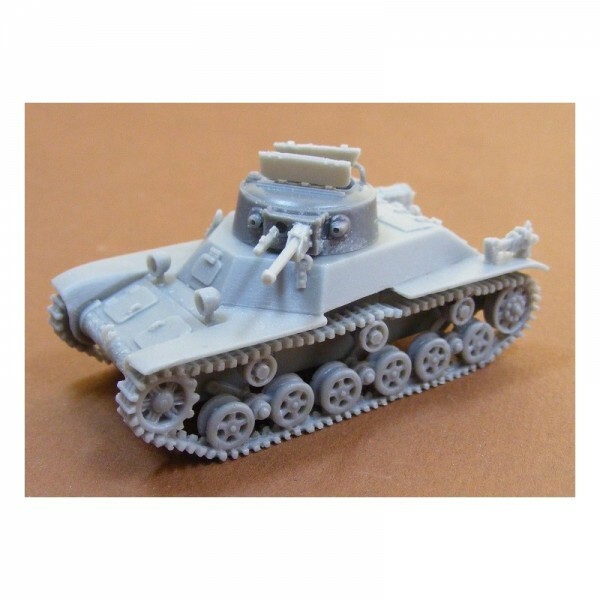 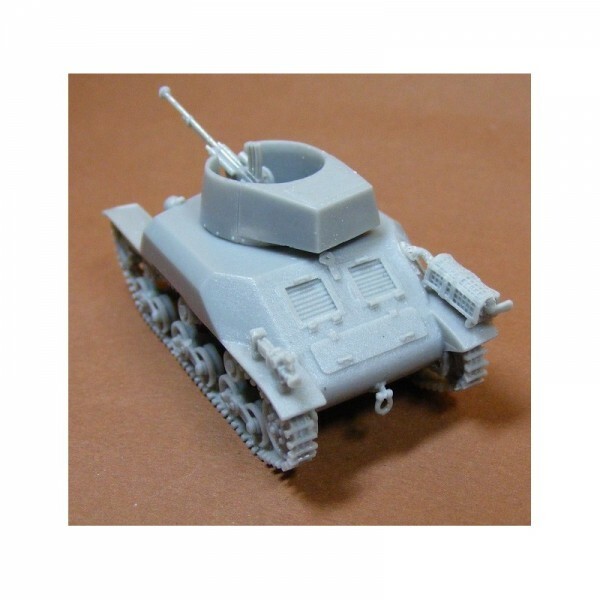 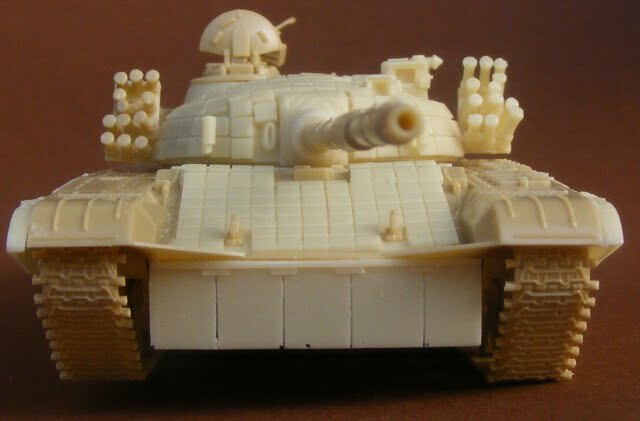 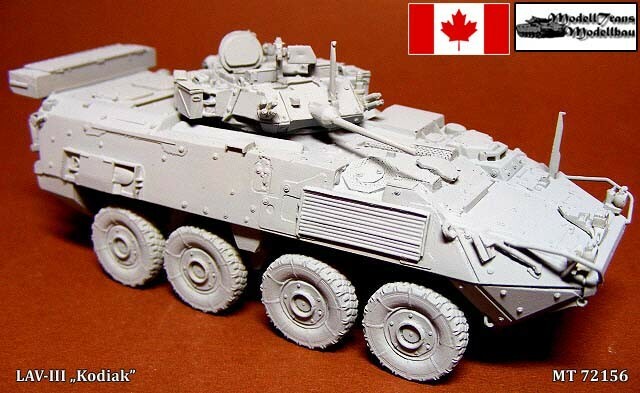 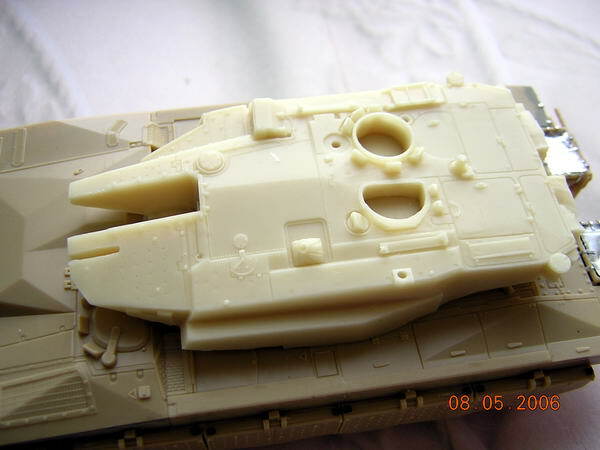 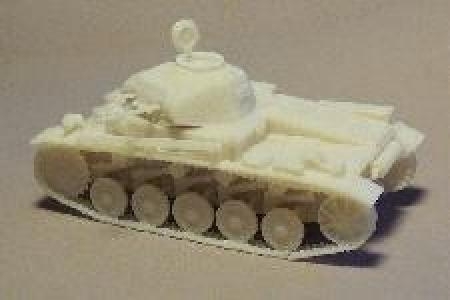 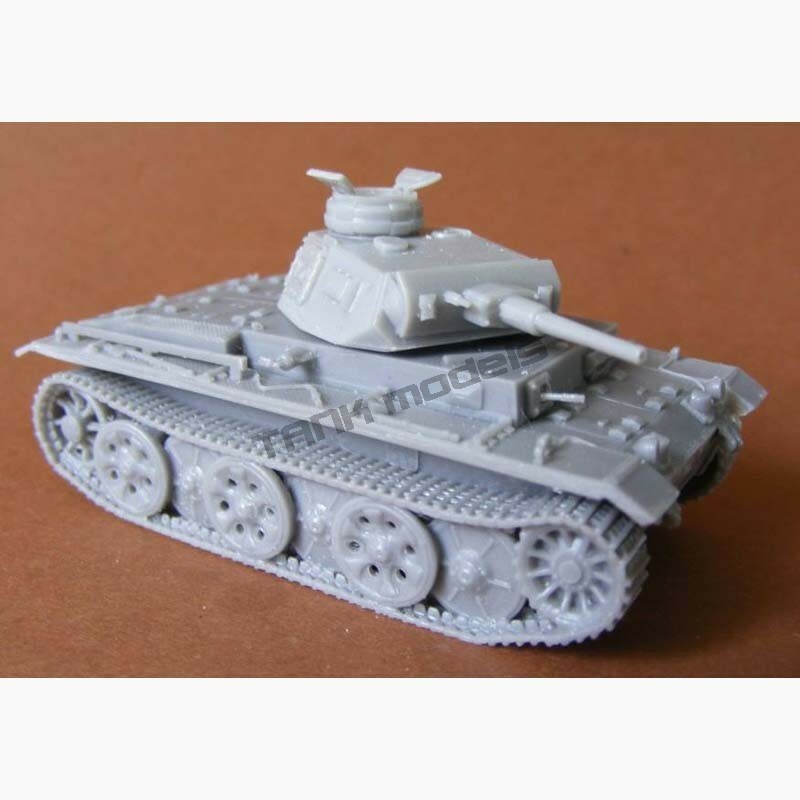 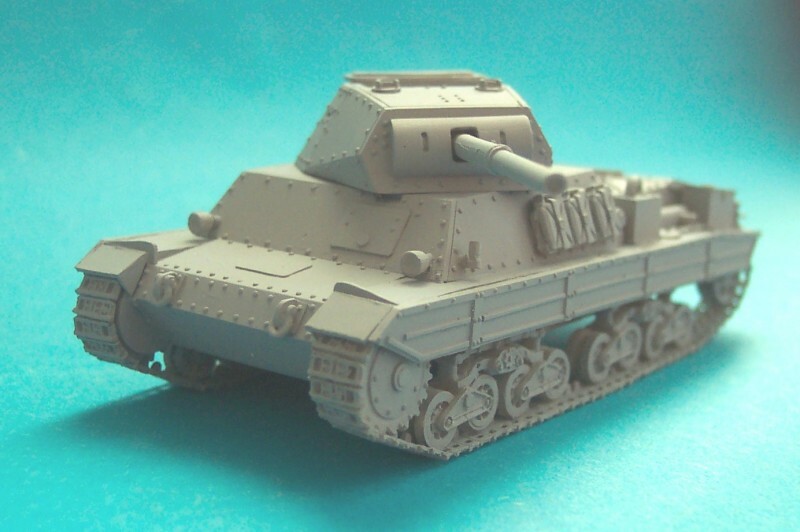 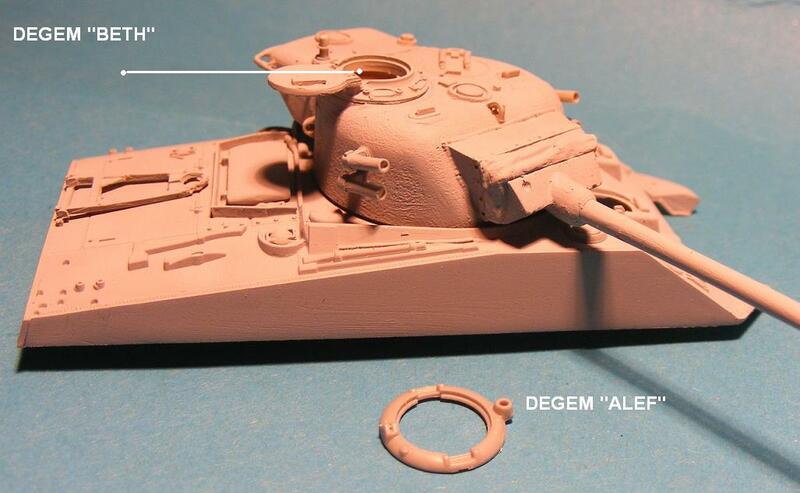 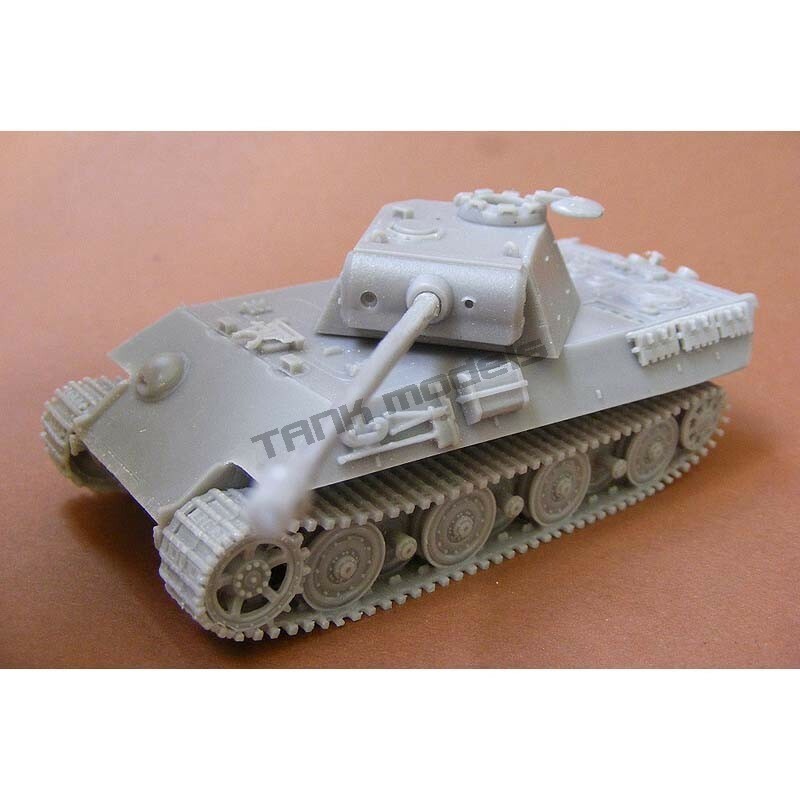 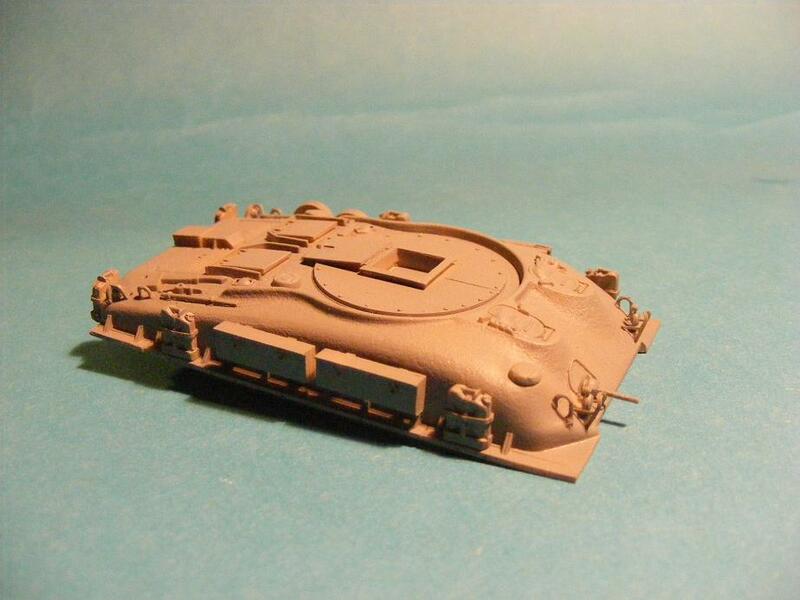 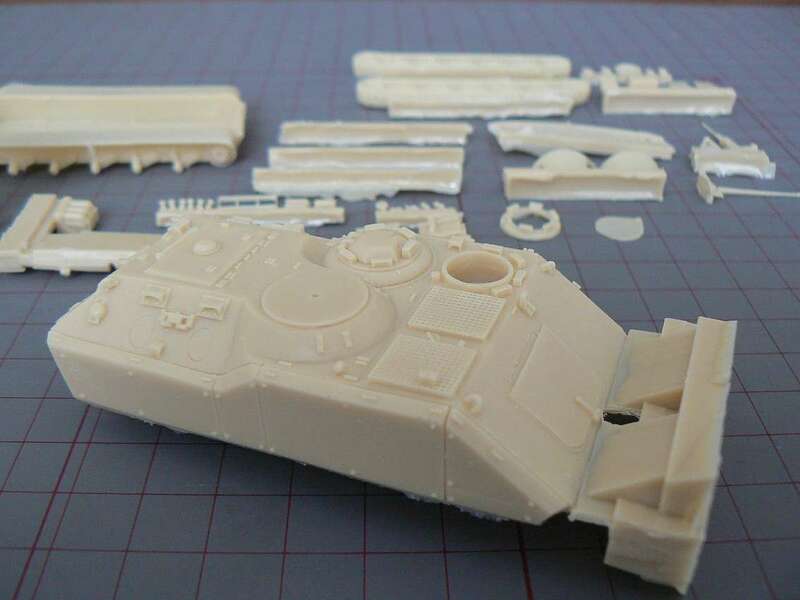 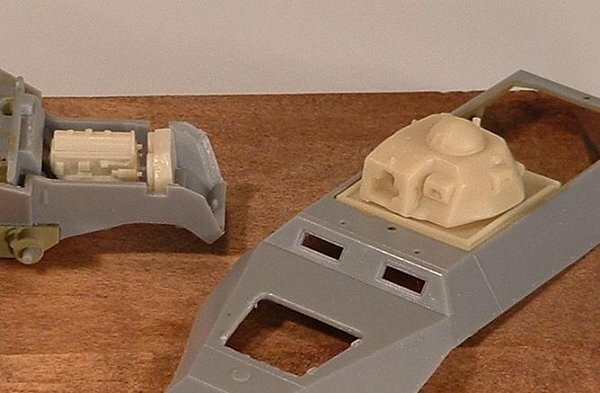 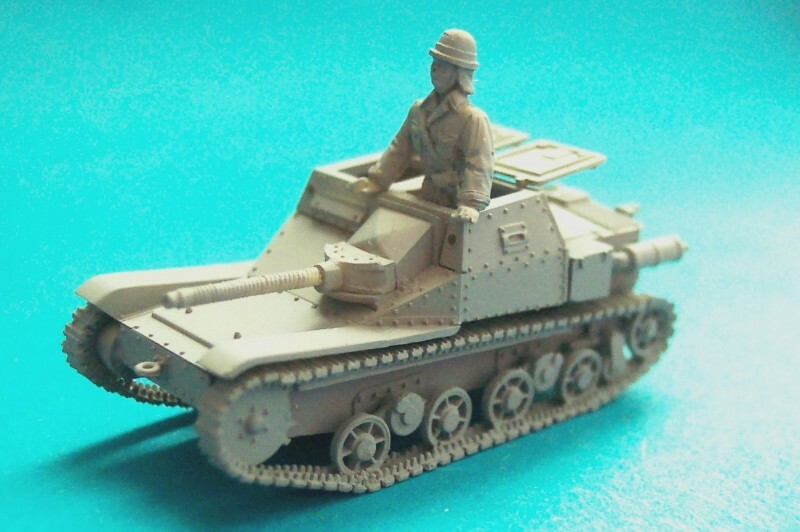 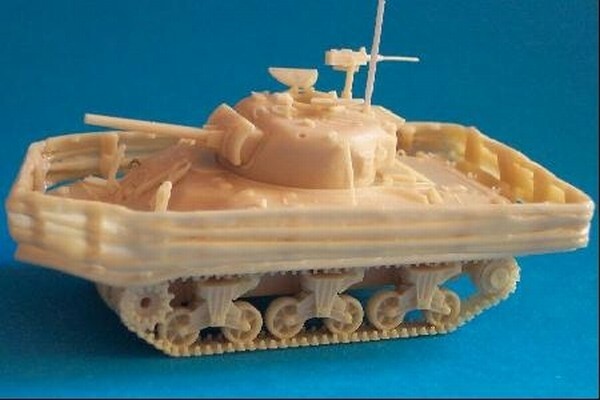 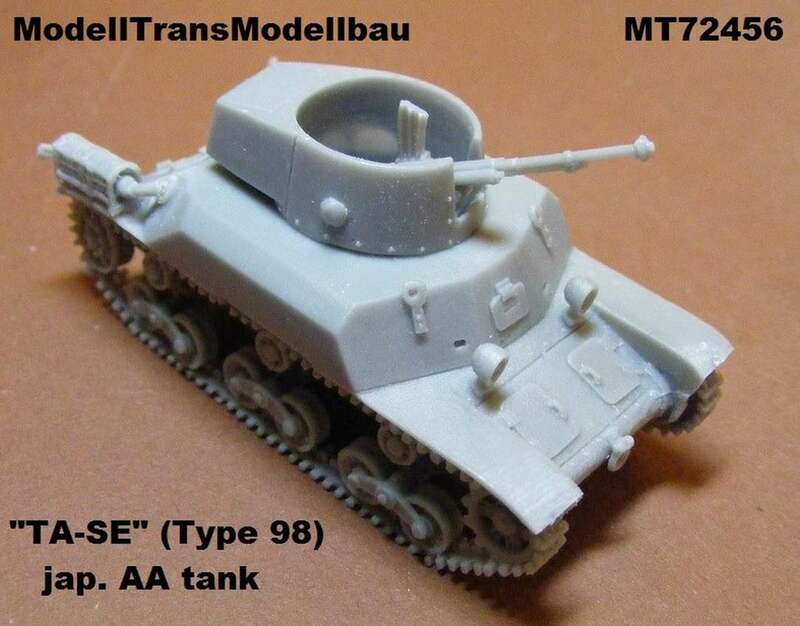 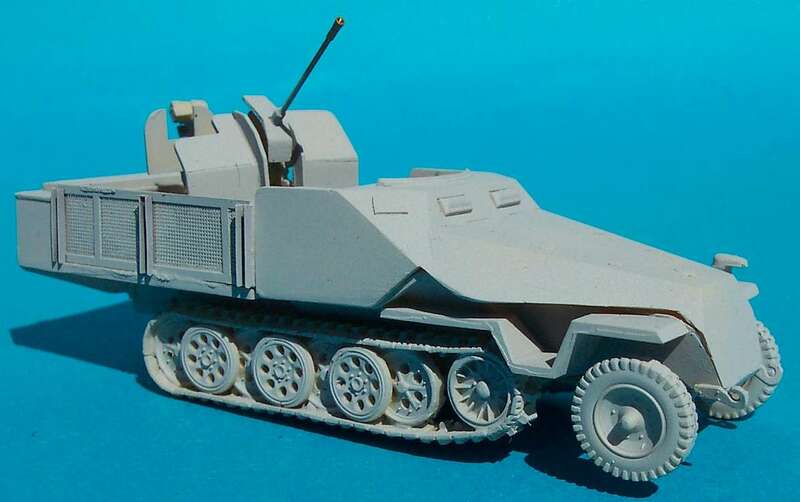 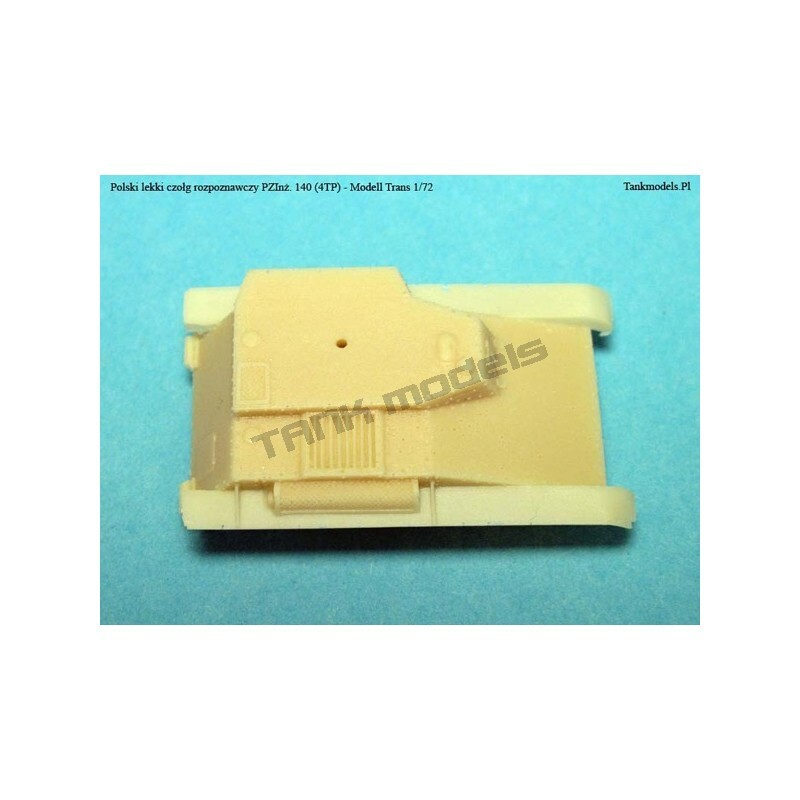 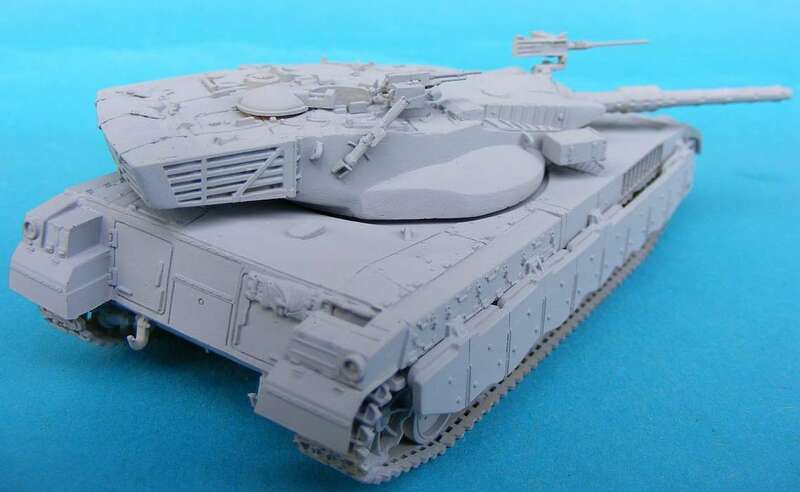 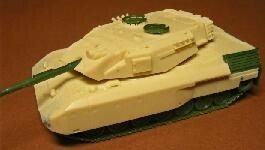 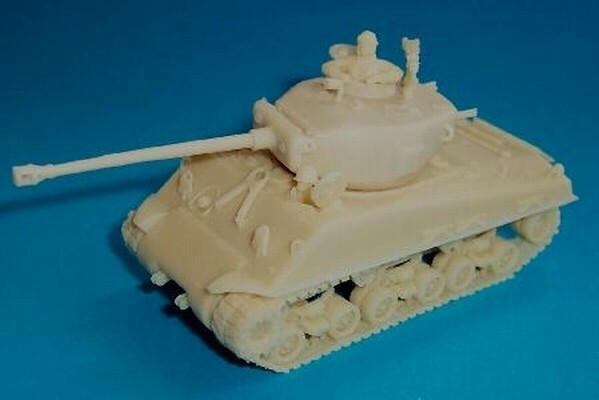 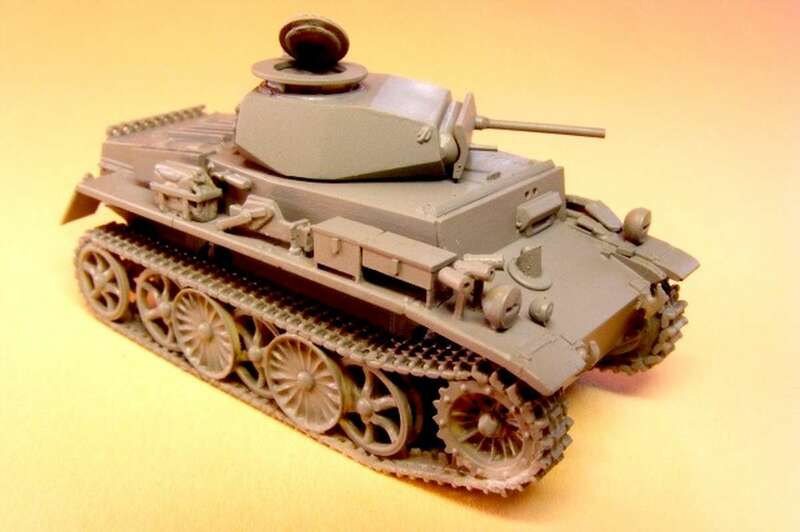 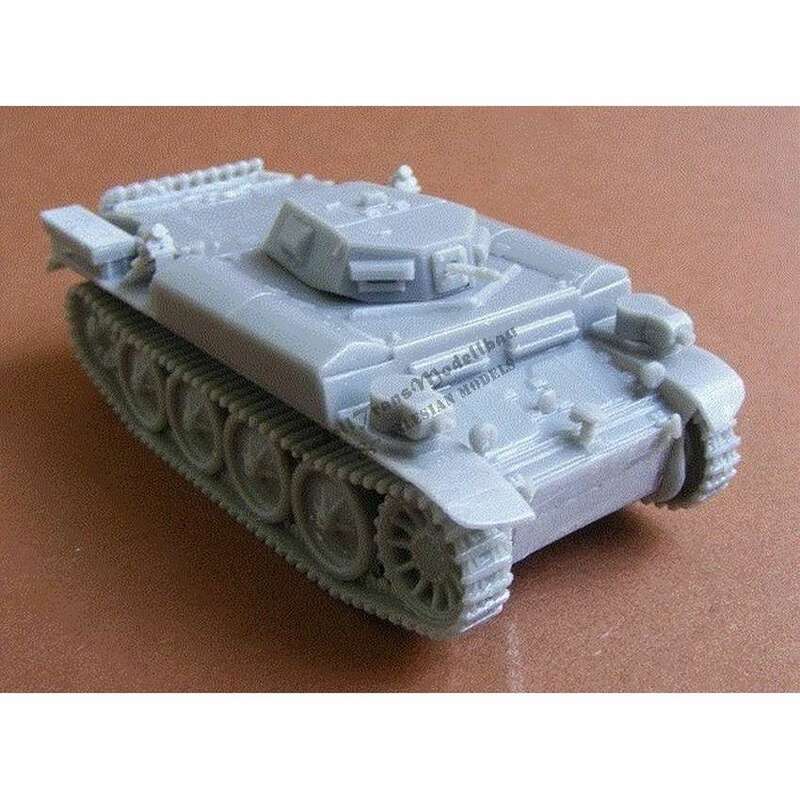 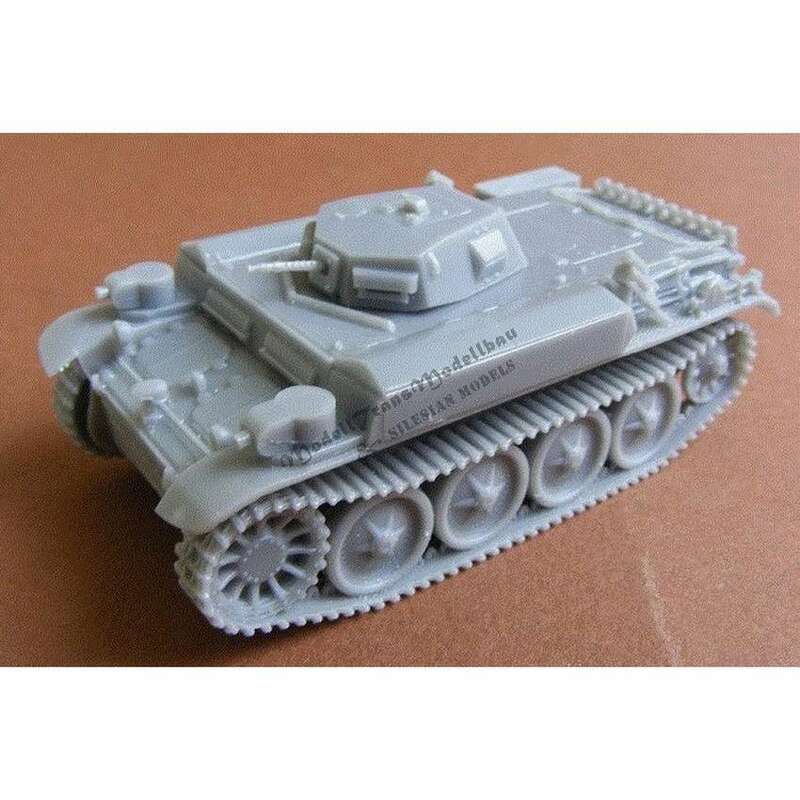 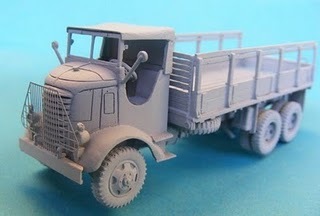 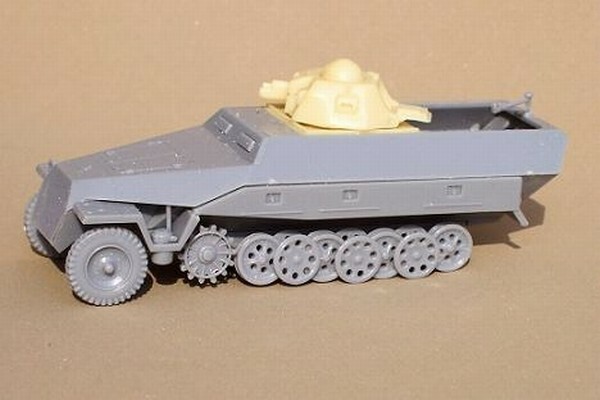 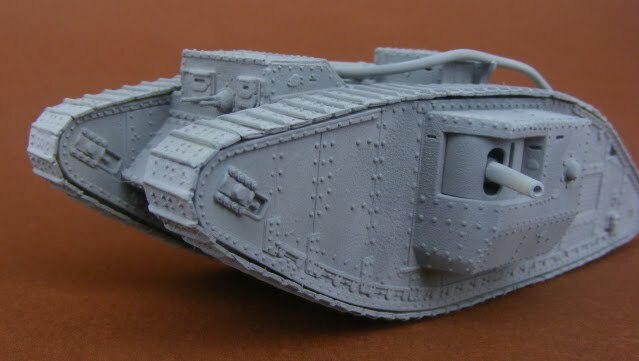 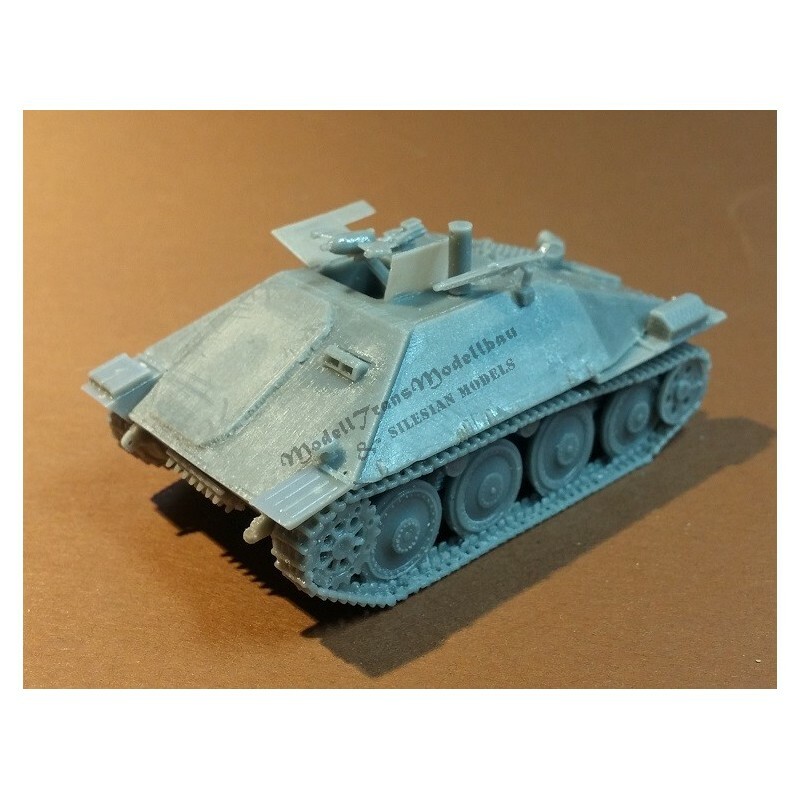 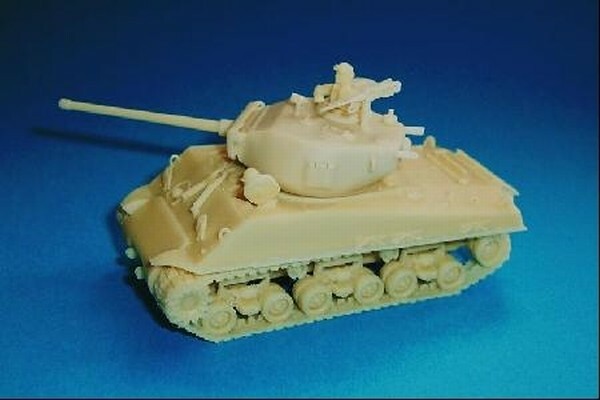 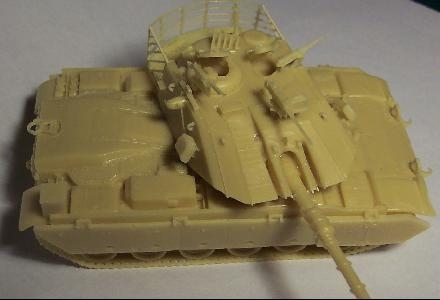 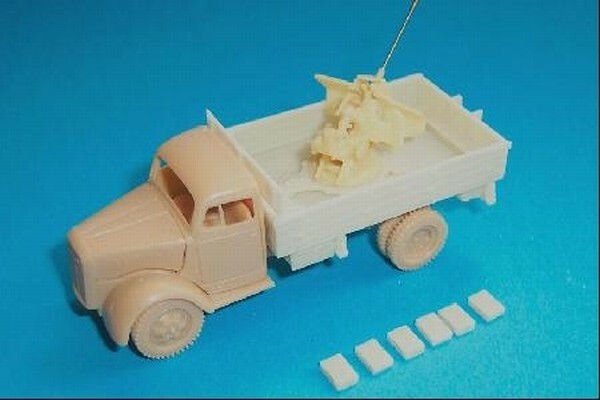 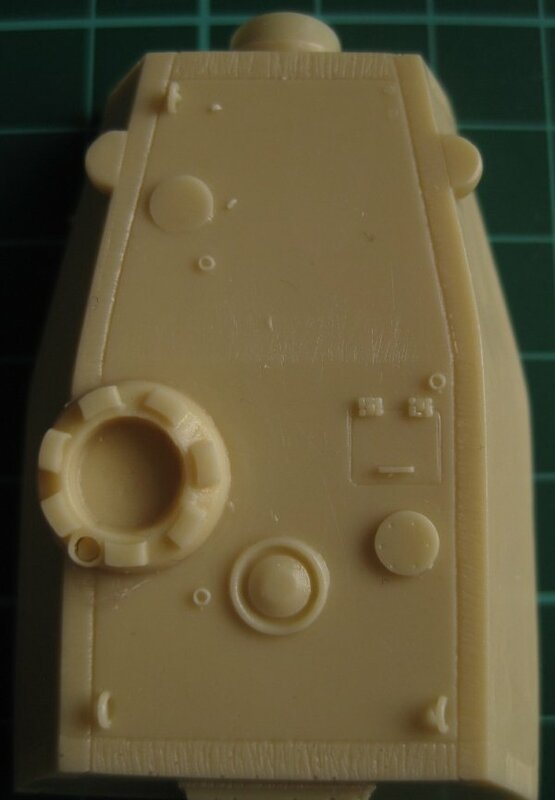 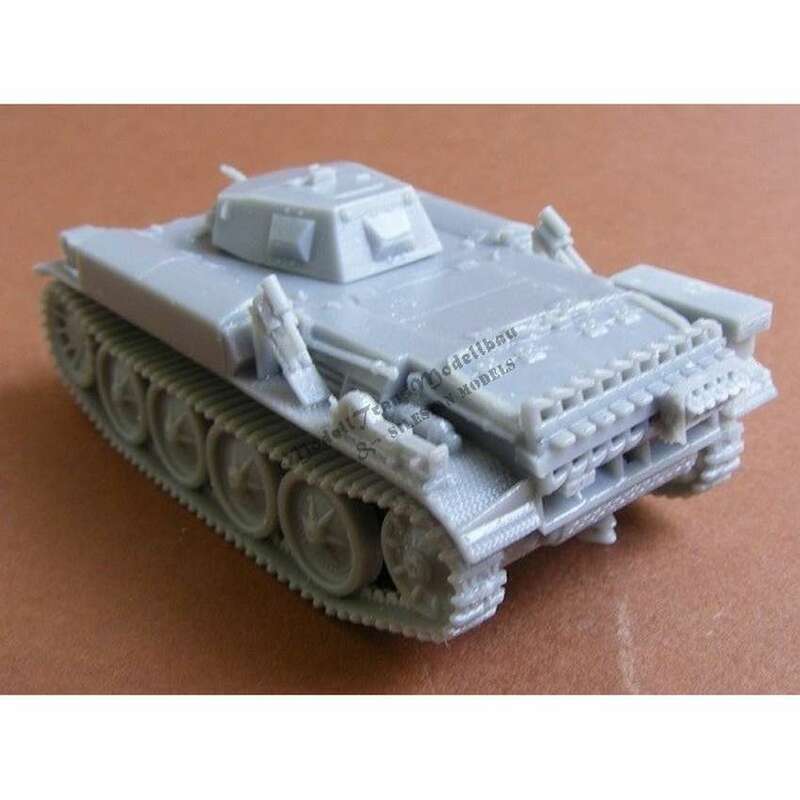 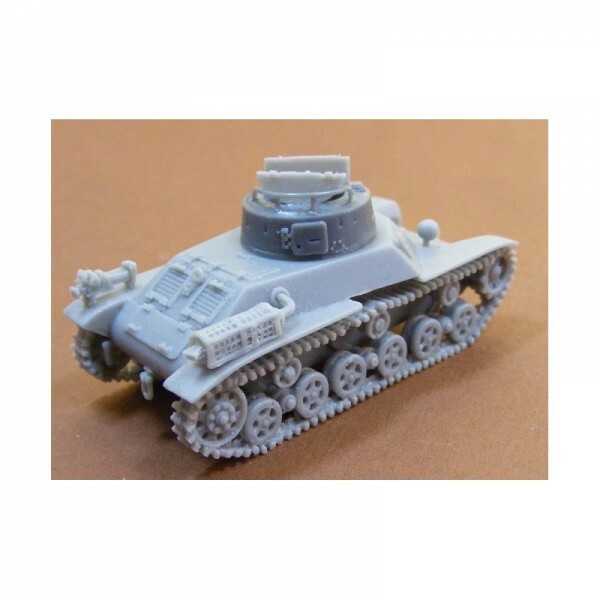 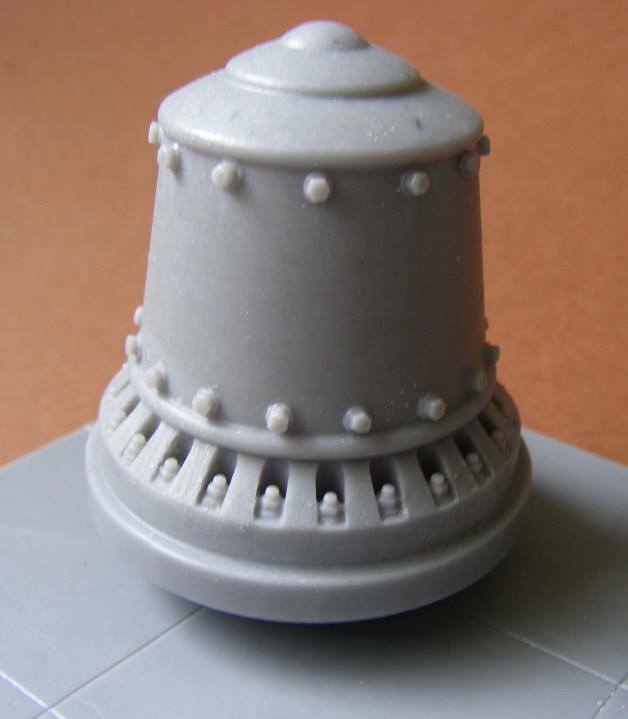 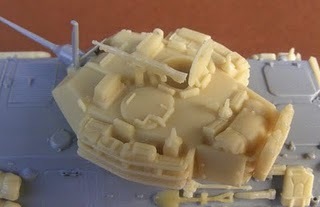 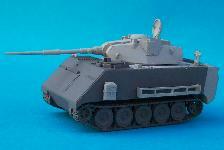 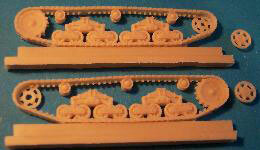 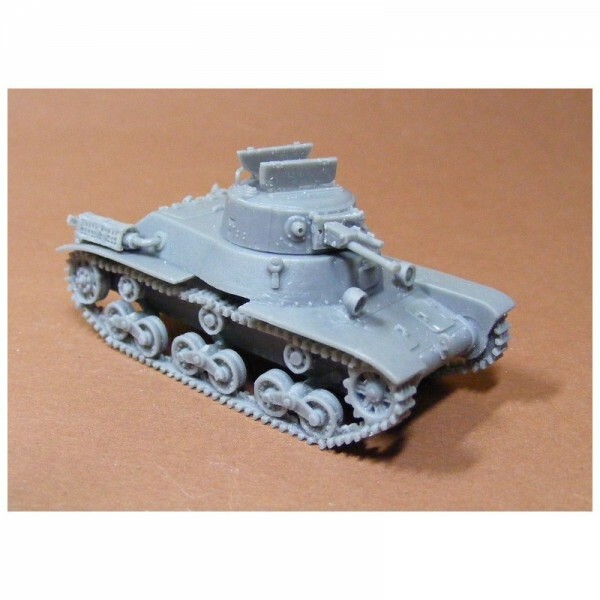 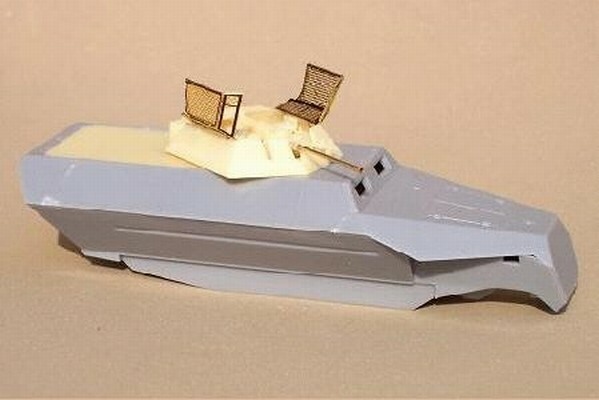 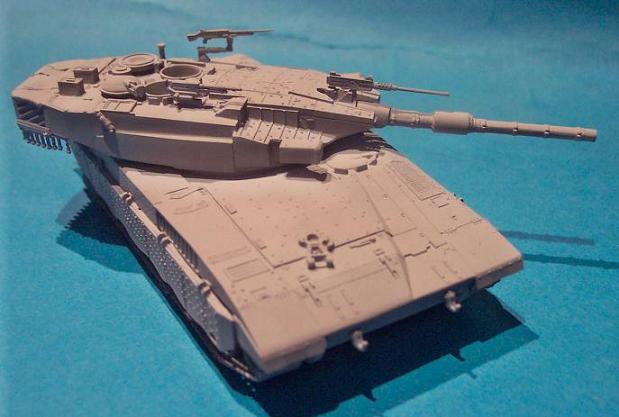 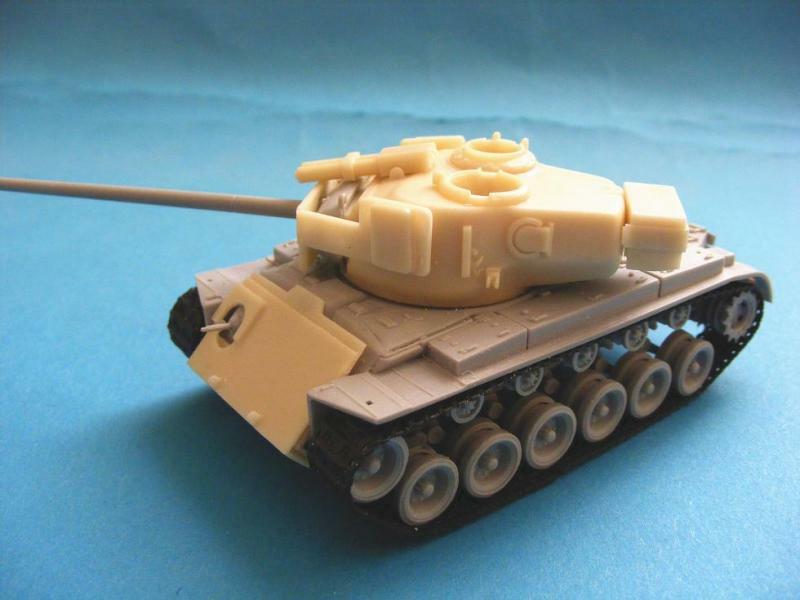 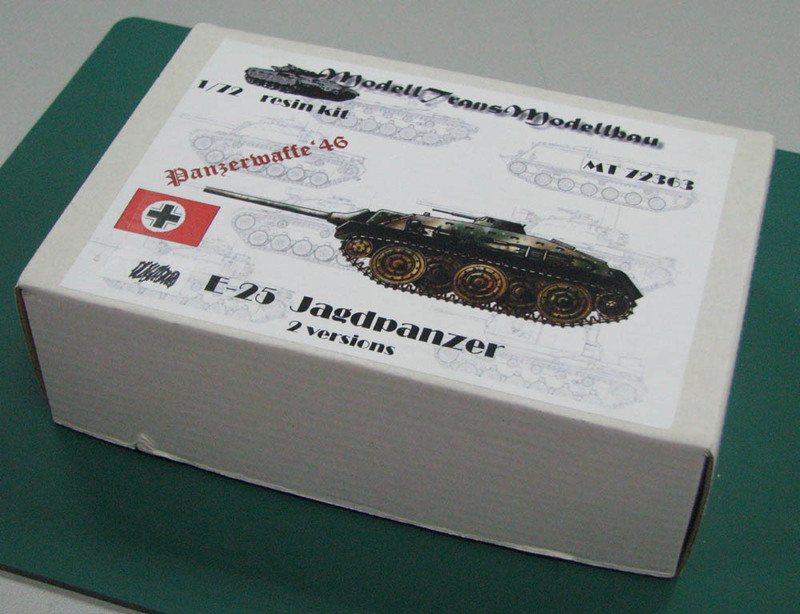 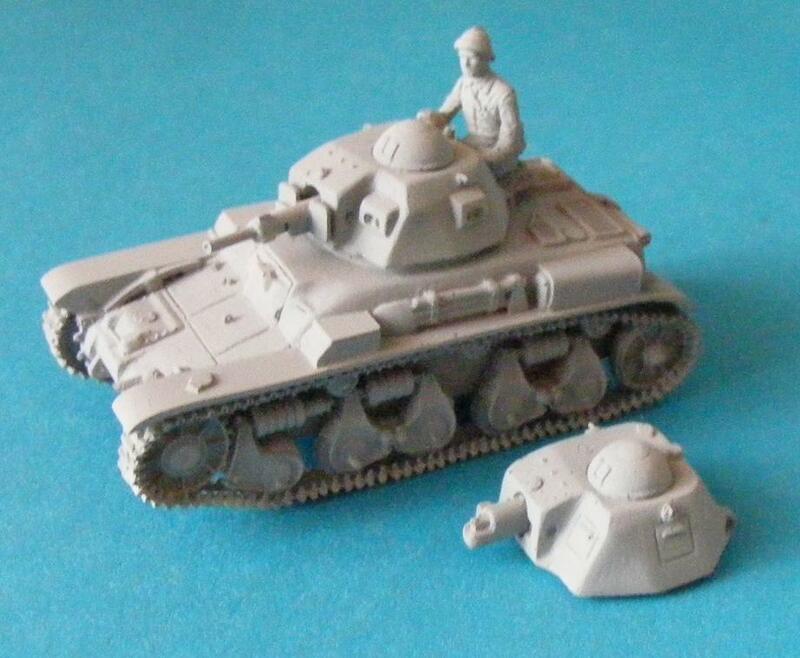 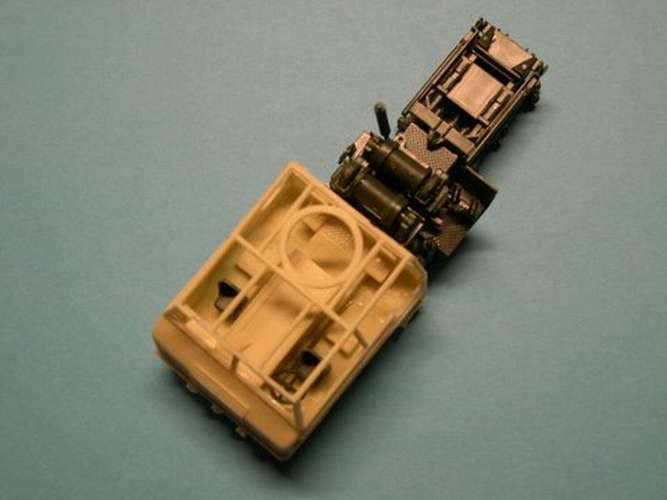 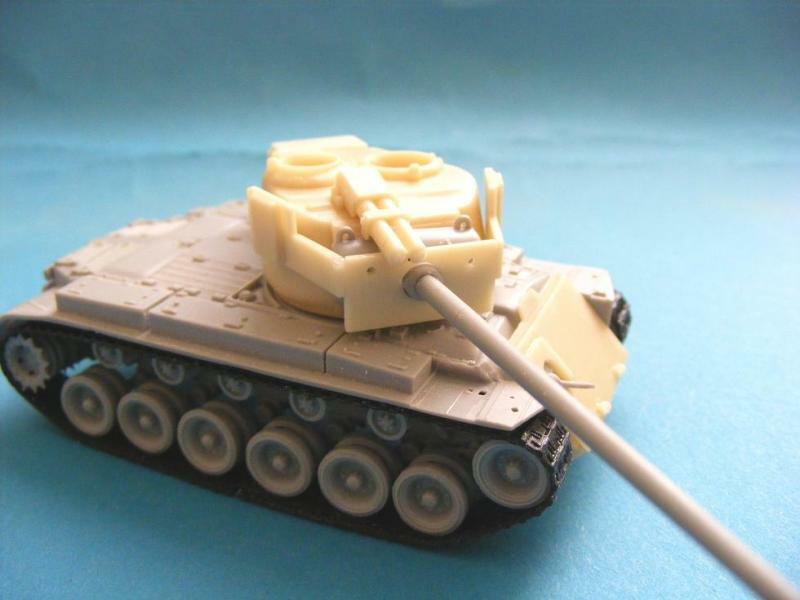 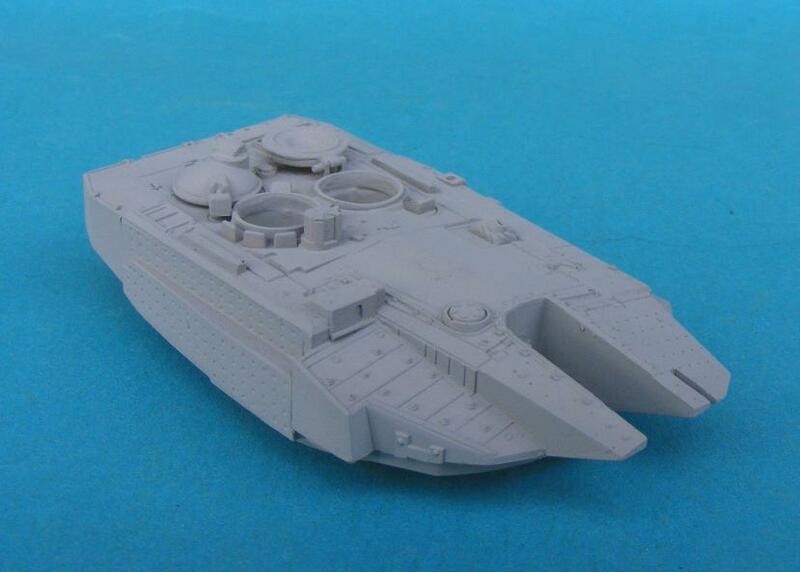 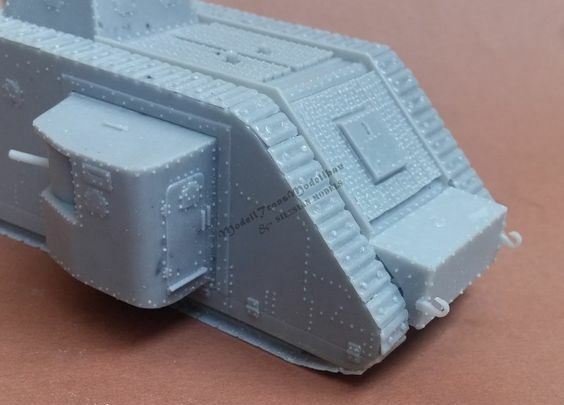 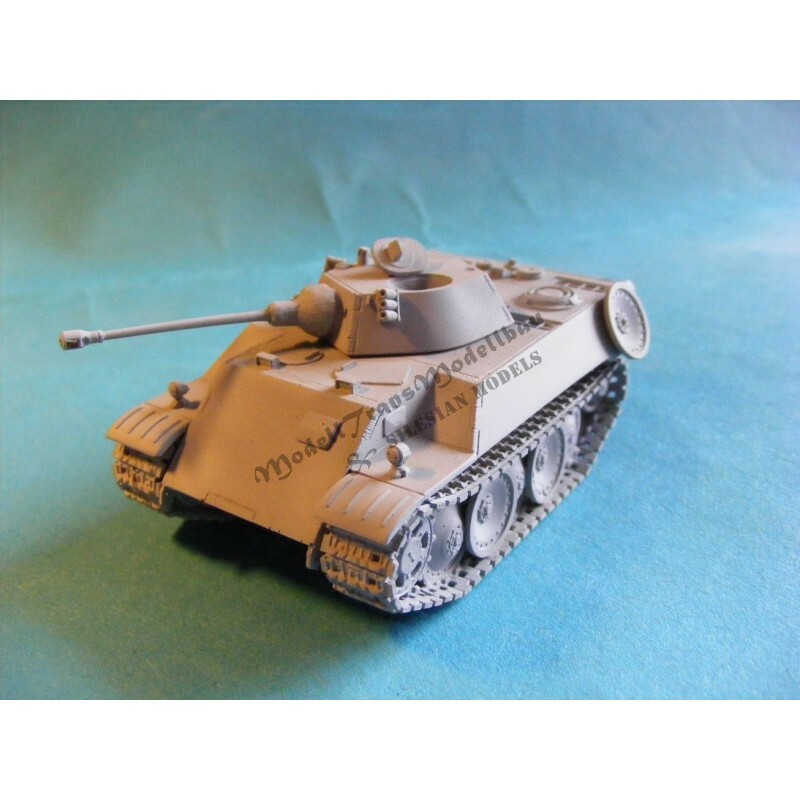 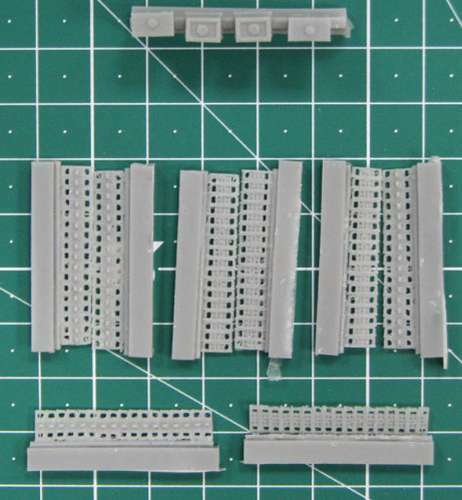 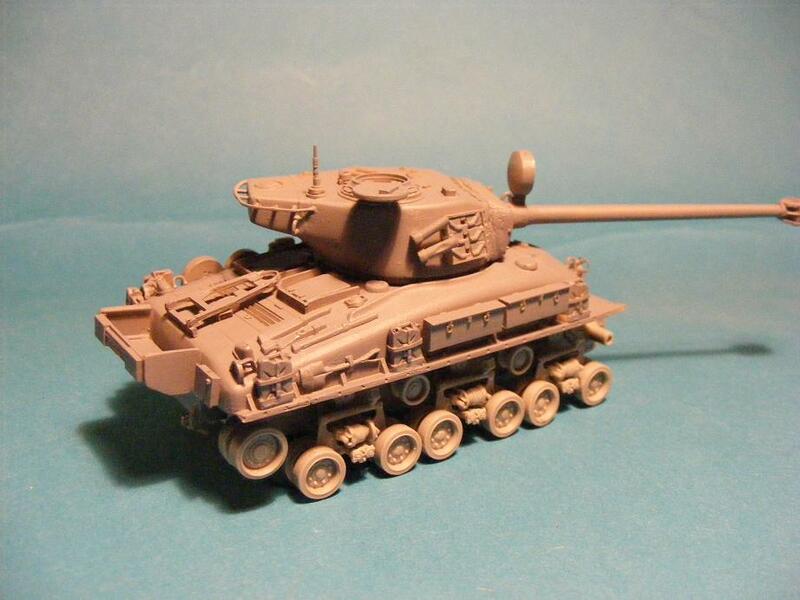 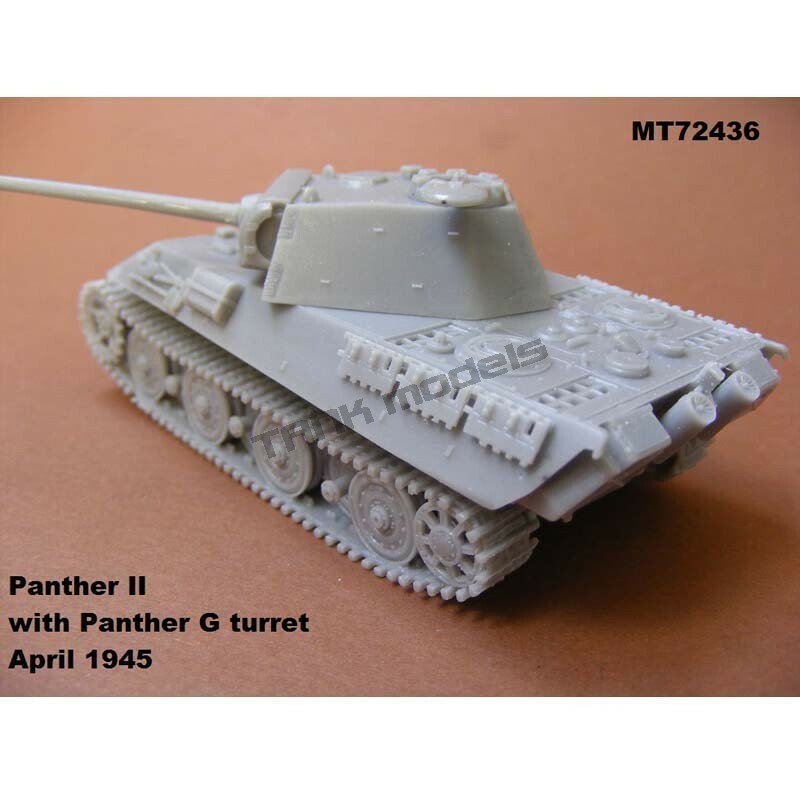 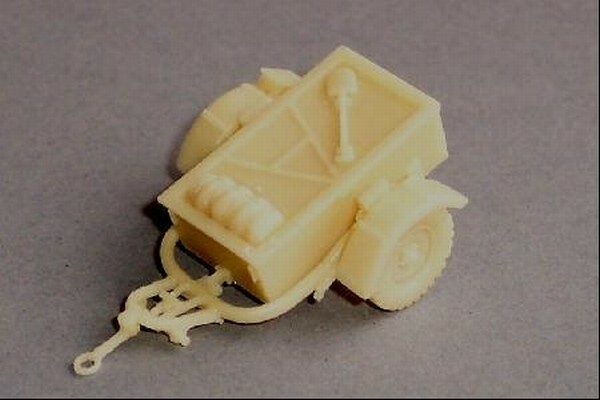 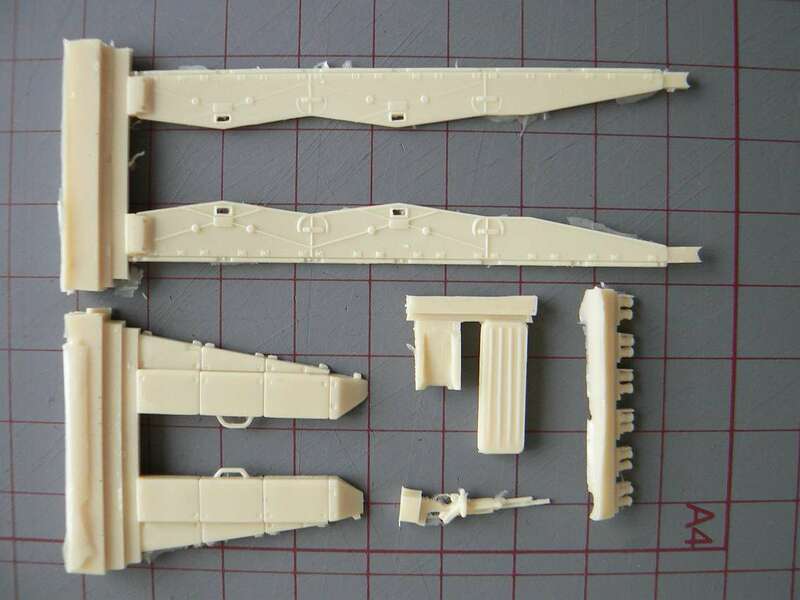 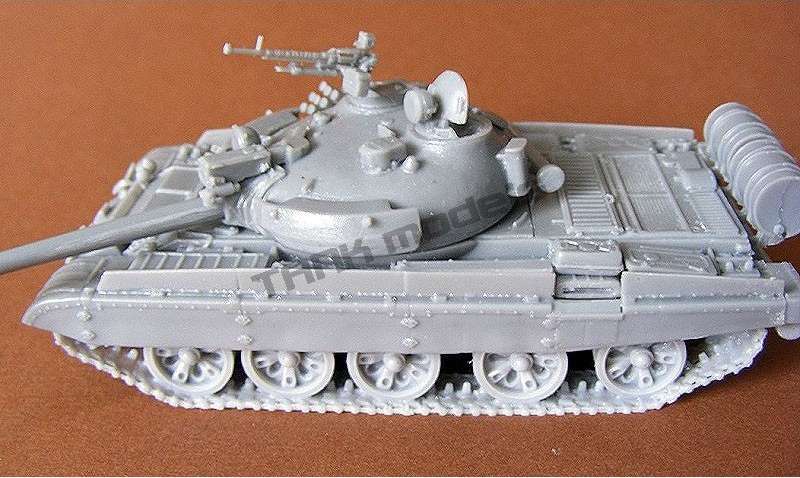 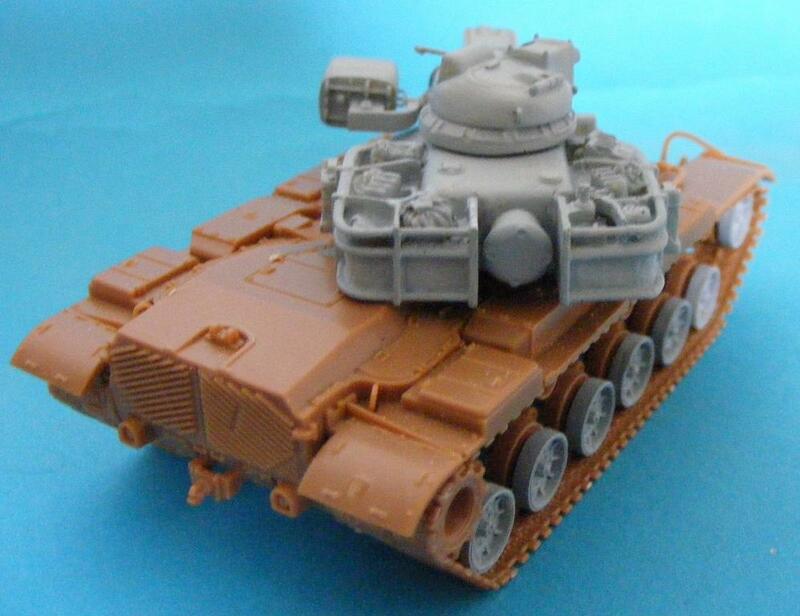 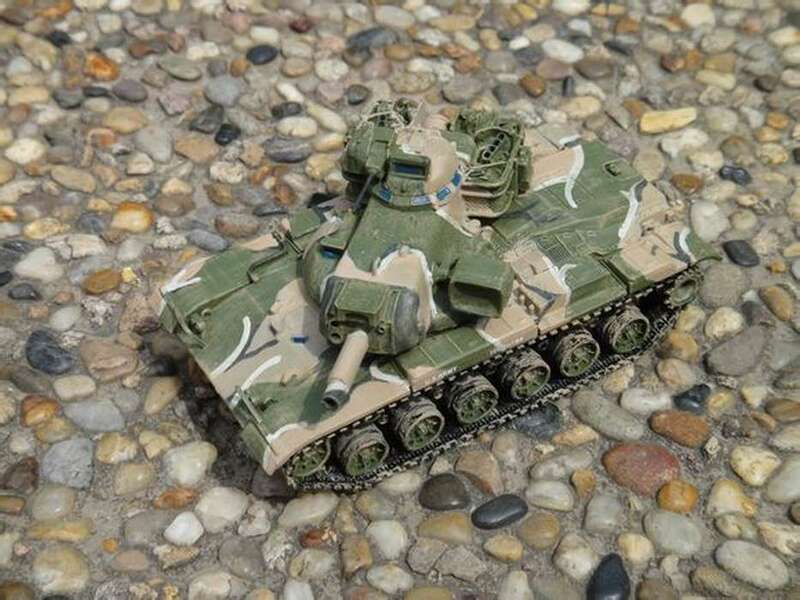 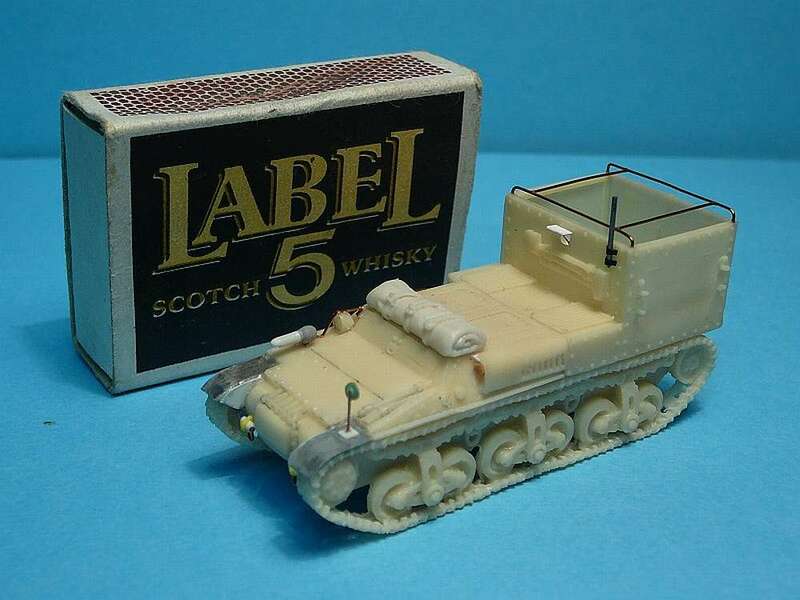 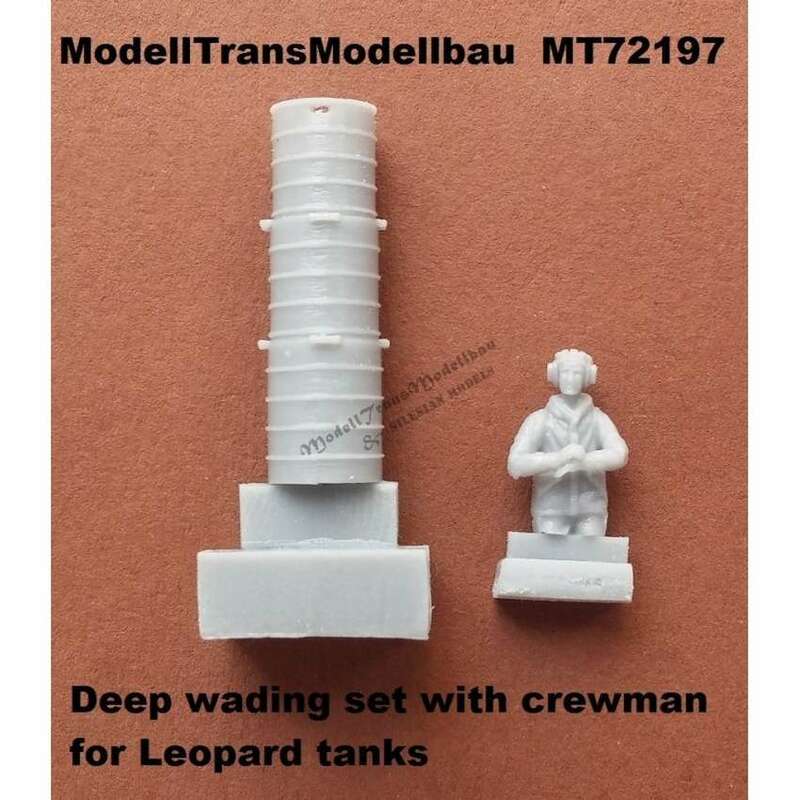 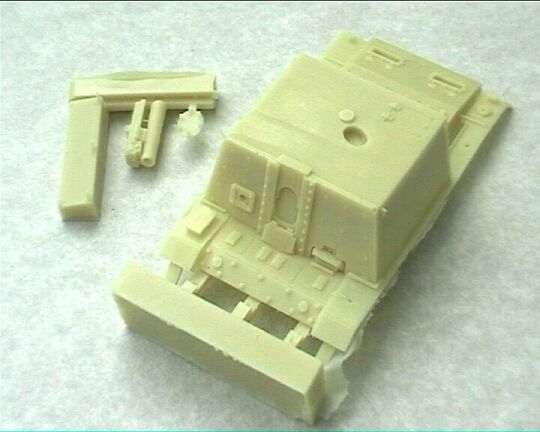 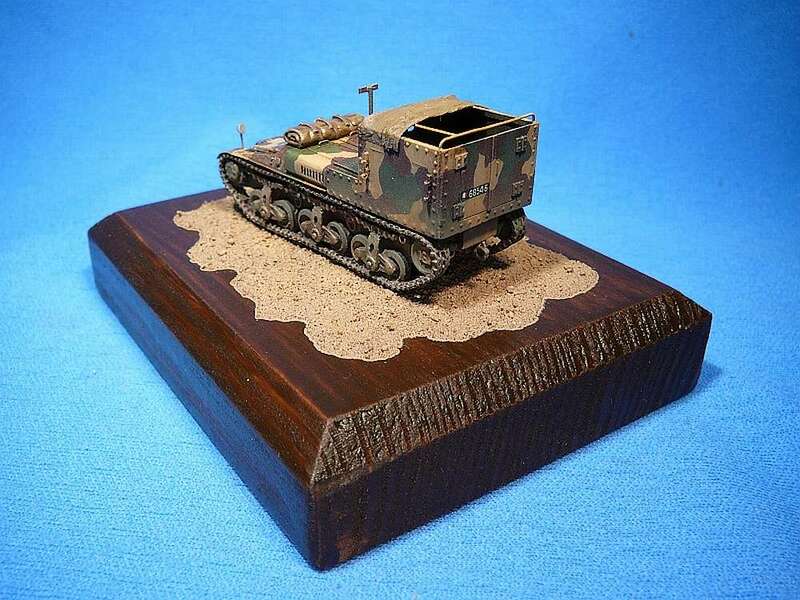 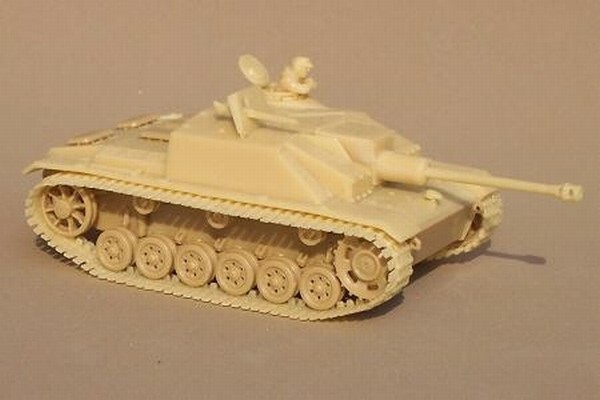 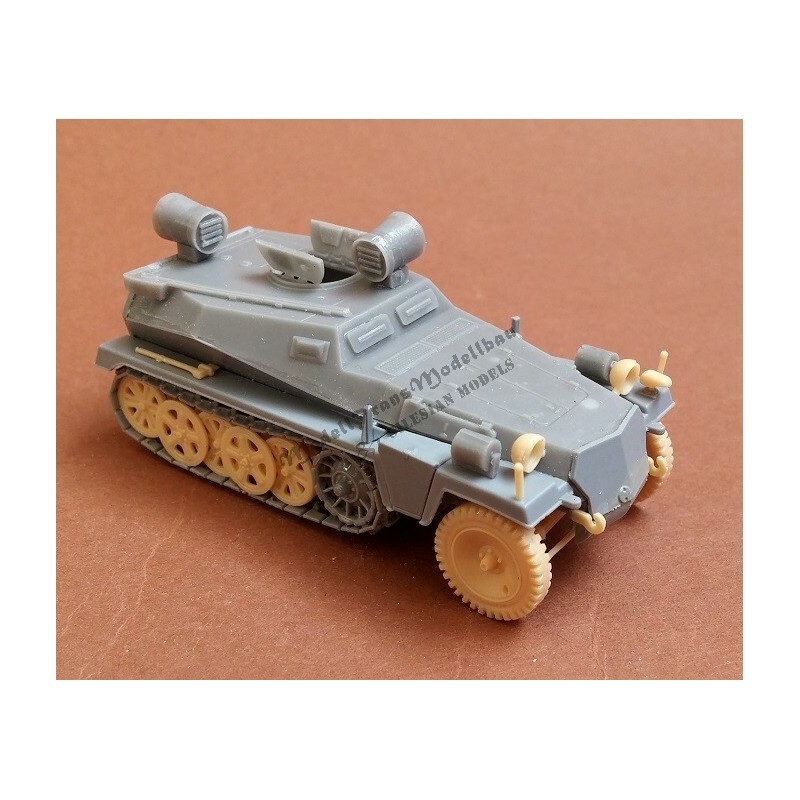 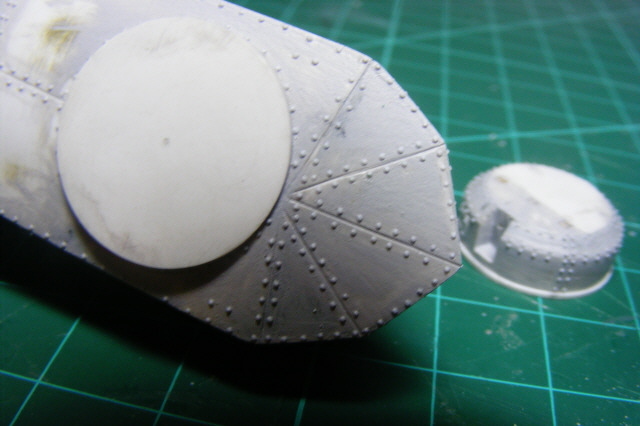 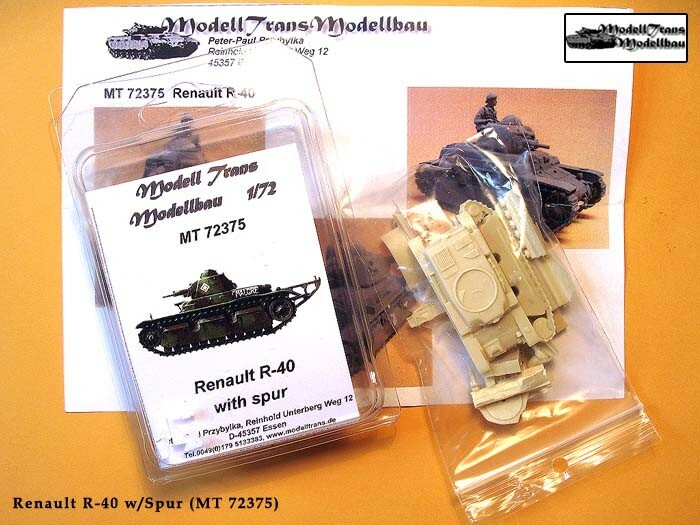 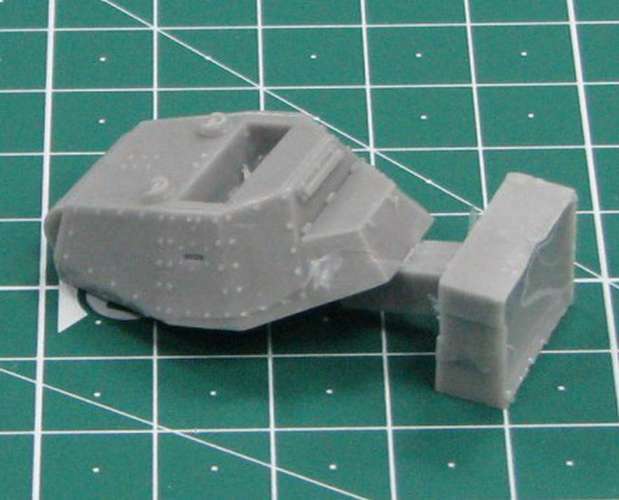 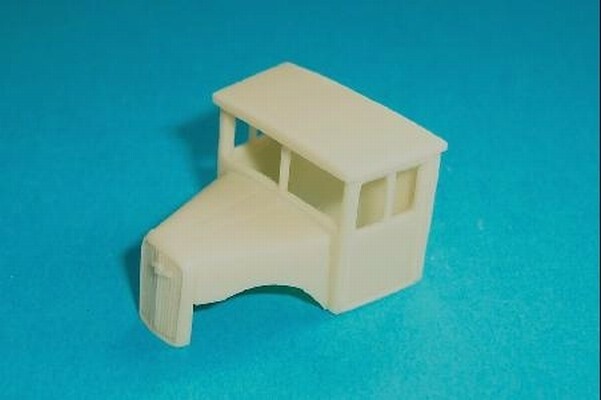 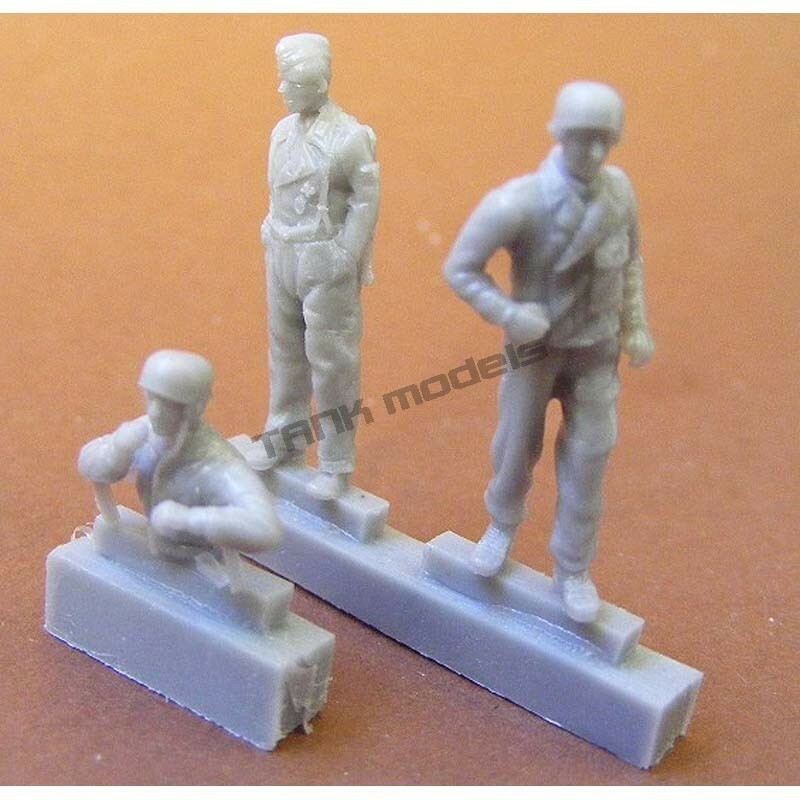 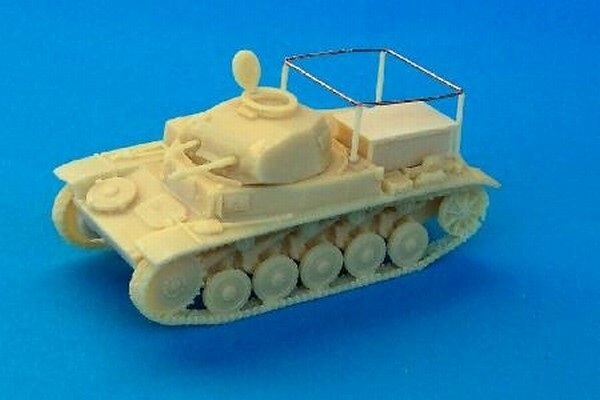 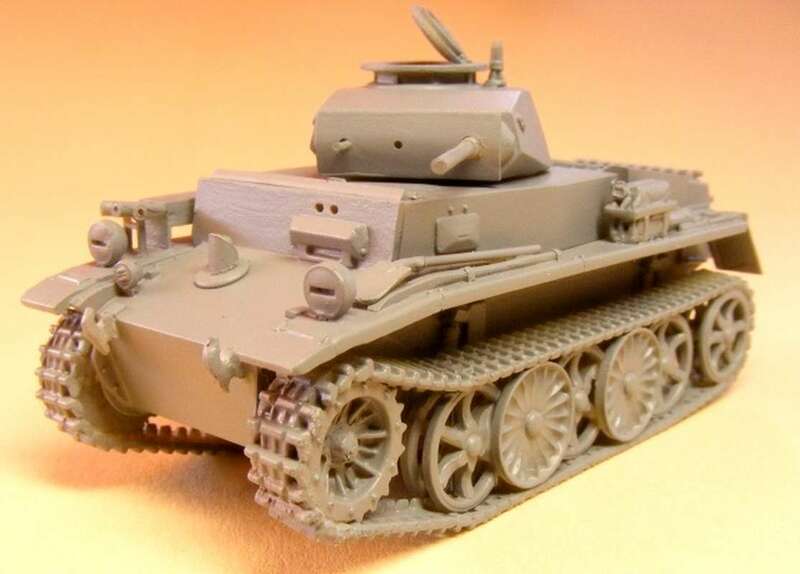 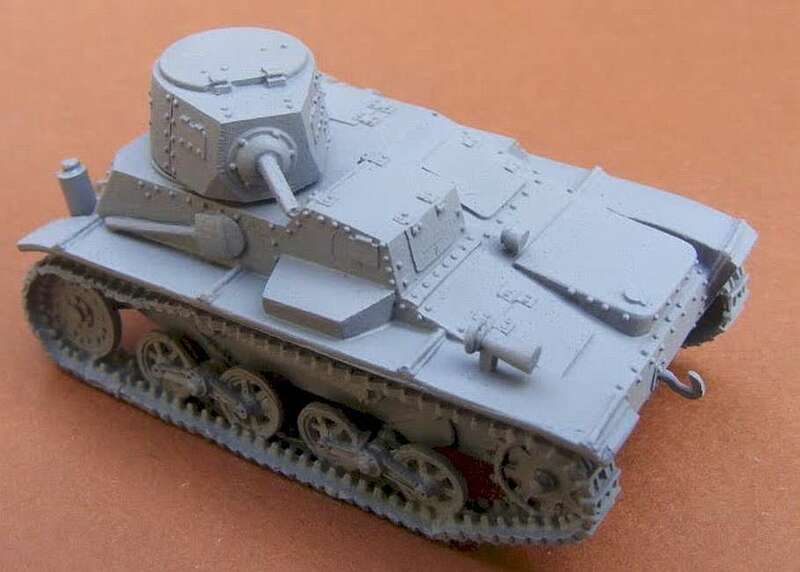 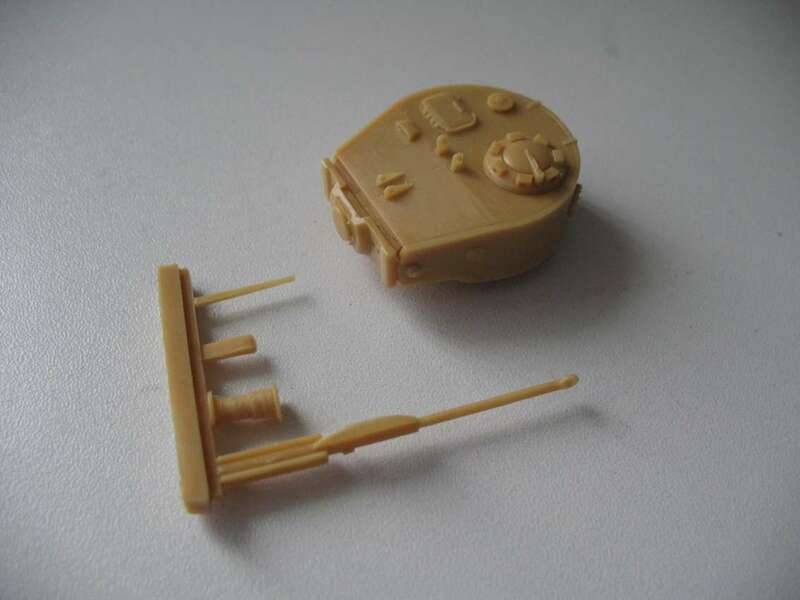 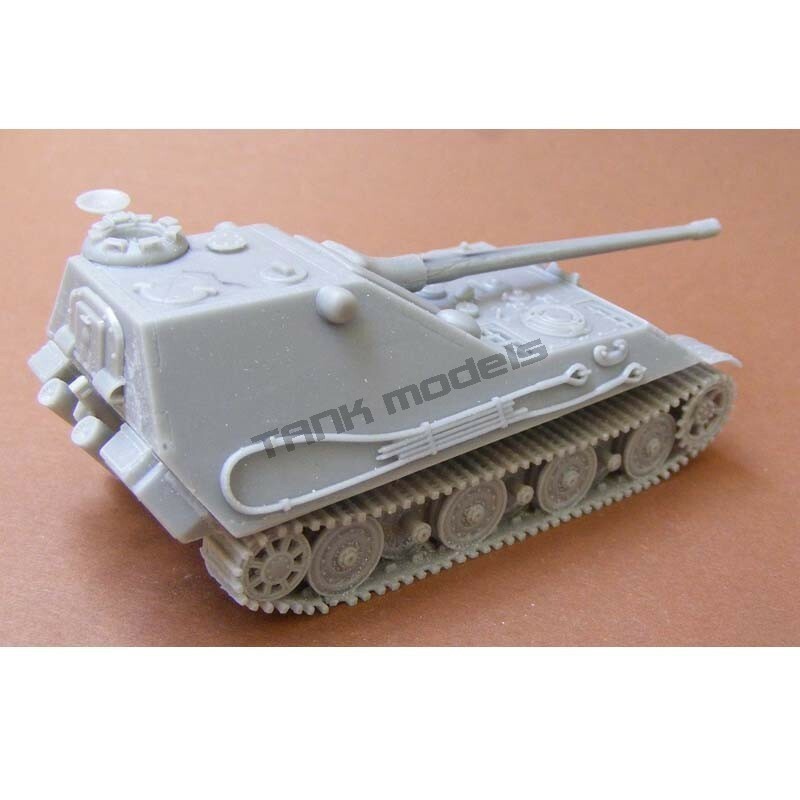 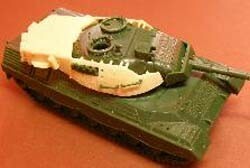 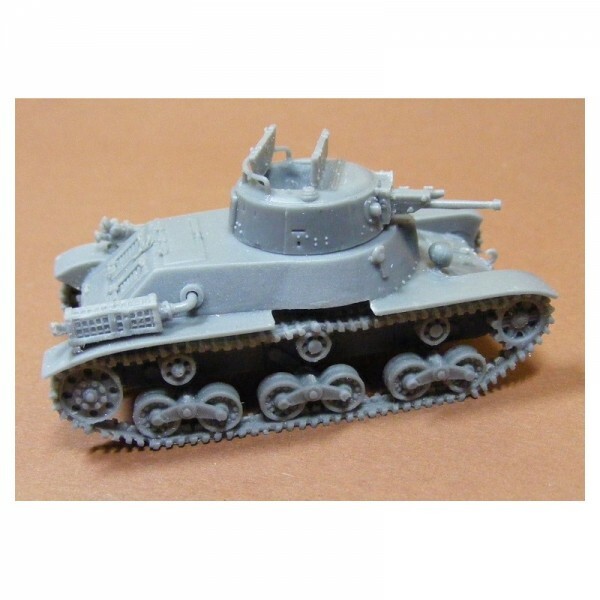 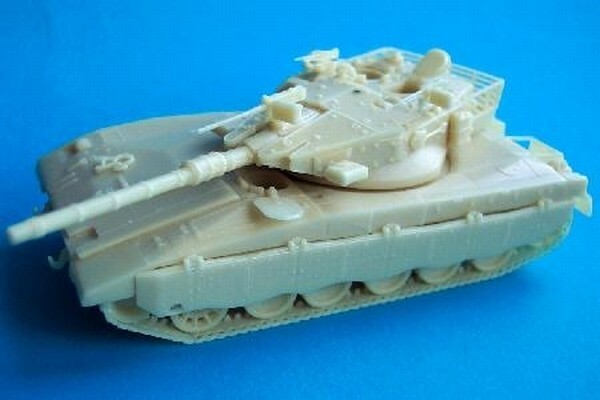 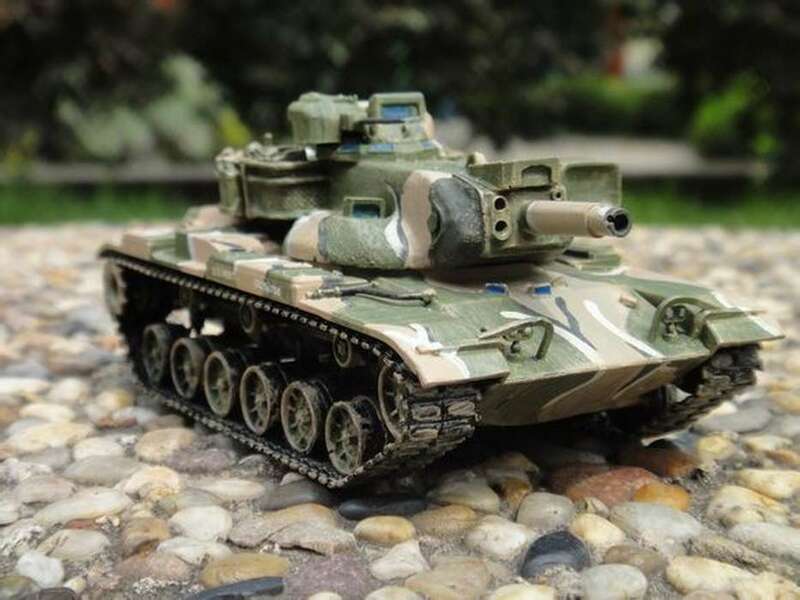 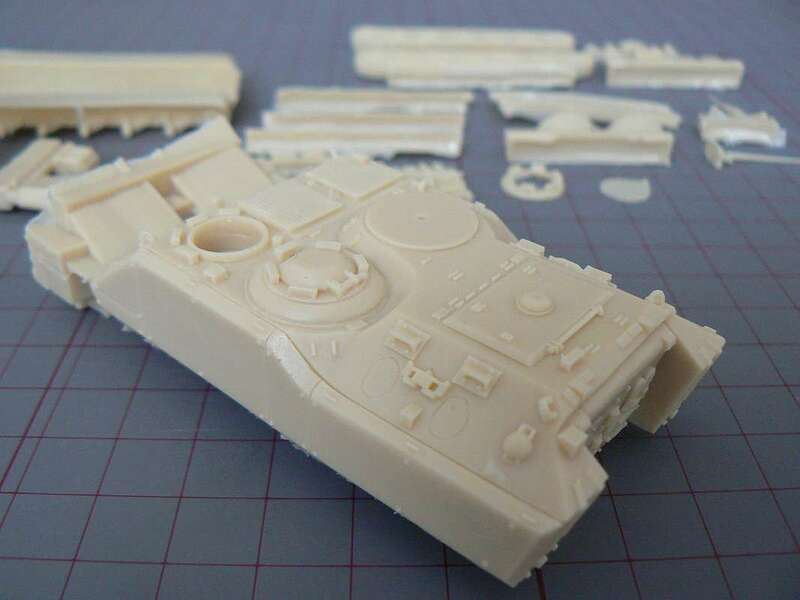 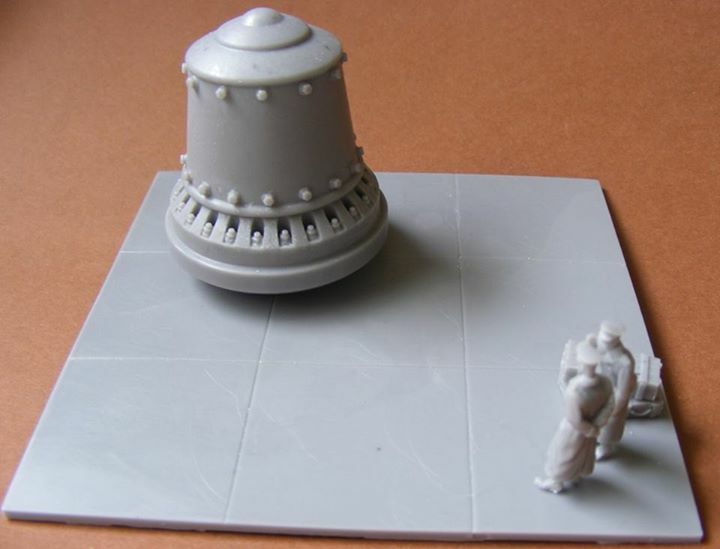 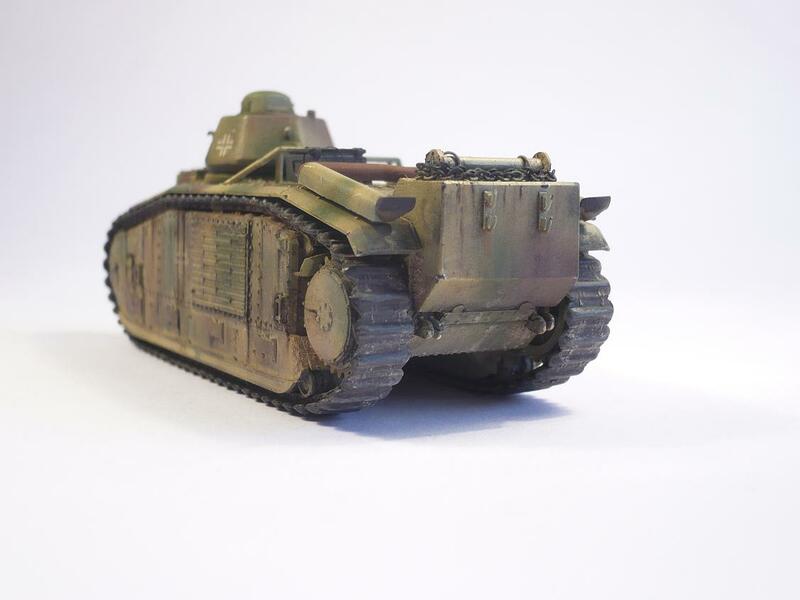 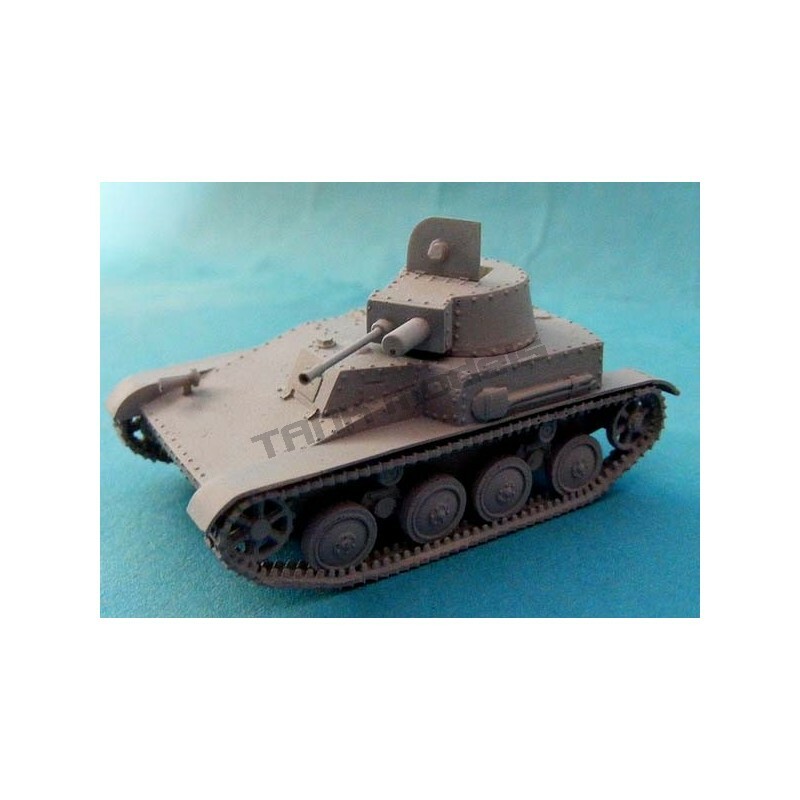 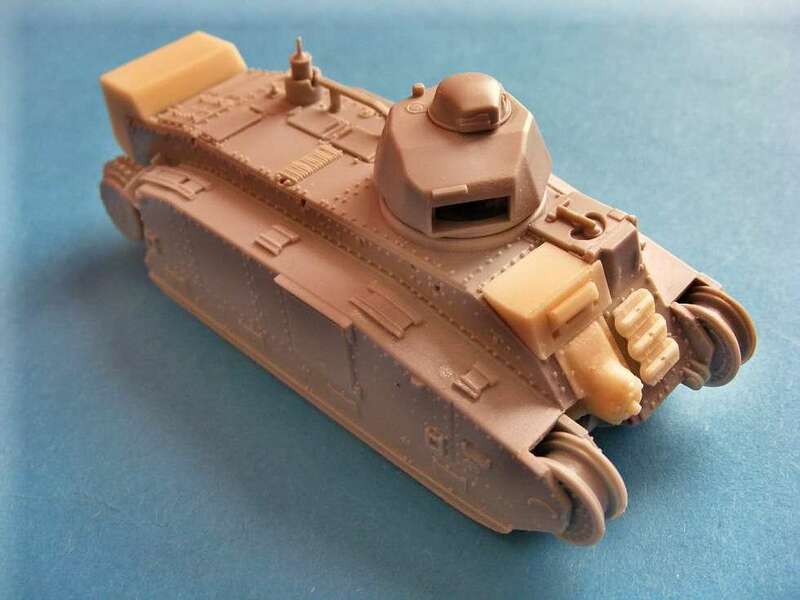 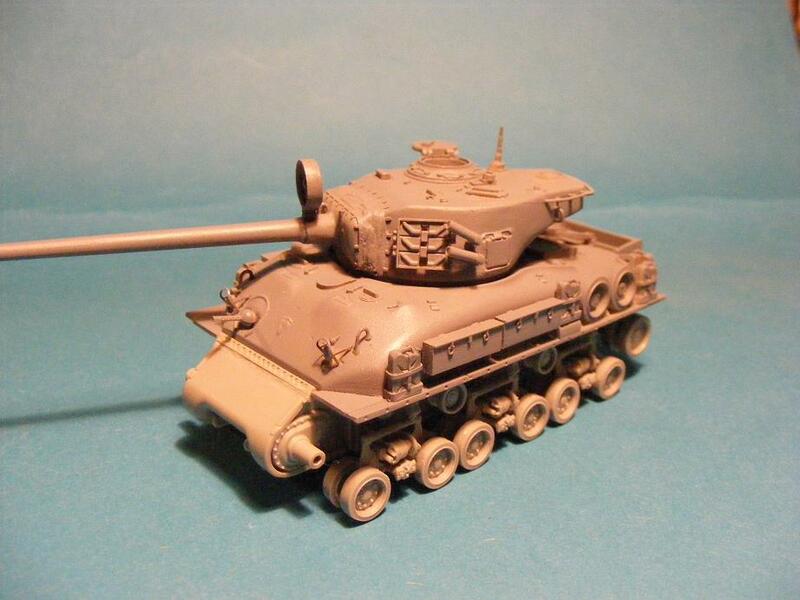 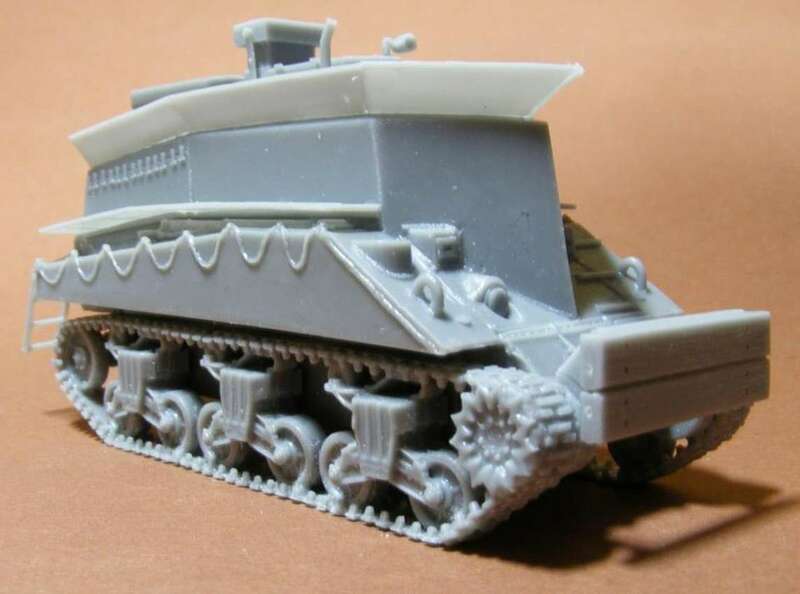 ModellTrans is a high quality resin manufacturer. 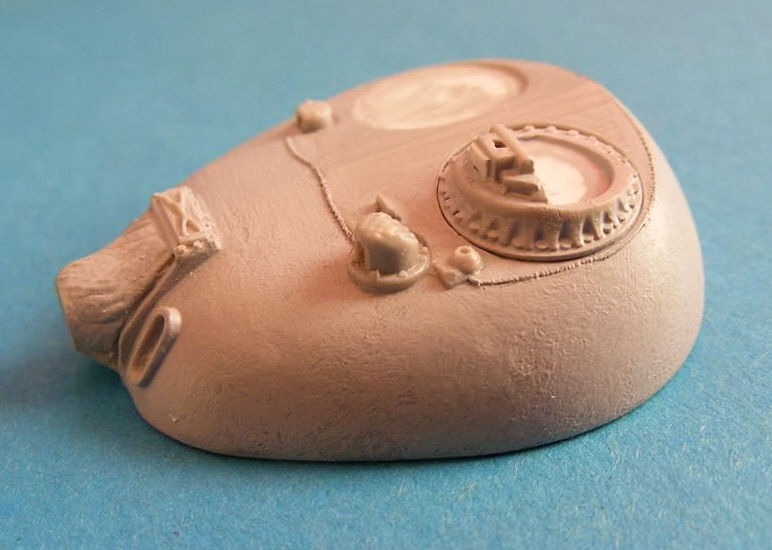 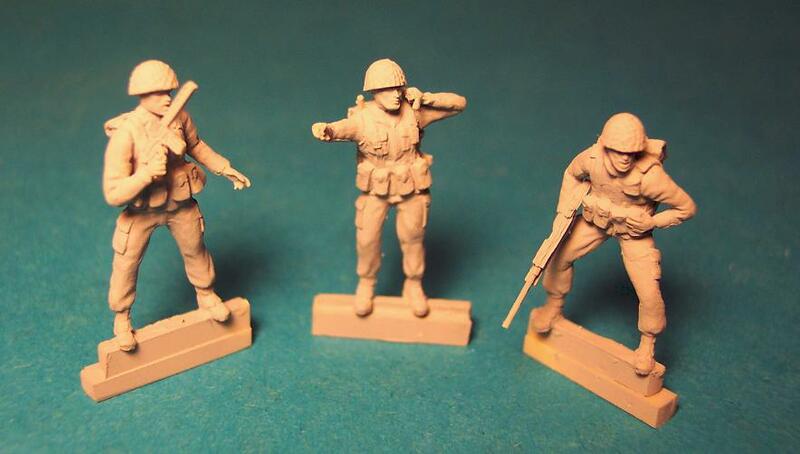 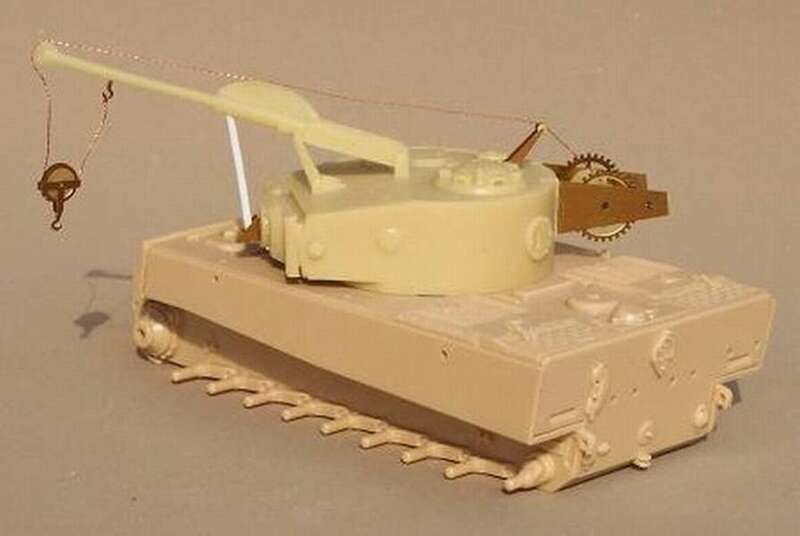 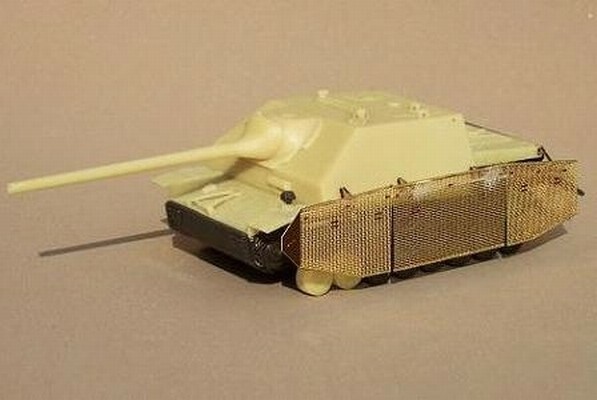 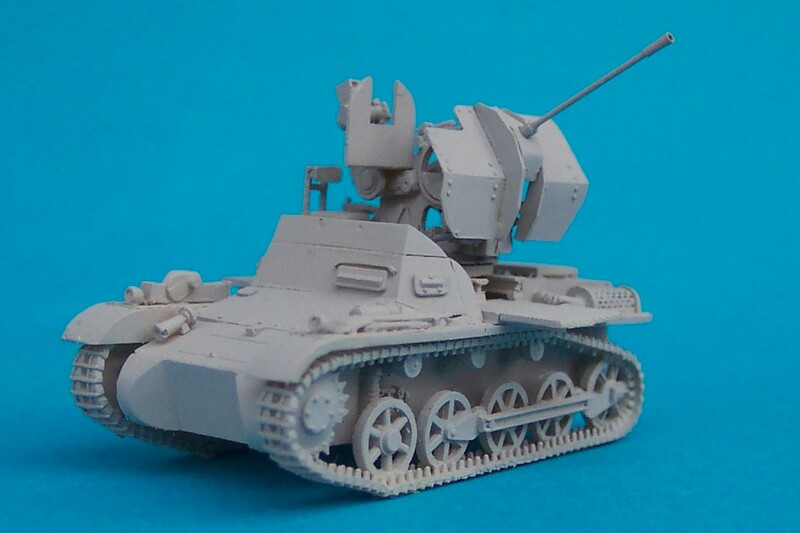 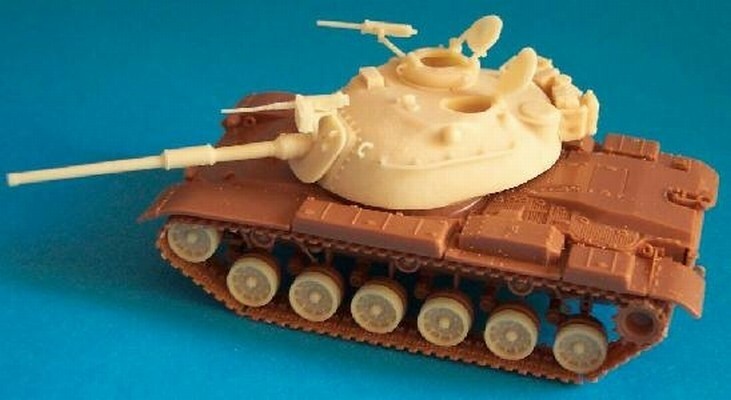 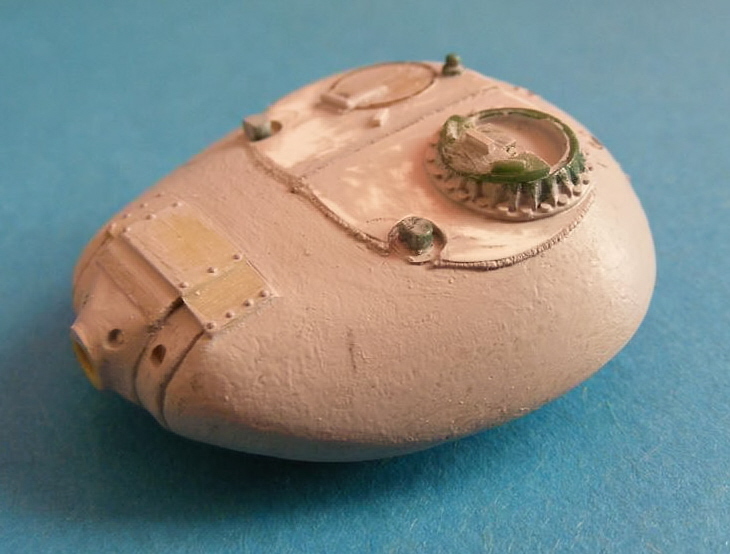 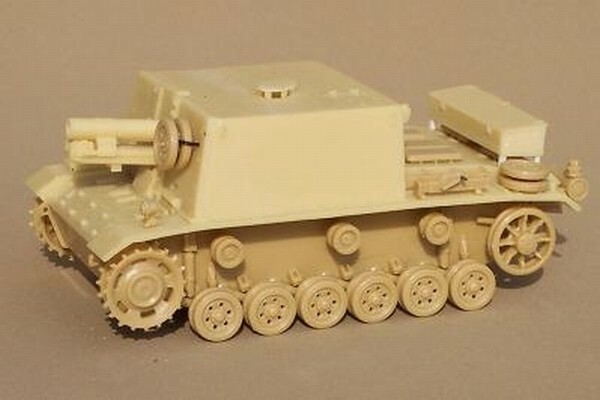 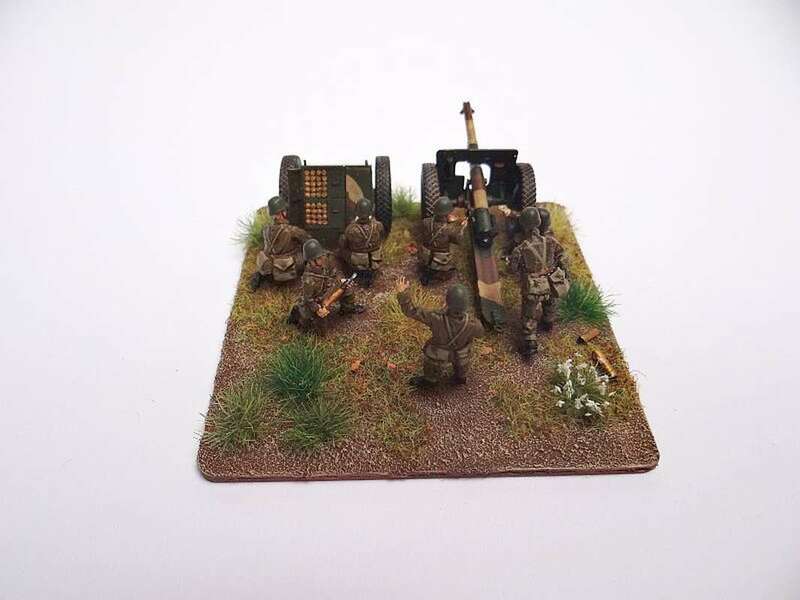 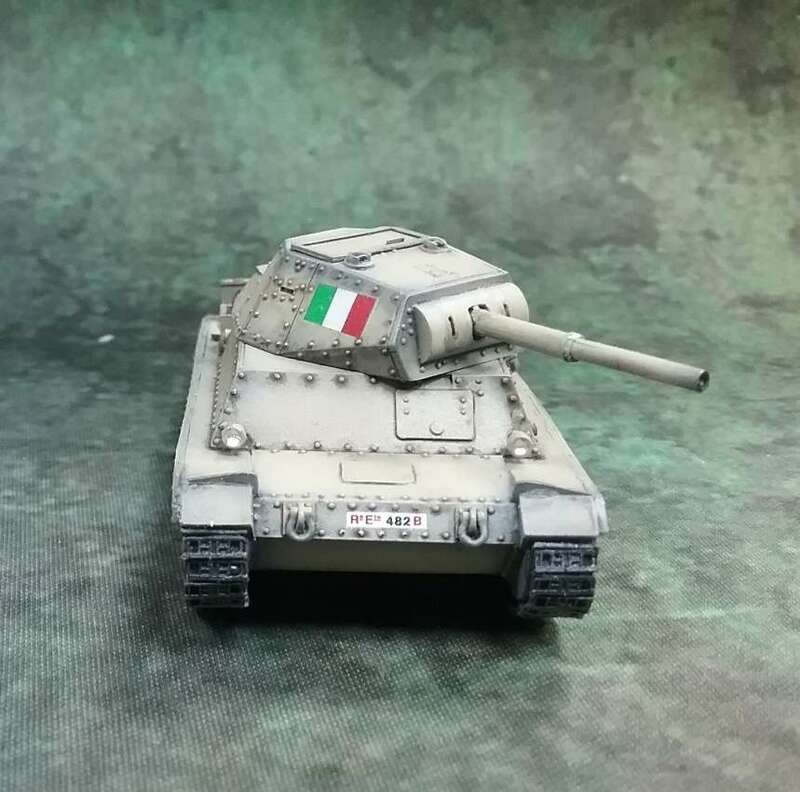 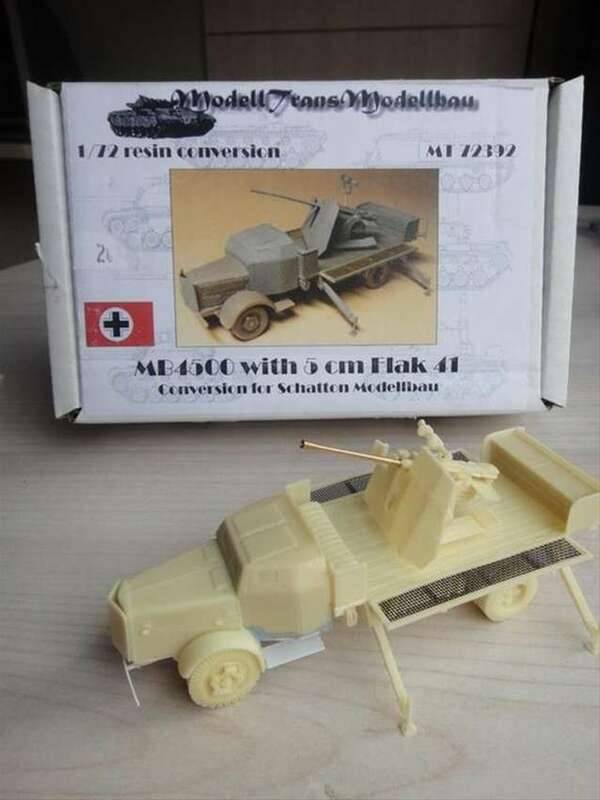 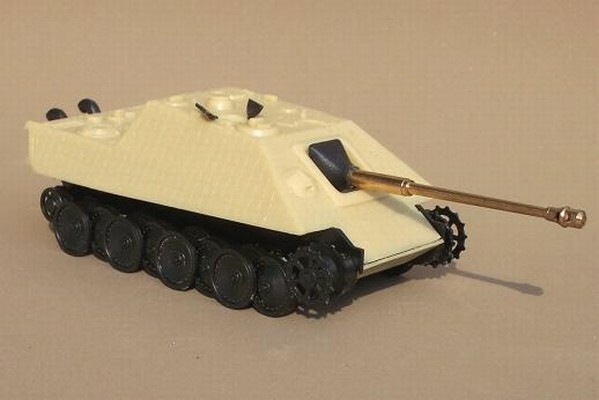 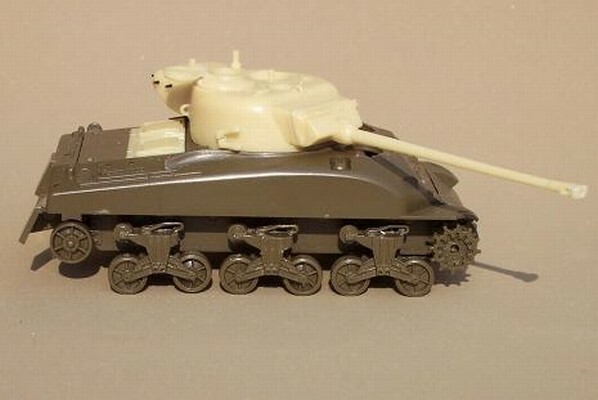 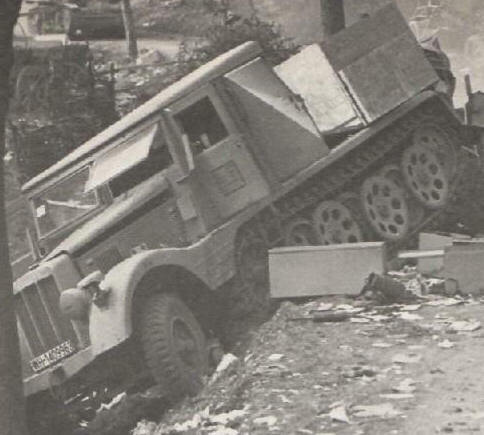 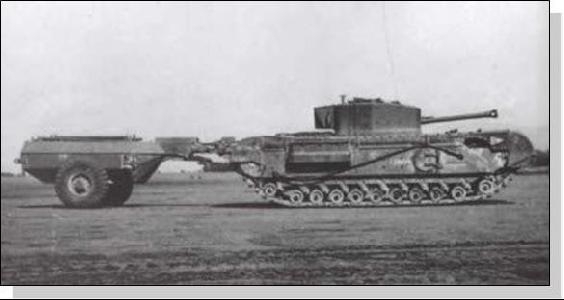 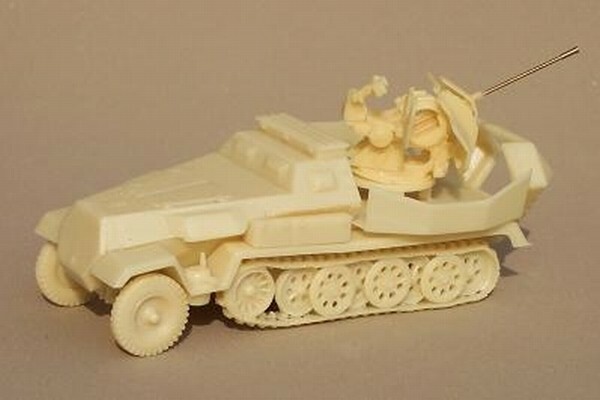 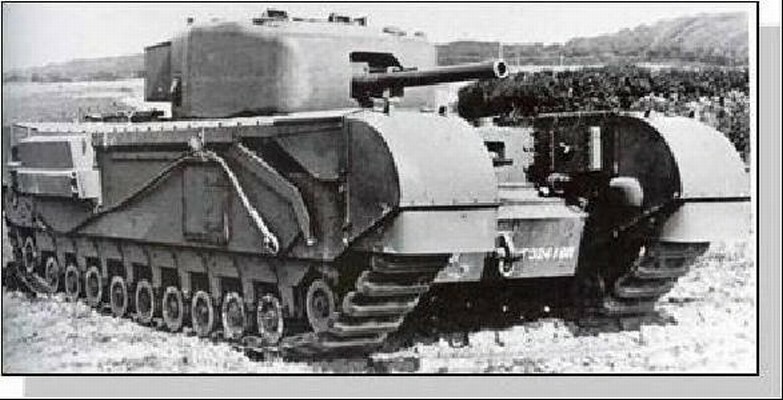 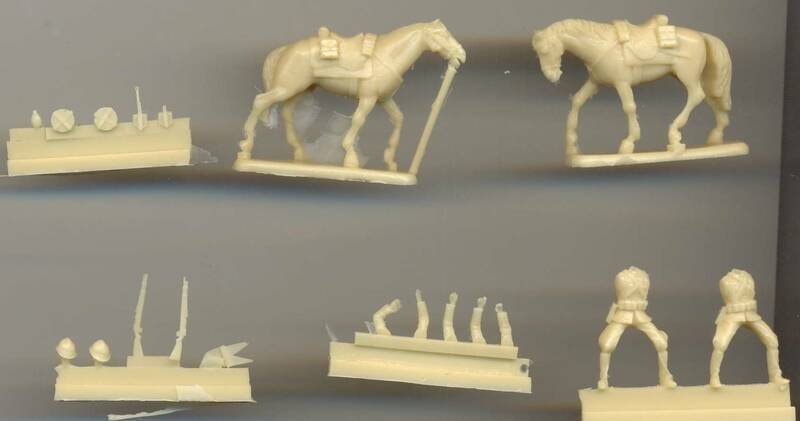 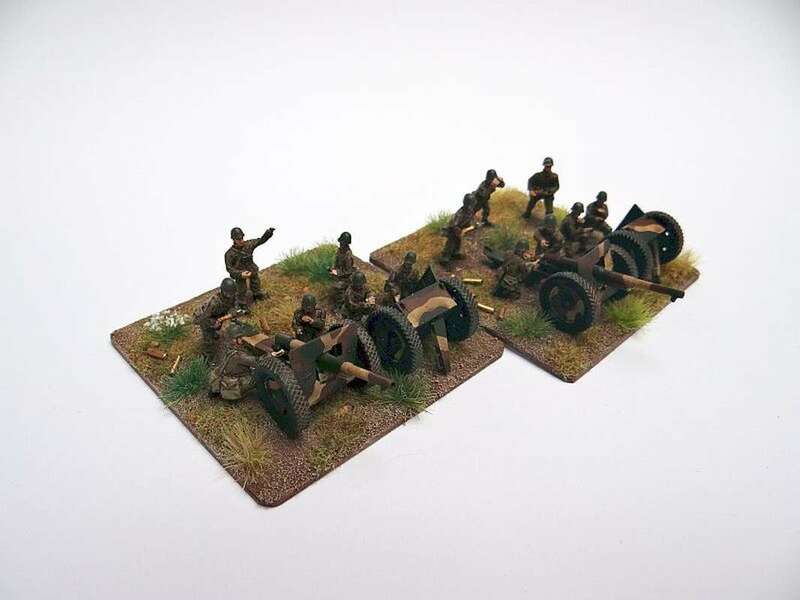 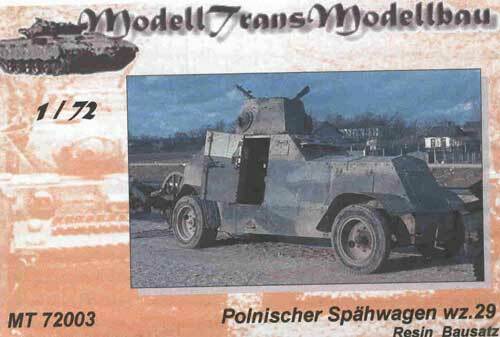 Their early kits were cast in Poland, and sometimes they were a little sloppy. 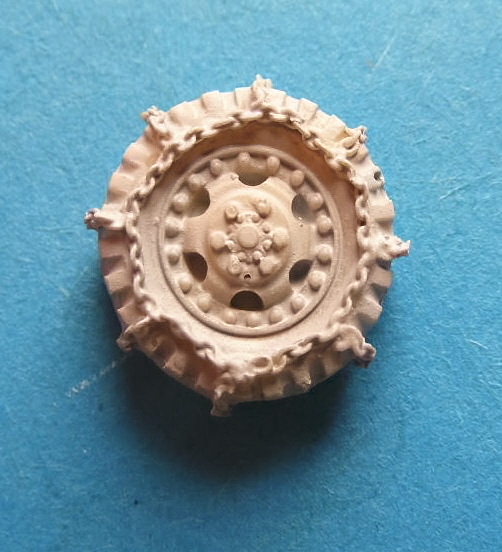 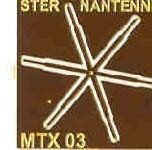 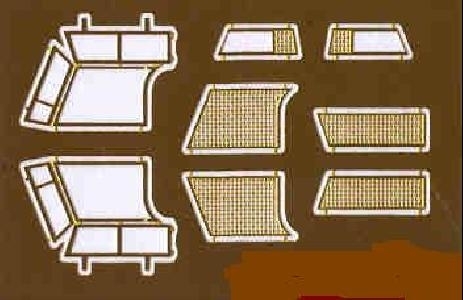 The later kits were cast in Holland and are of a high quality. 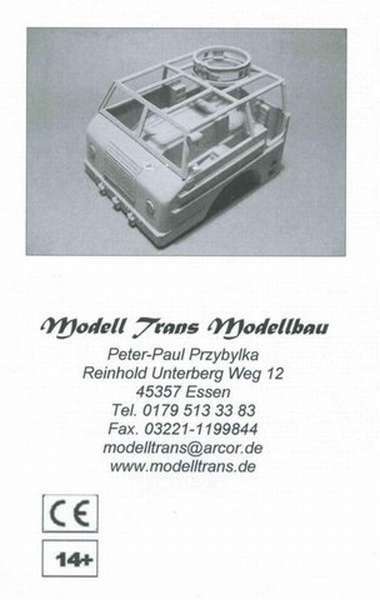 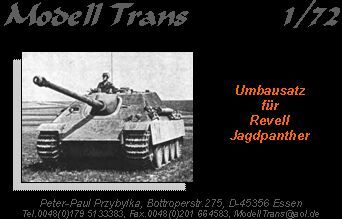 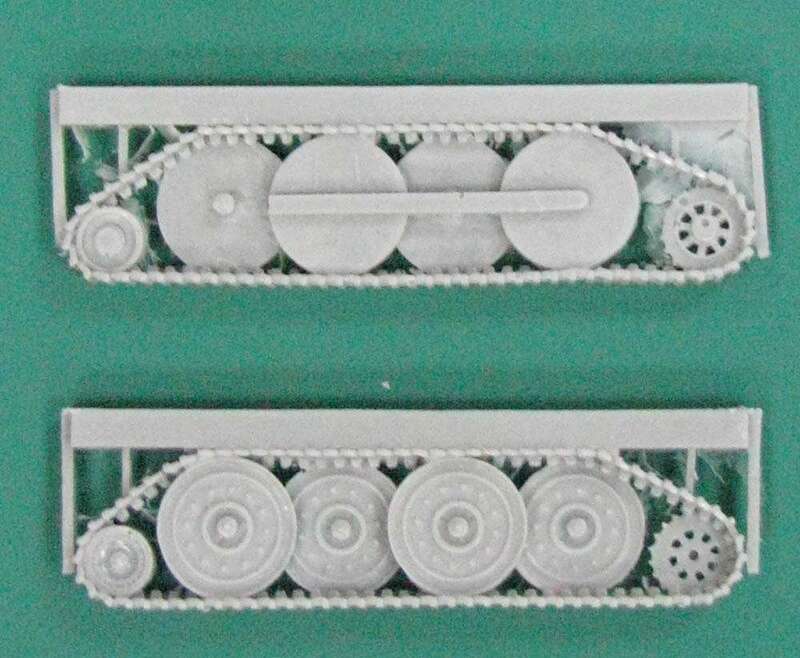 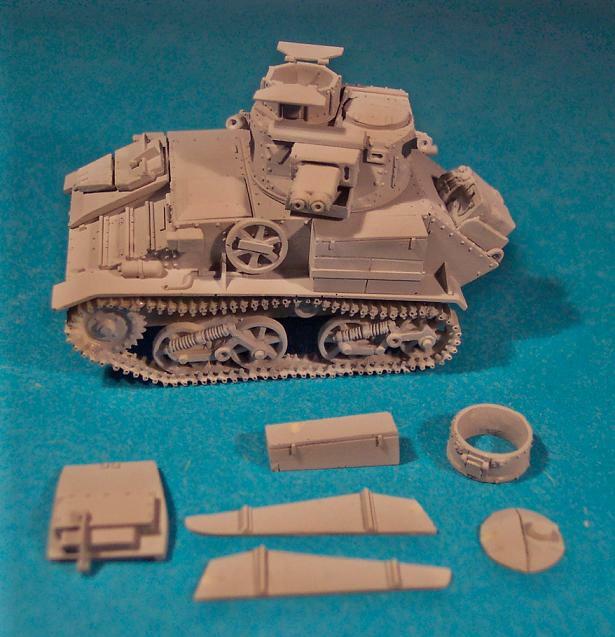 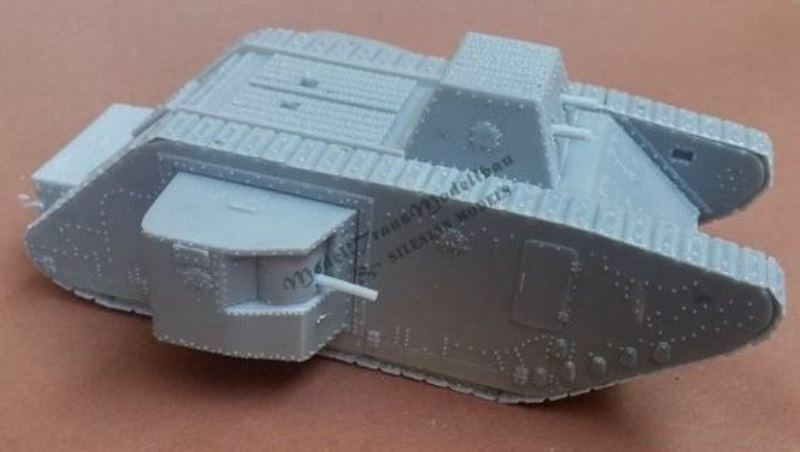 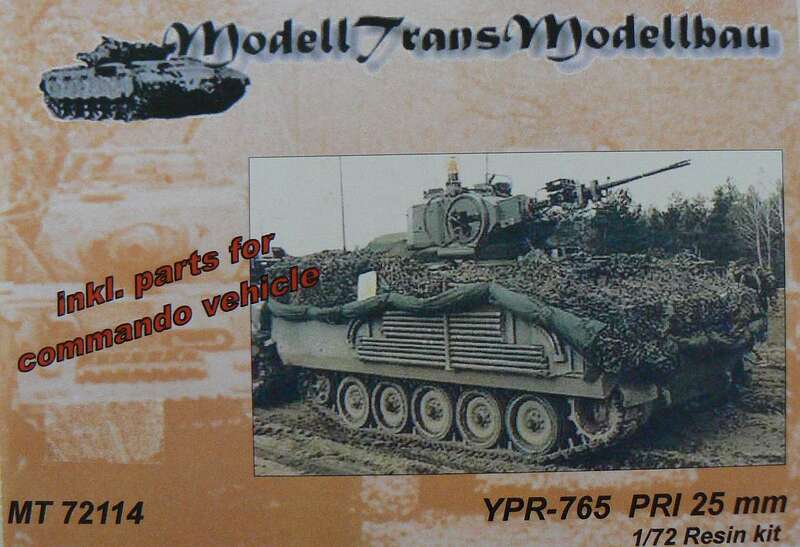 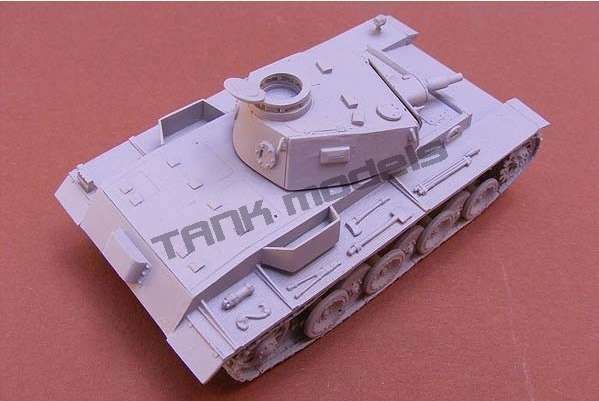 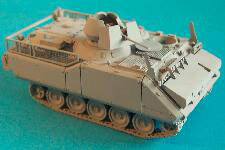 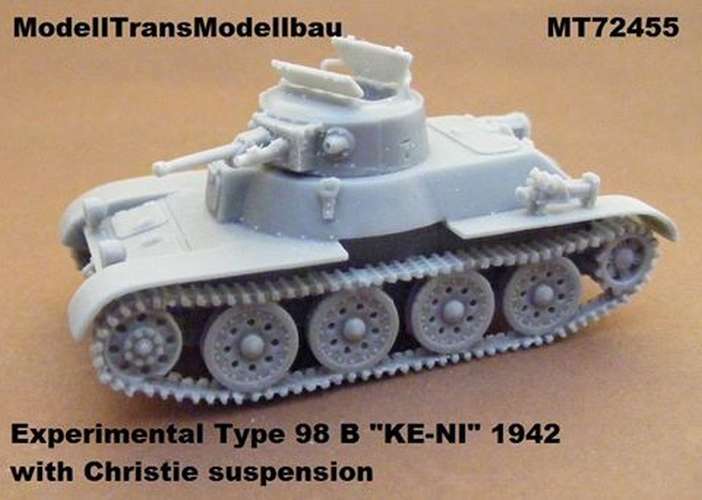 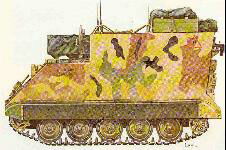 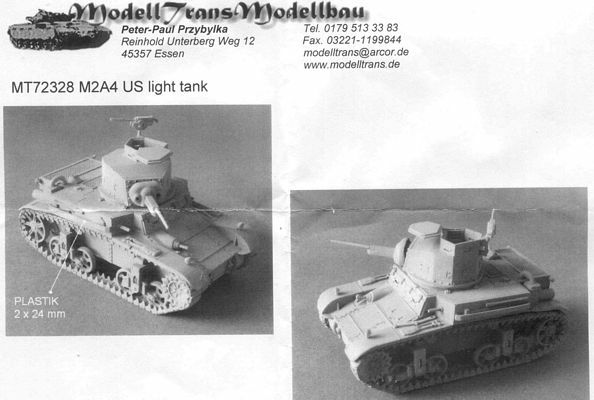 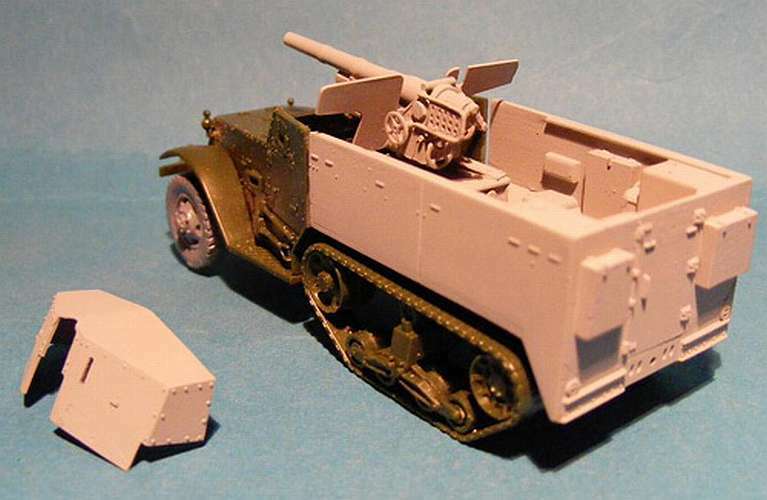 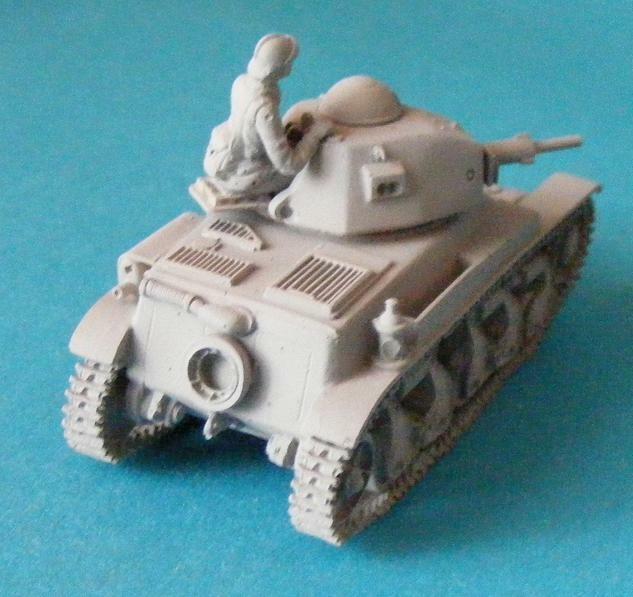 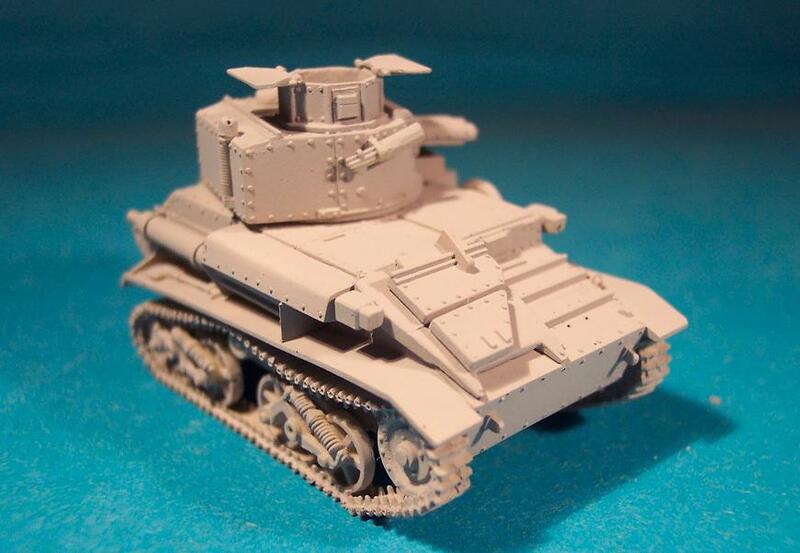 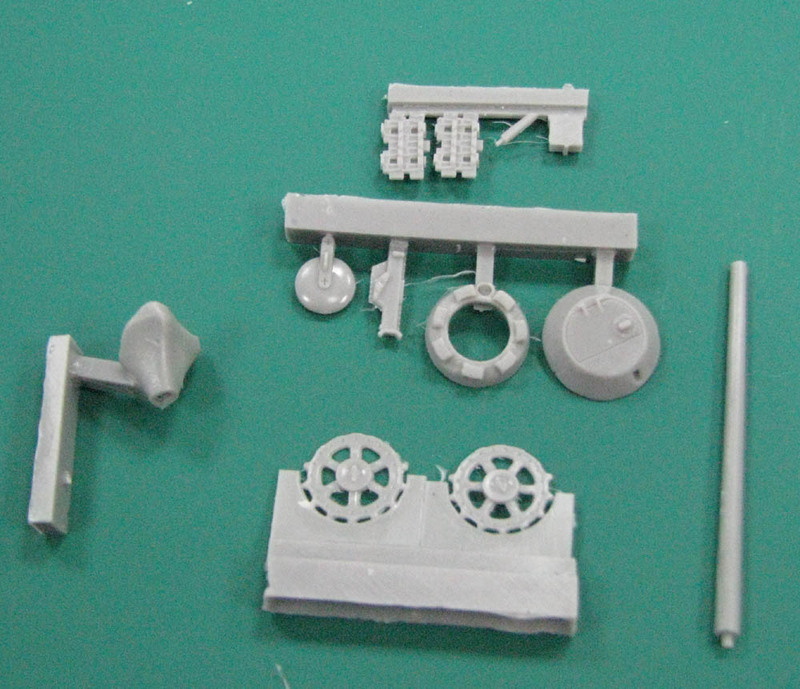 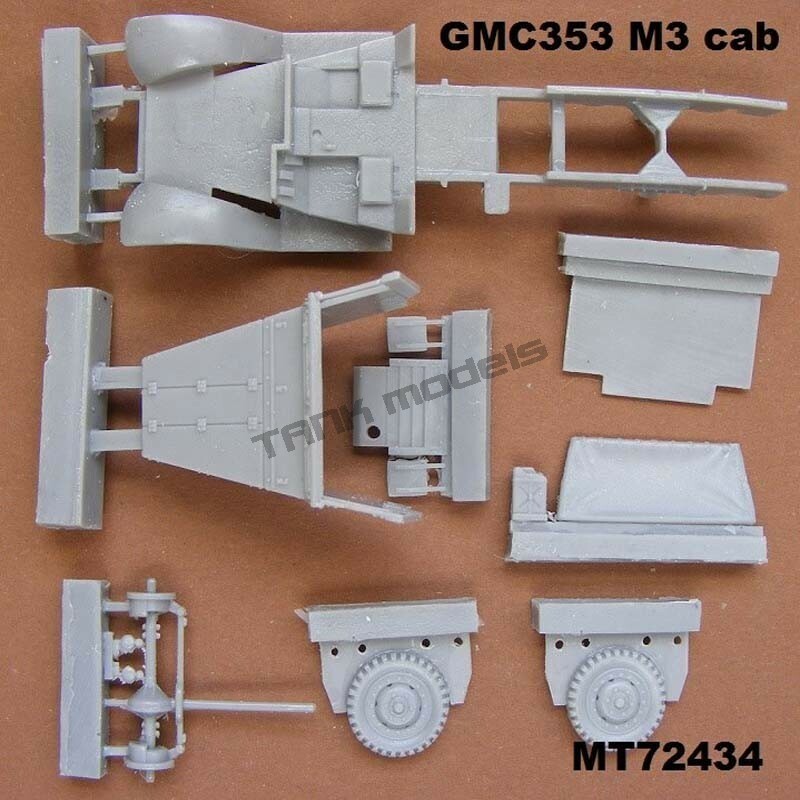 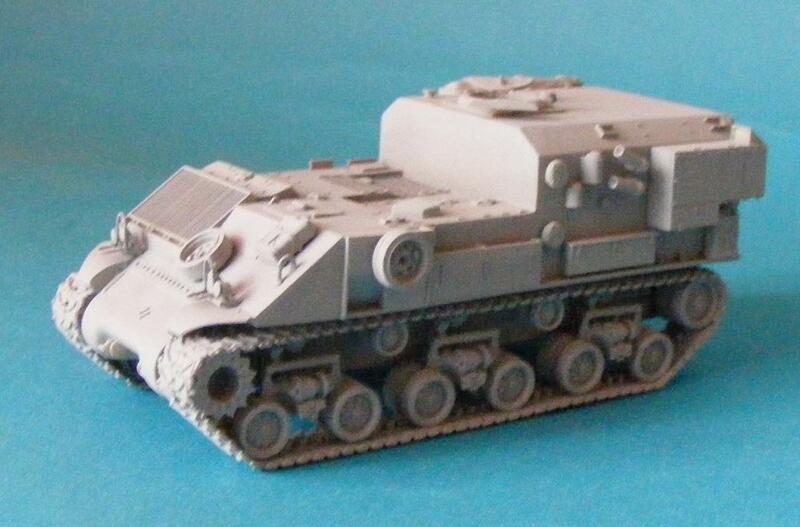 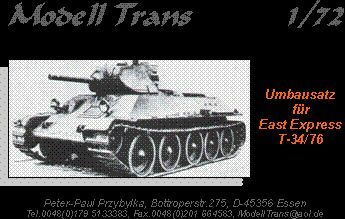 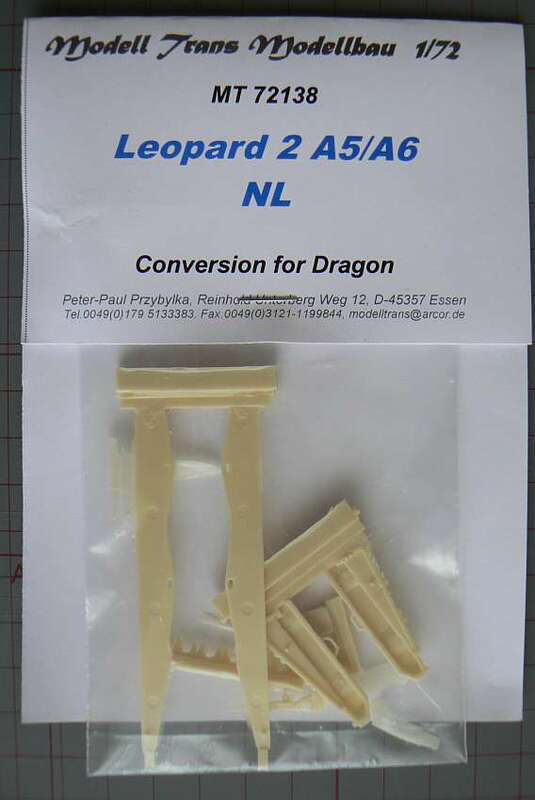 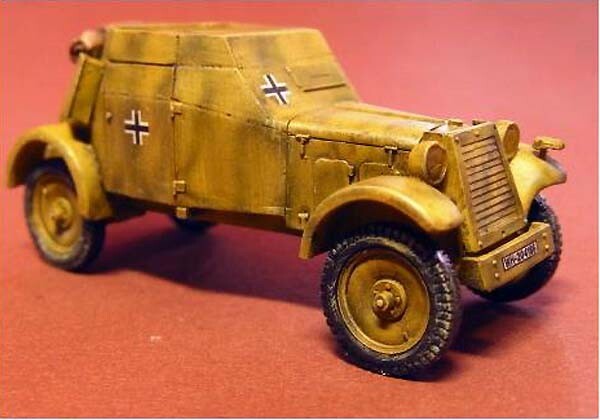 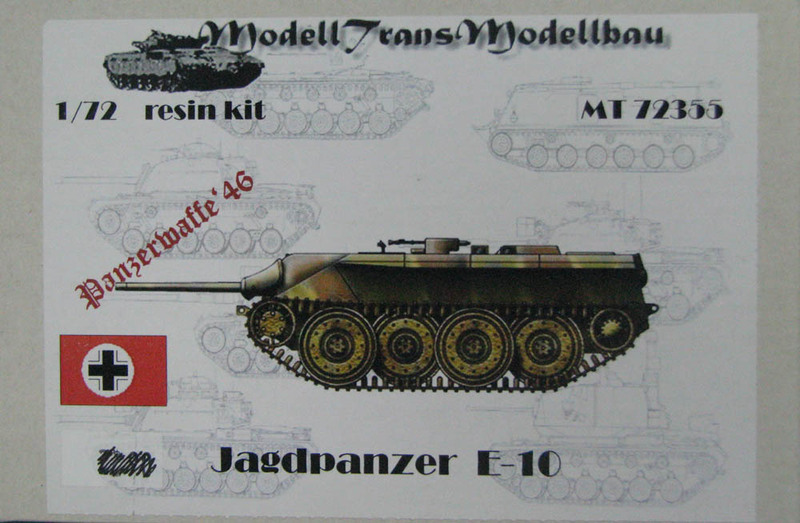 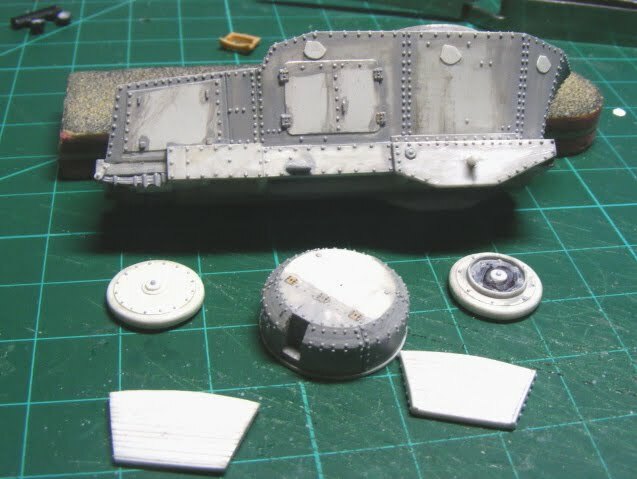 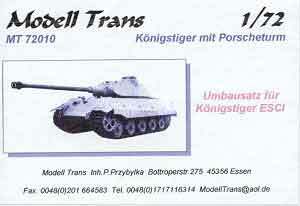 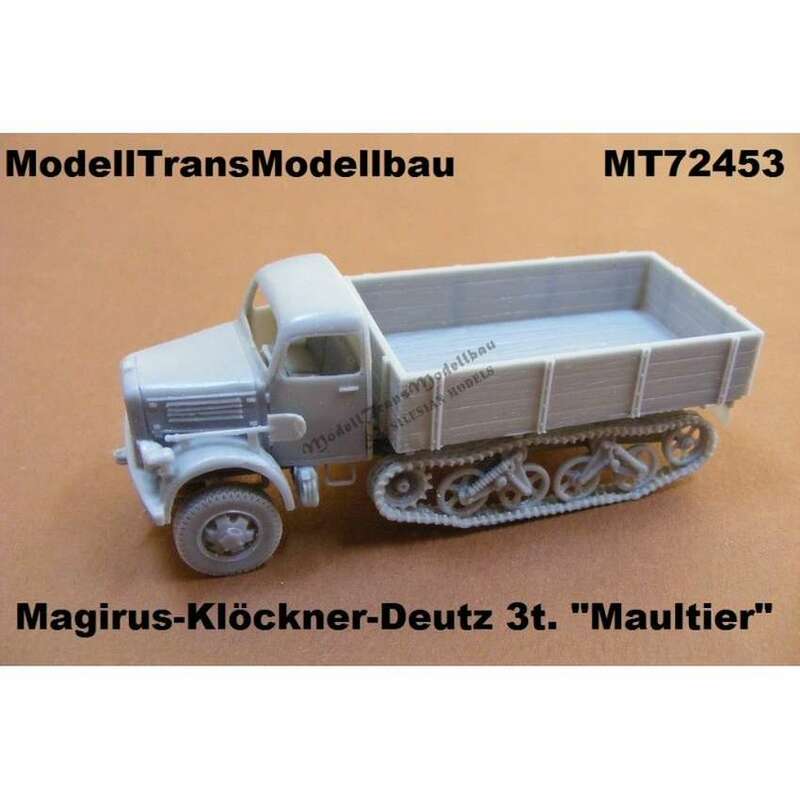 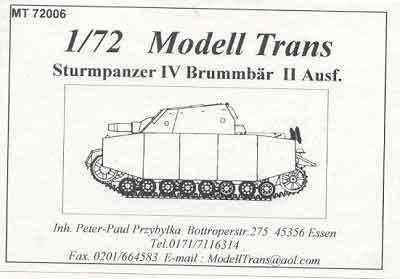 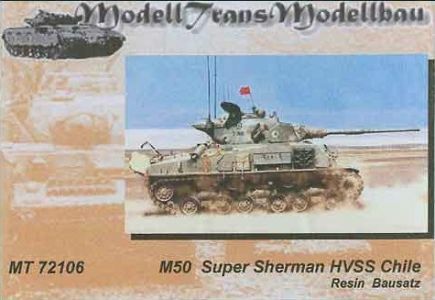 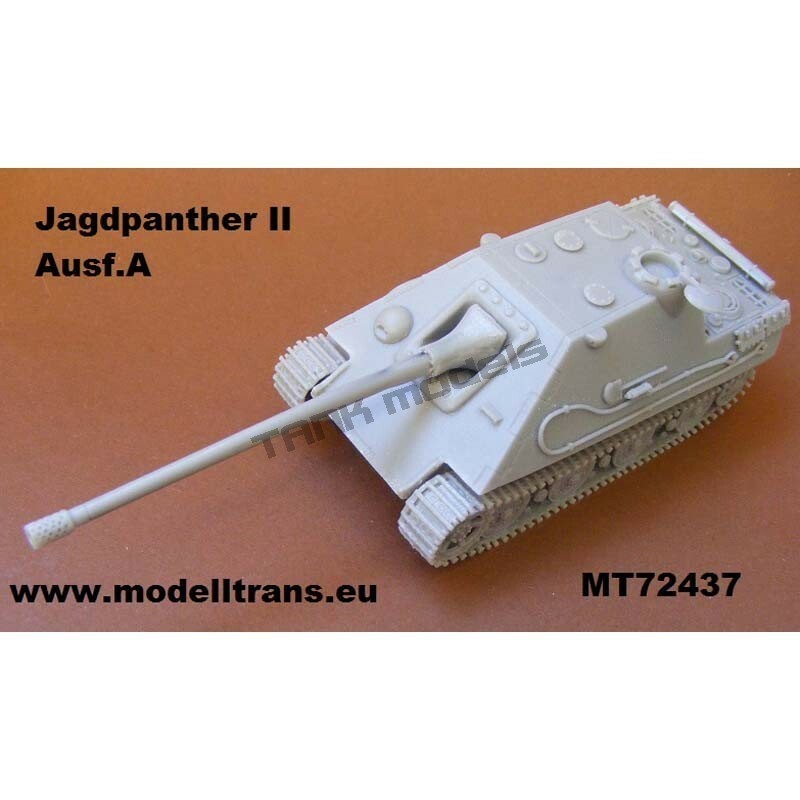 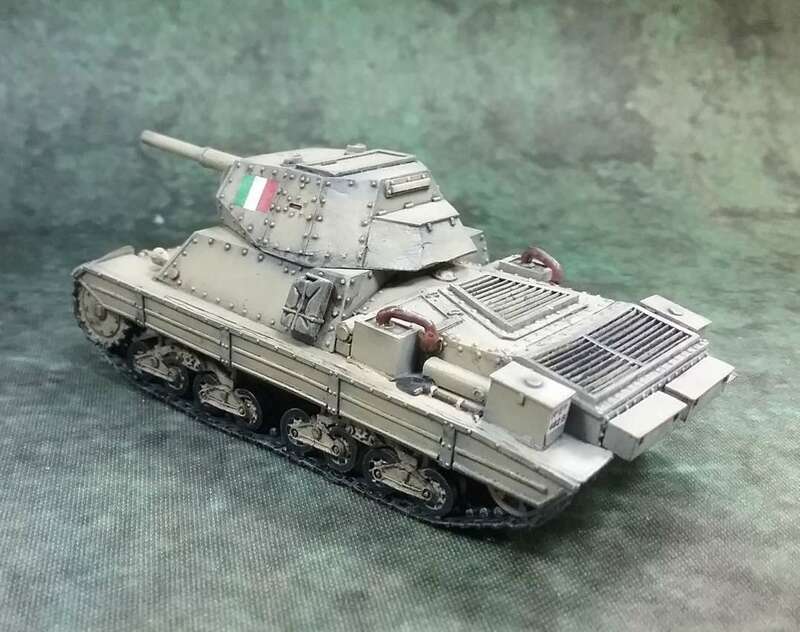 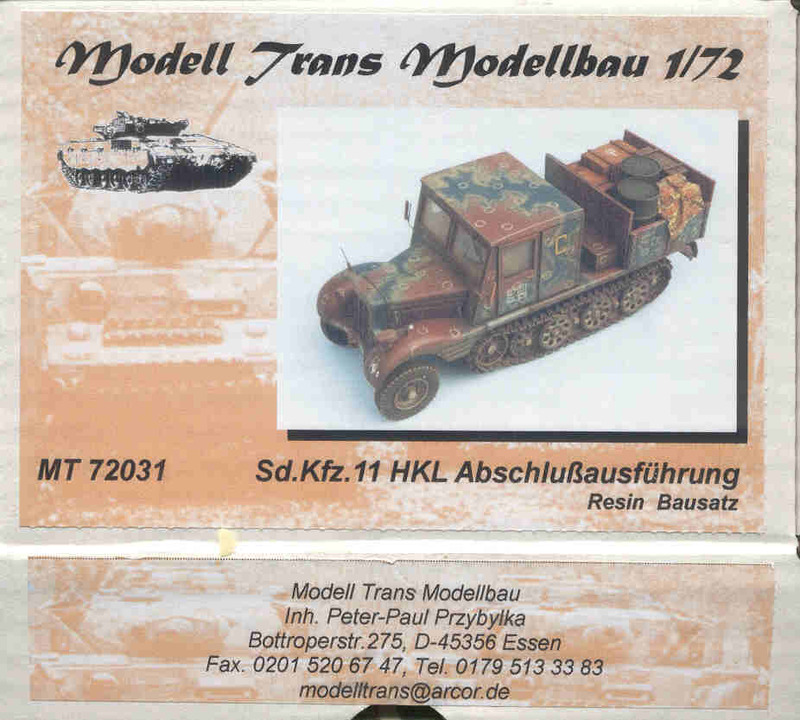 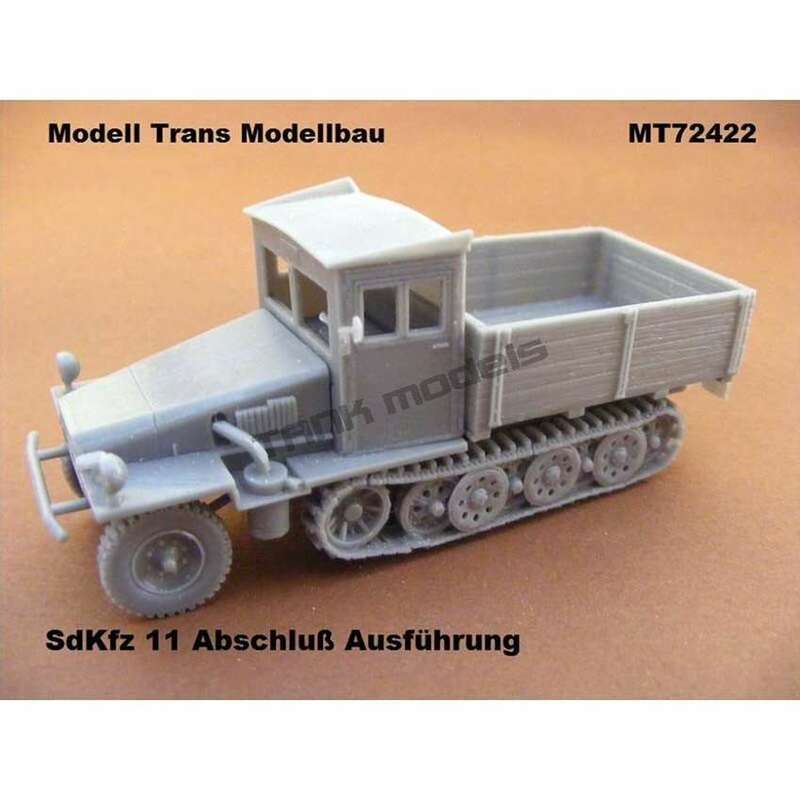 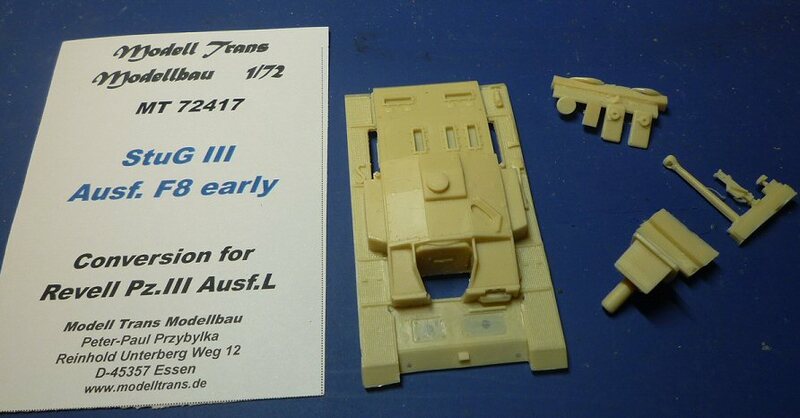 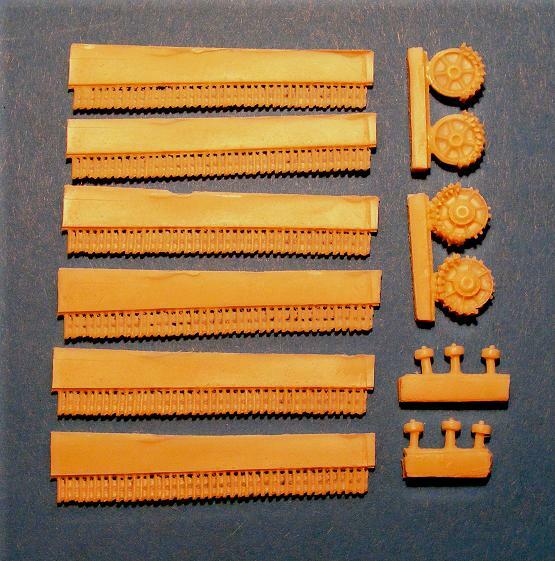 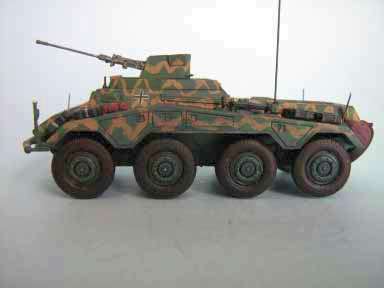 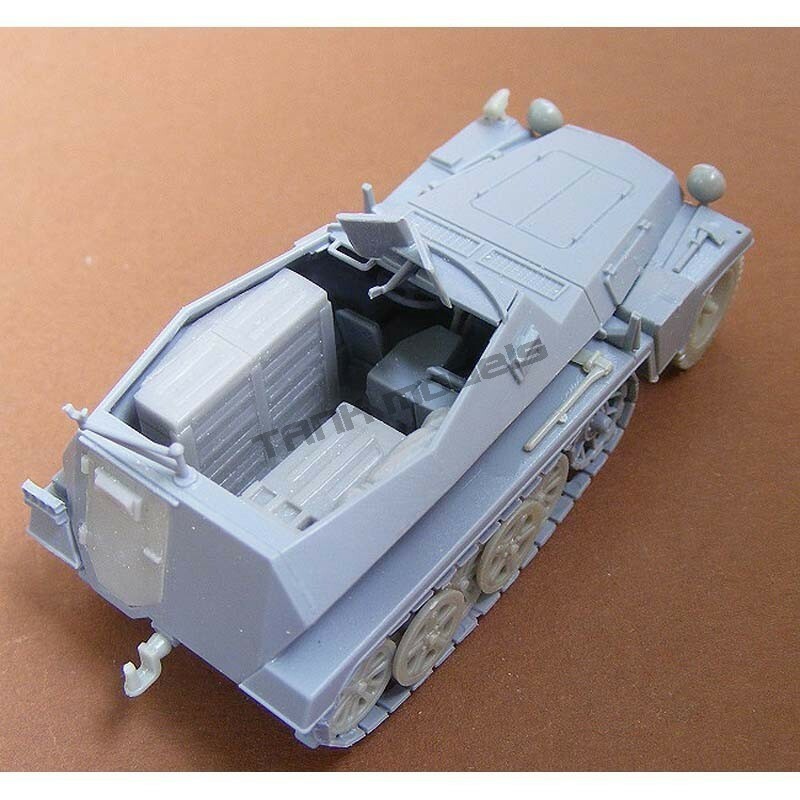 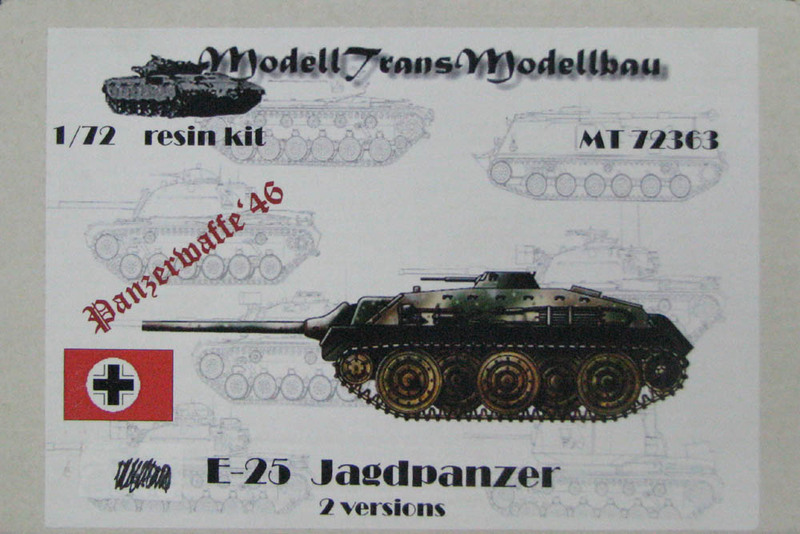 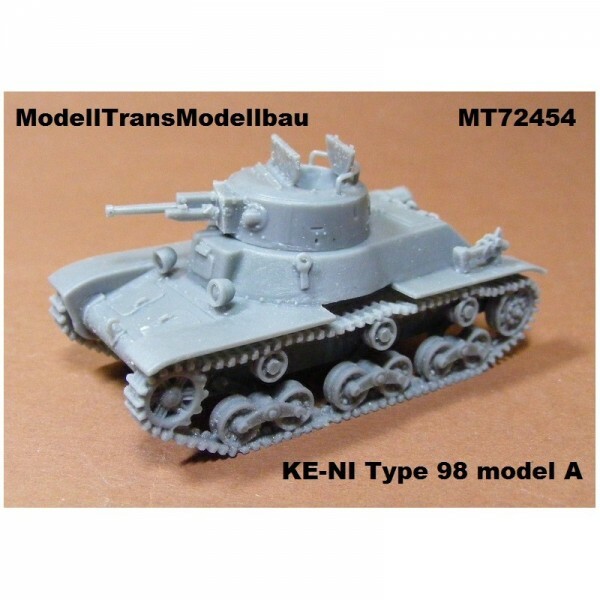 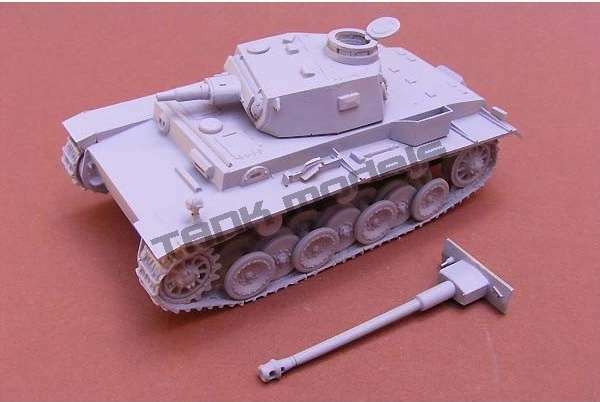 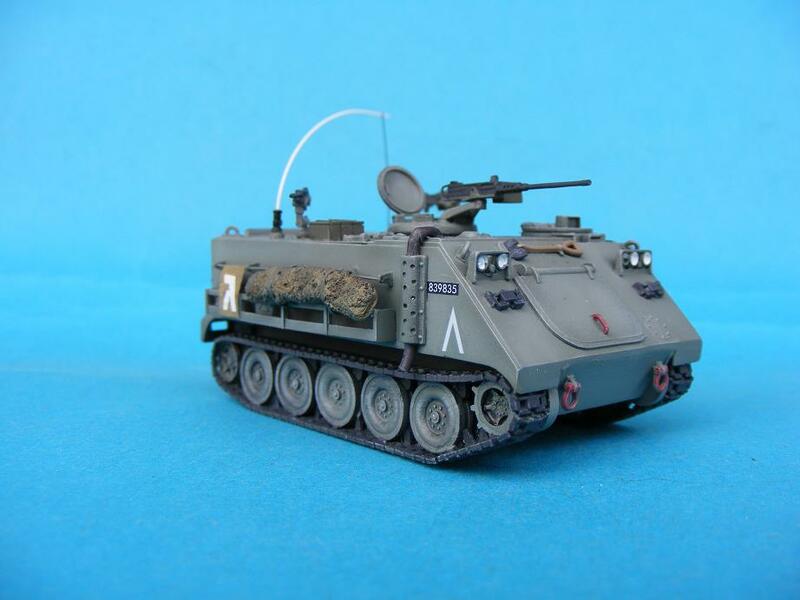 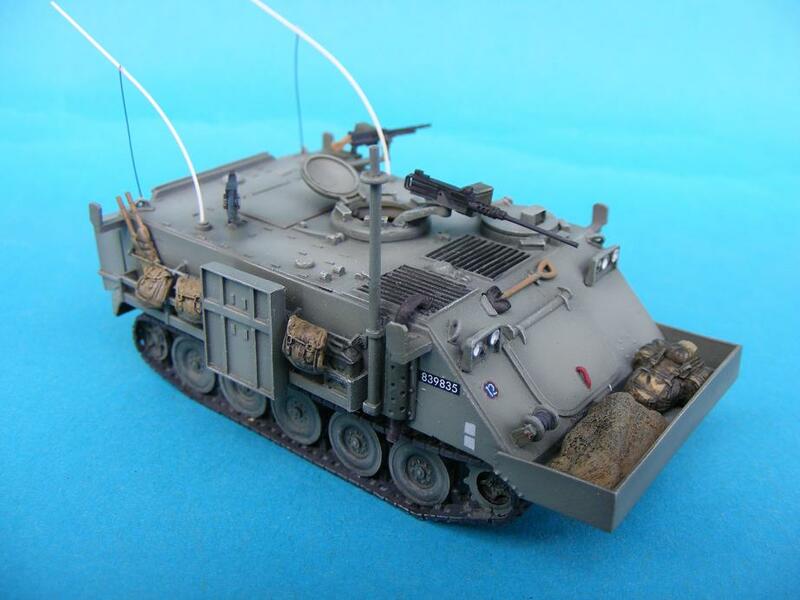 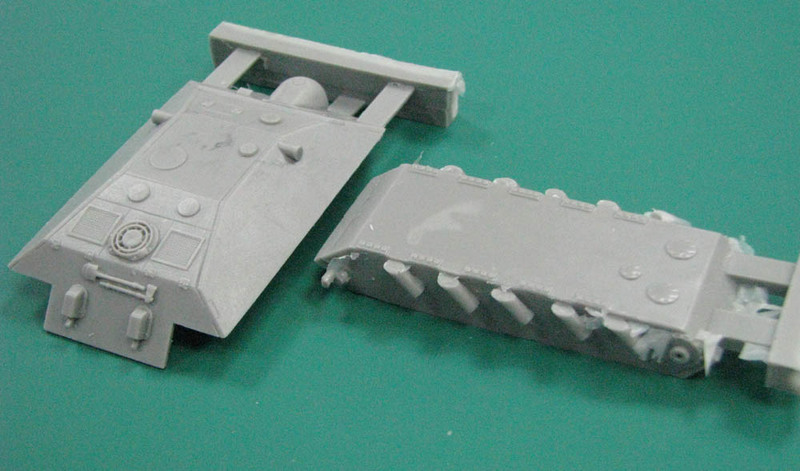 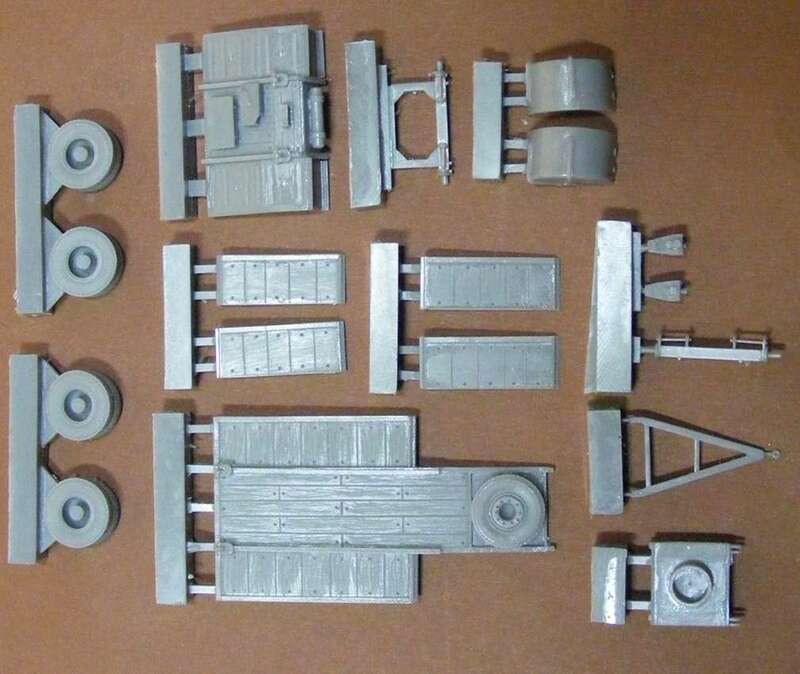 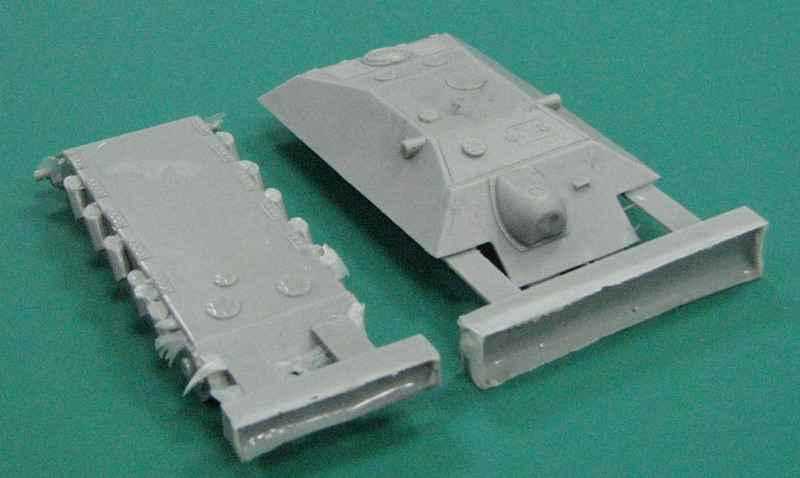 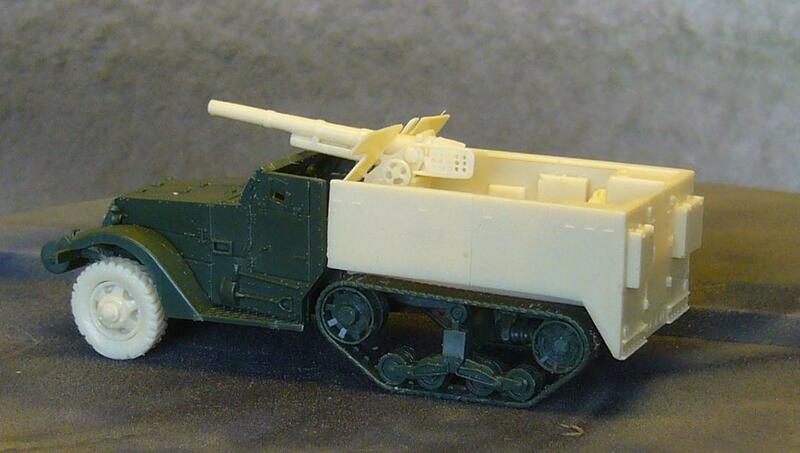 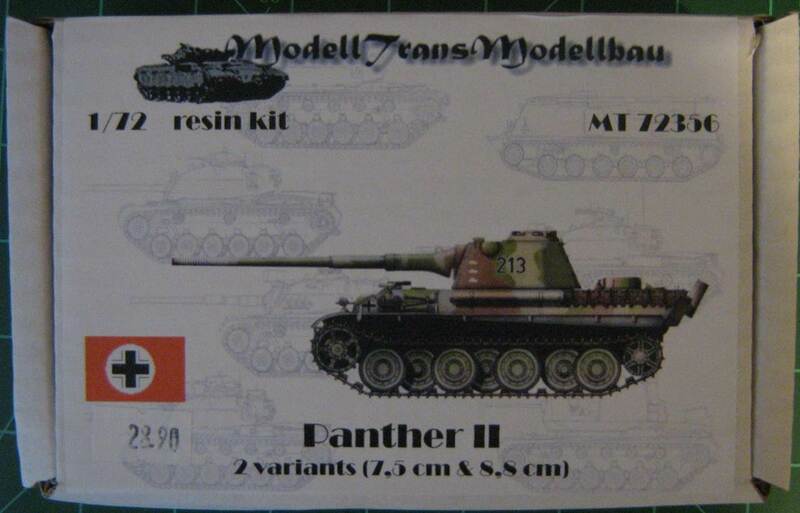 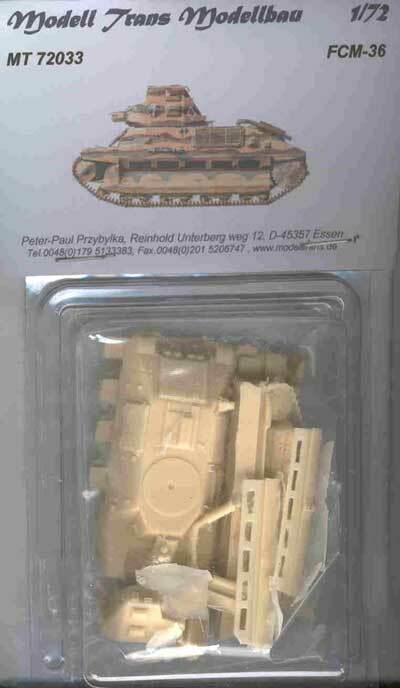 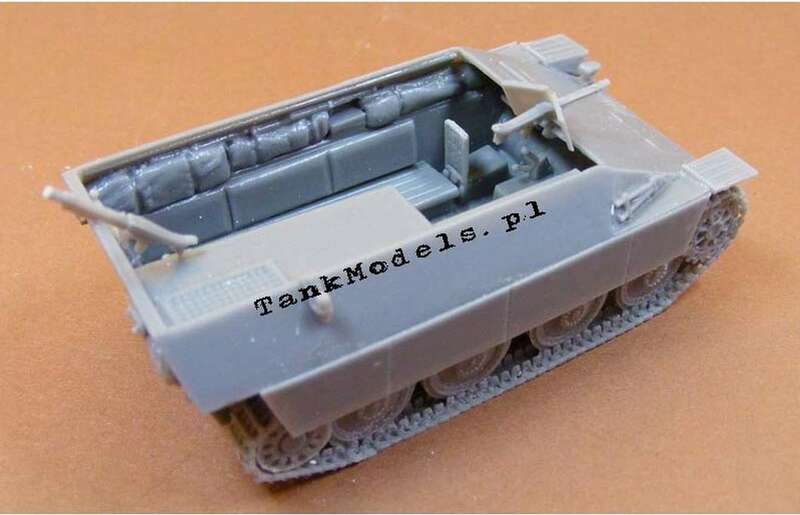 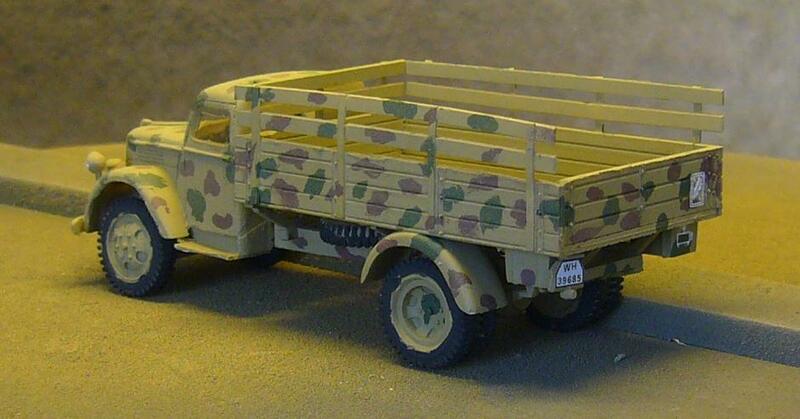 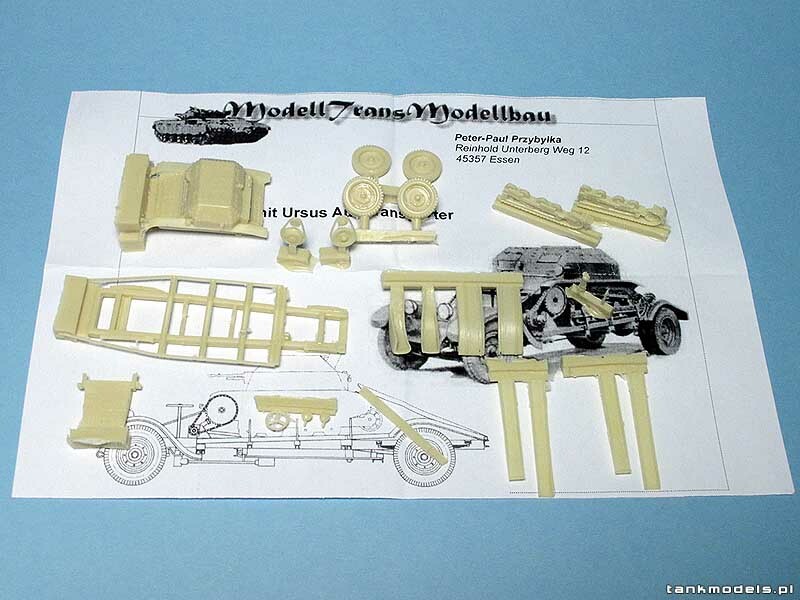 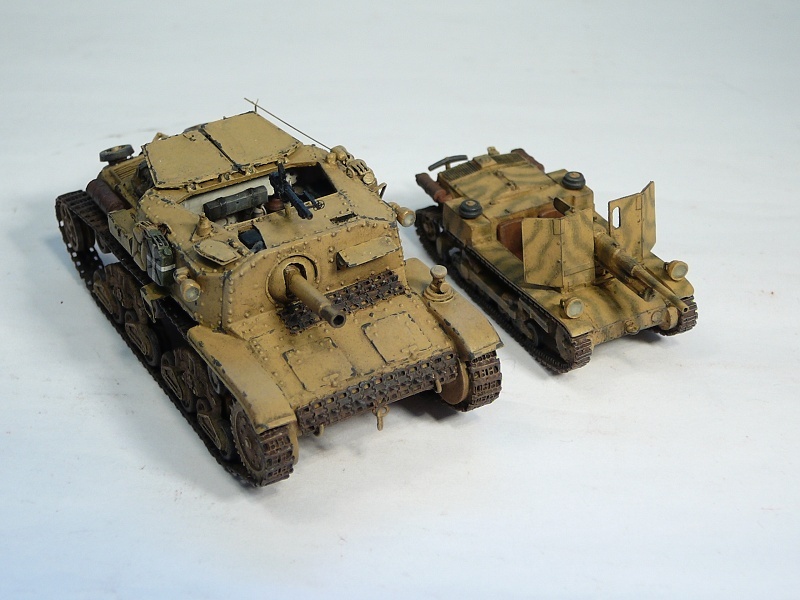 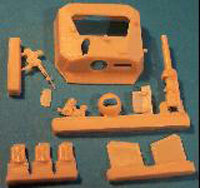 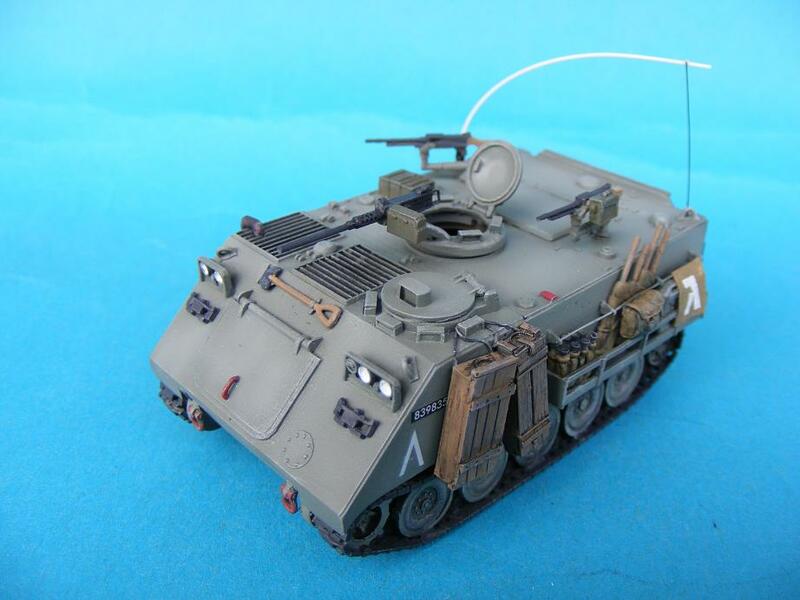 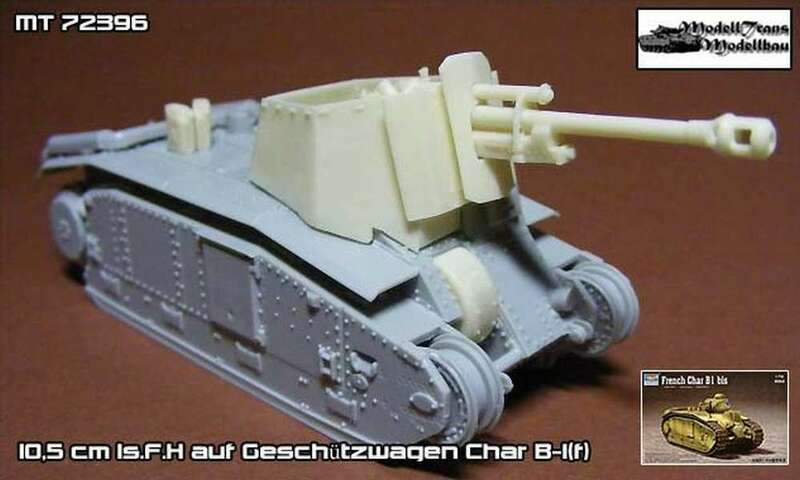 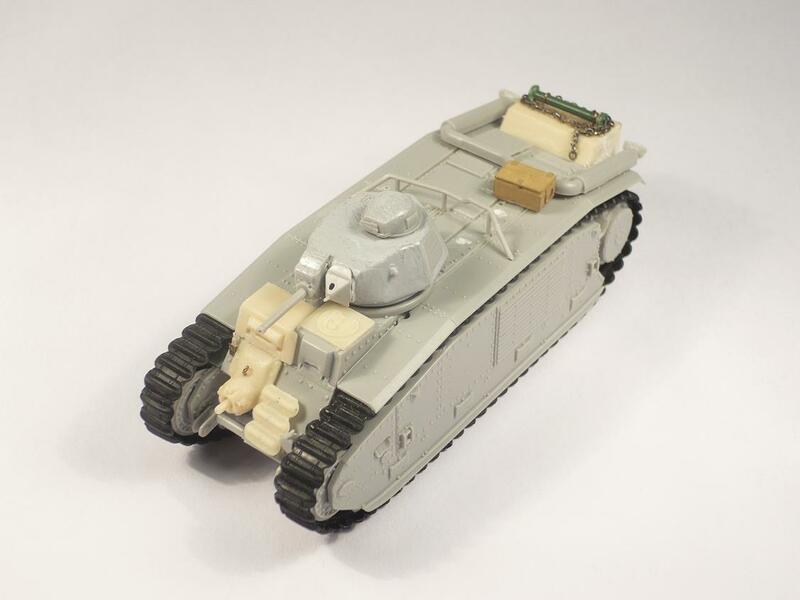 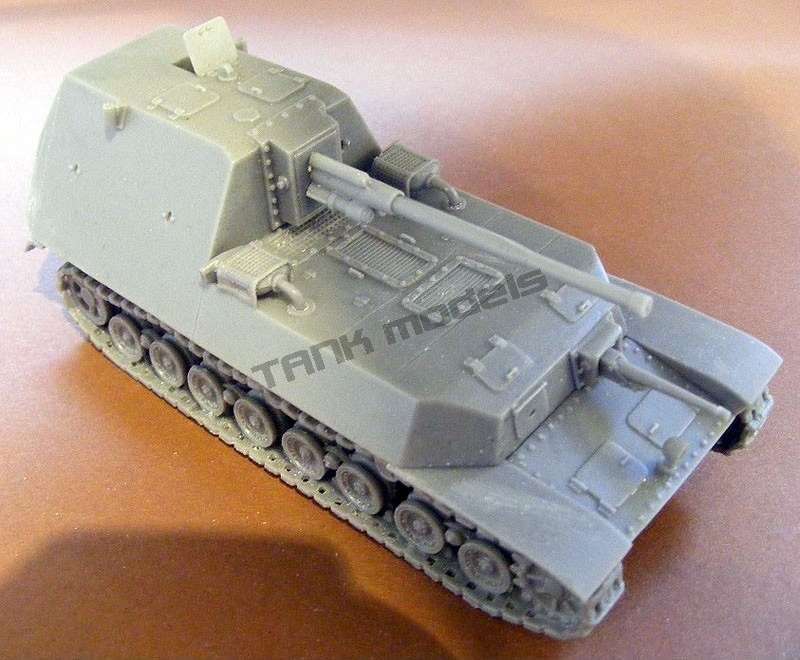 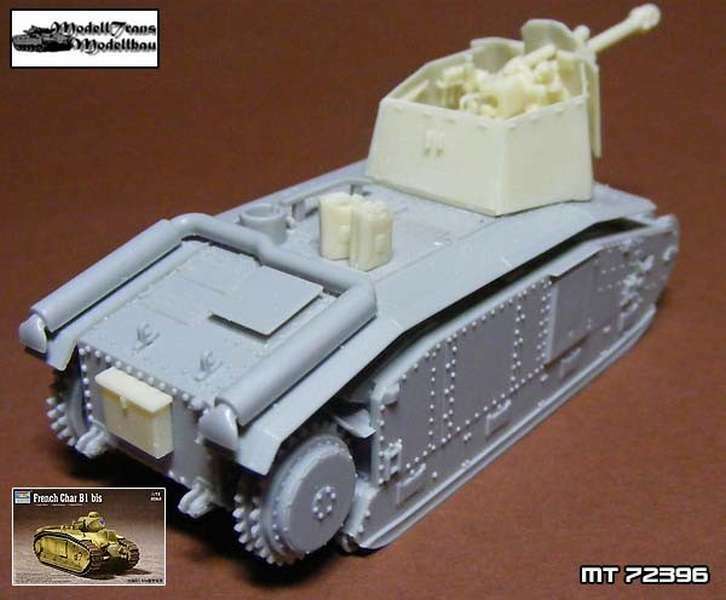 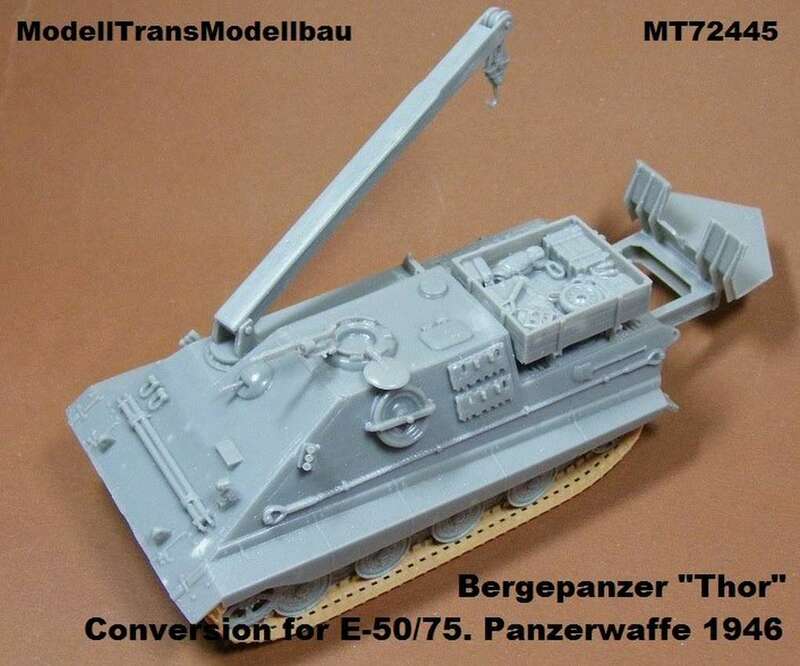 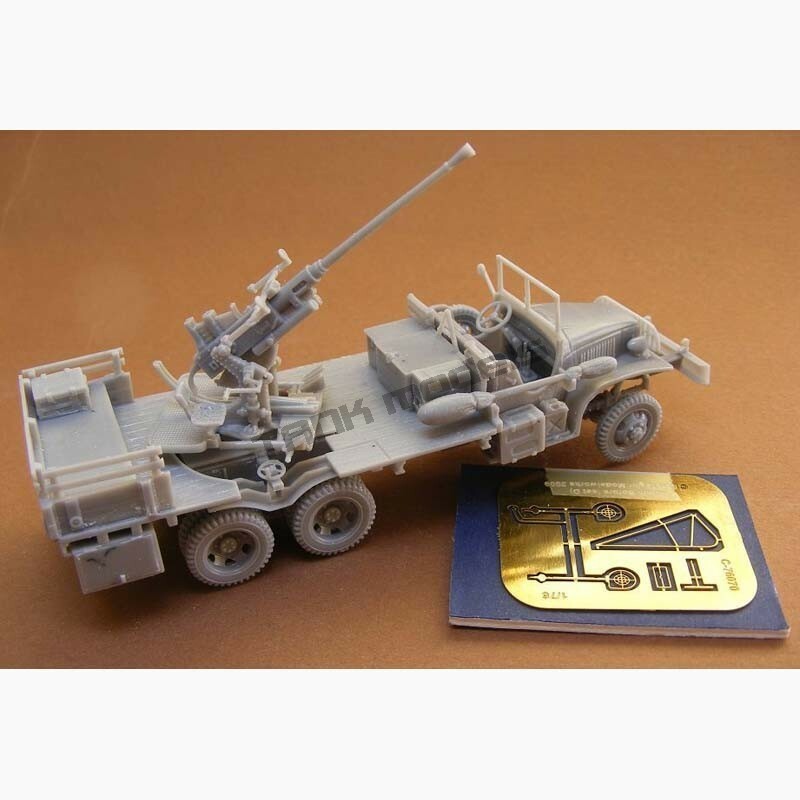 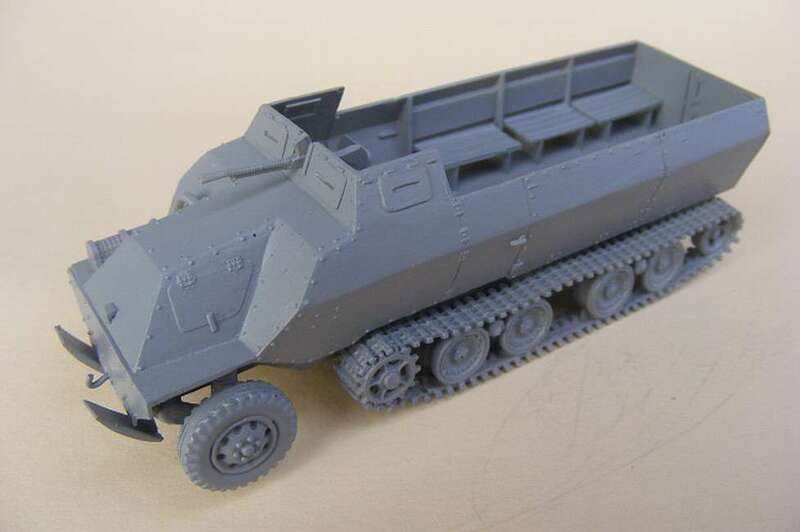 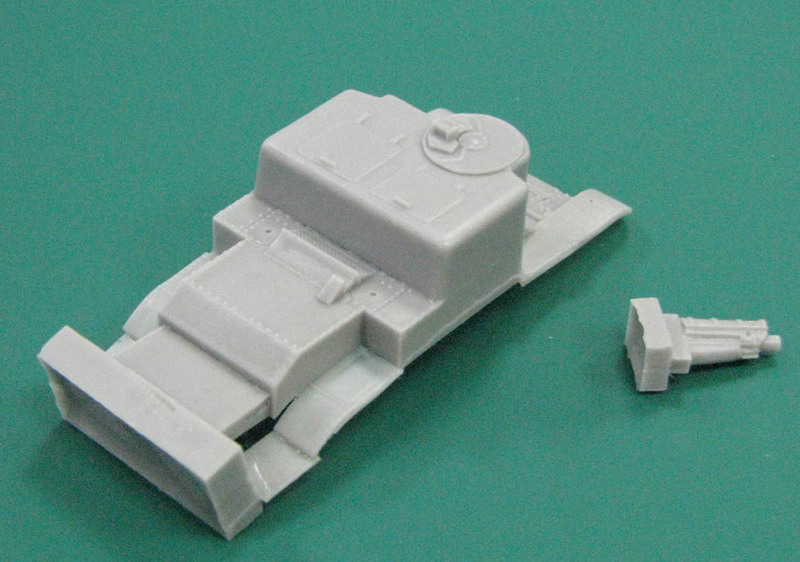 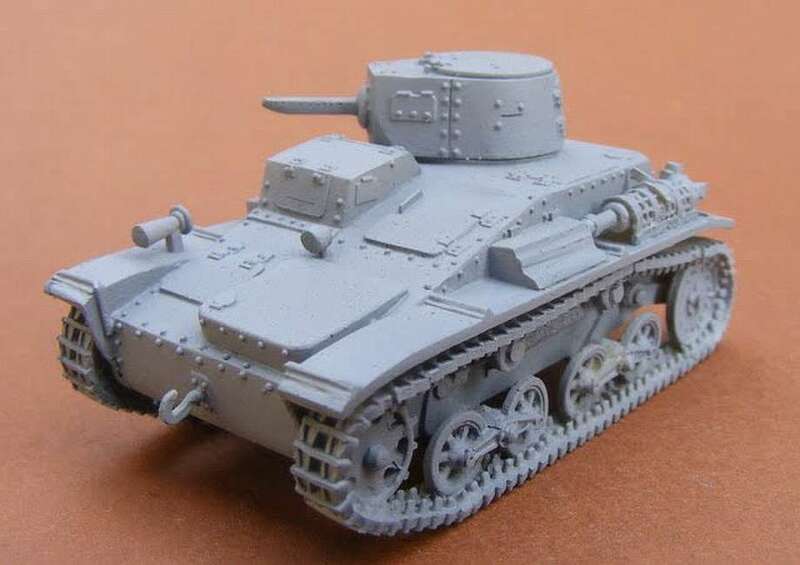 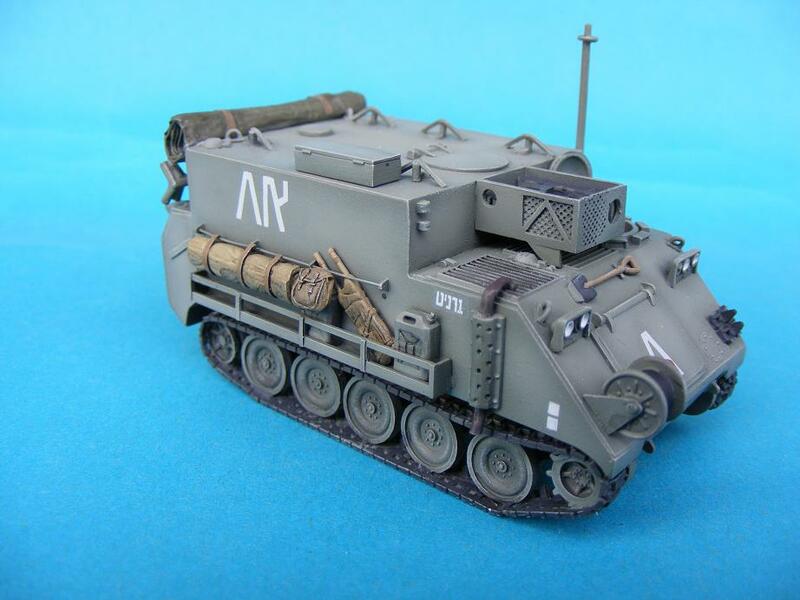 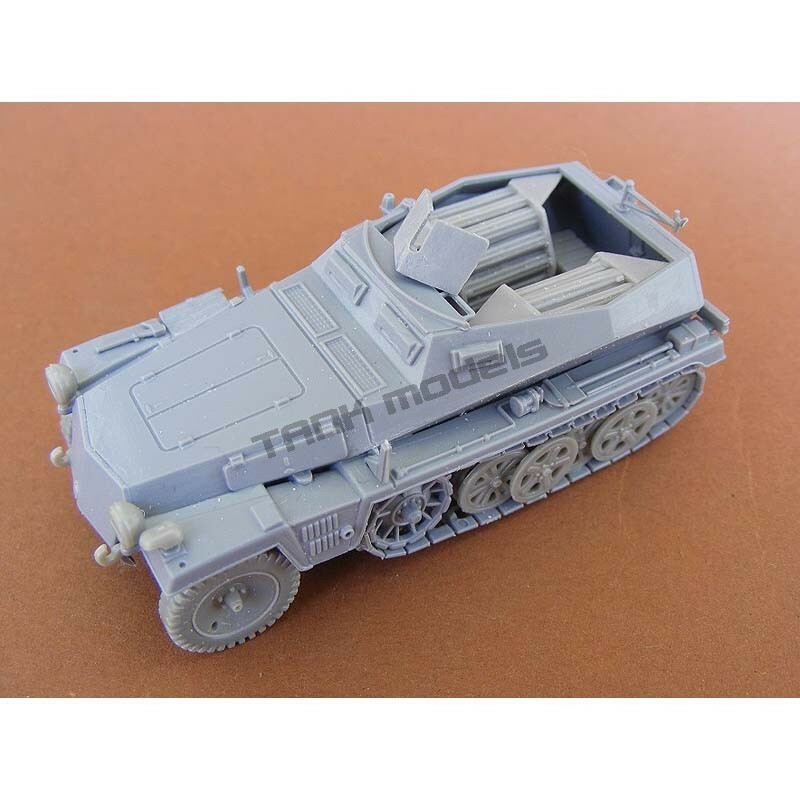 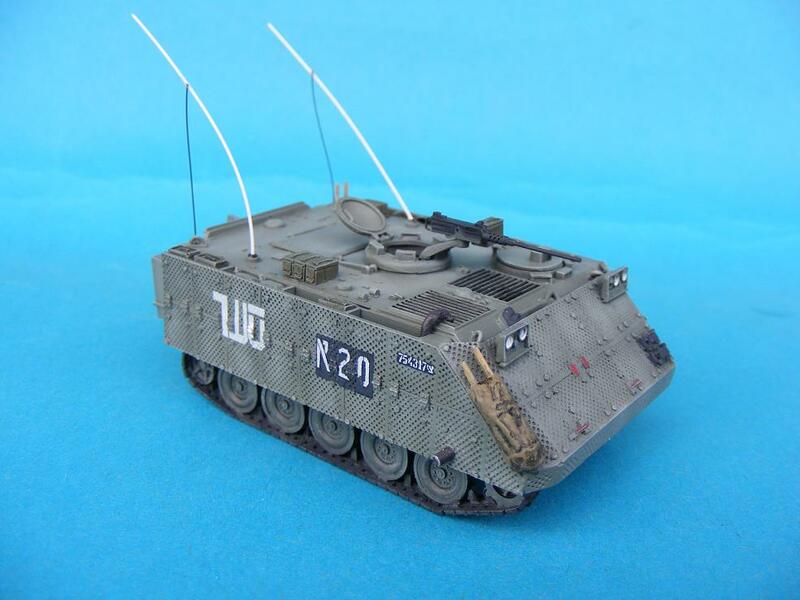 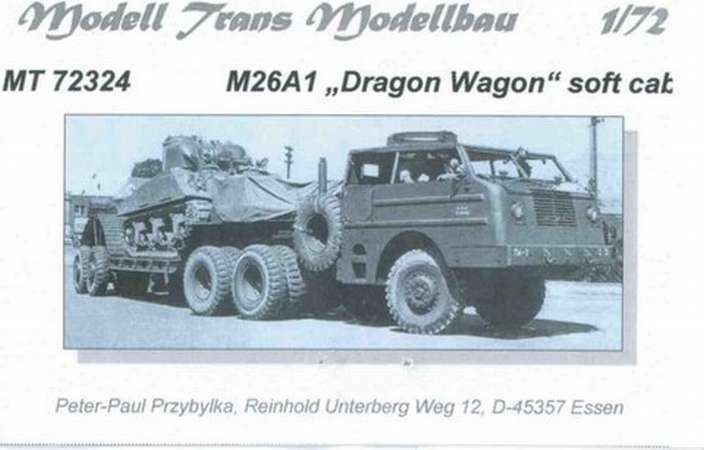 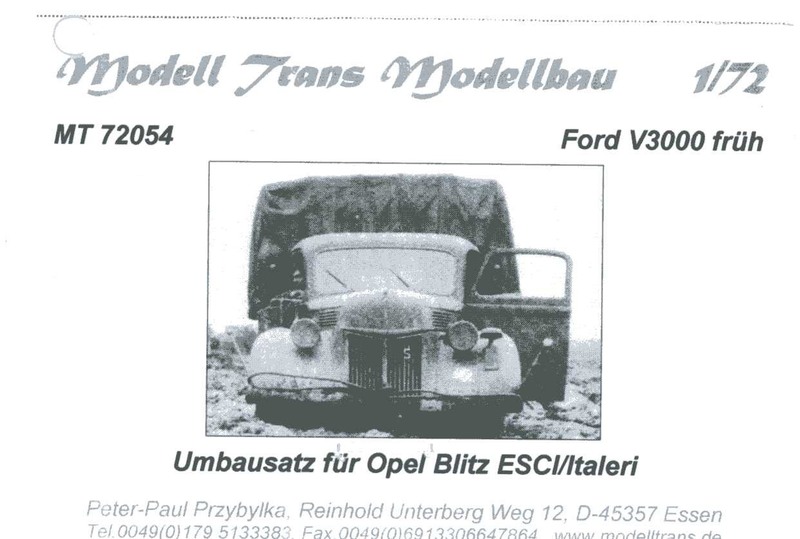 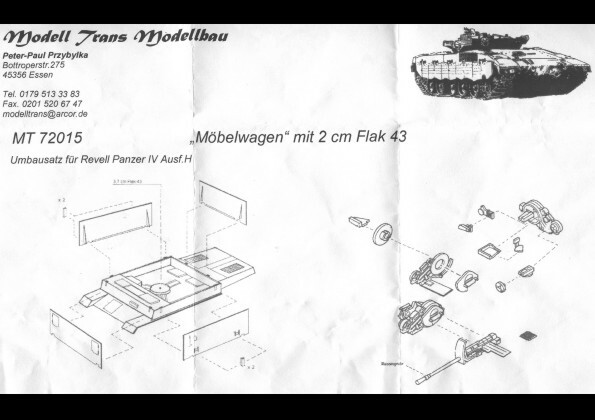 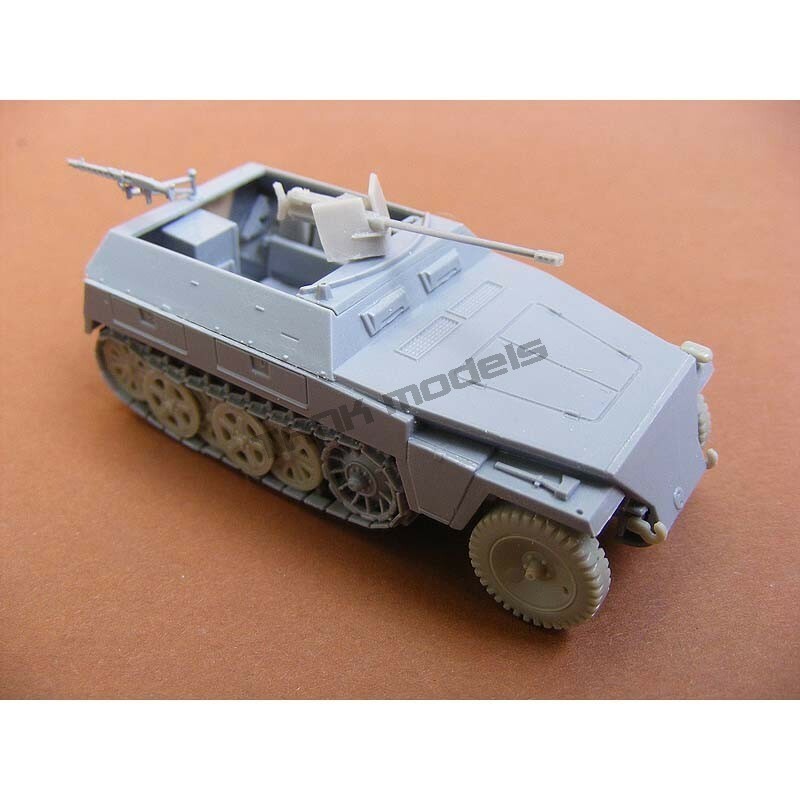 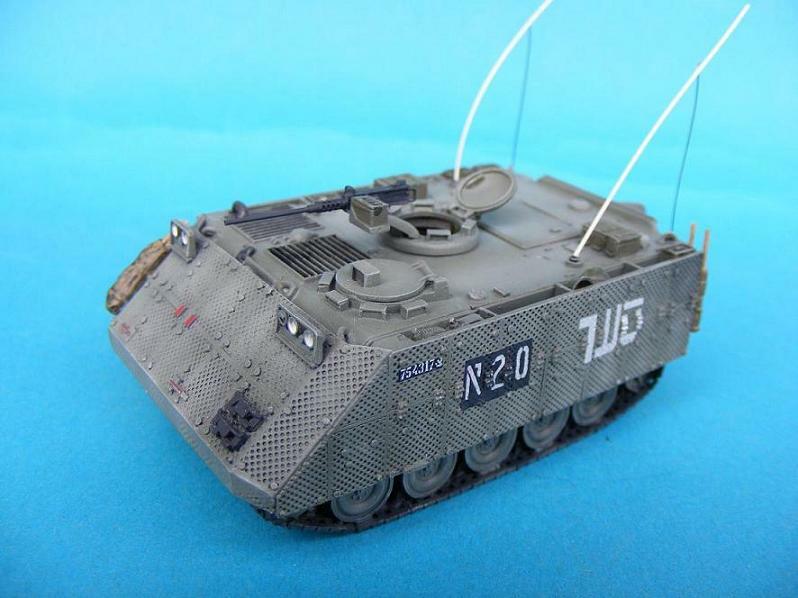 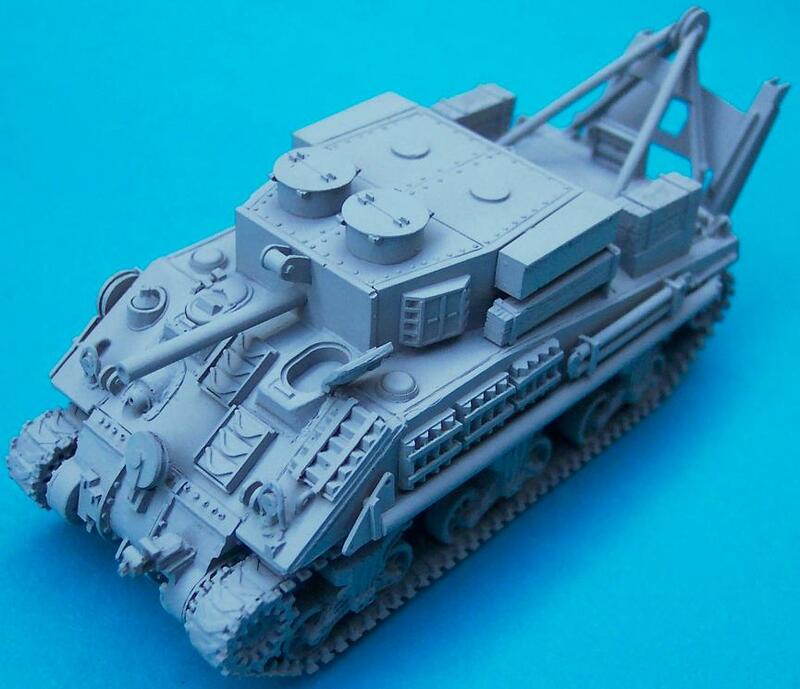 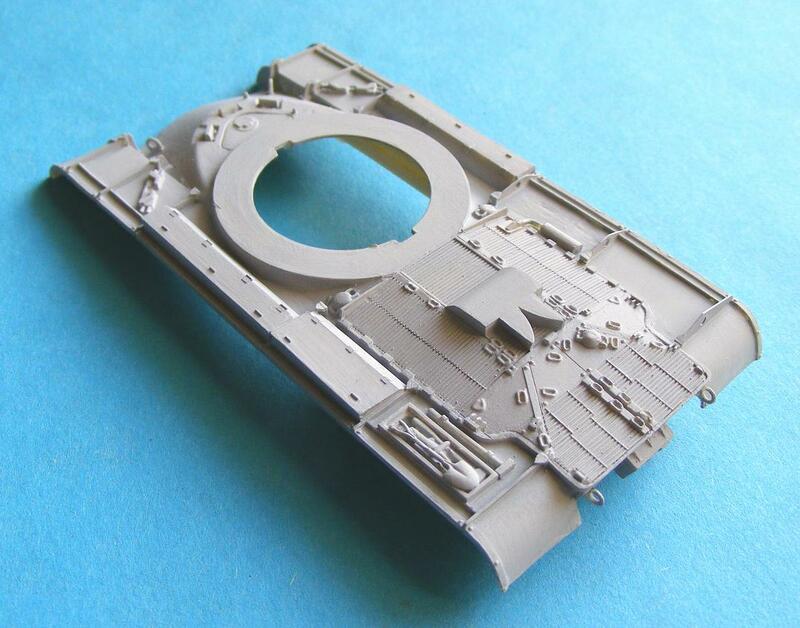 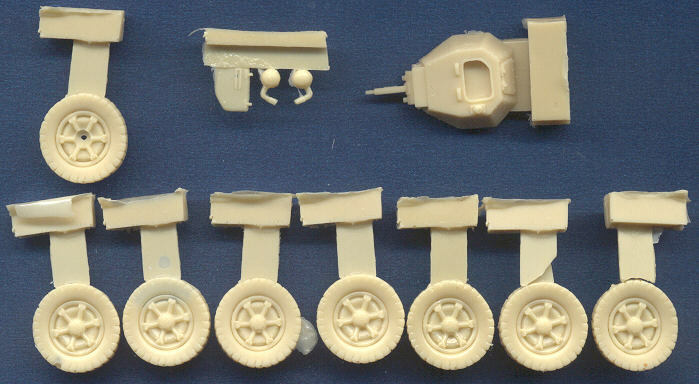 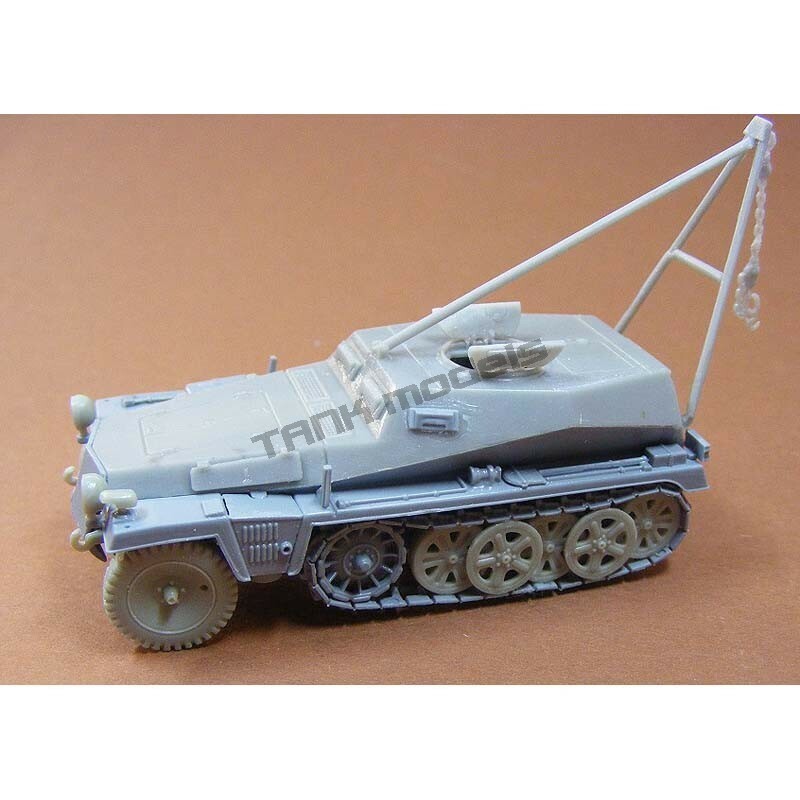 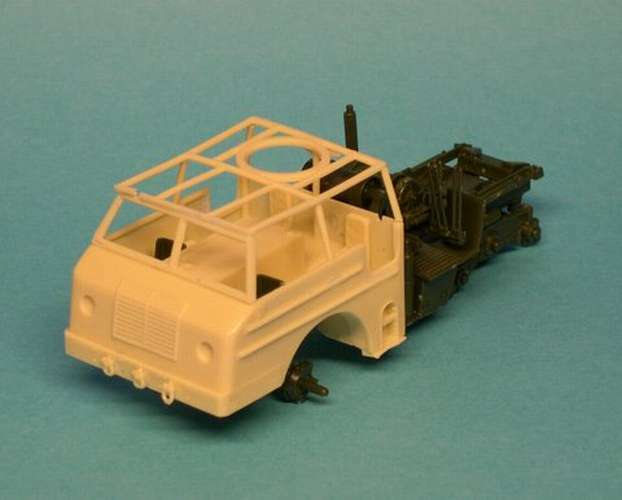 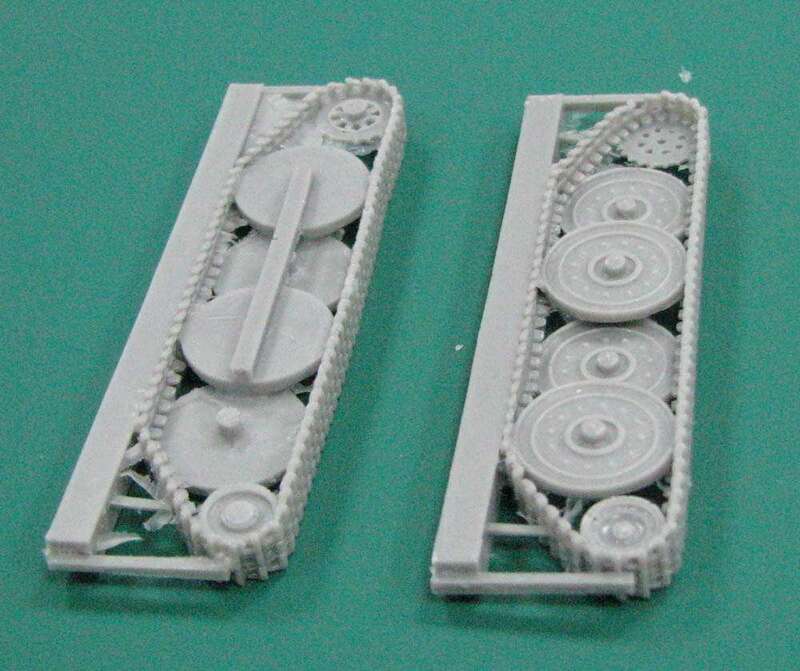 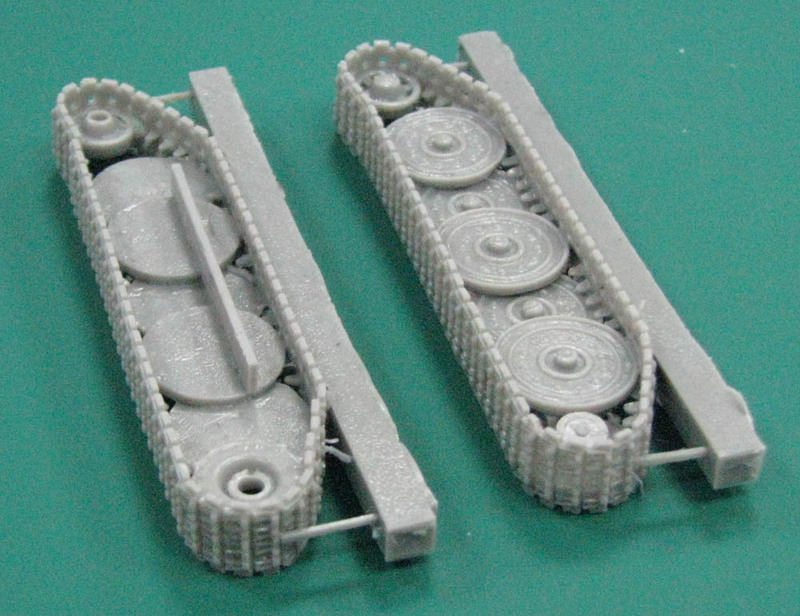 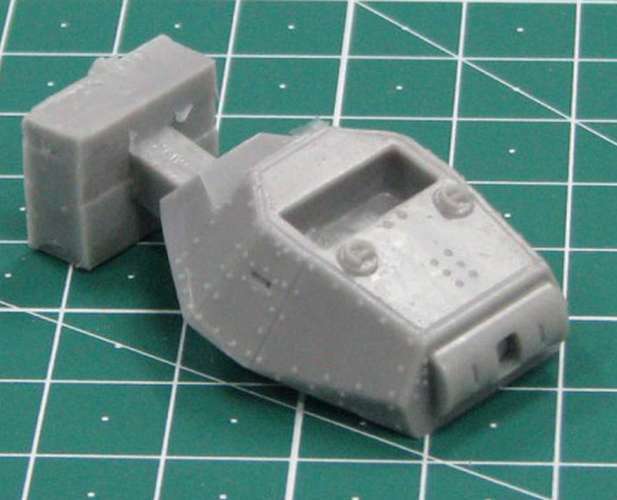 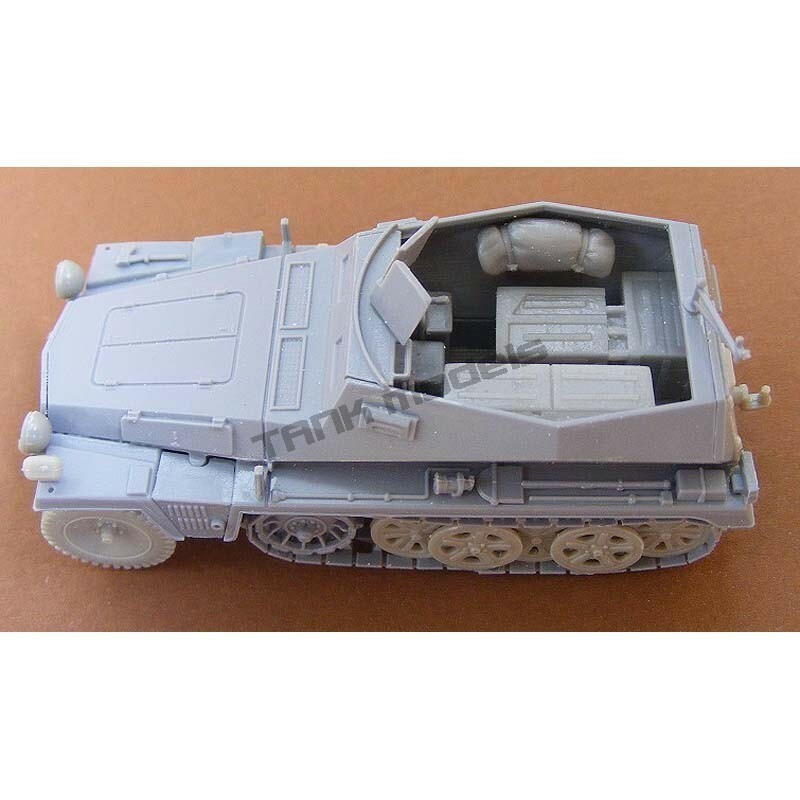 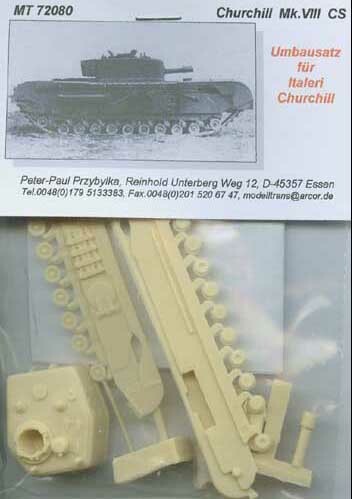 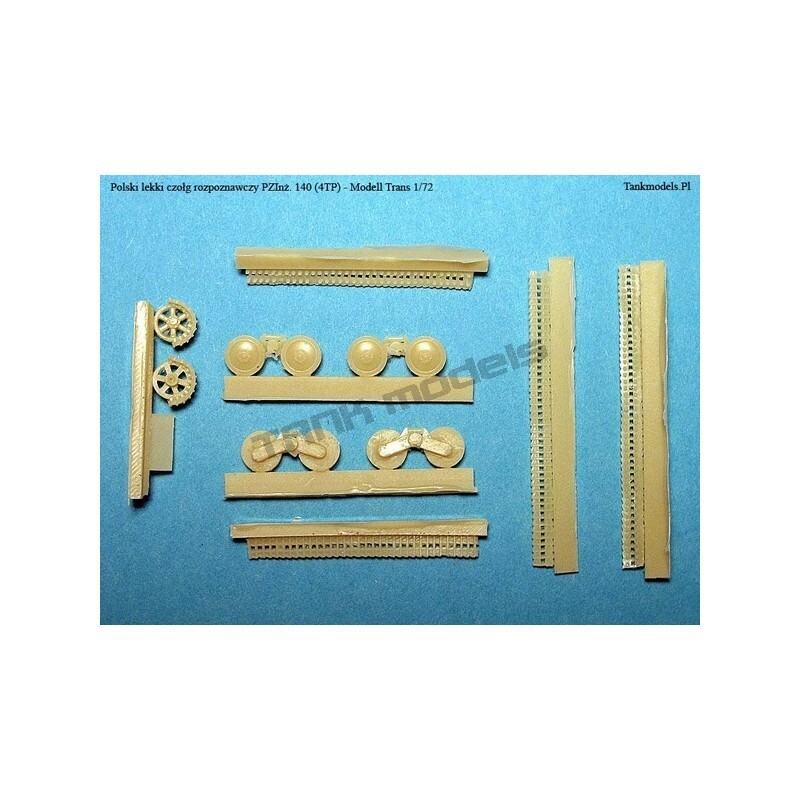 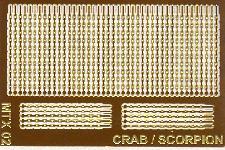 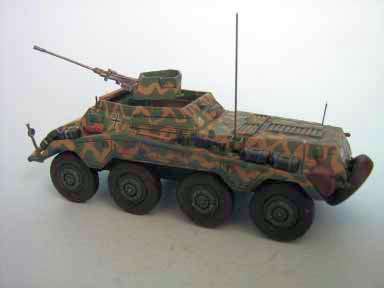 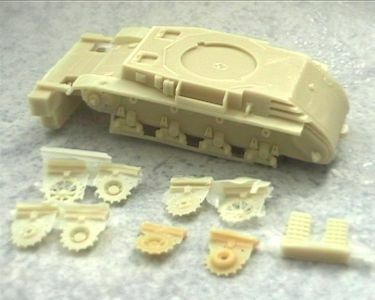 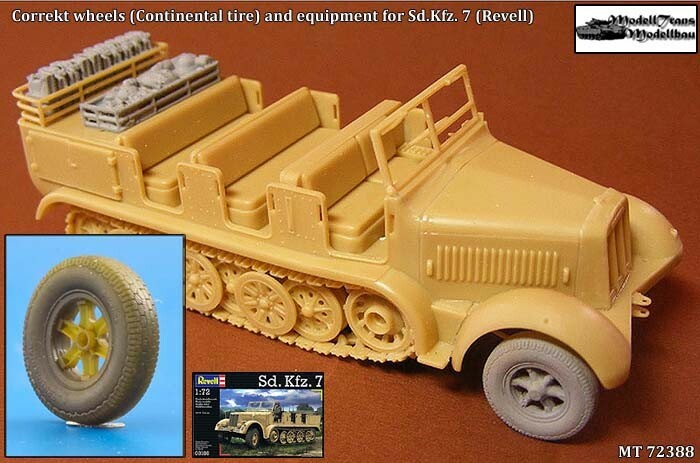 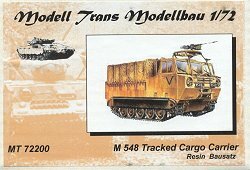 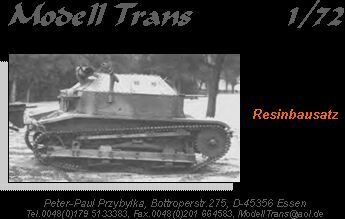 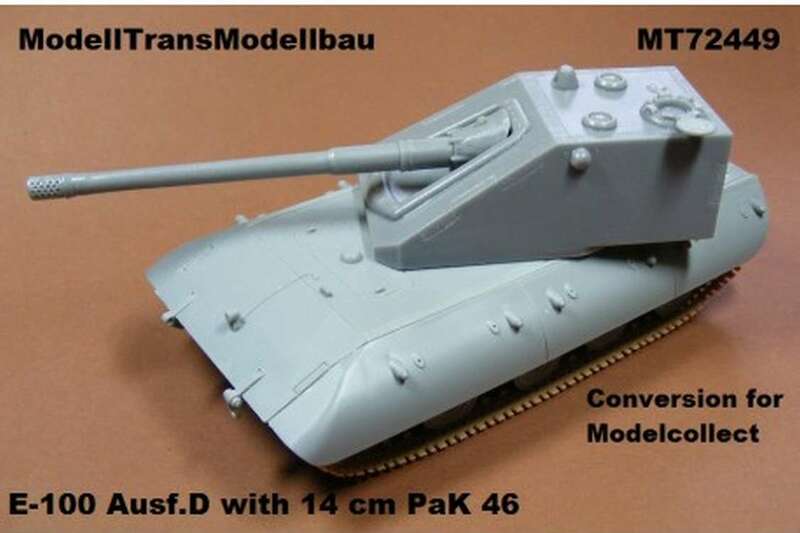 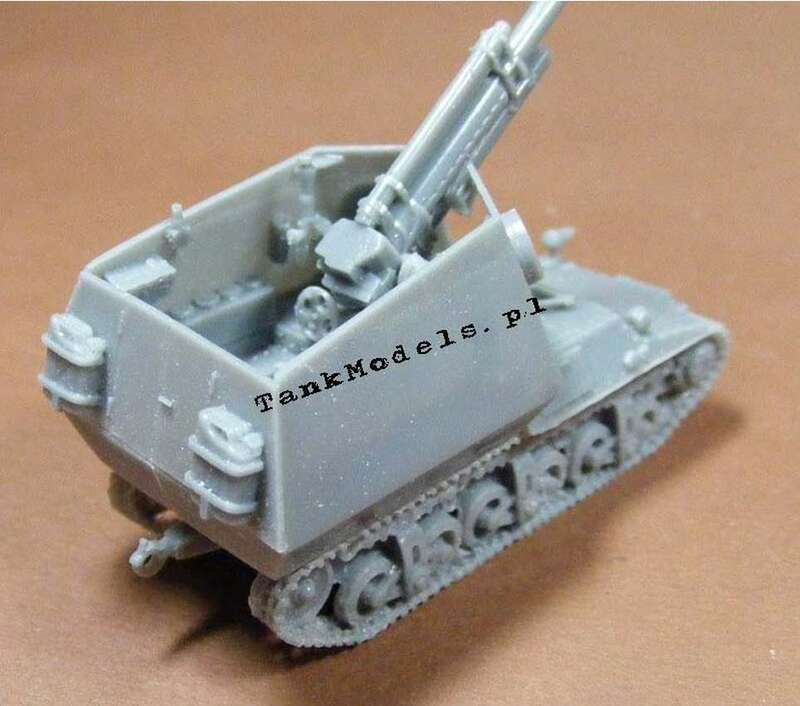 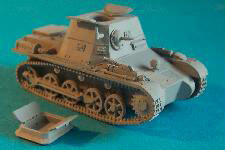 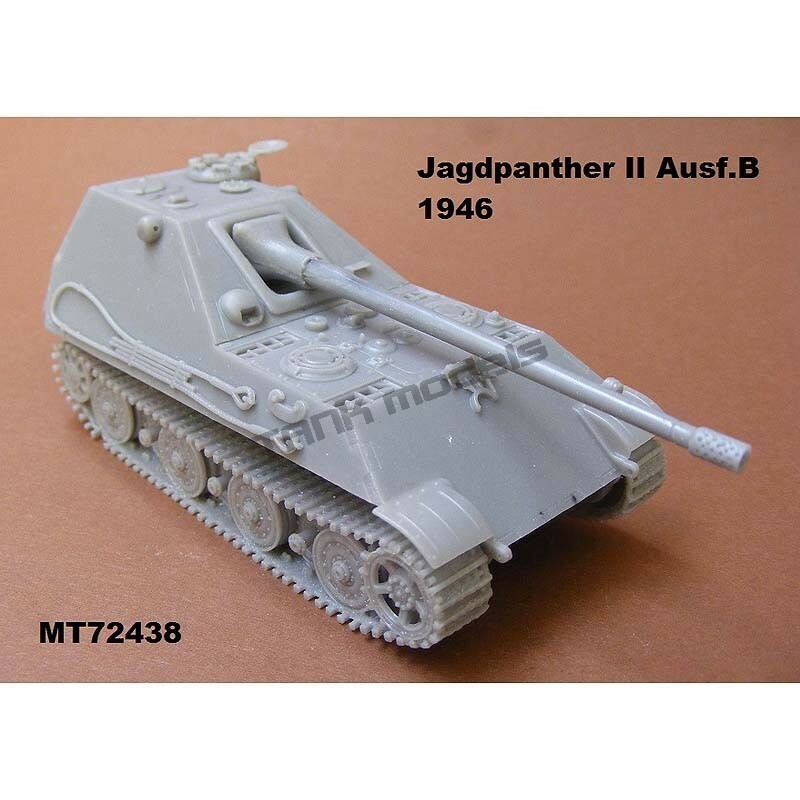 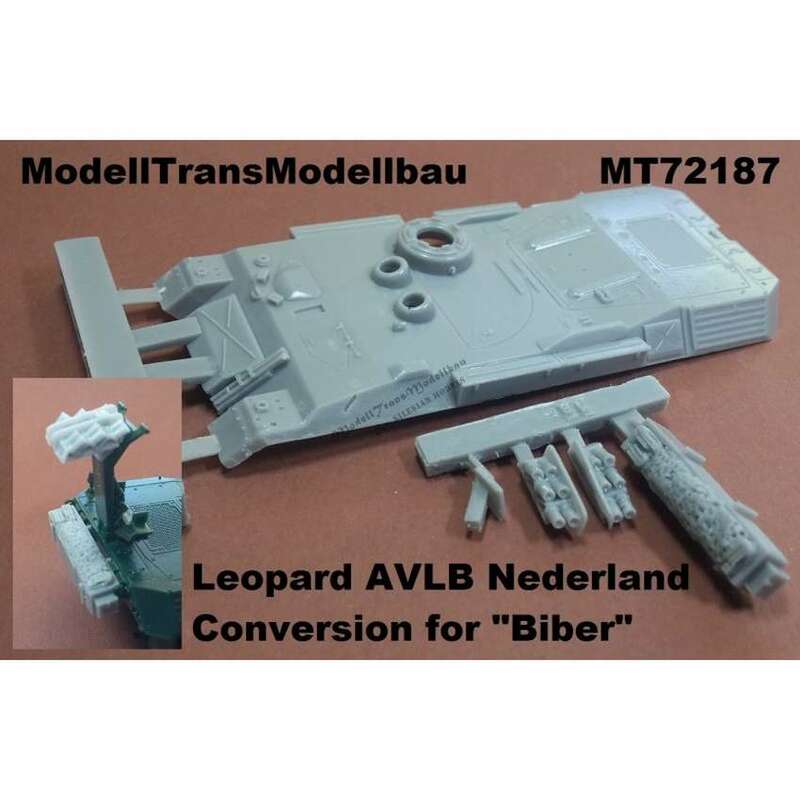 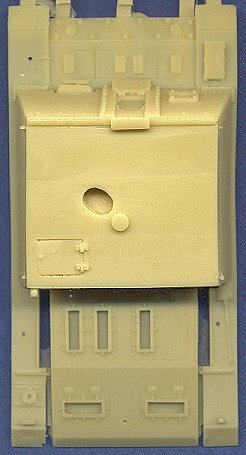 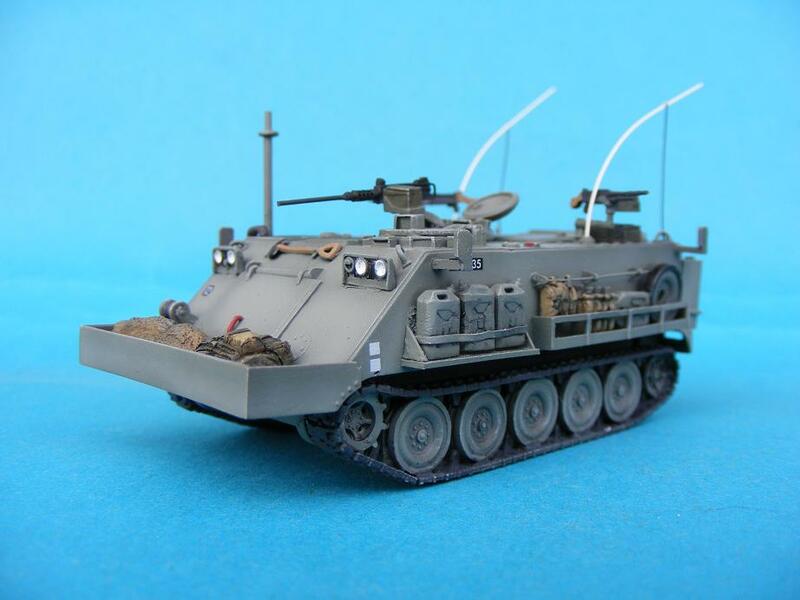 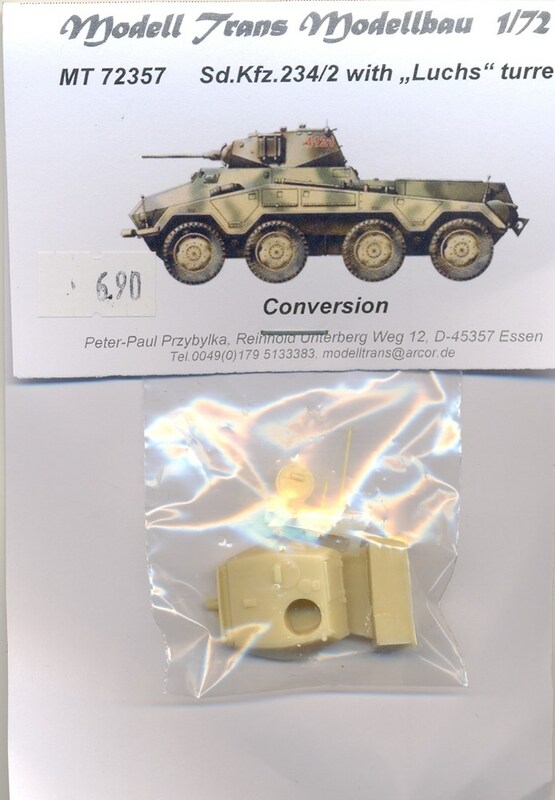 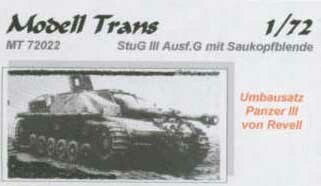 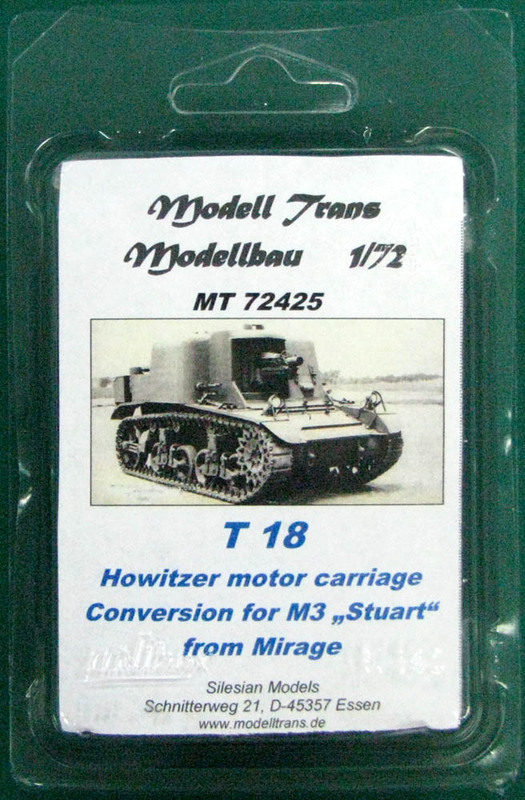 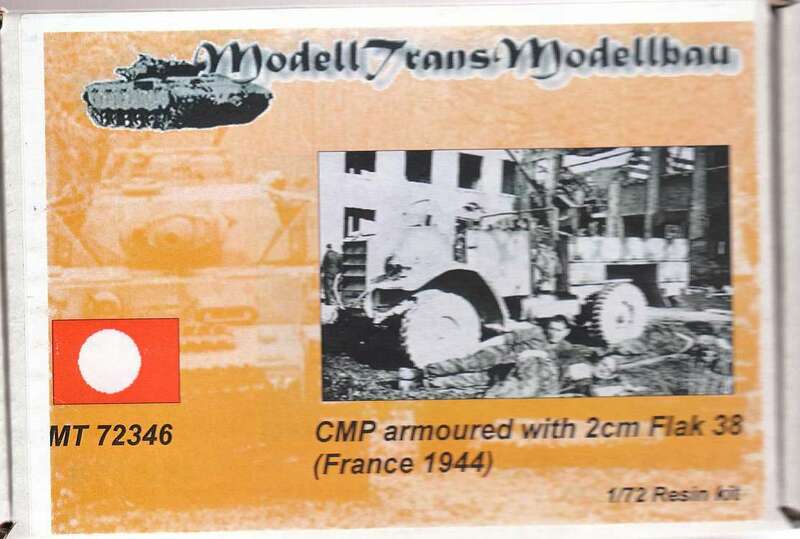 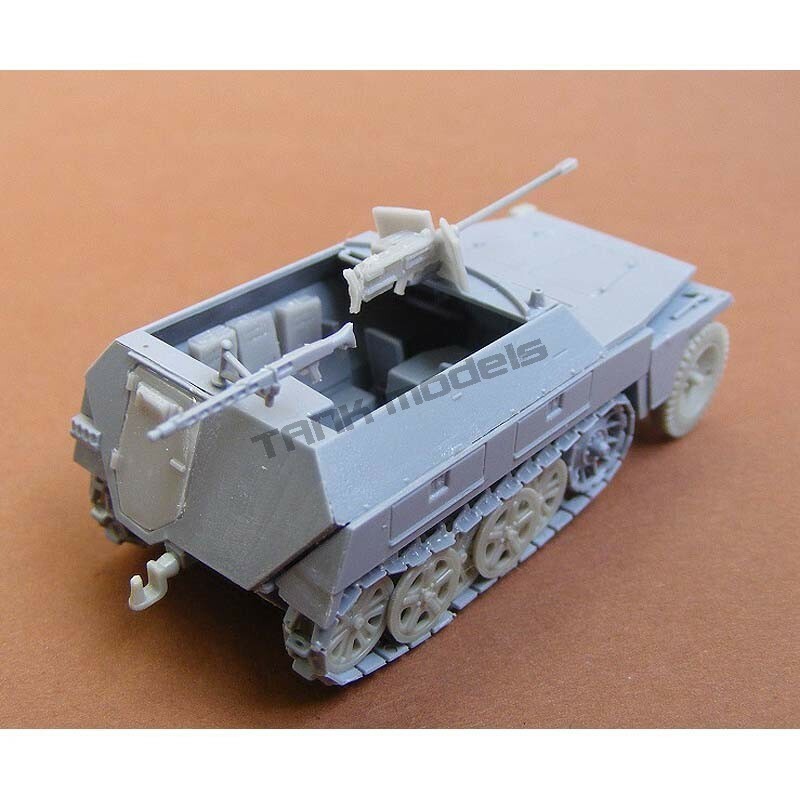 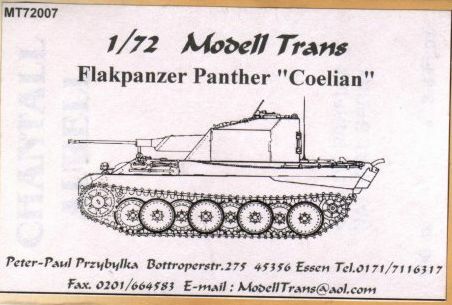 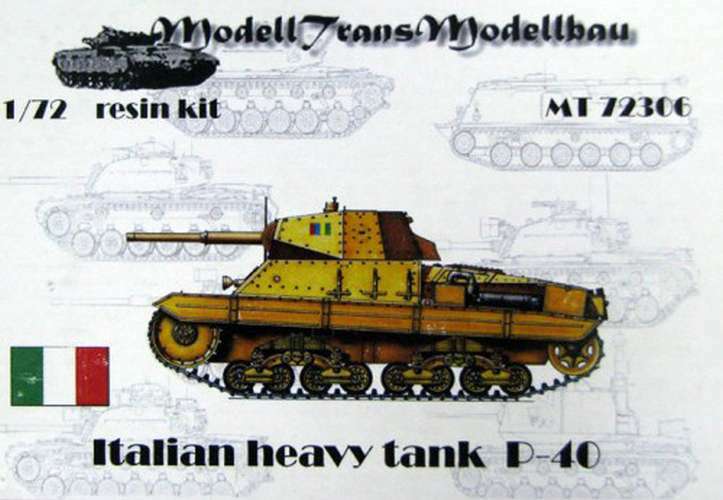 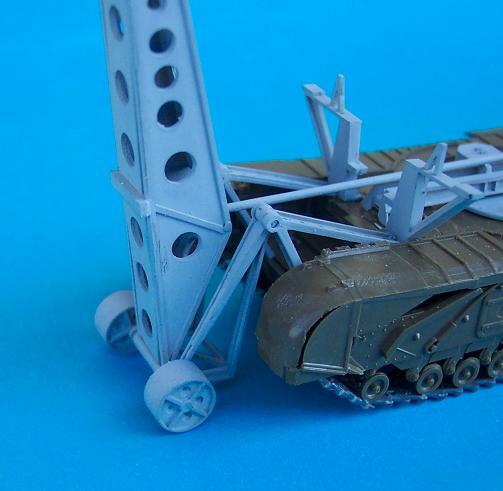 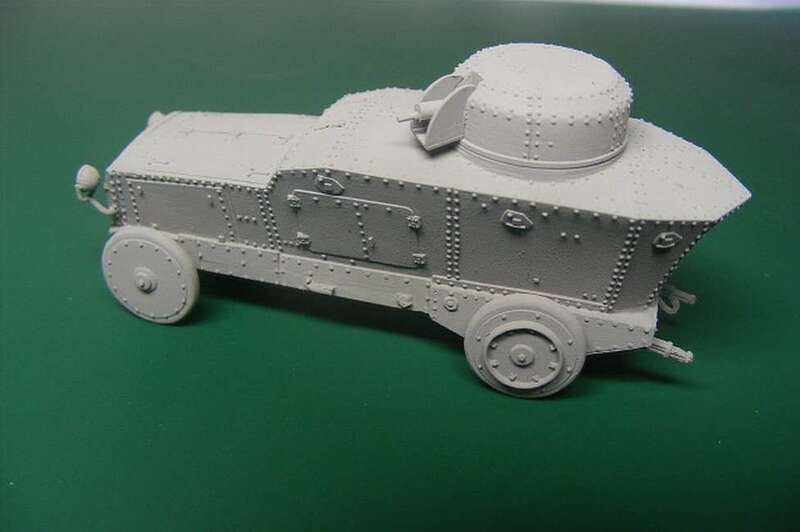 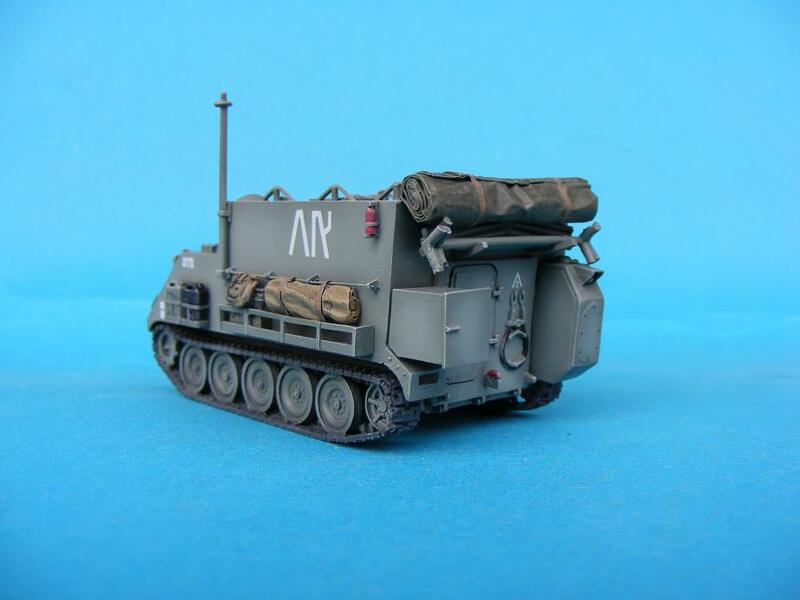 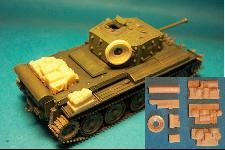 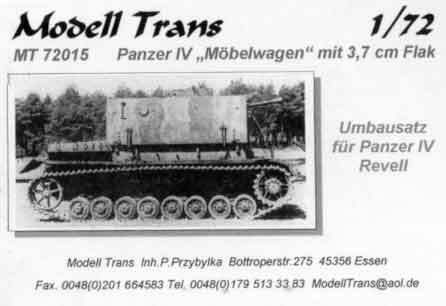 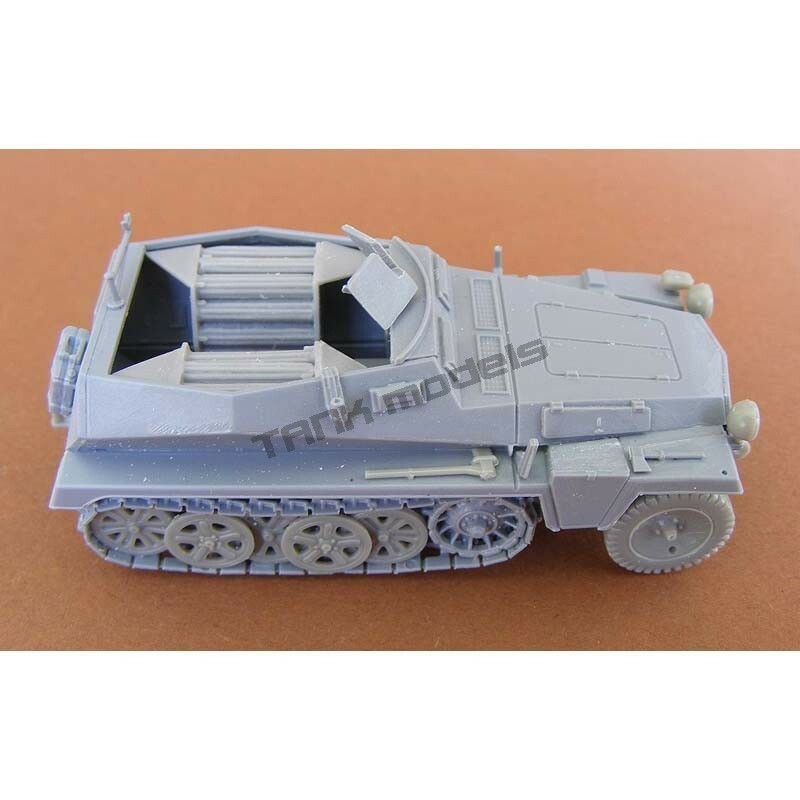 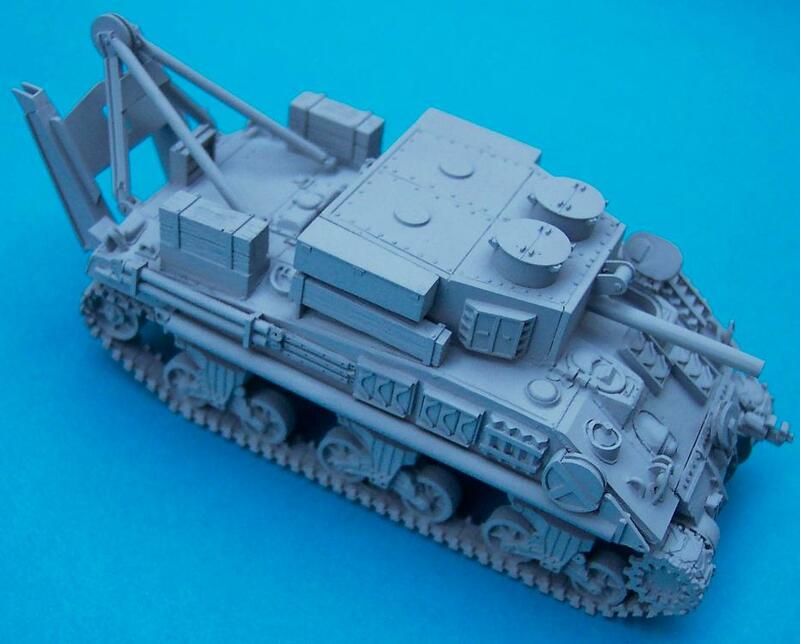 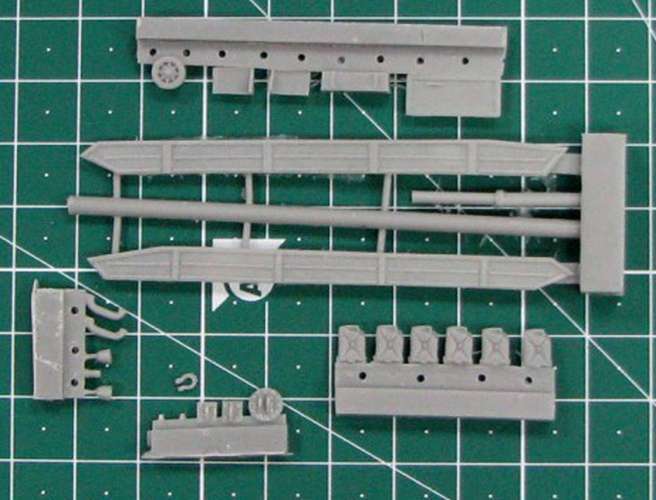 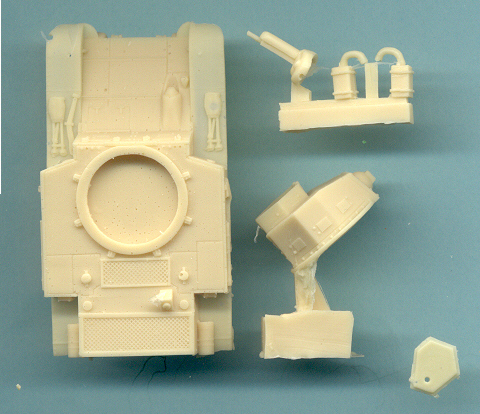 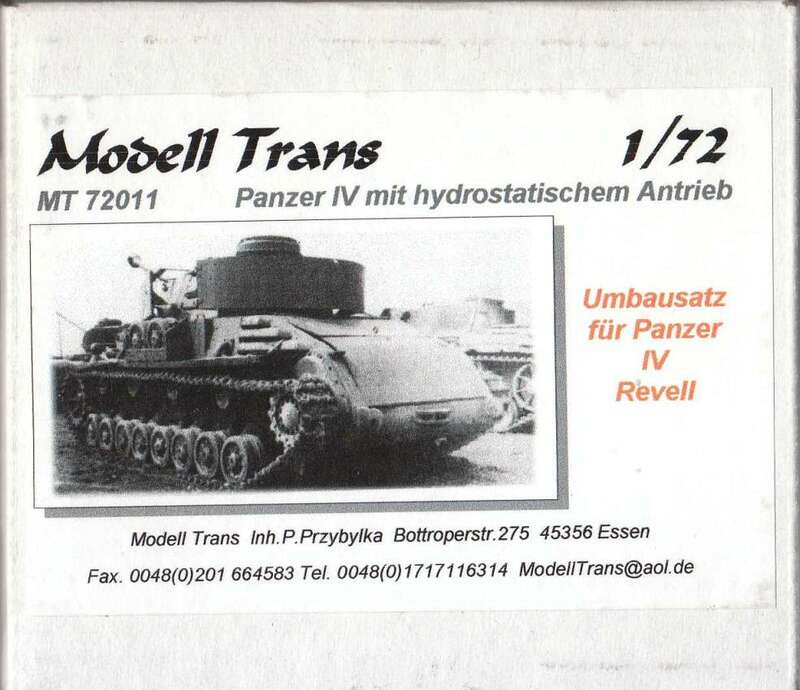 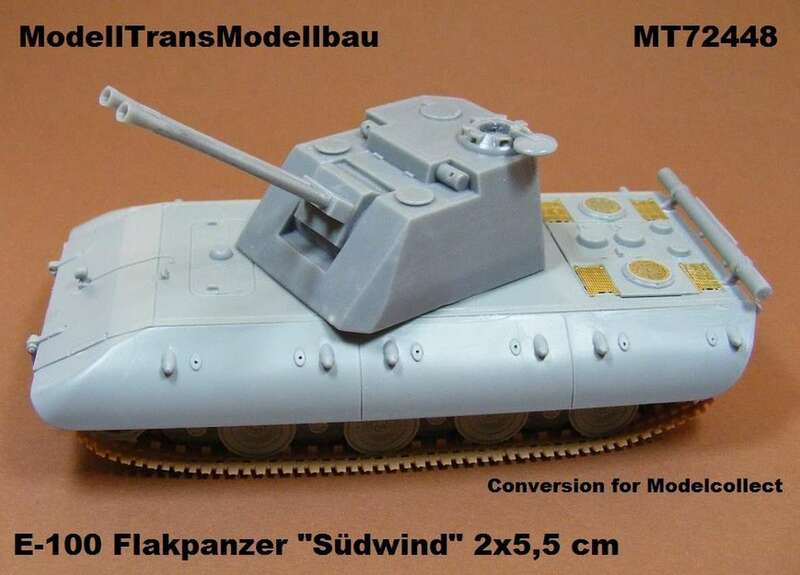 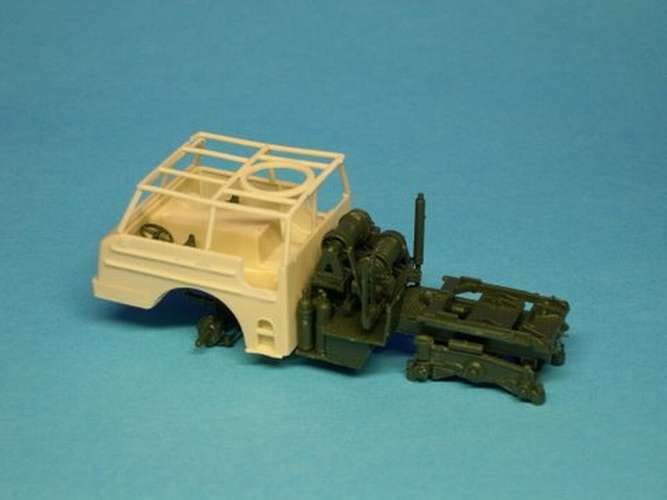 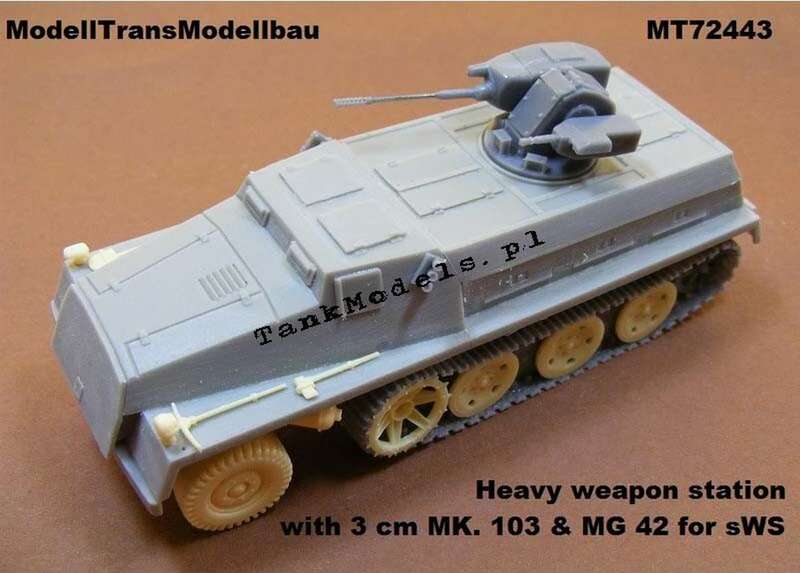 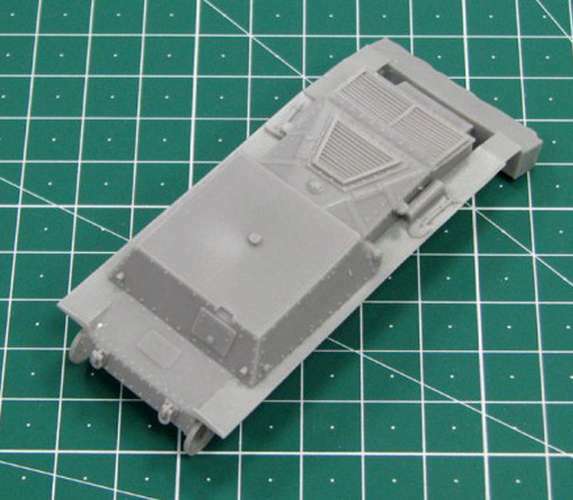 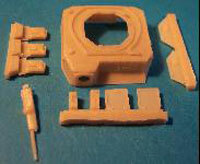 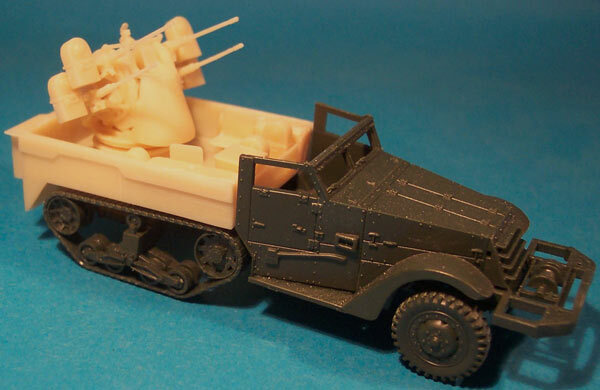 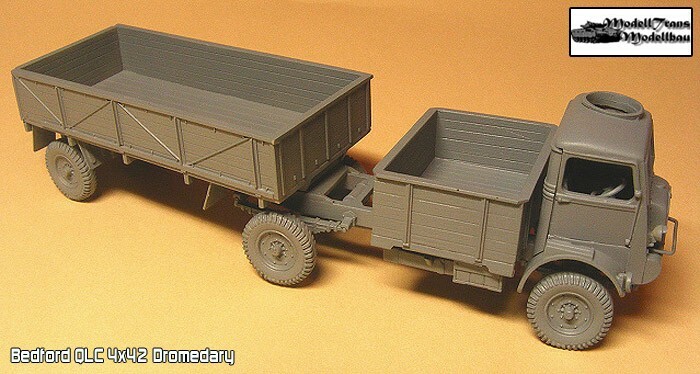 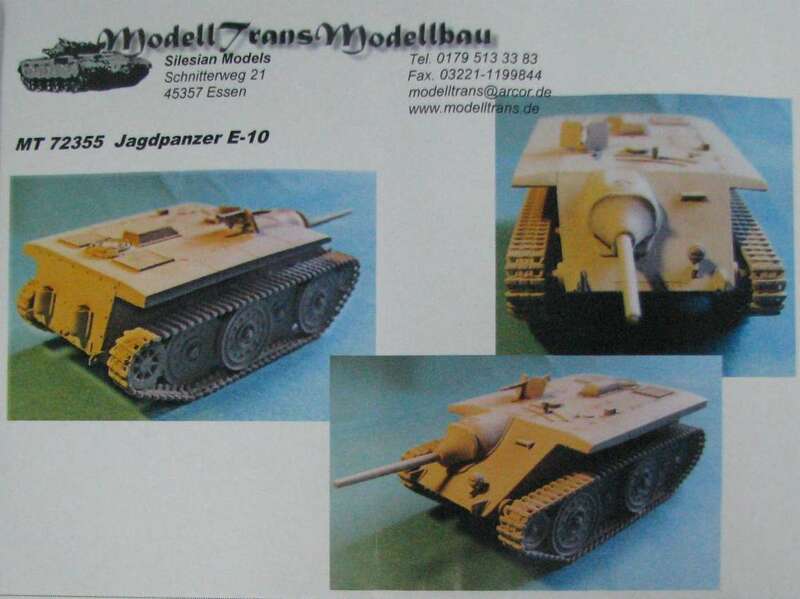 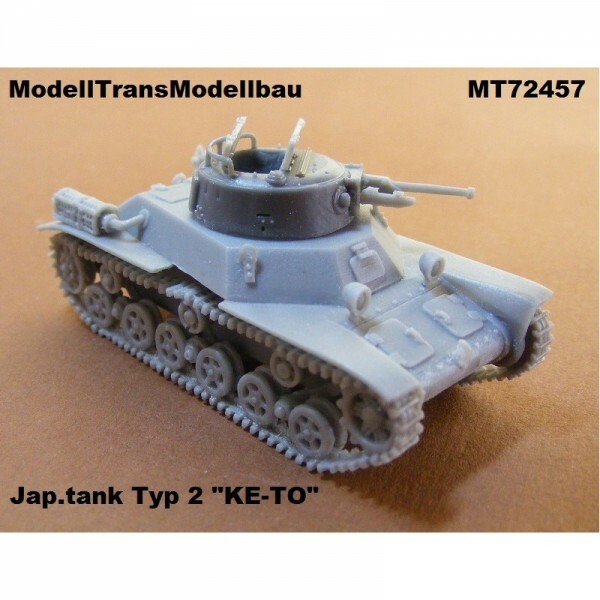 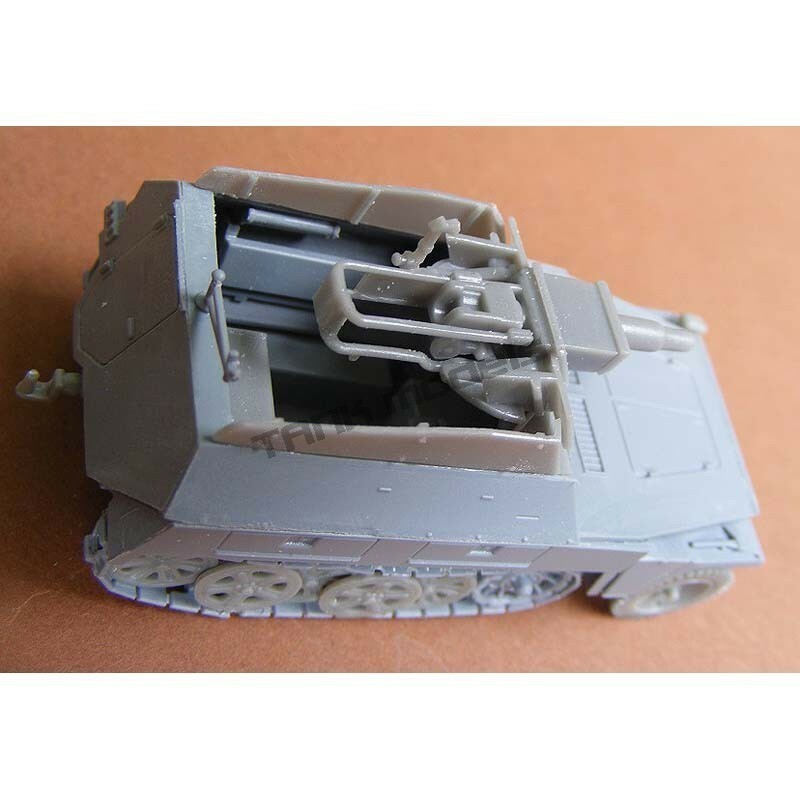 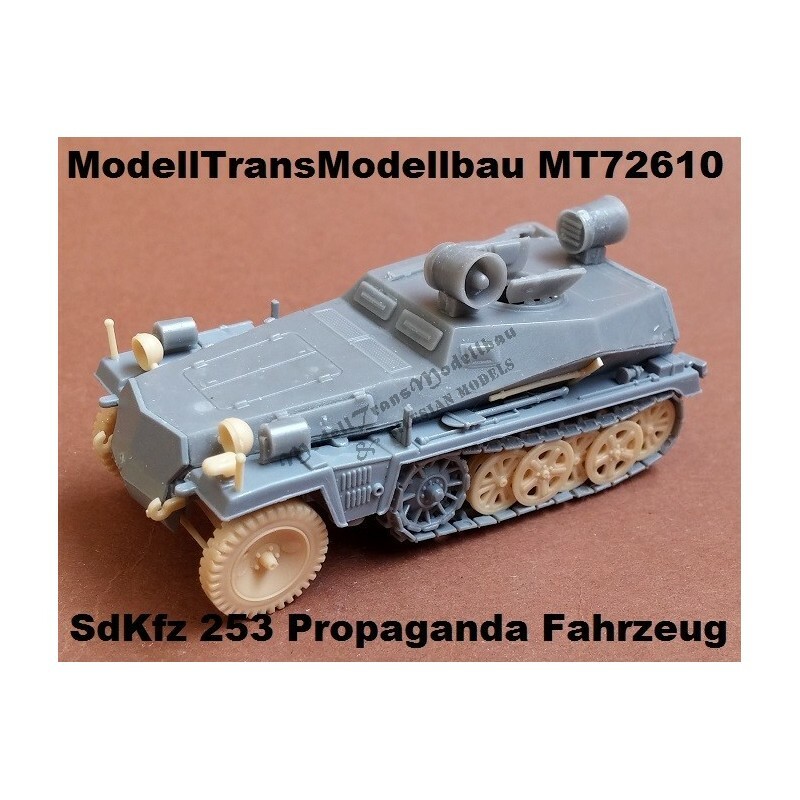 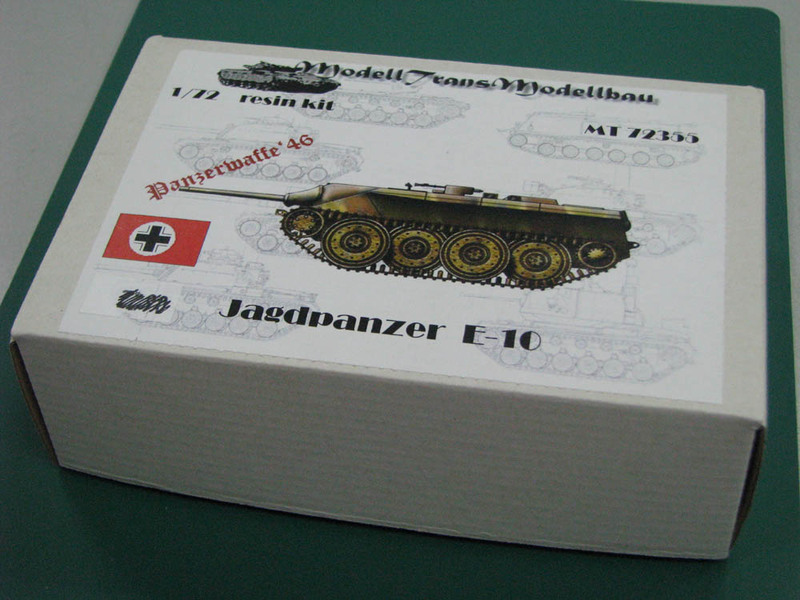 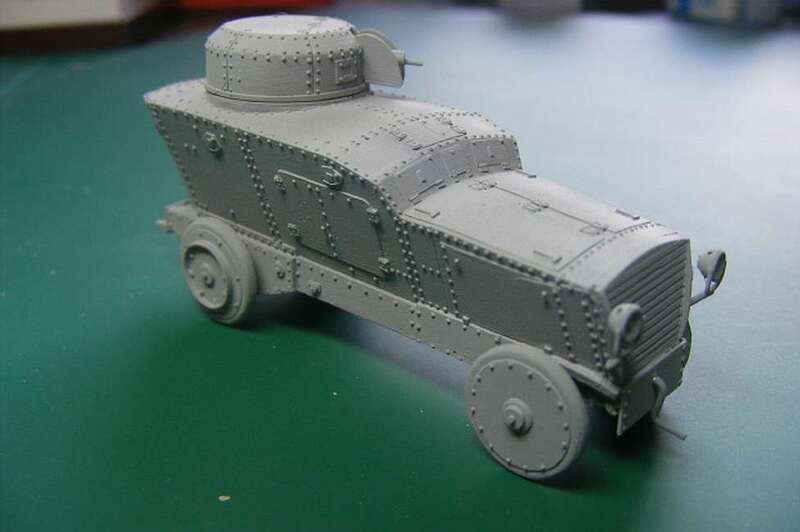 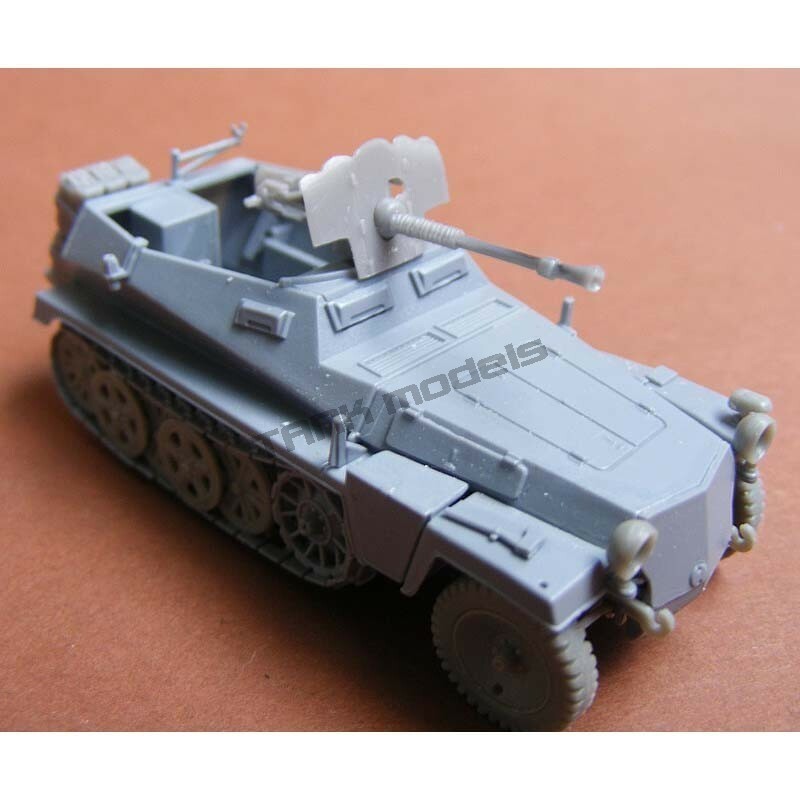 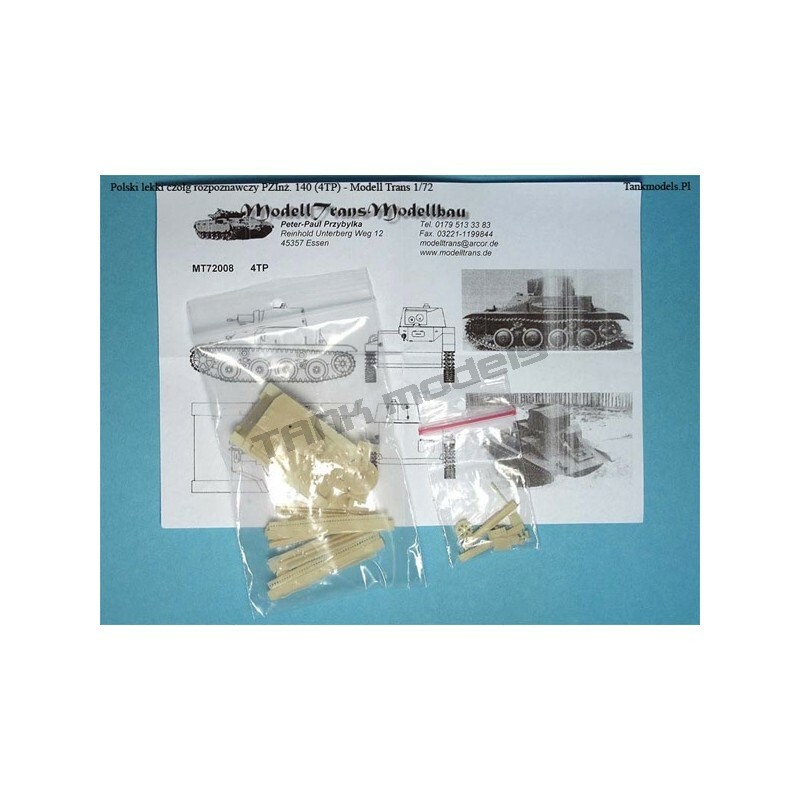 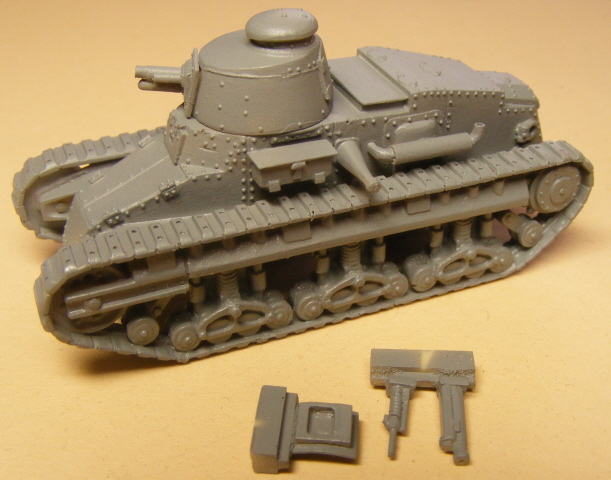 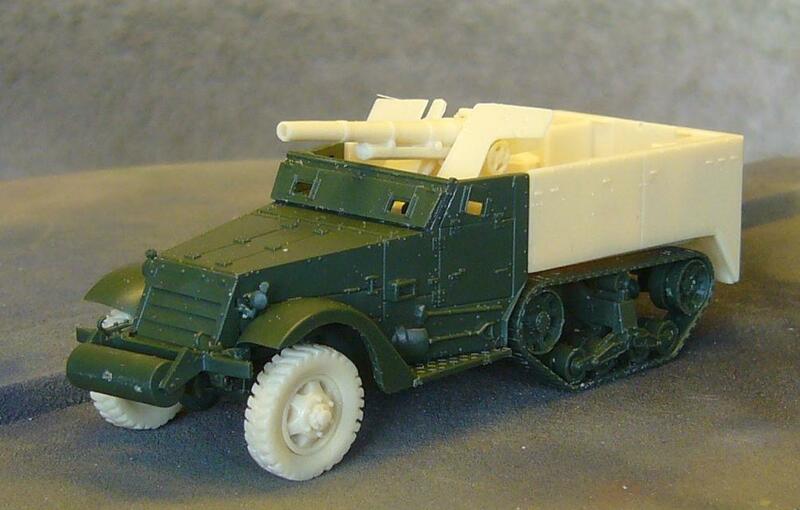 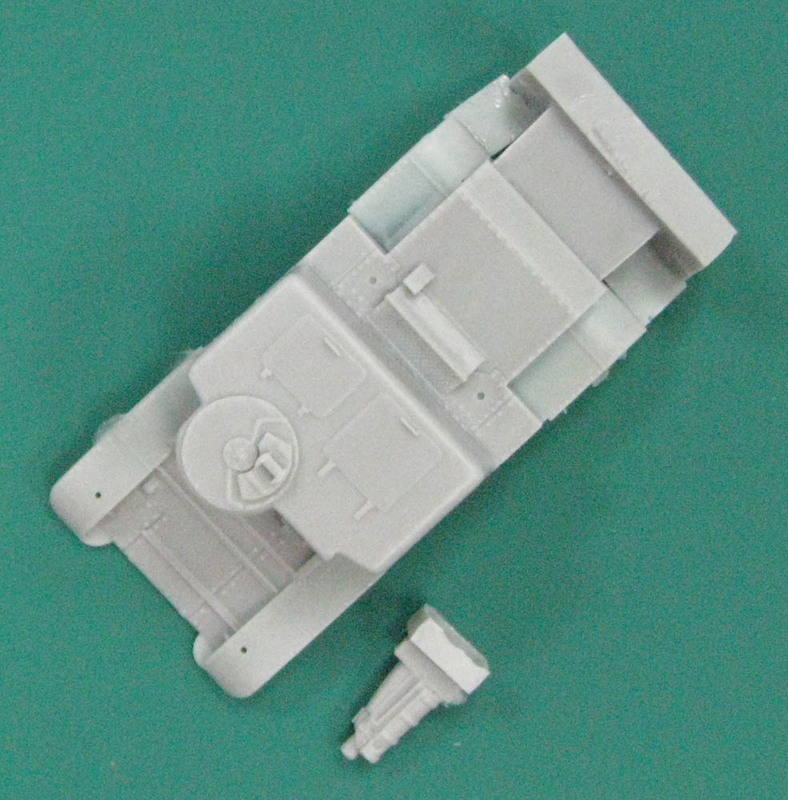 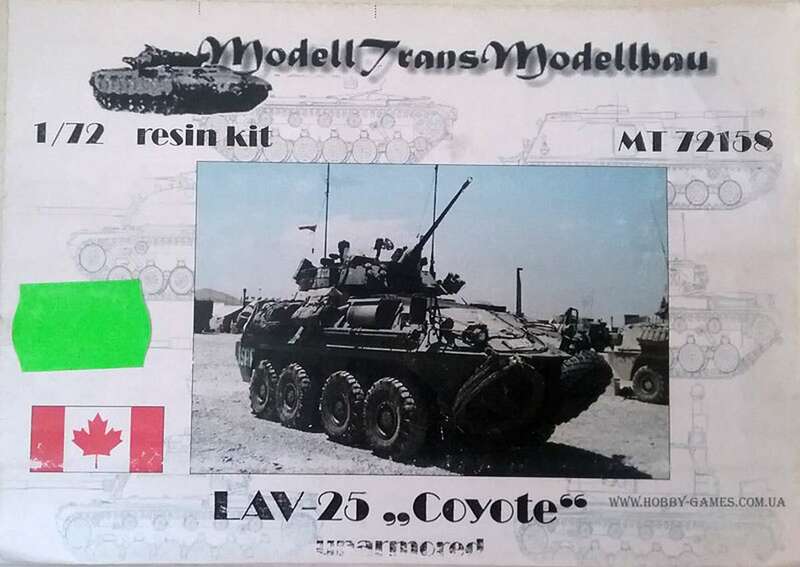 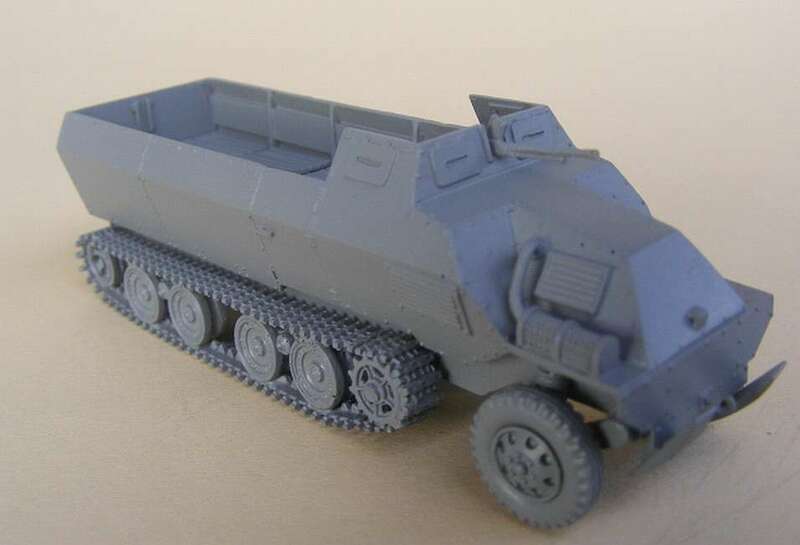 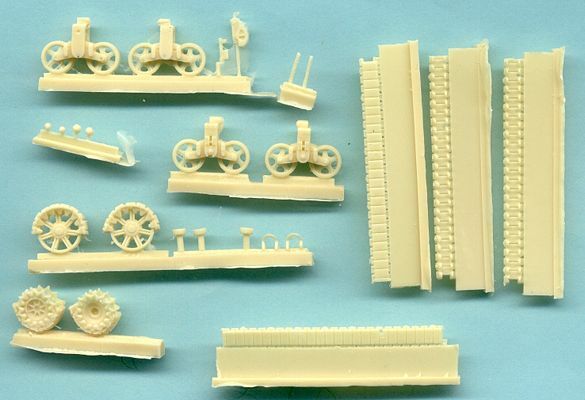 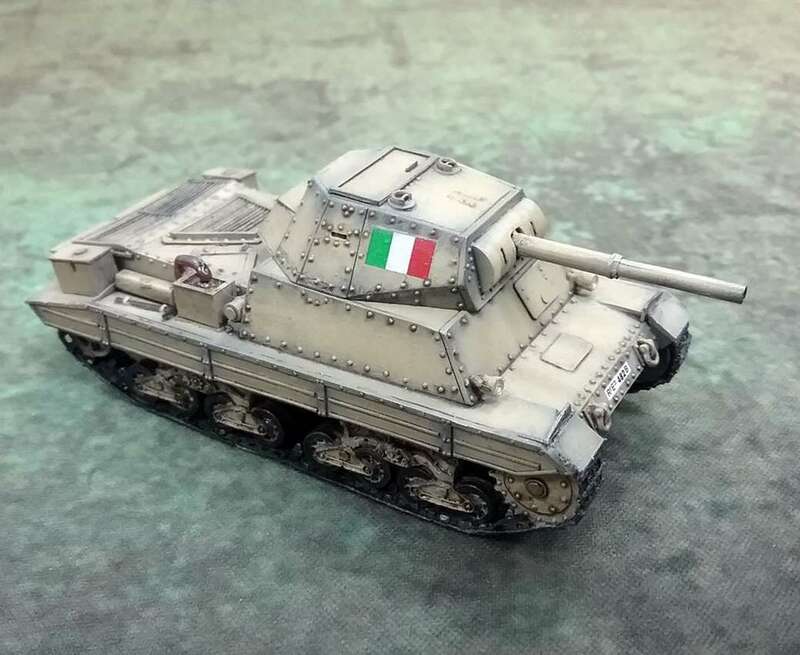 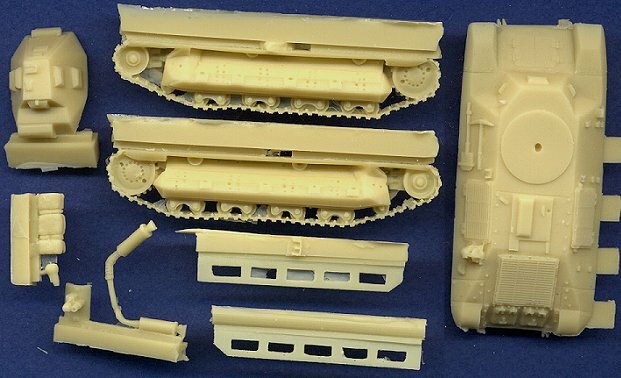 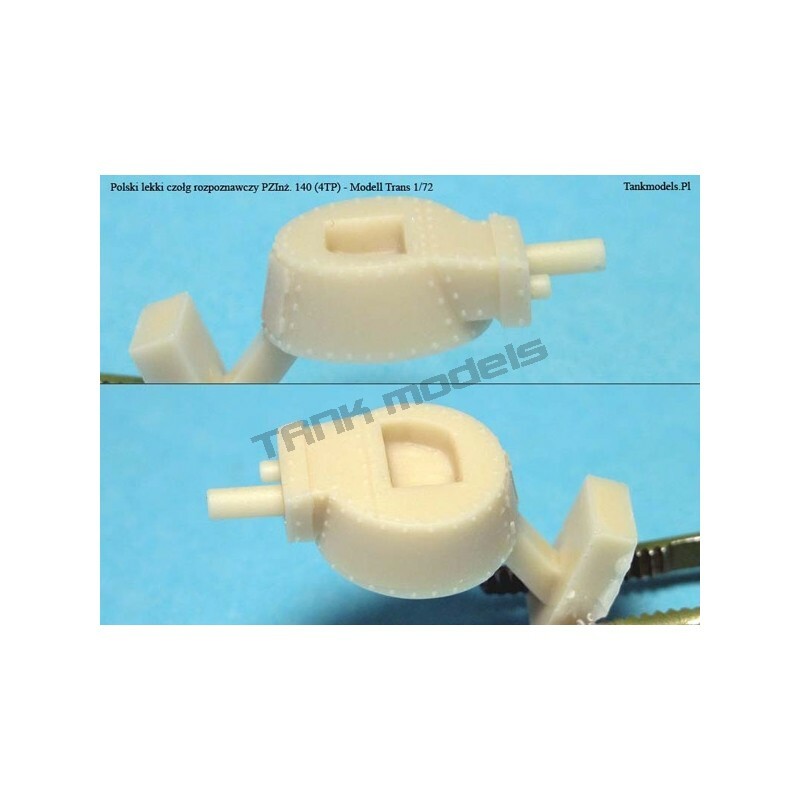 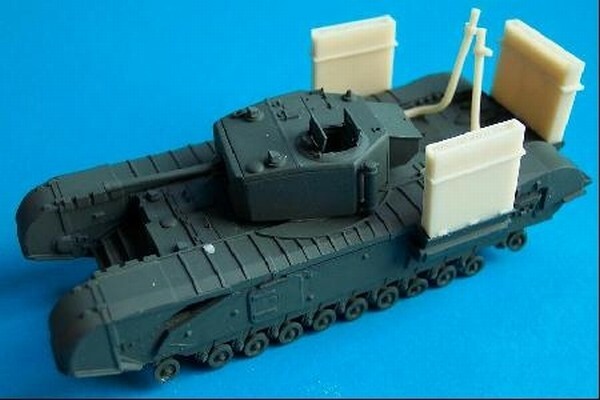 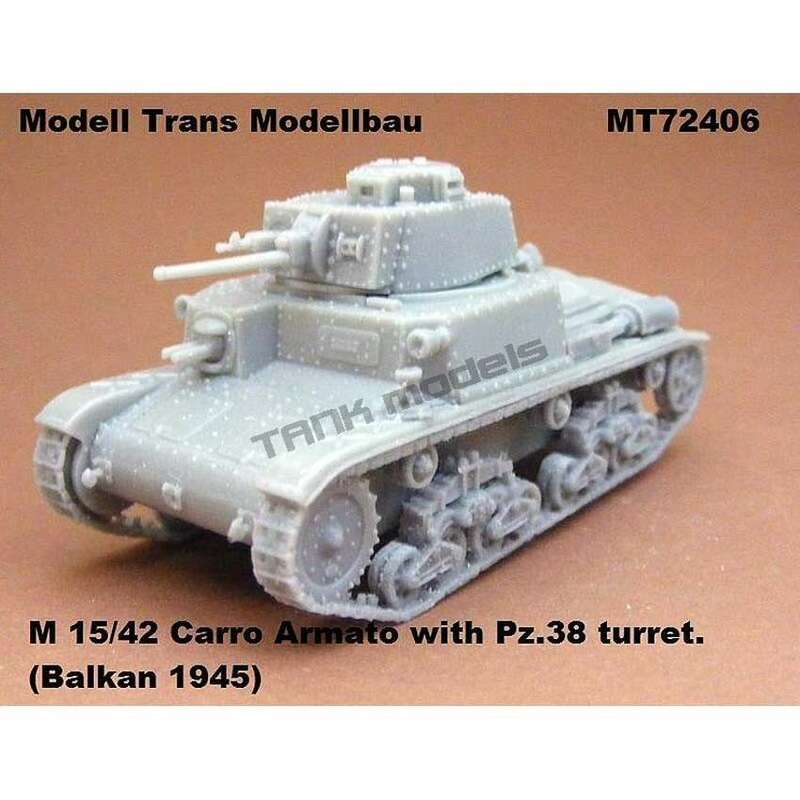 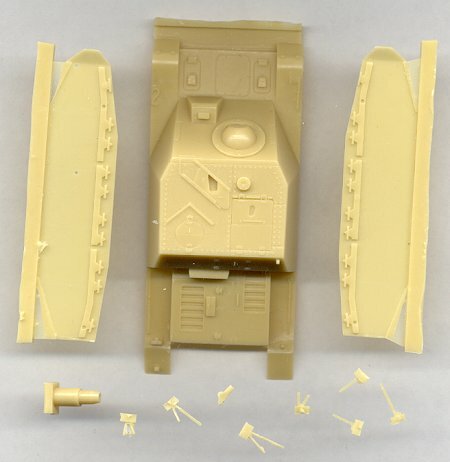 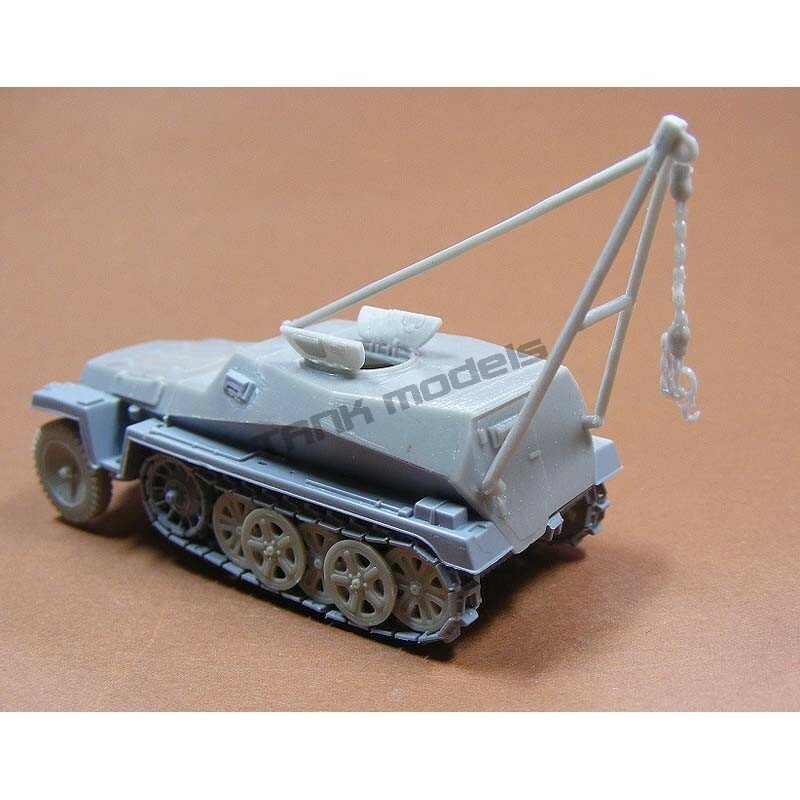 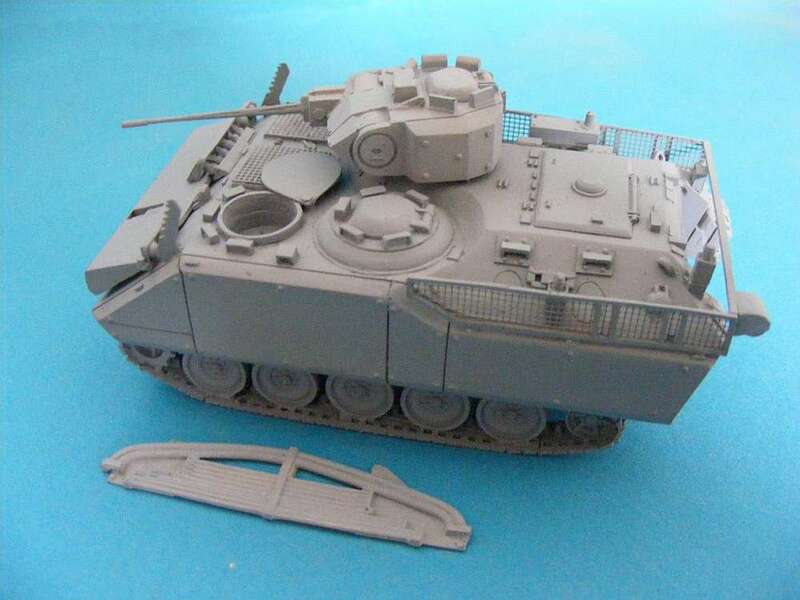 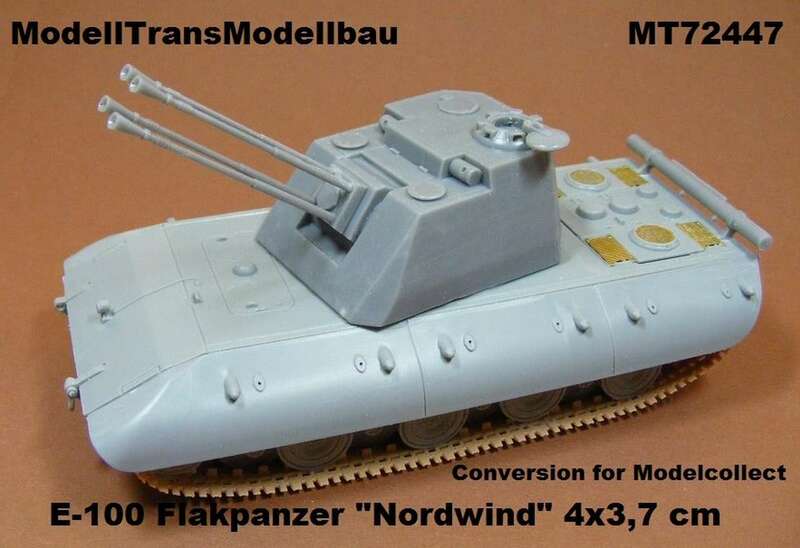 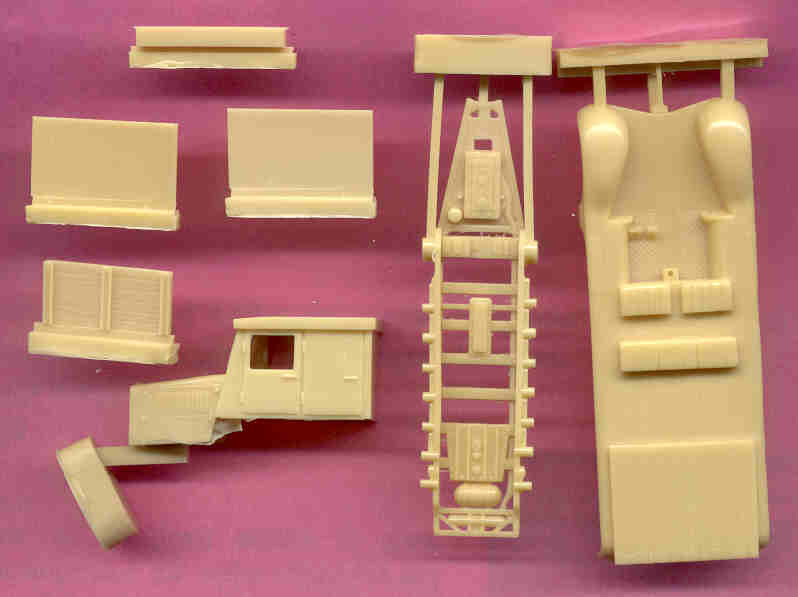 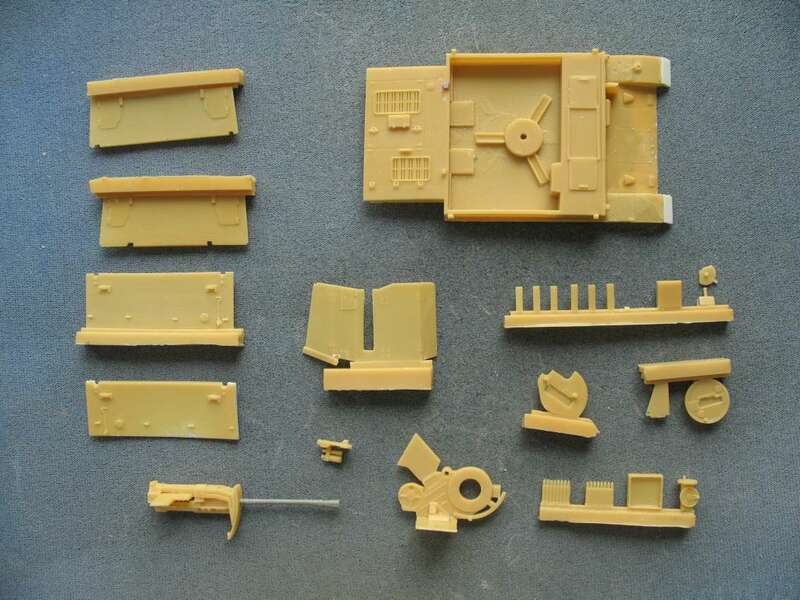 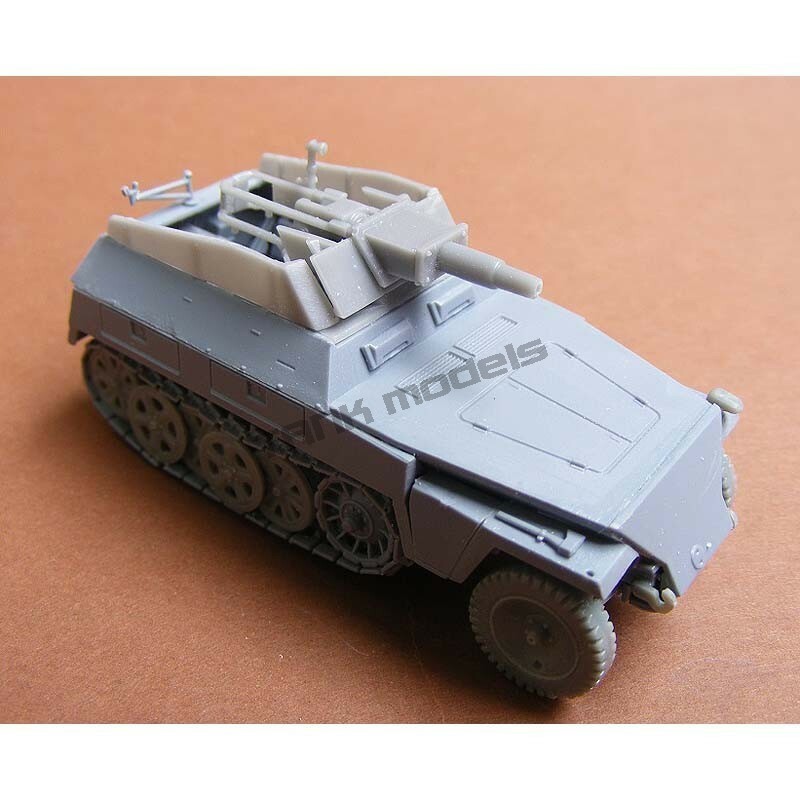 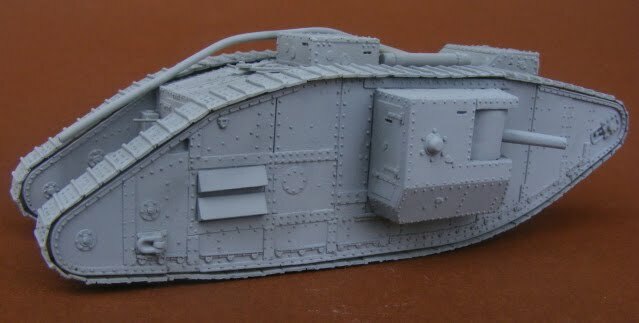 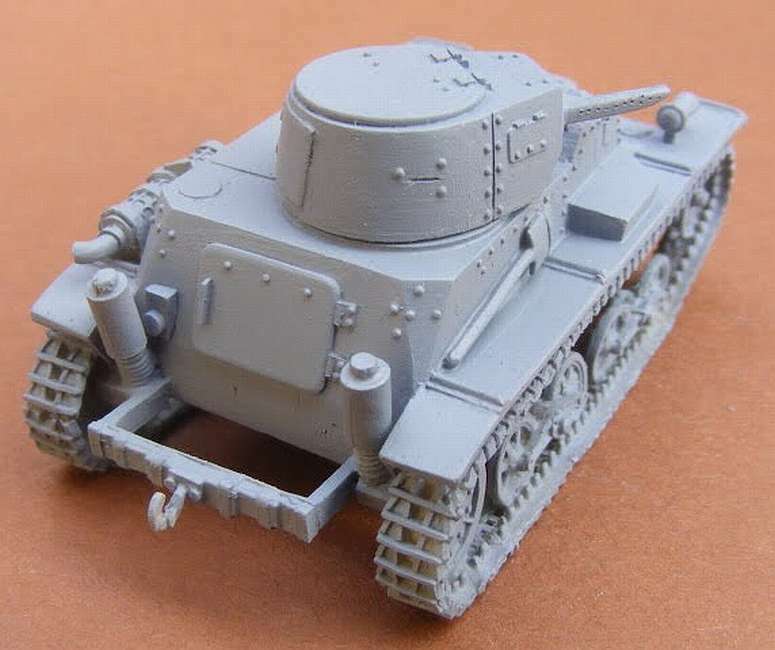 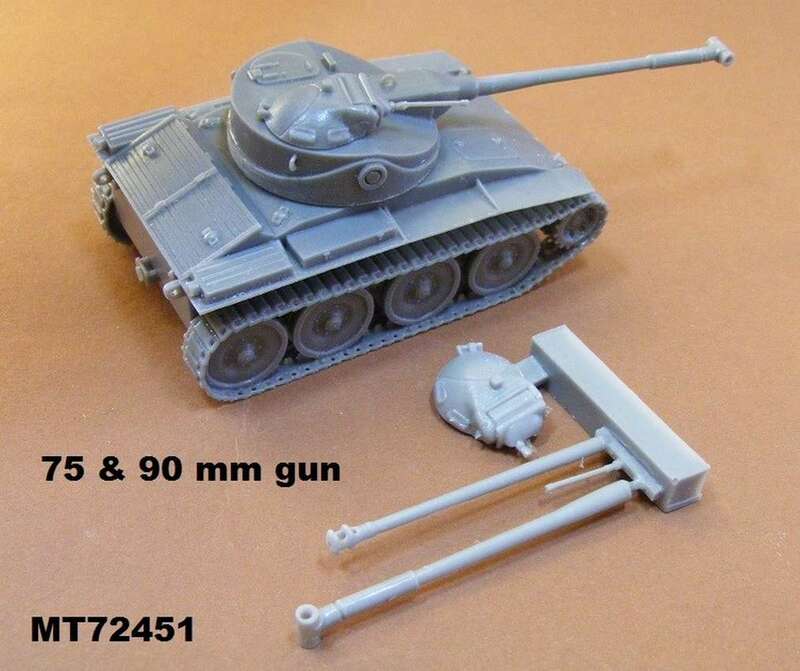 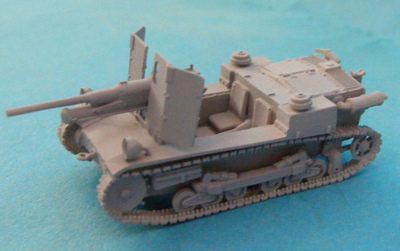 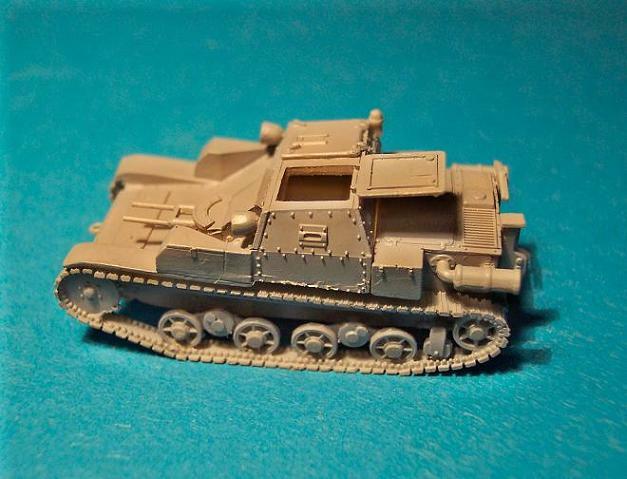 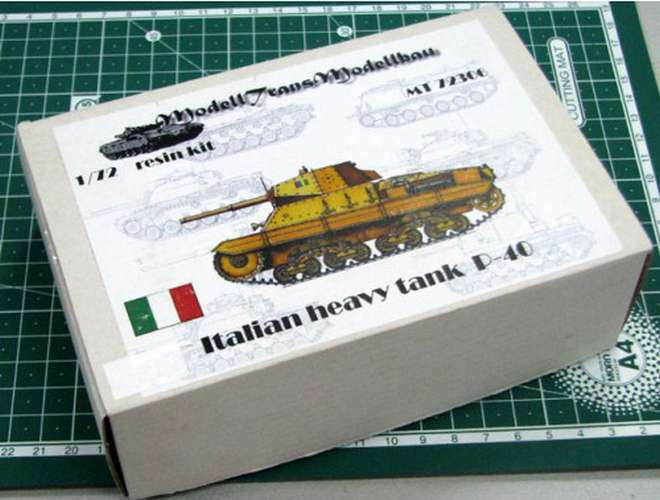 ModellTrans have released a very large range of conversion kits and complete kits. 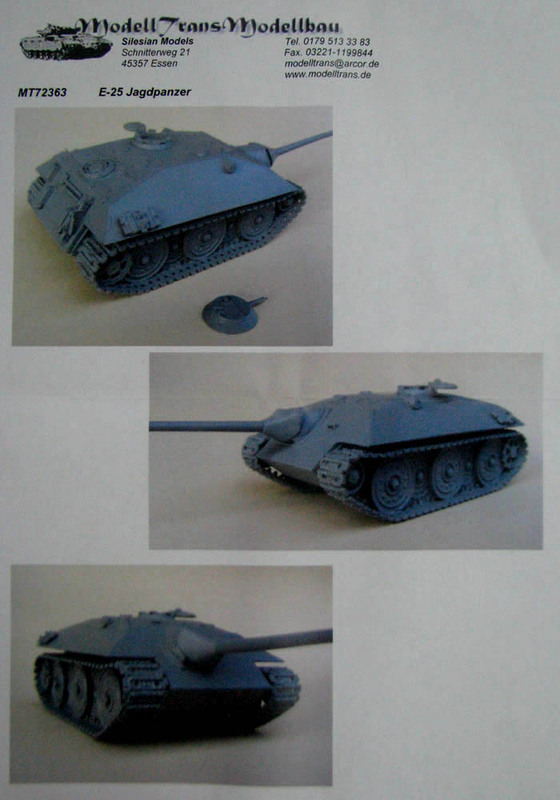 The available pictures are unfortunately often quite small, but that is the best I can get. 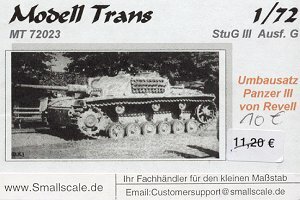 I would certainly like to display bigger pictures if I can get them. 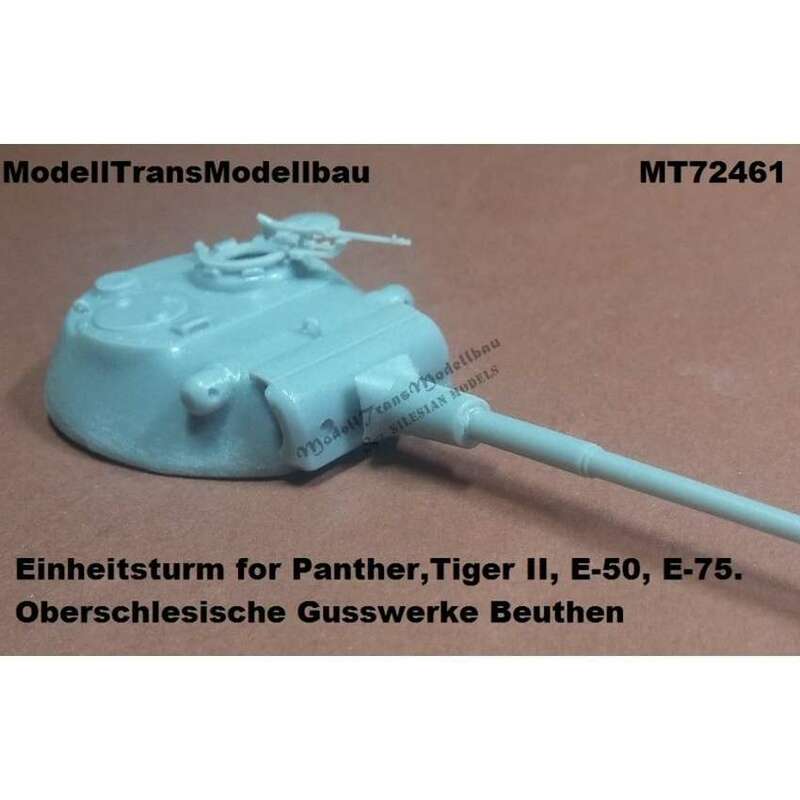 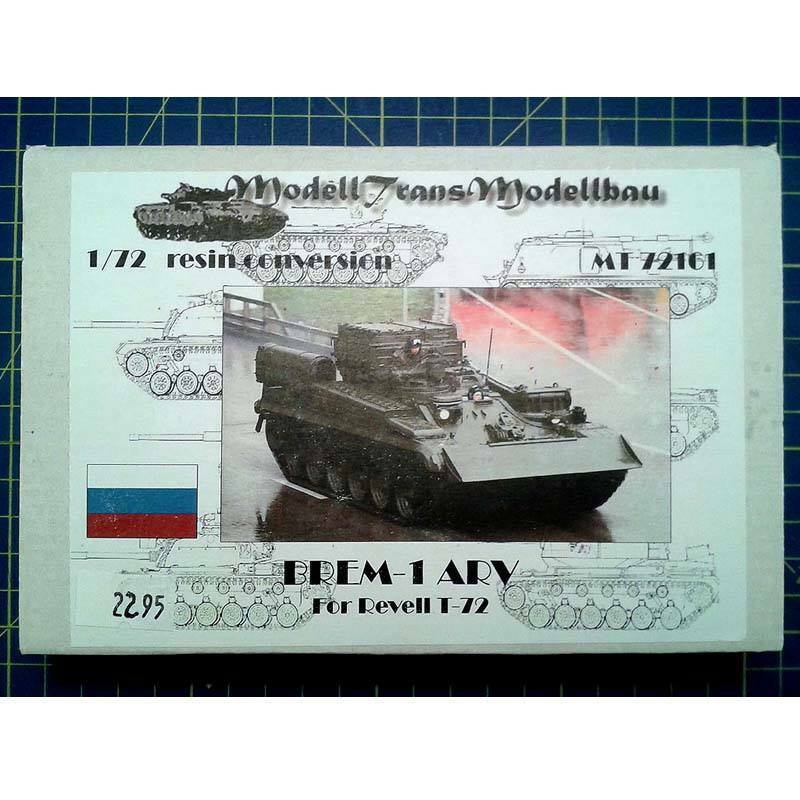 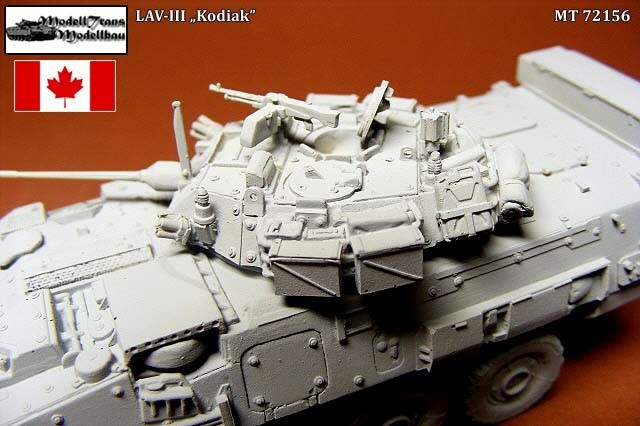 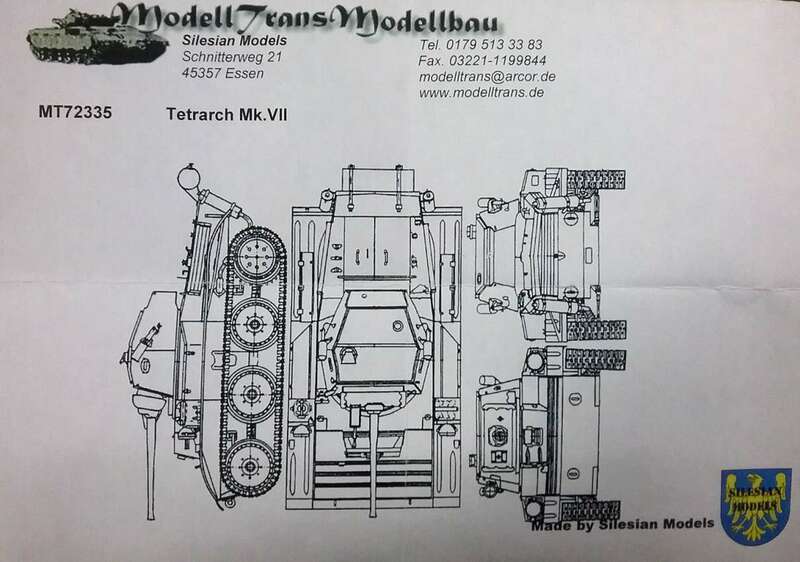 Kit MT72074 - Pz.Kpfw.II Ausf.L "Luchs"
Kit MT72156 - LAV-III "Kodiak"
Kit MT72158 - LAV-25 "Coyote"
Kit MT72219 - M51 I Sherman . 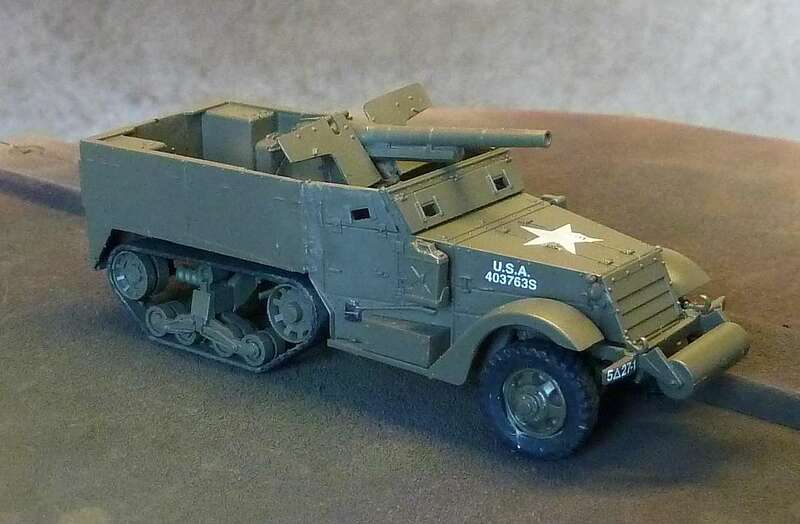 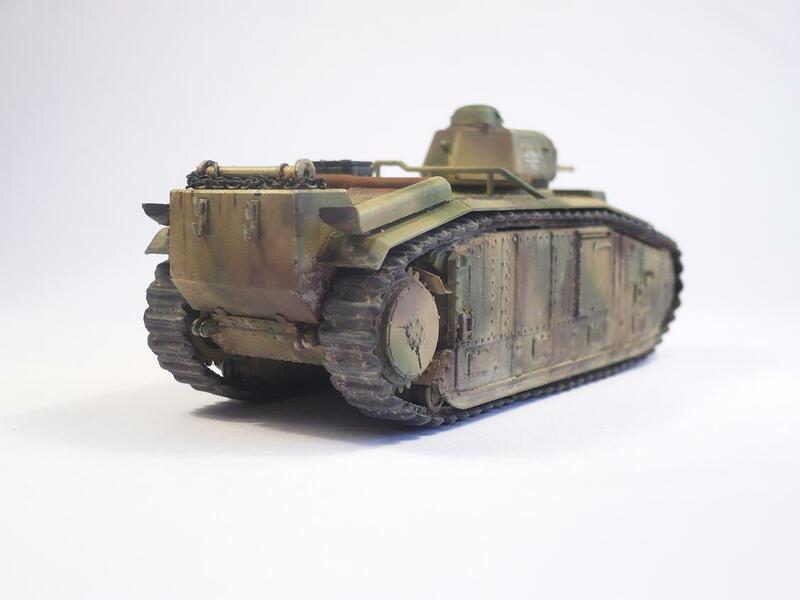 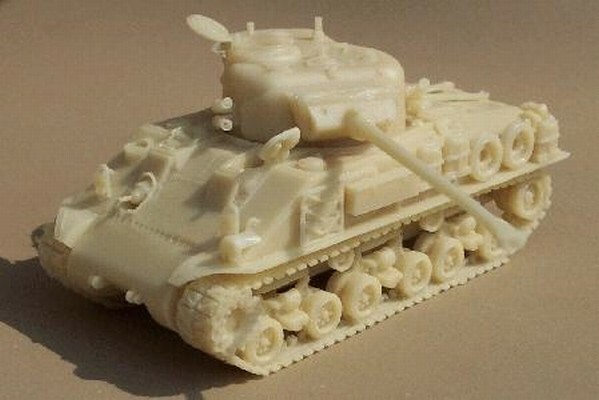 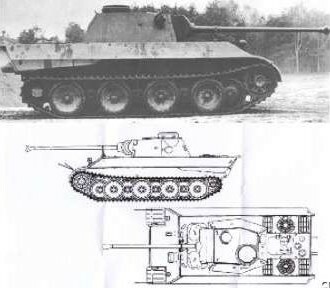 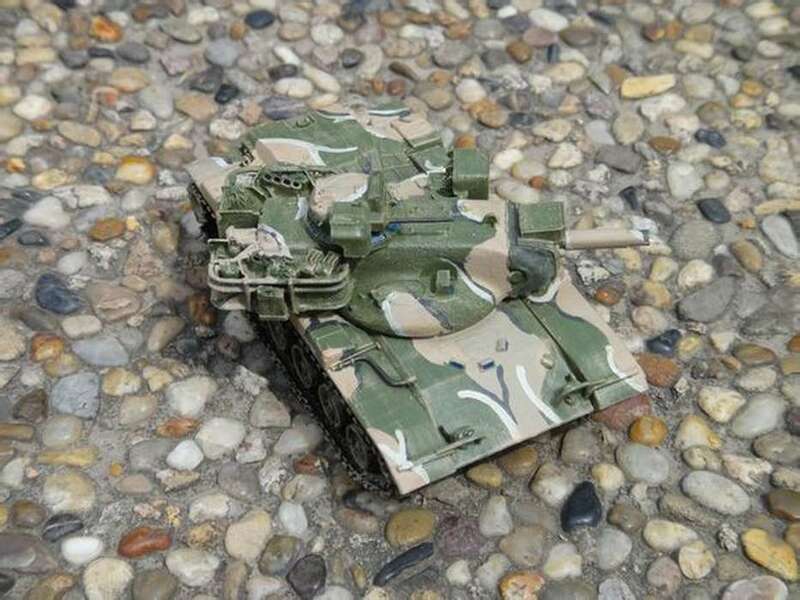 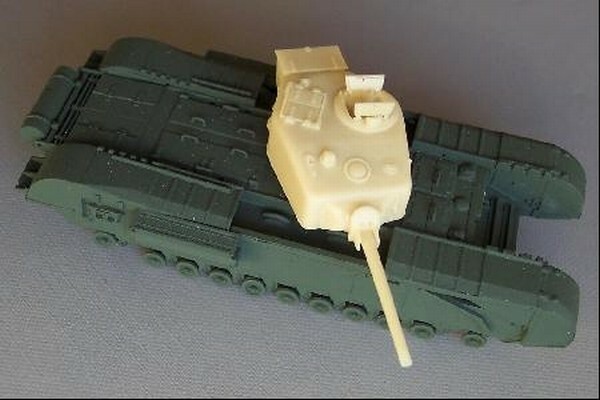 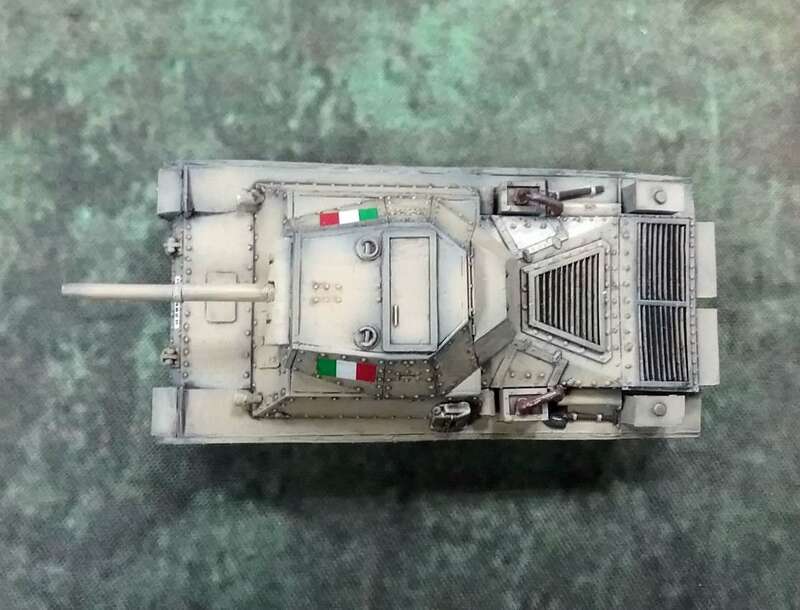 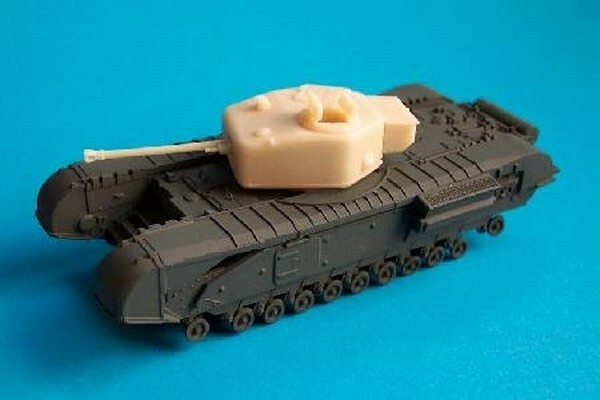 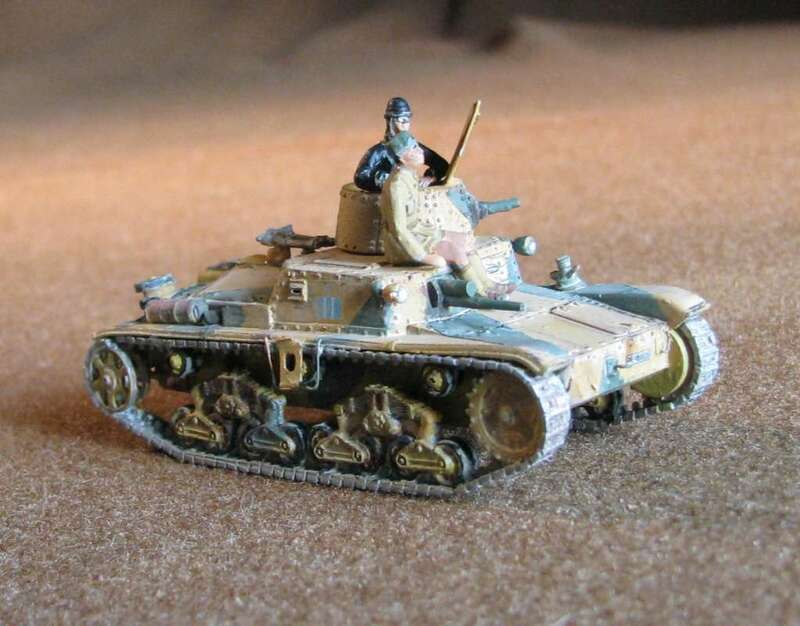 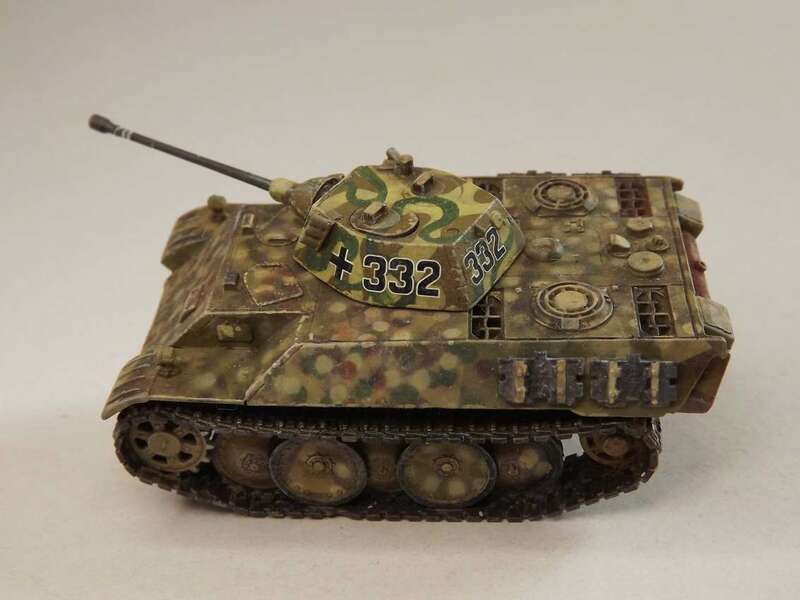 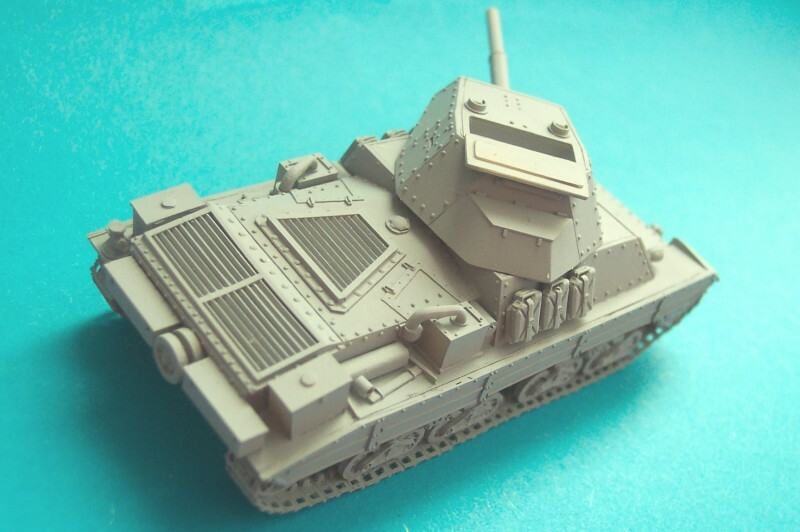 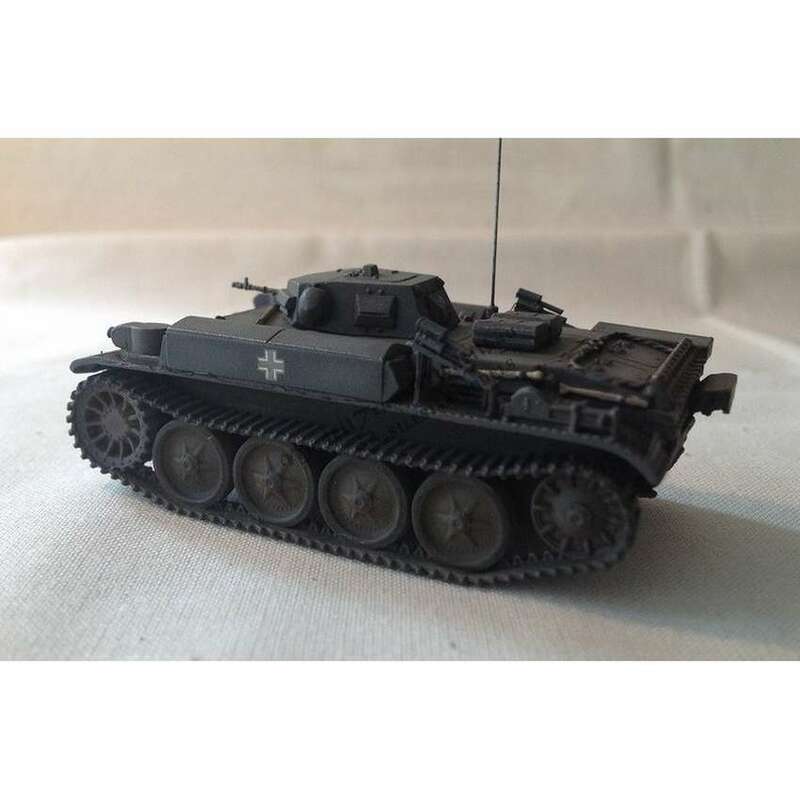 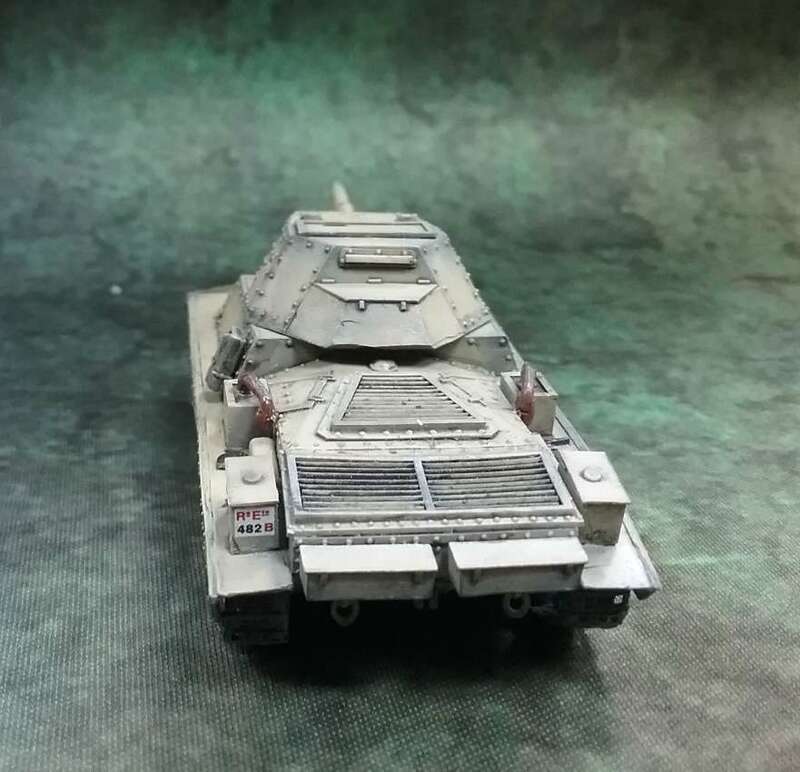 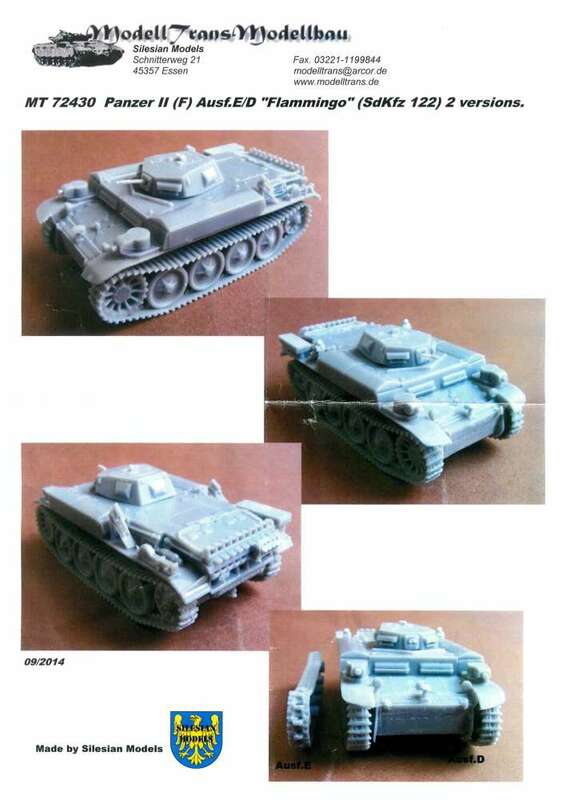 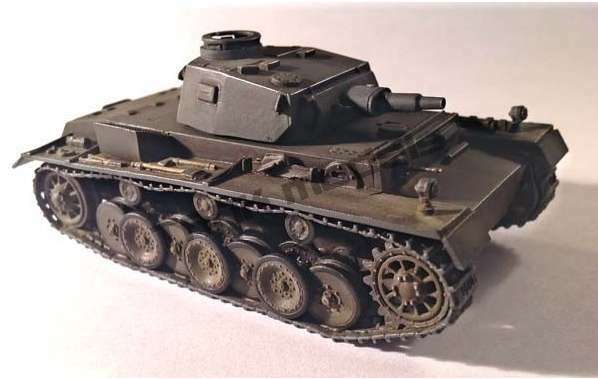 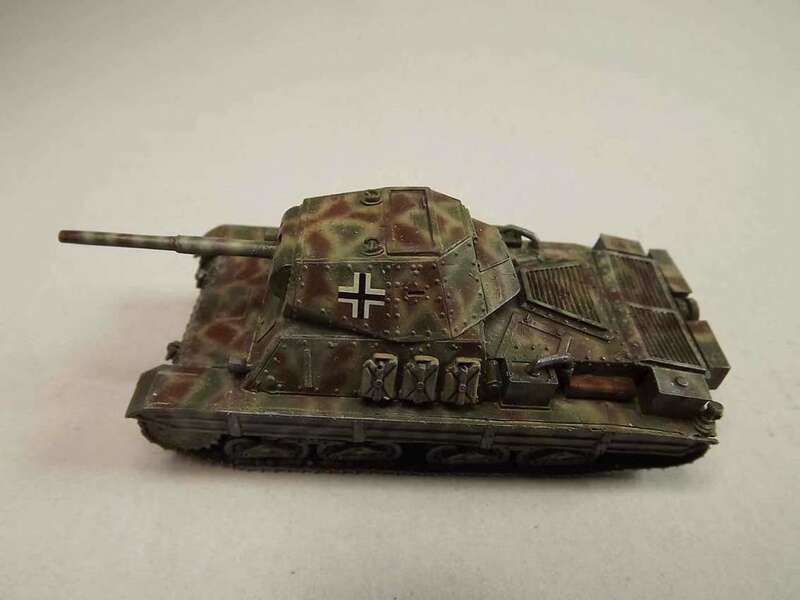 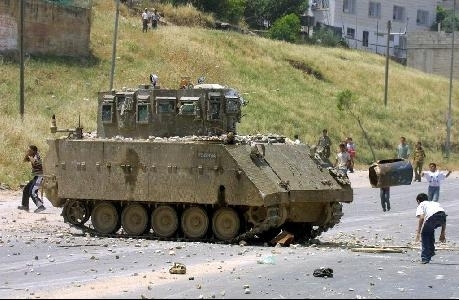 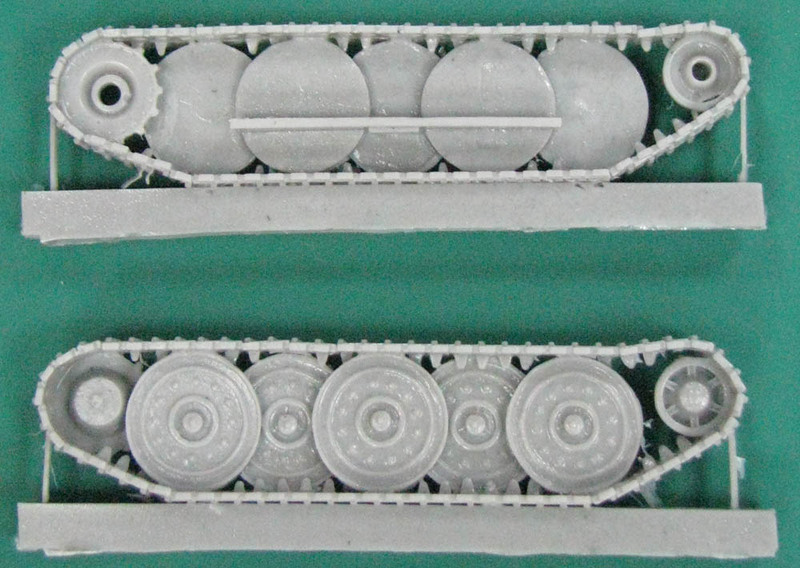 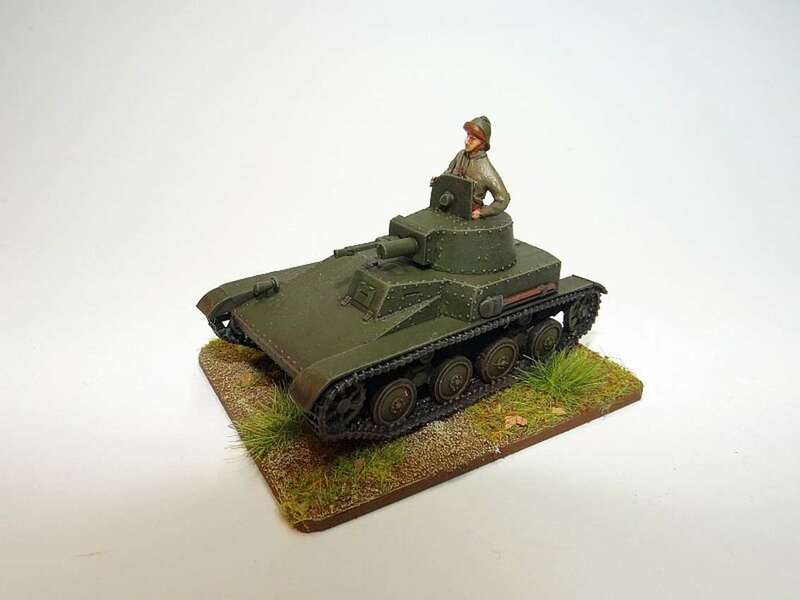 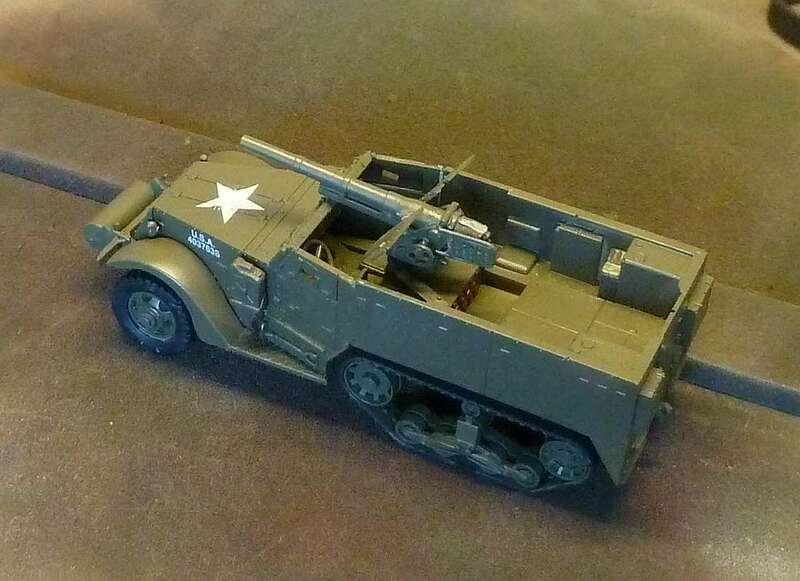 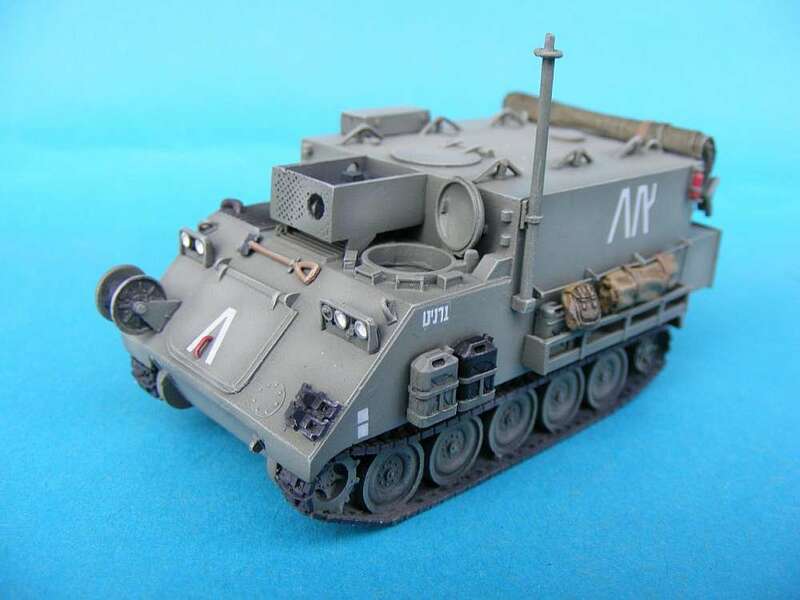 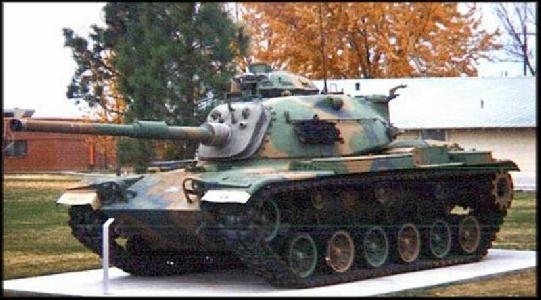 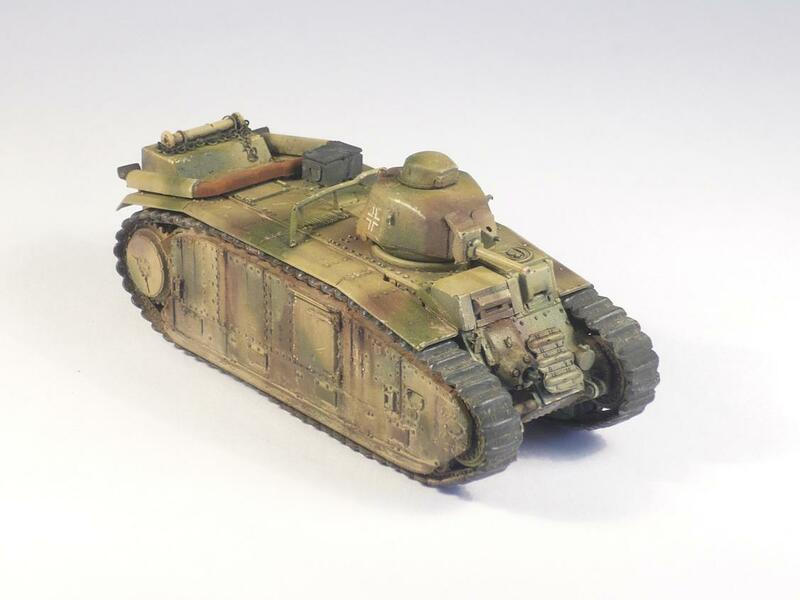 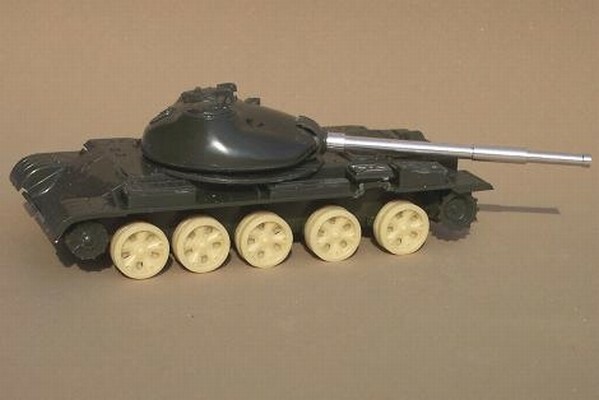 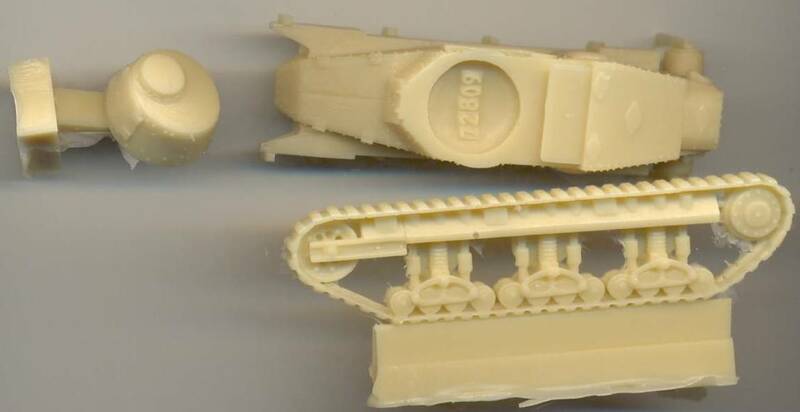 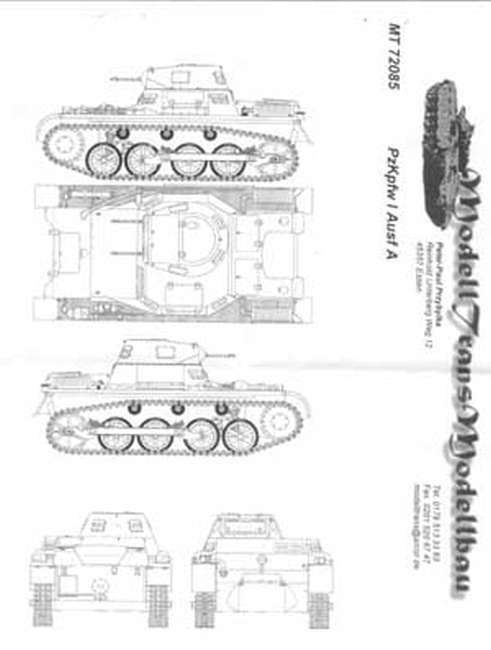 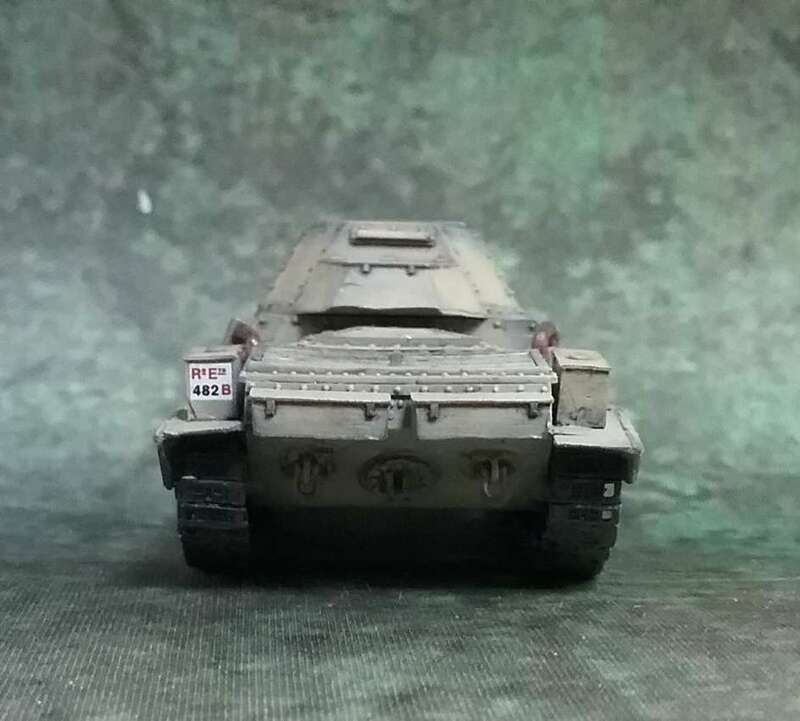 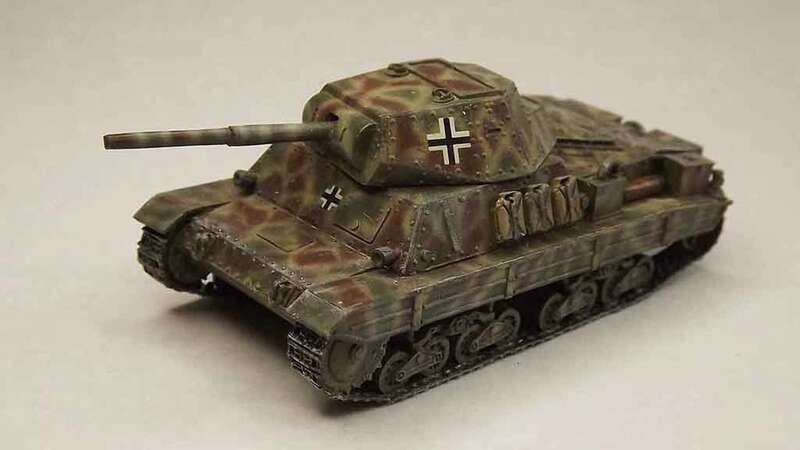 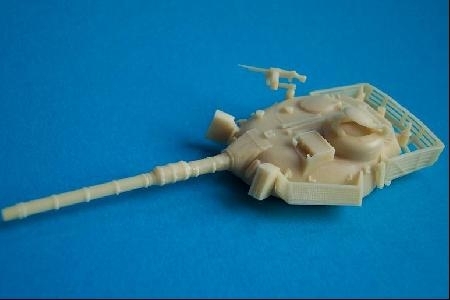 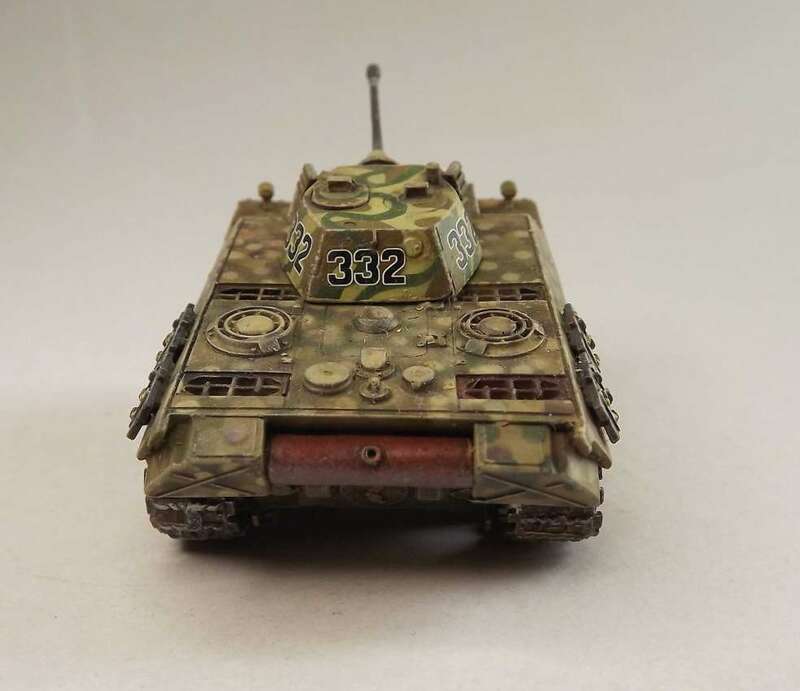 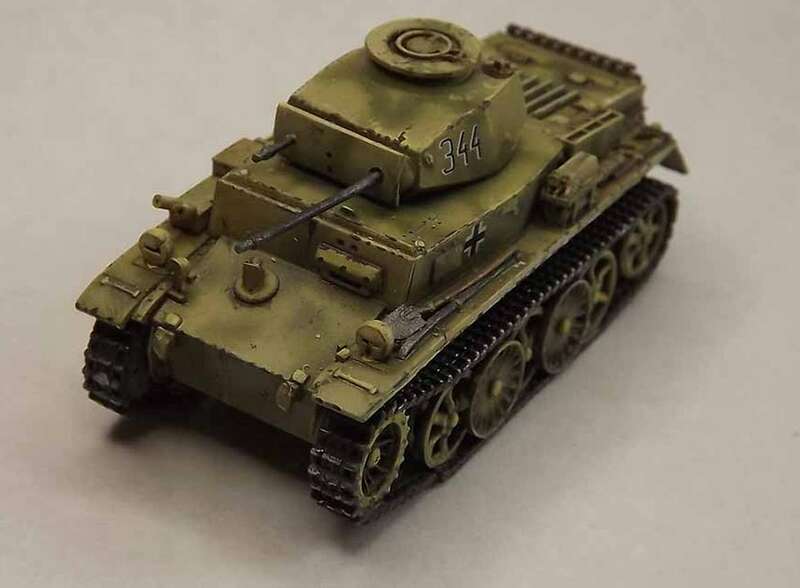 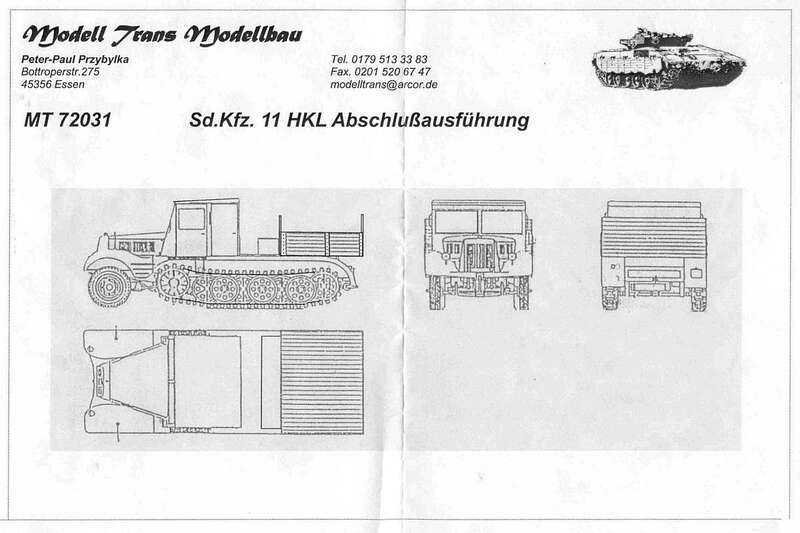 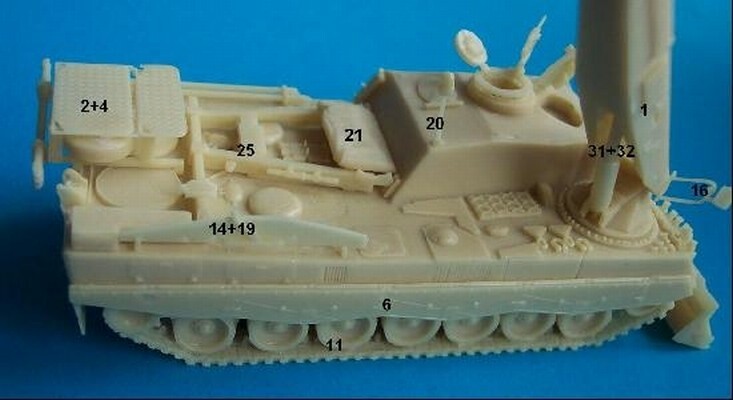 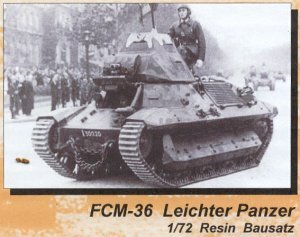 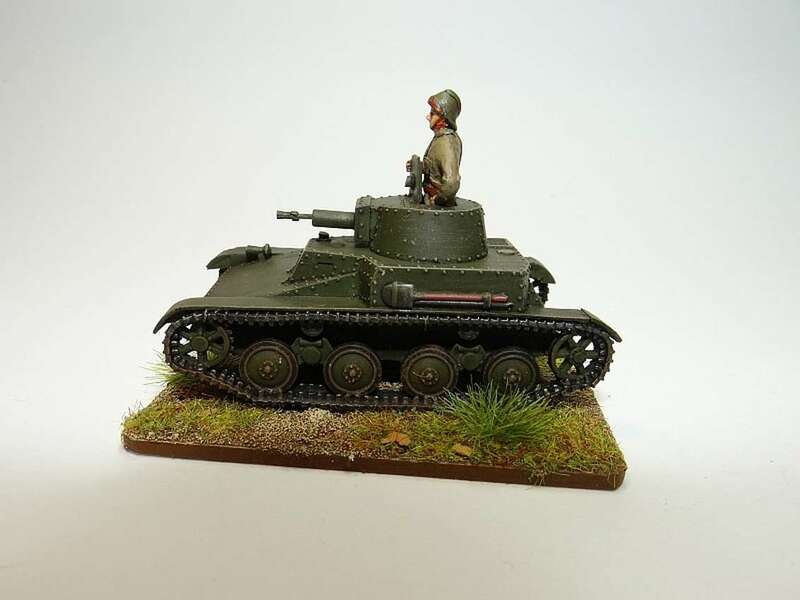 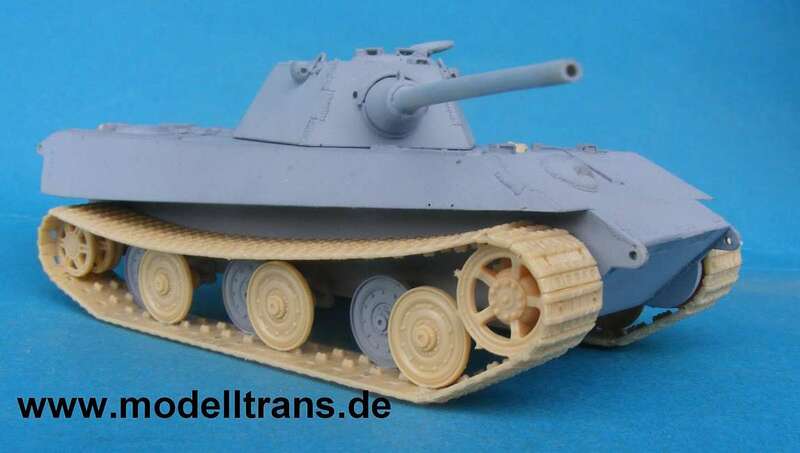 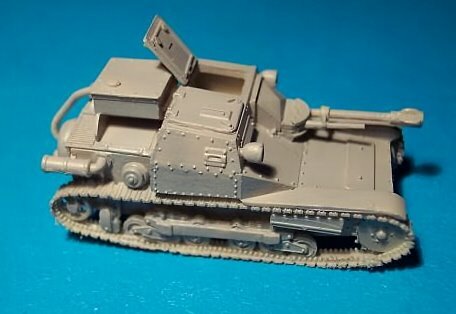 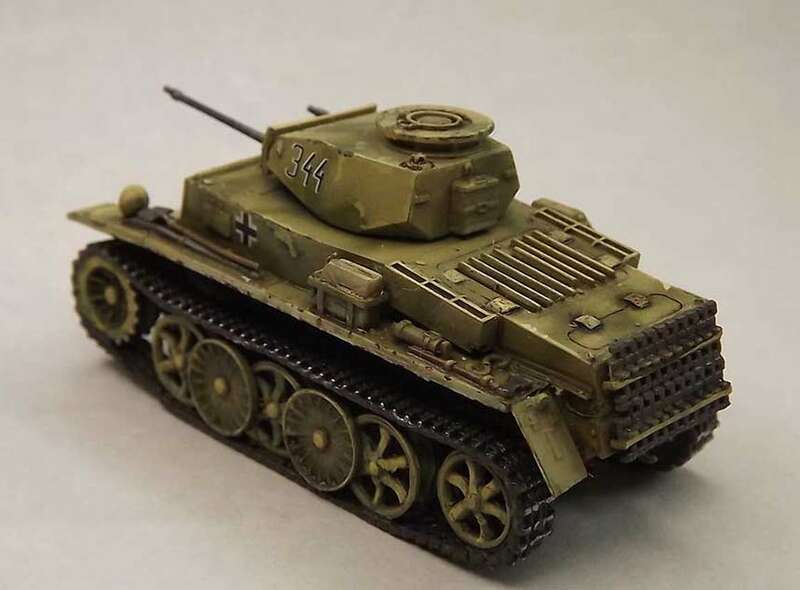 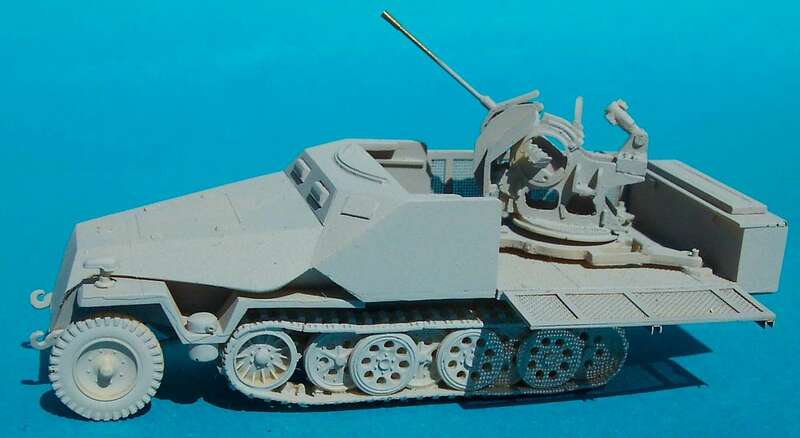 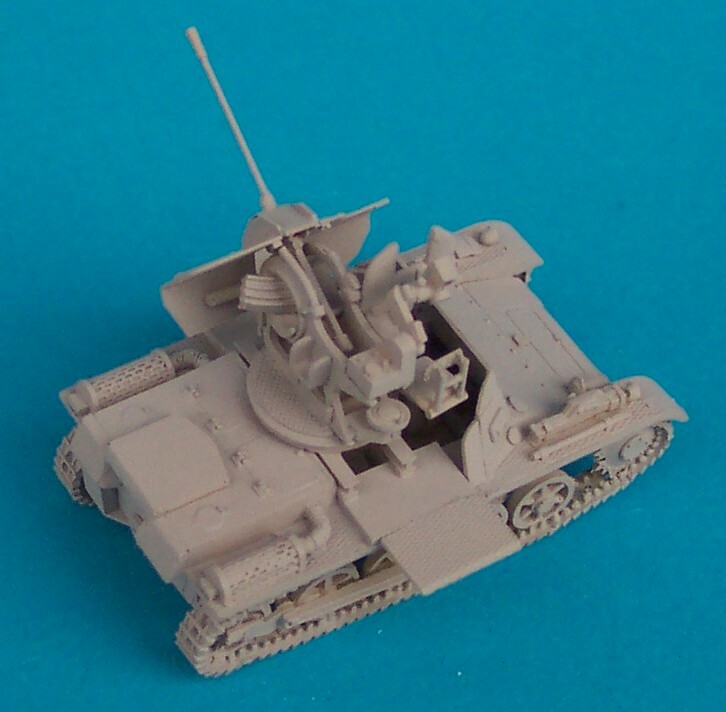 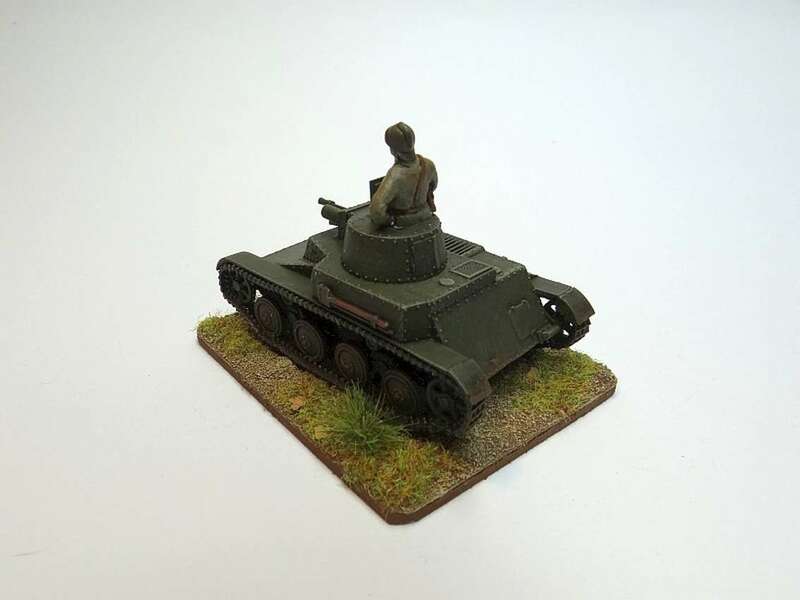 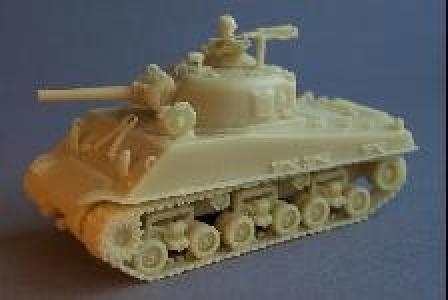 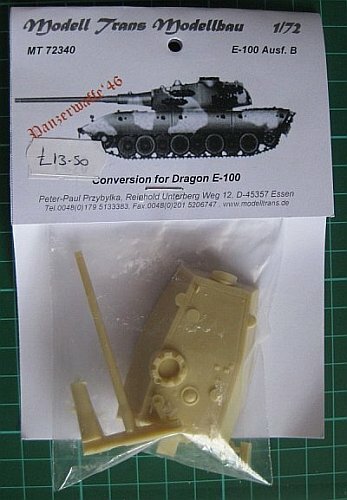 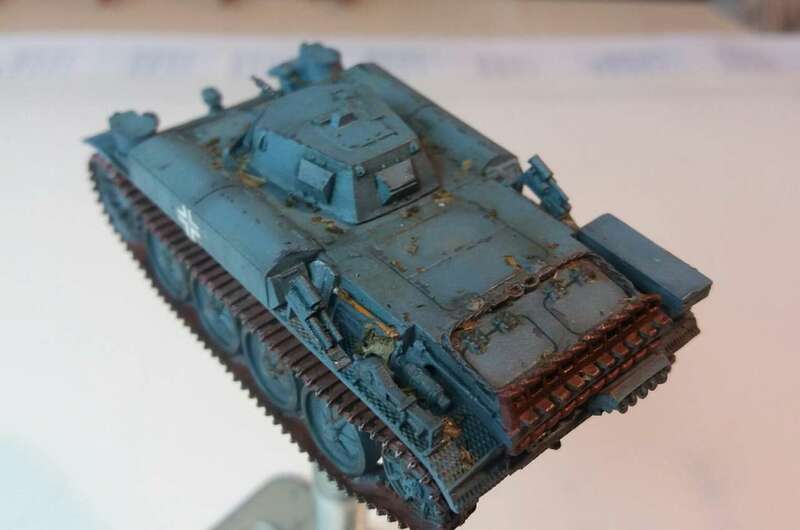 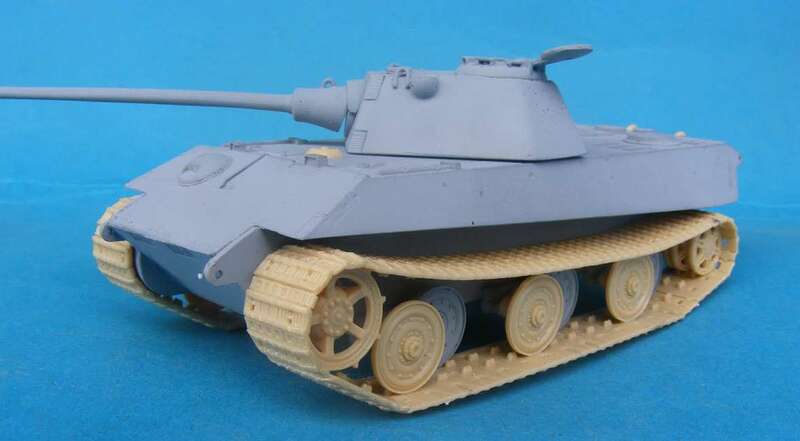 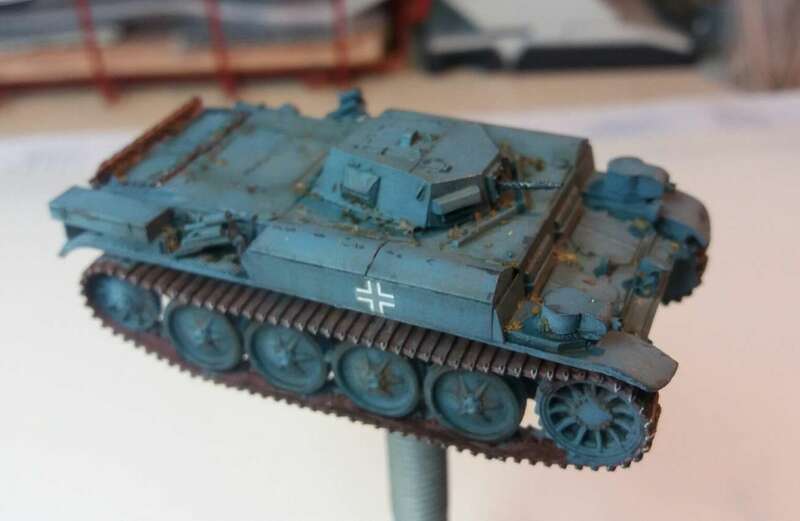 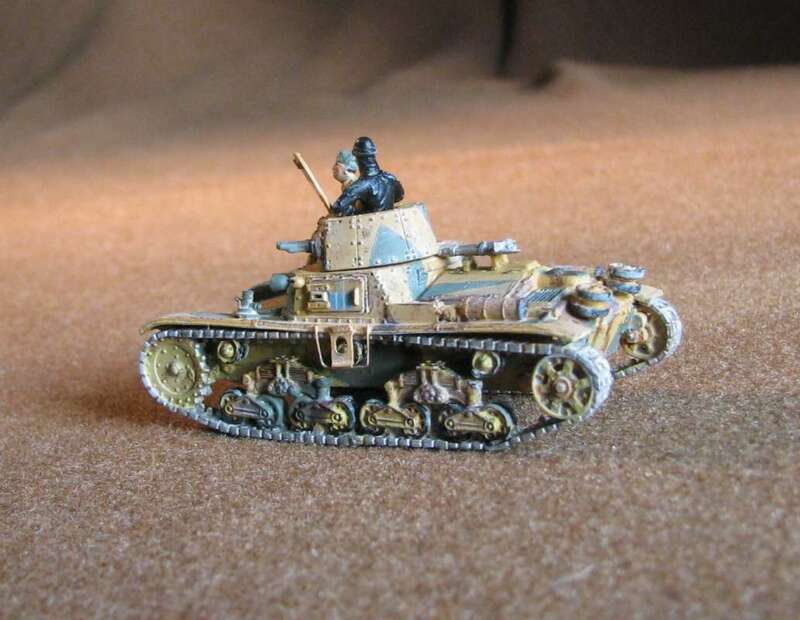 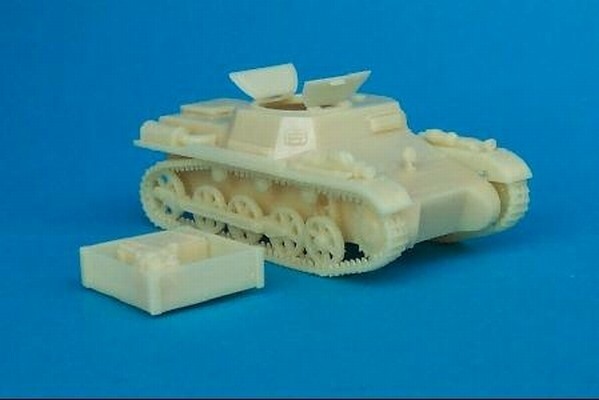 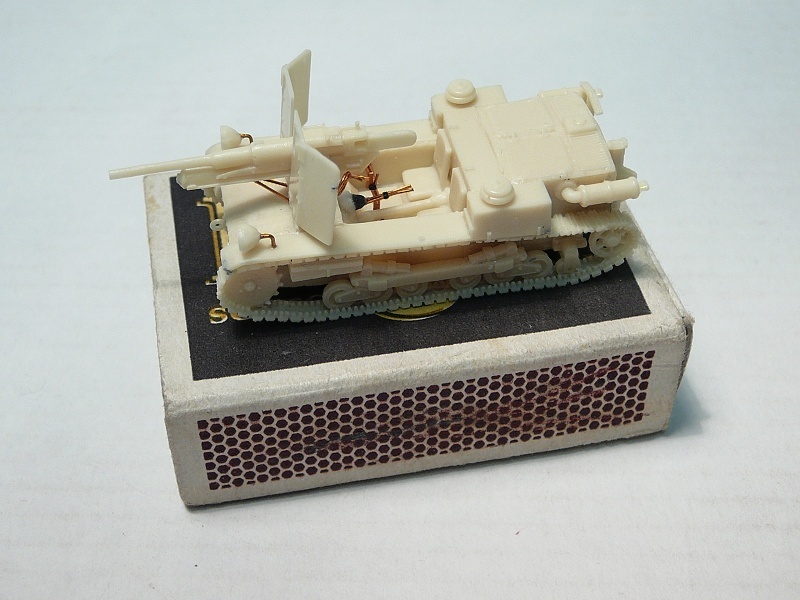 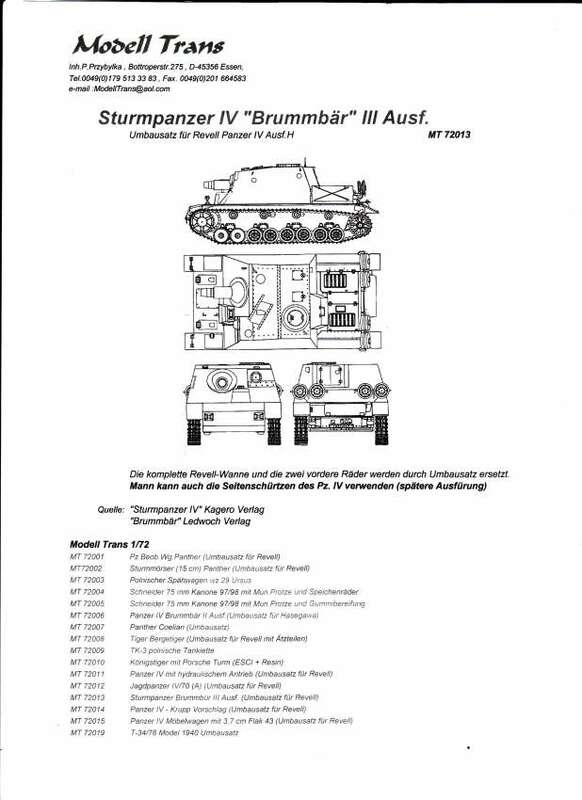 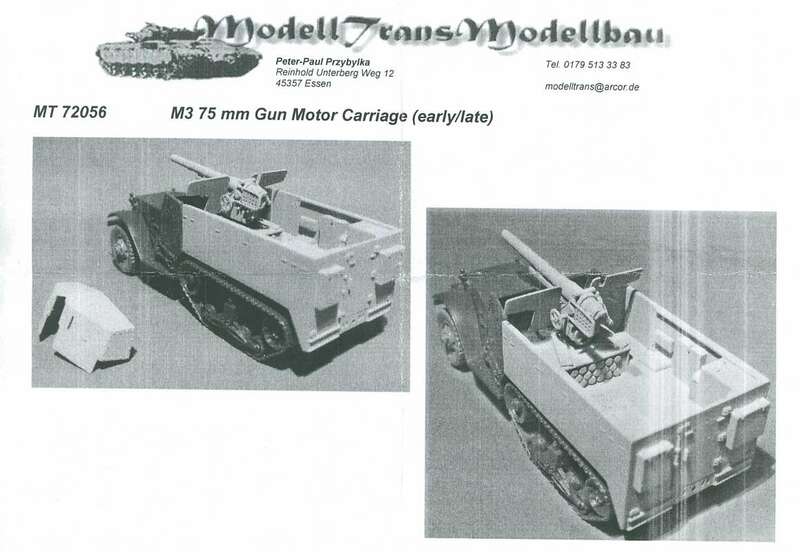 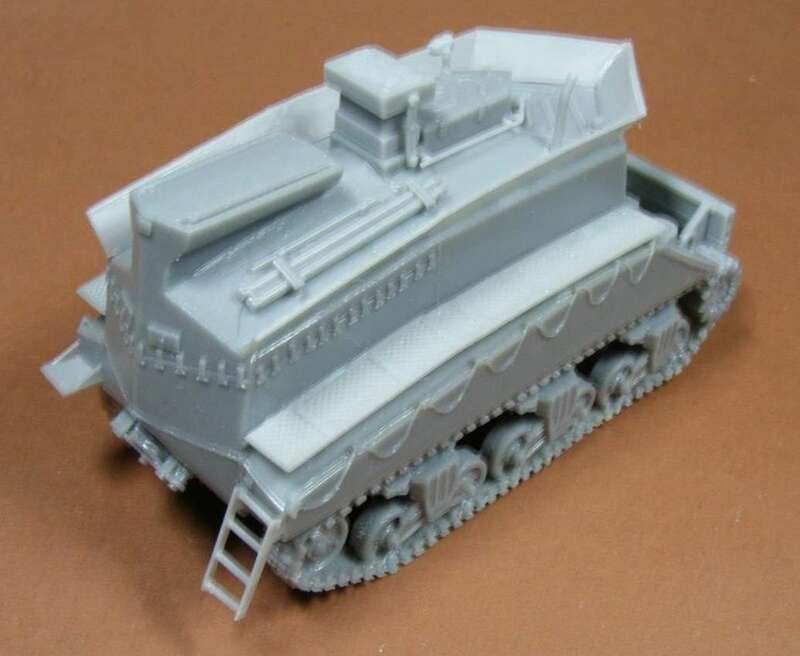 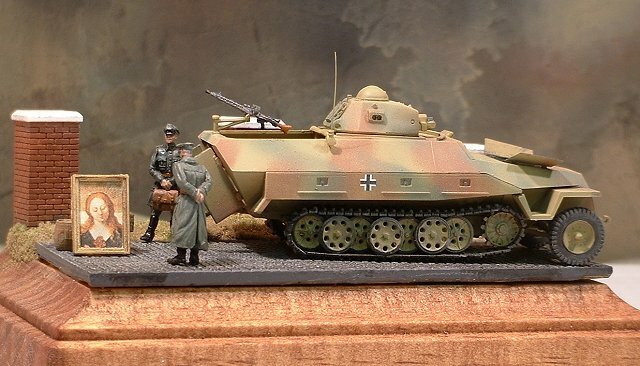 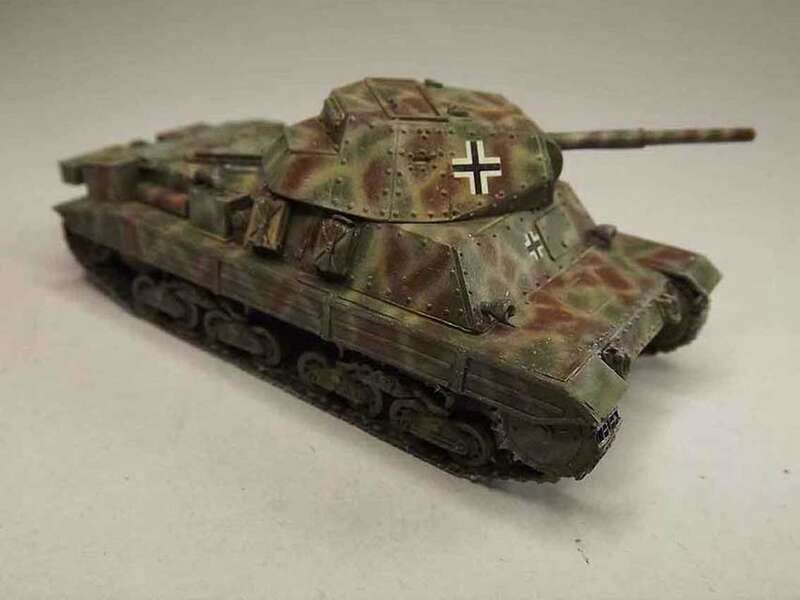 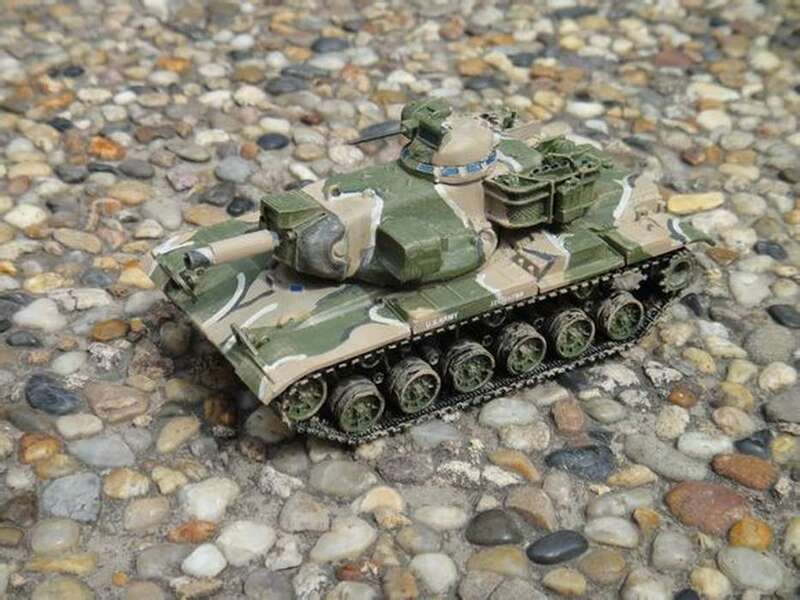 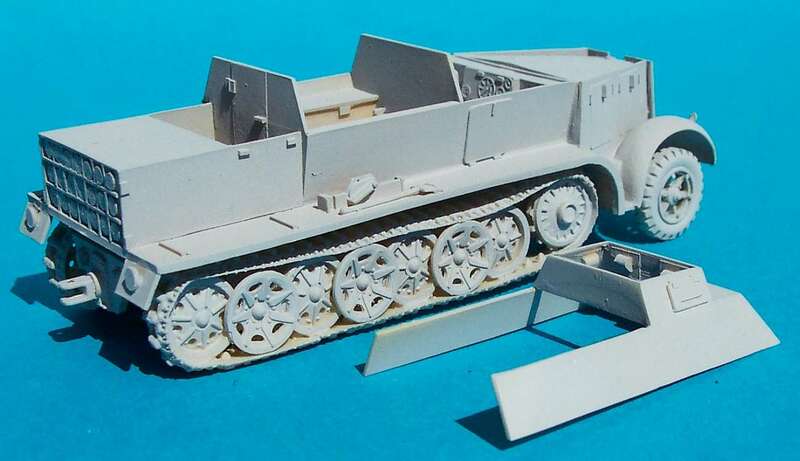 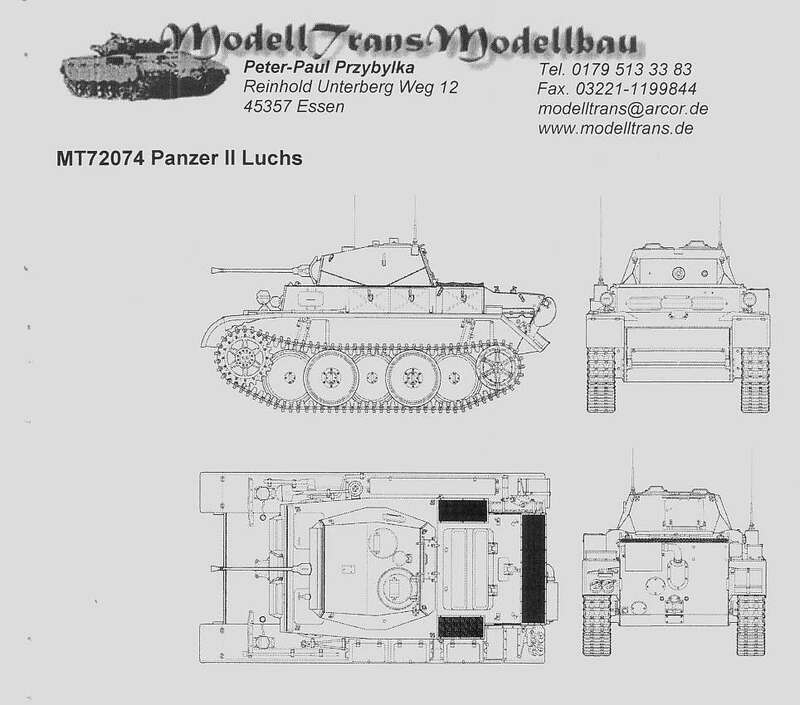 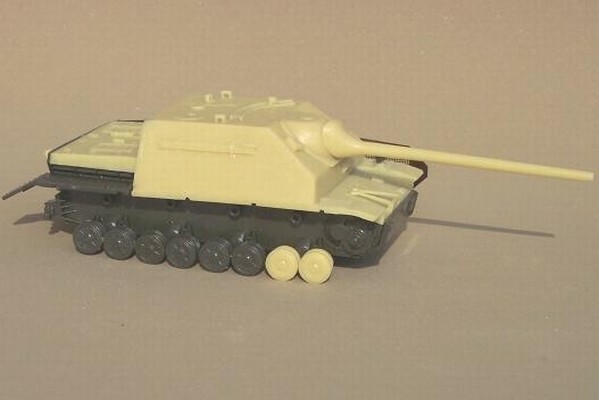 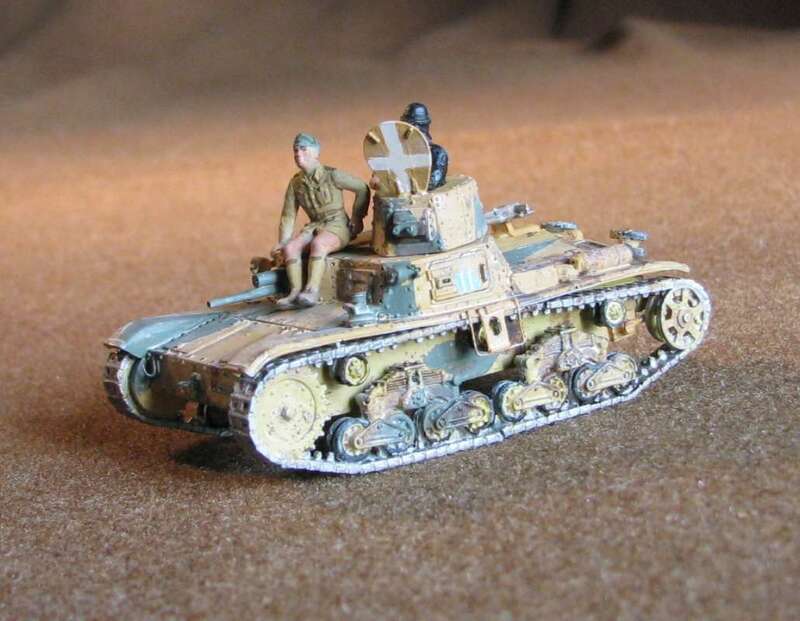 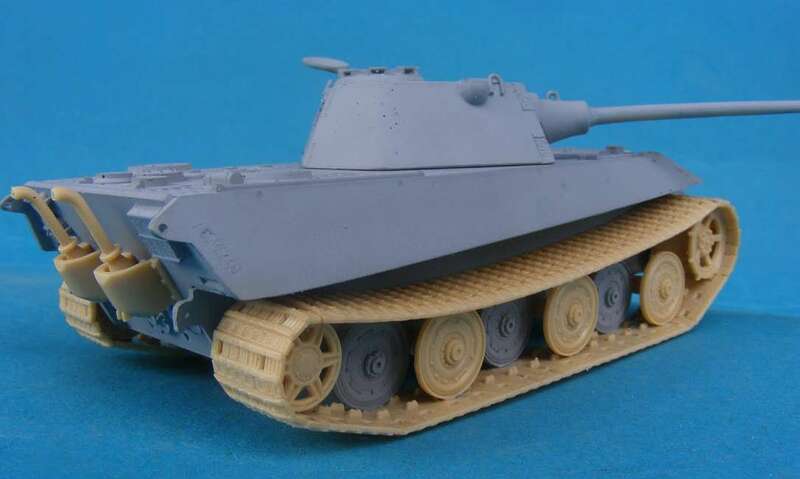 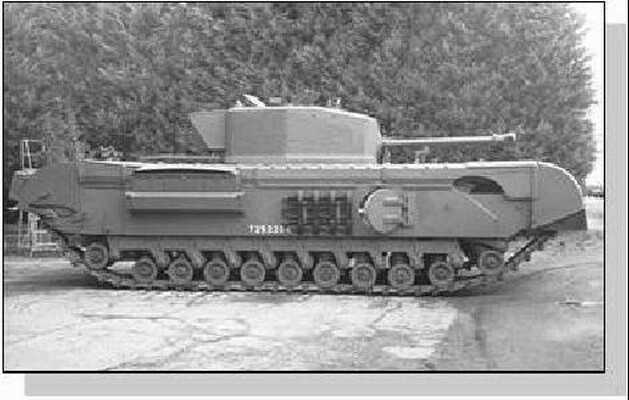 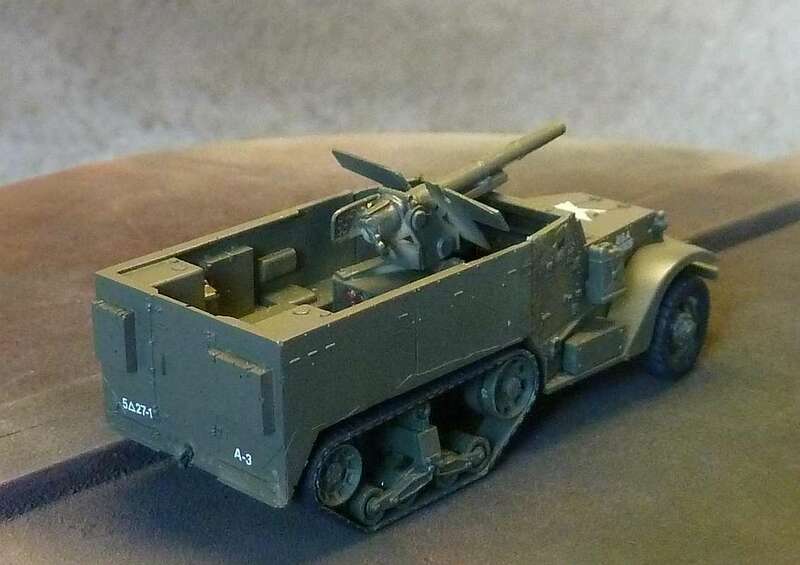 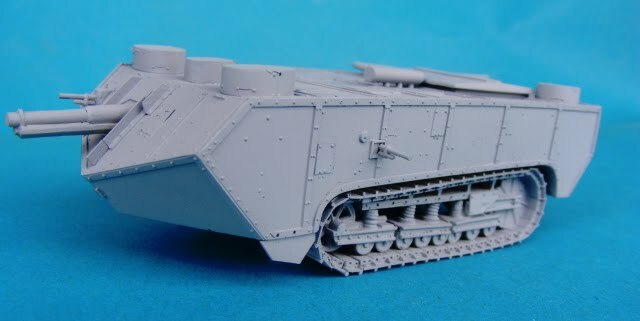 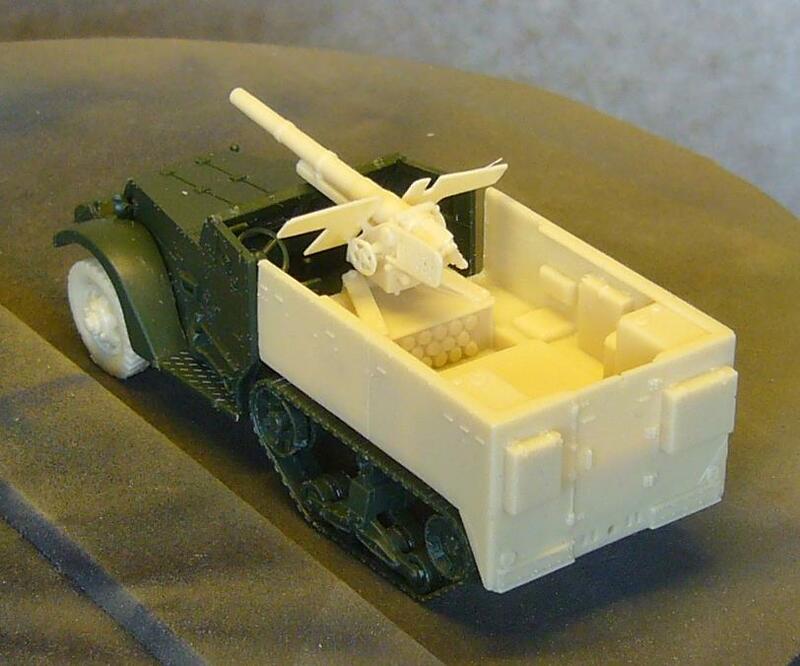 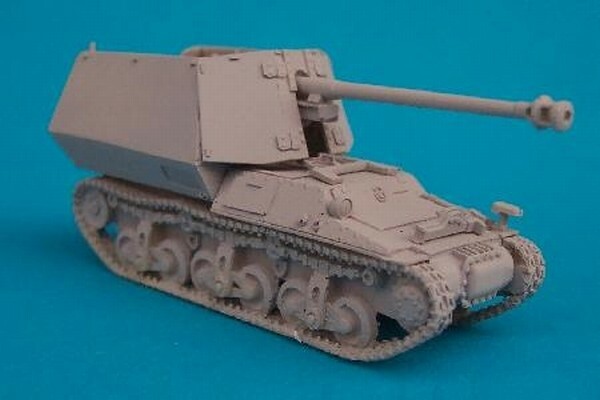 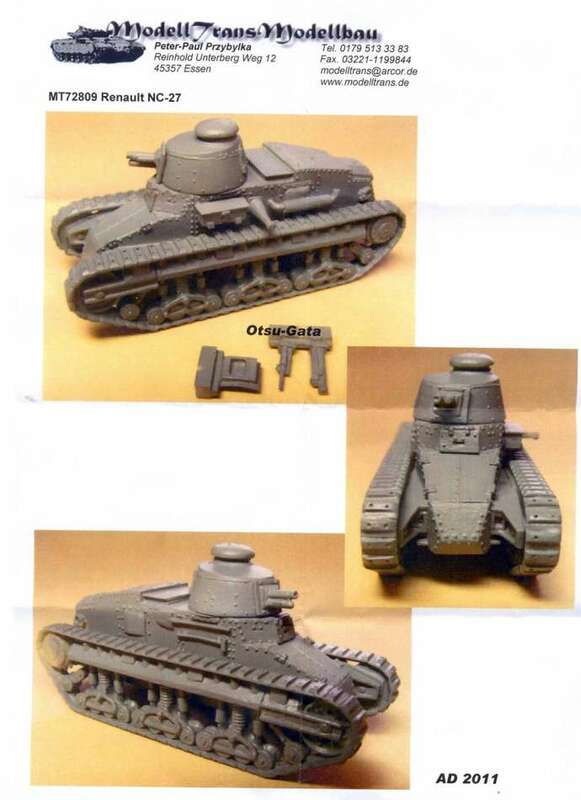 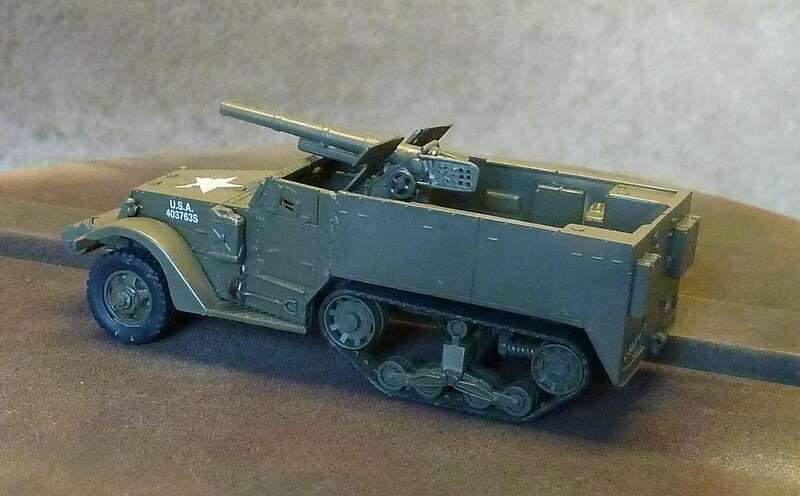 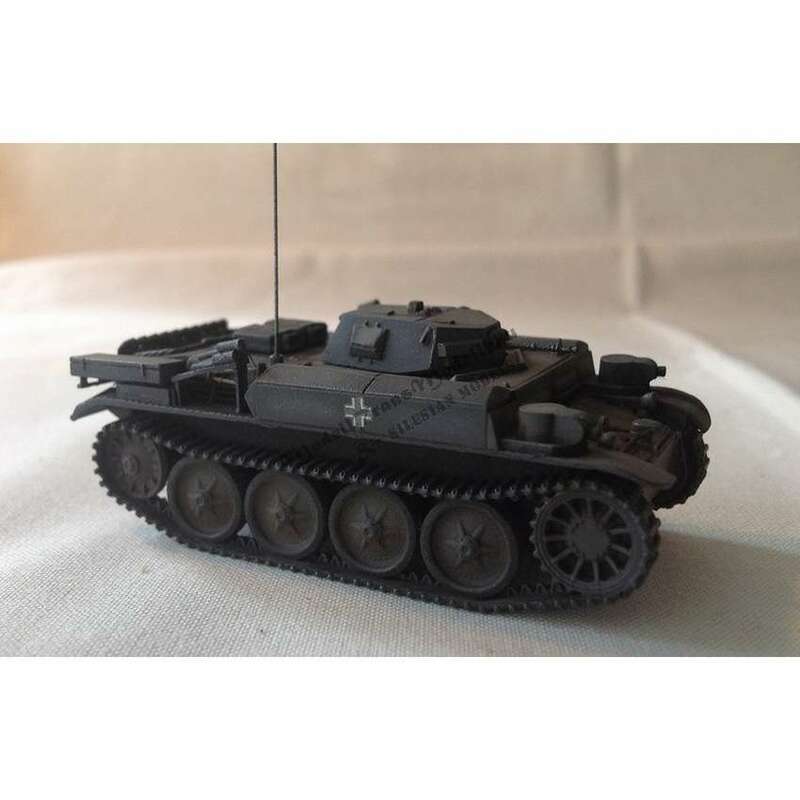 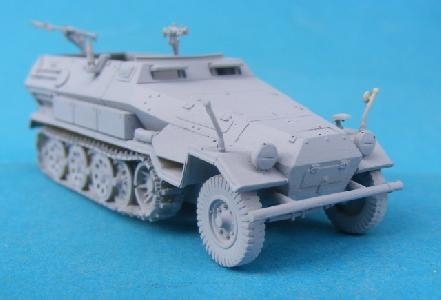 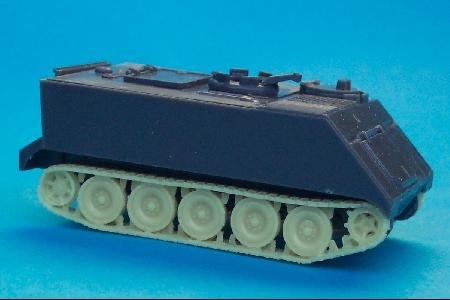 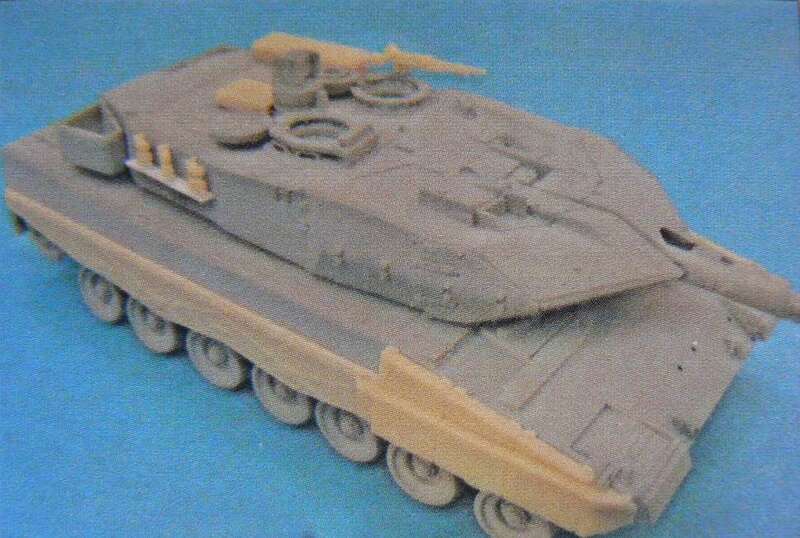 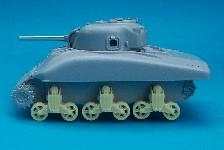 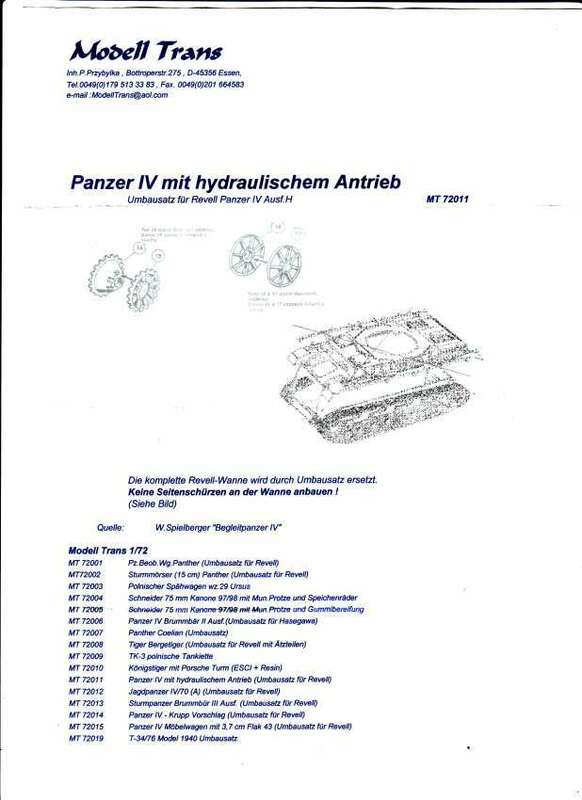 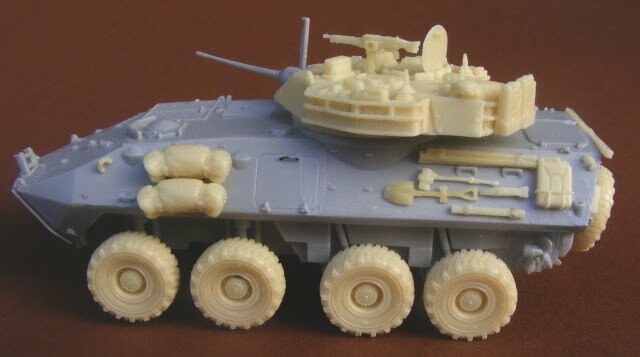 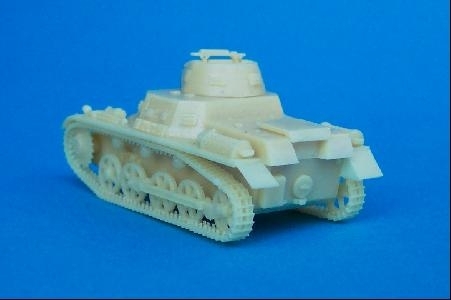 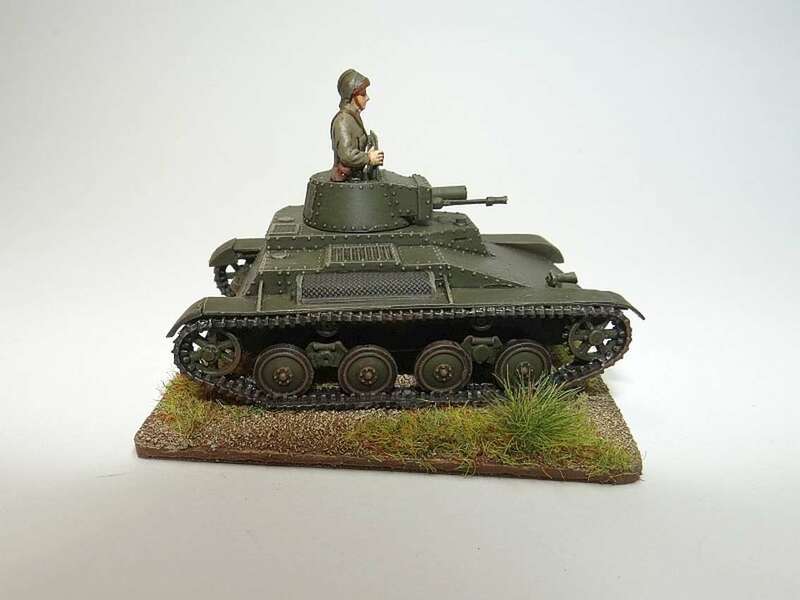 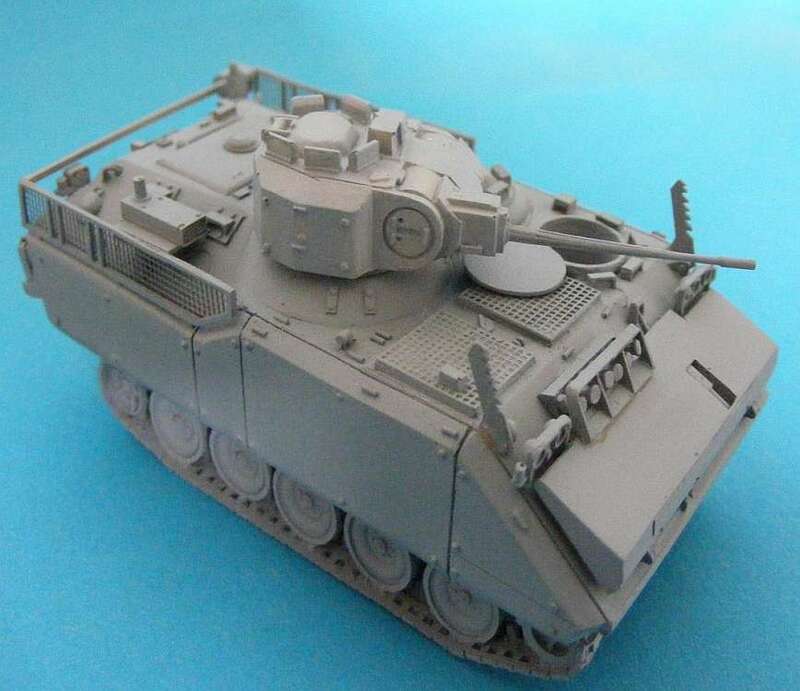 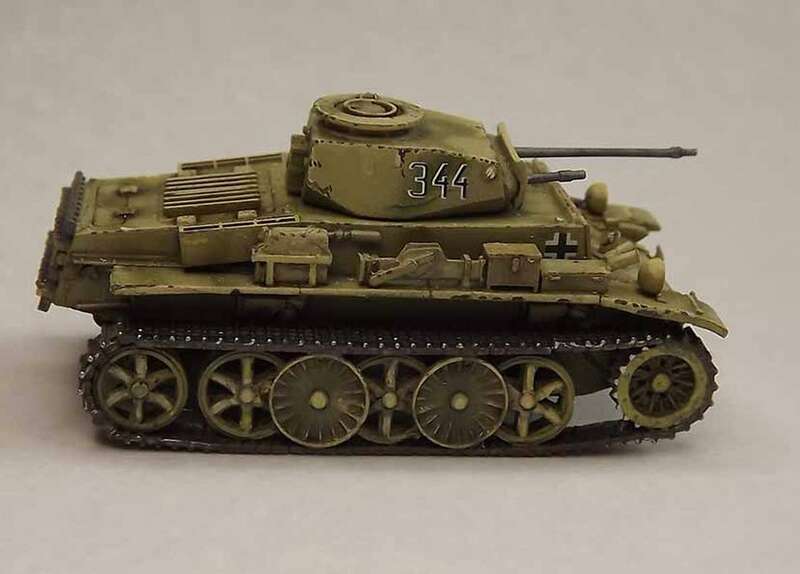 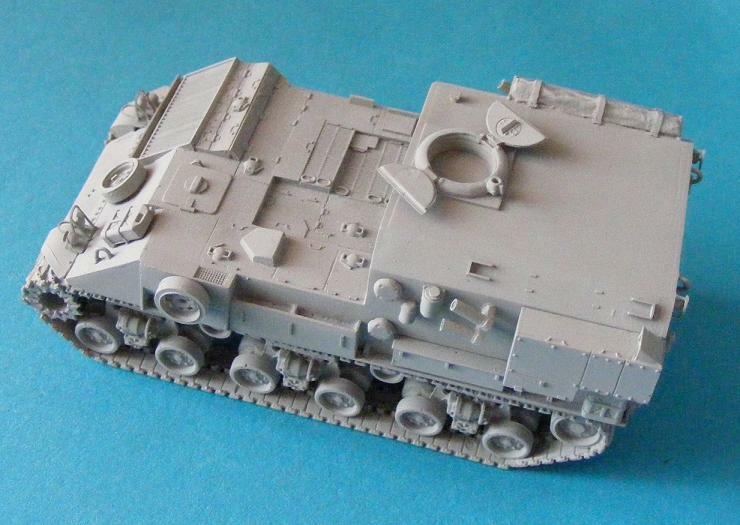 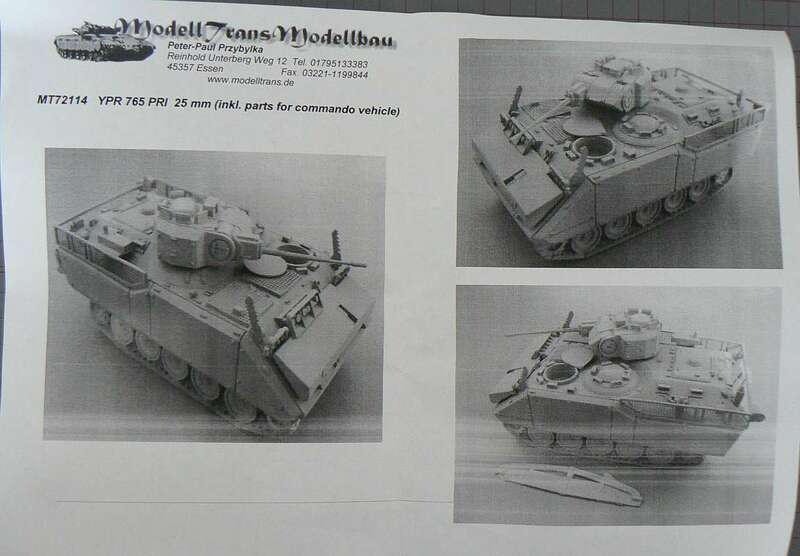 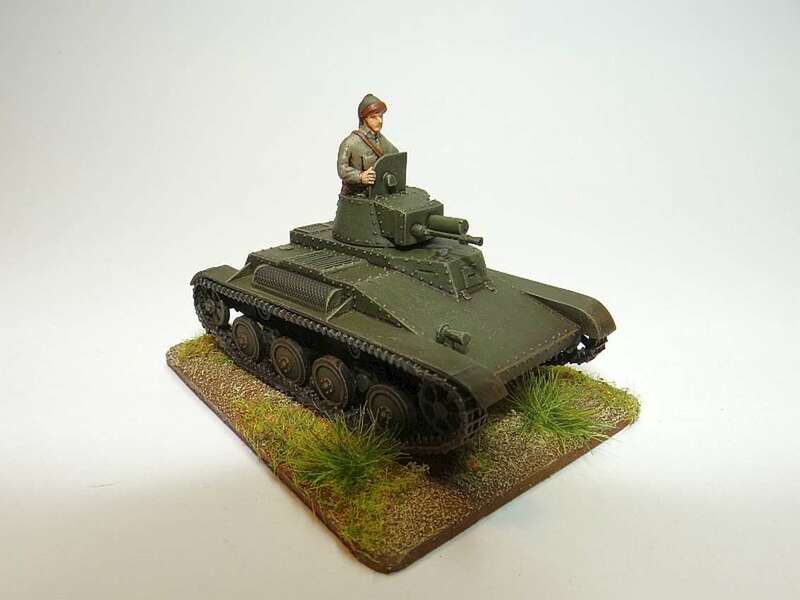 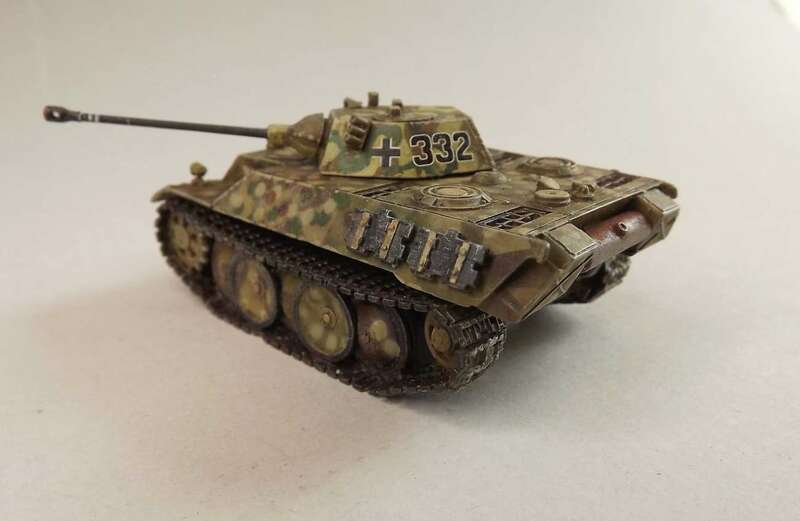 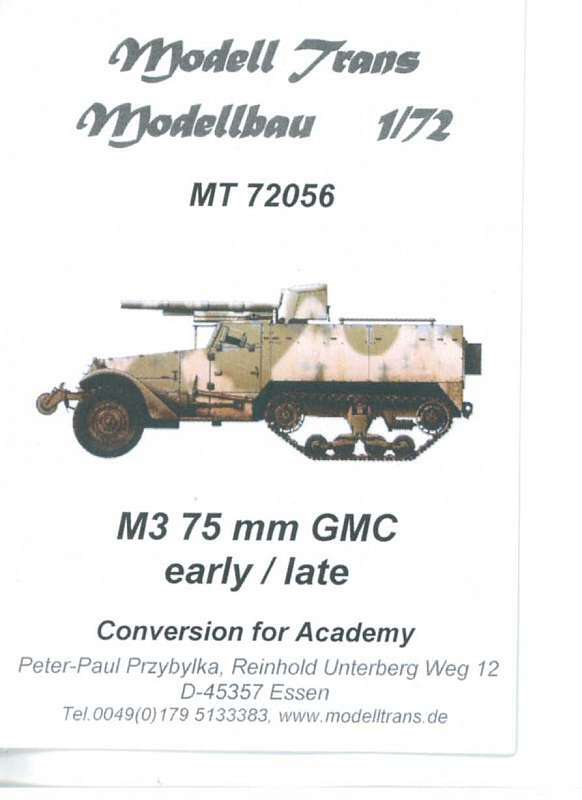 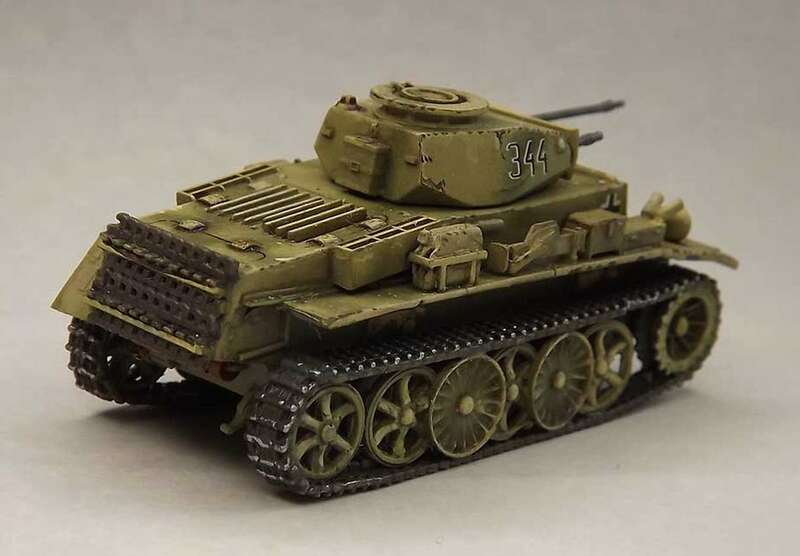 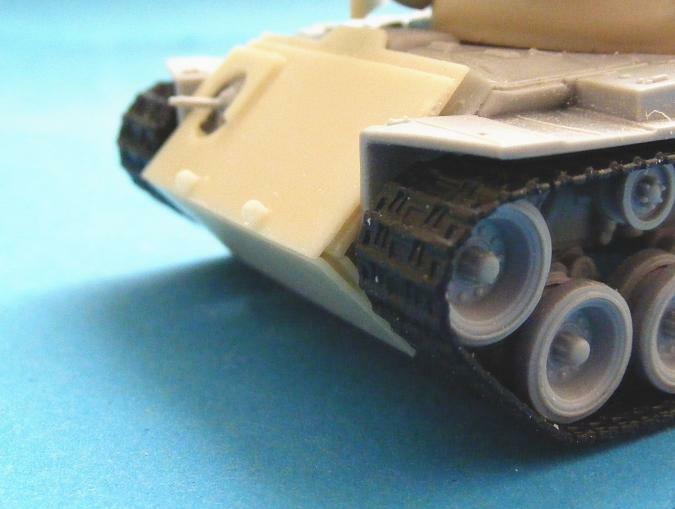 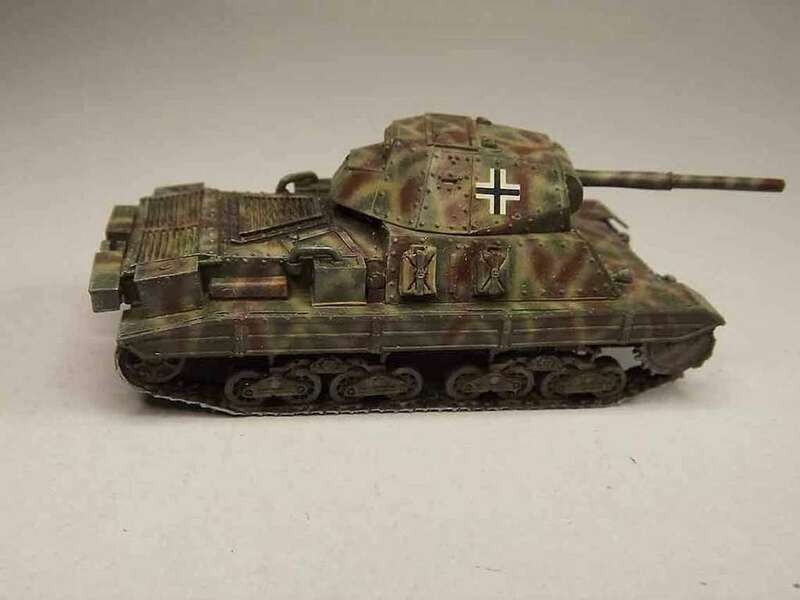 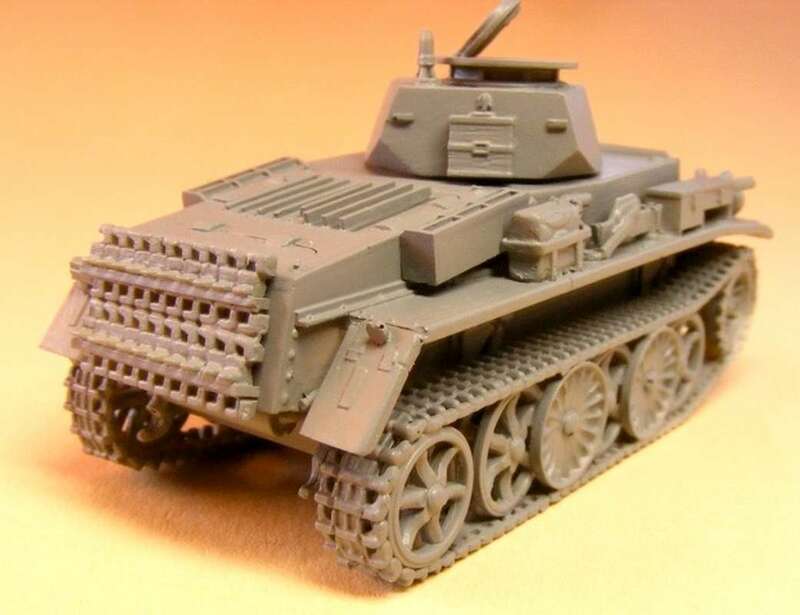 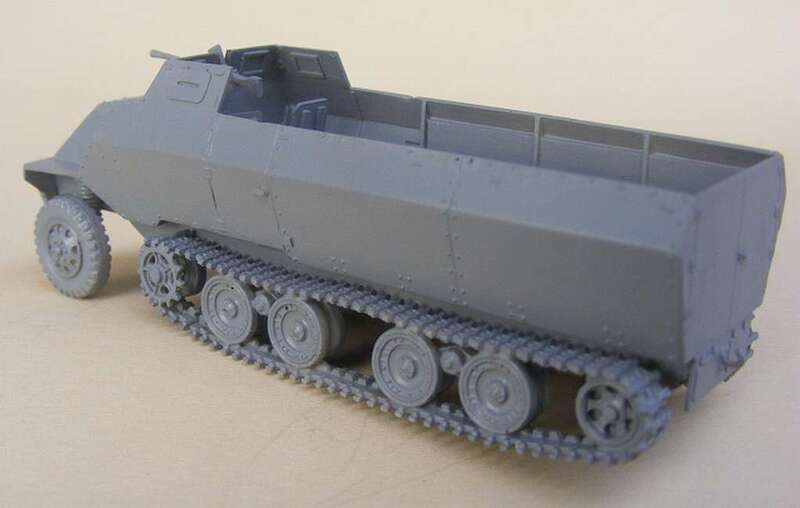 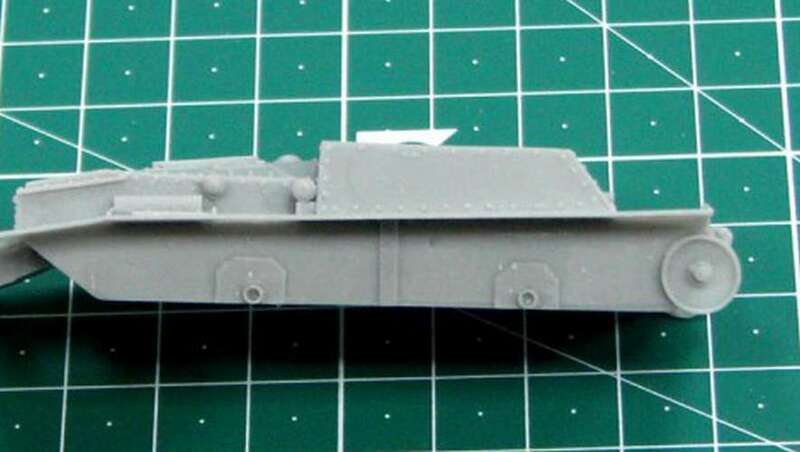 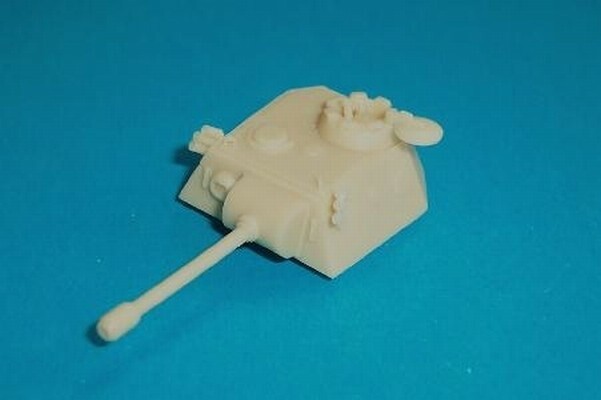 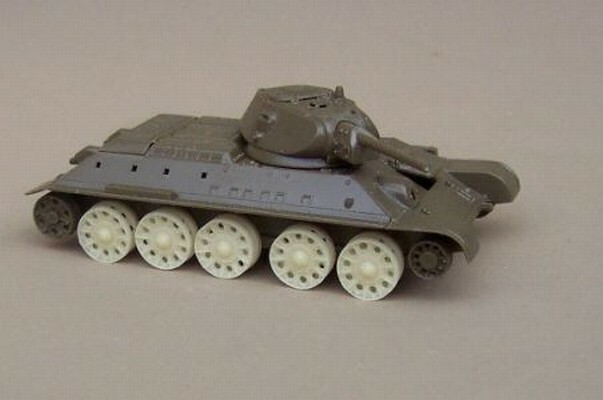 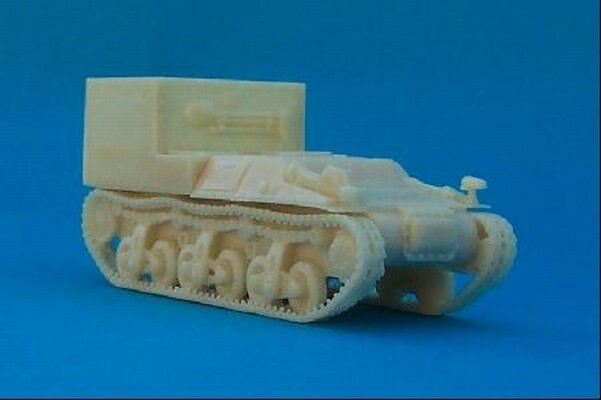 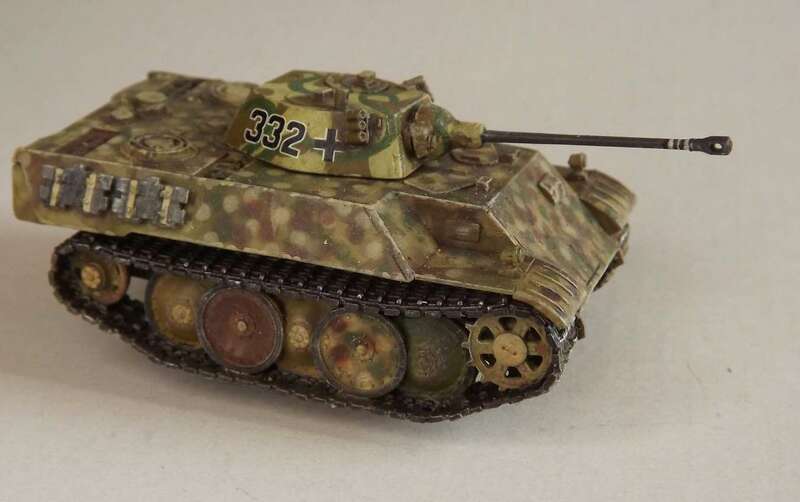 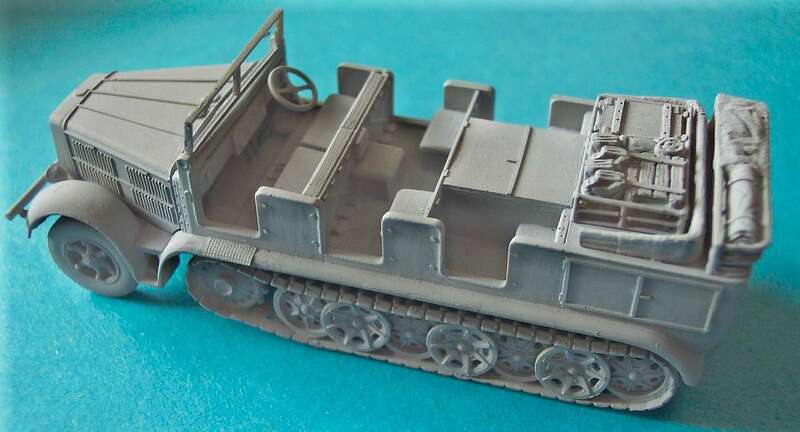 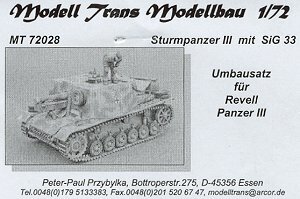 Umbausatz für M4A3 (105 mm ) HVSS von Dragon. 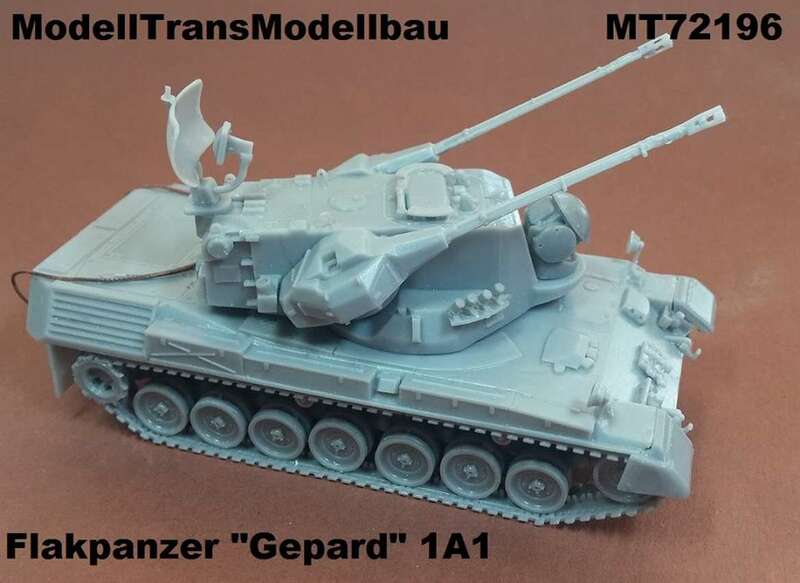 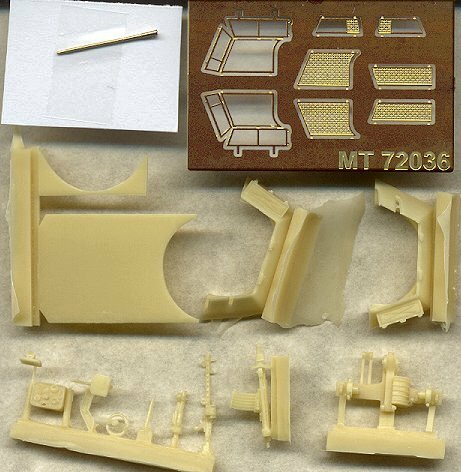 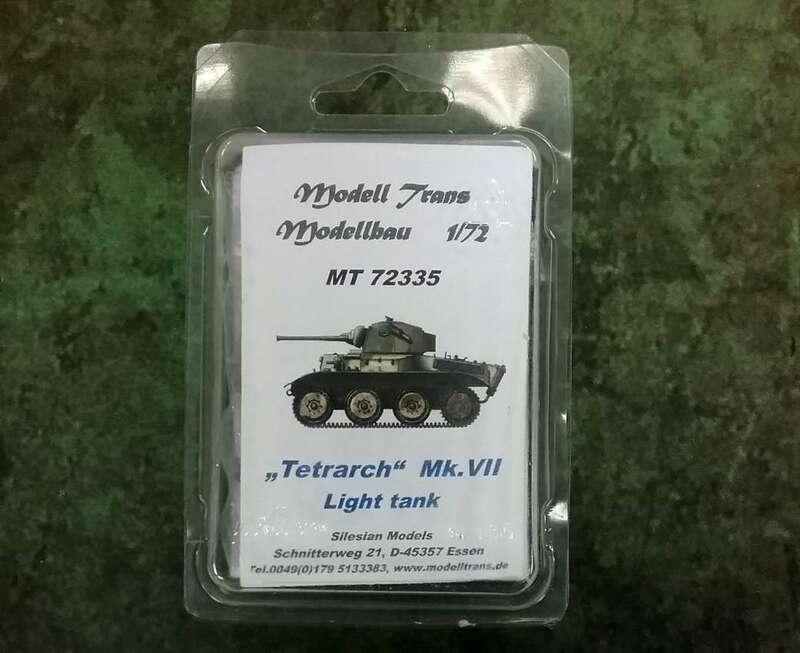 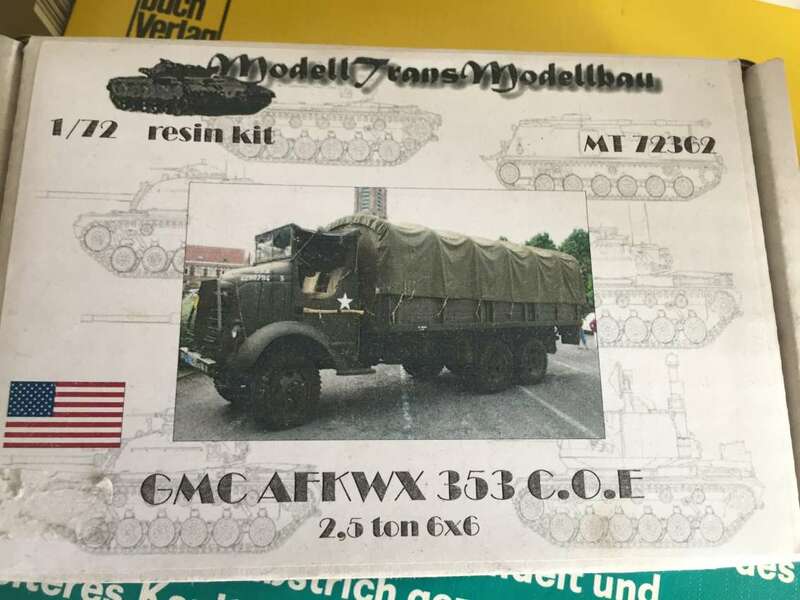 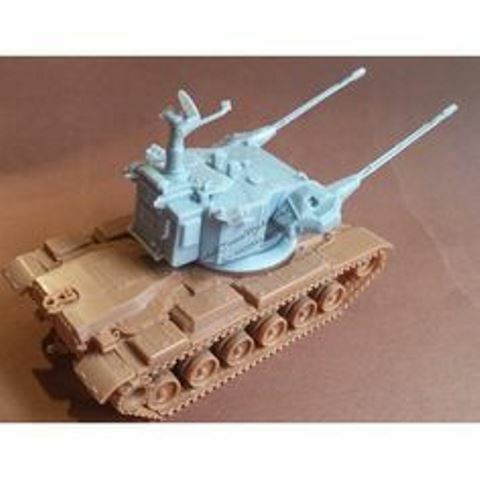 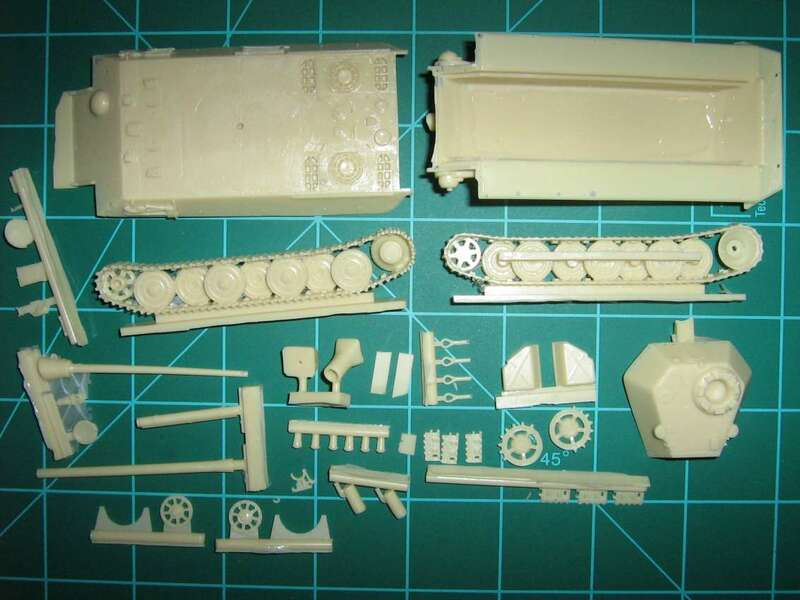 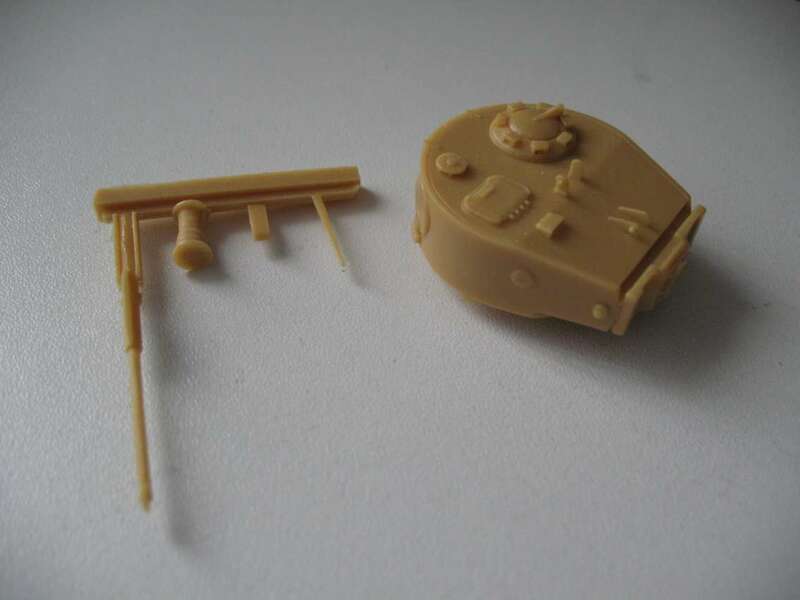 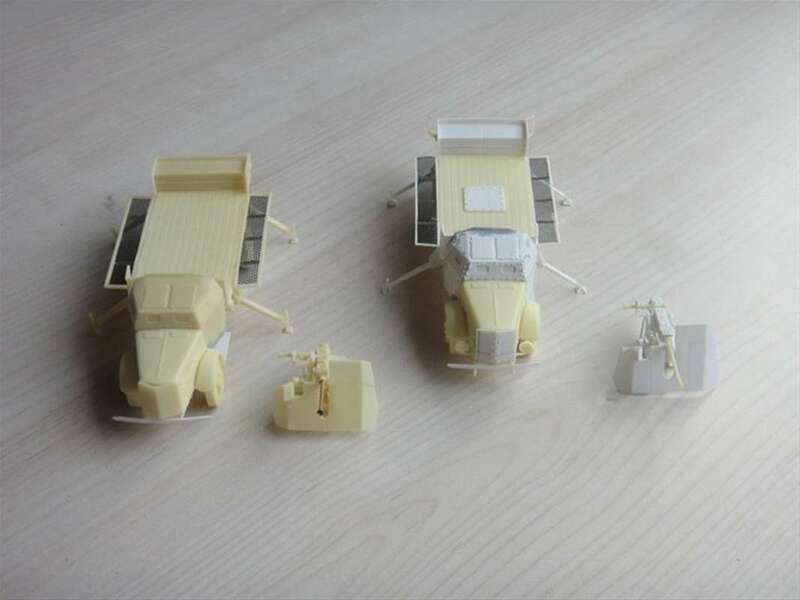 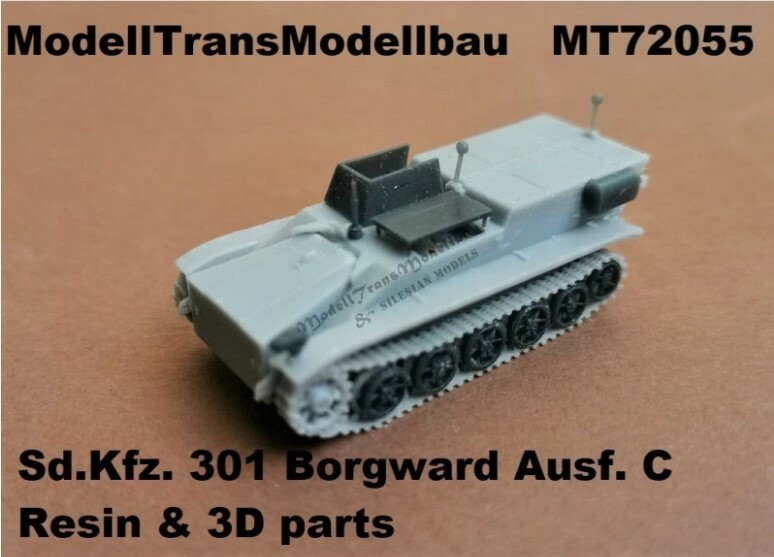 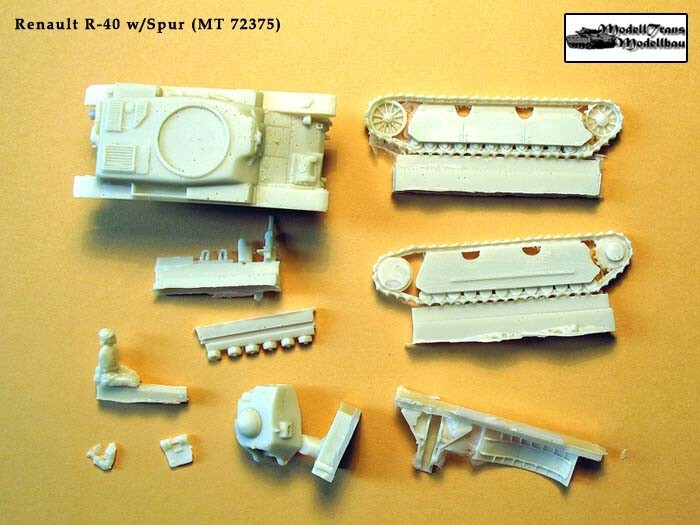 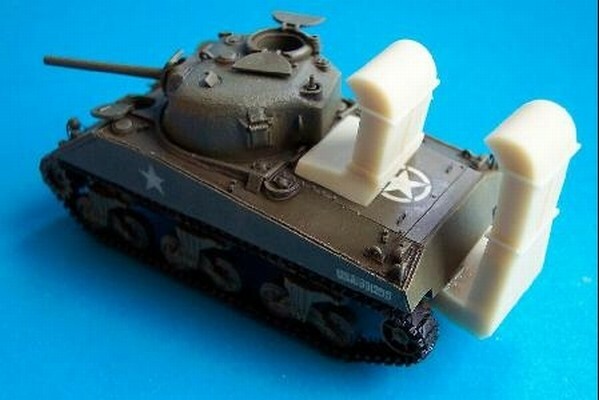 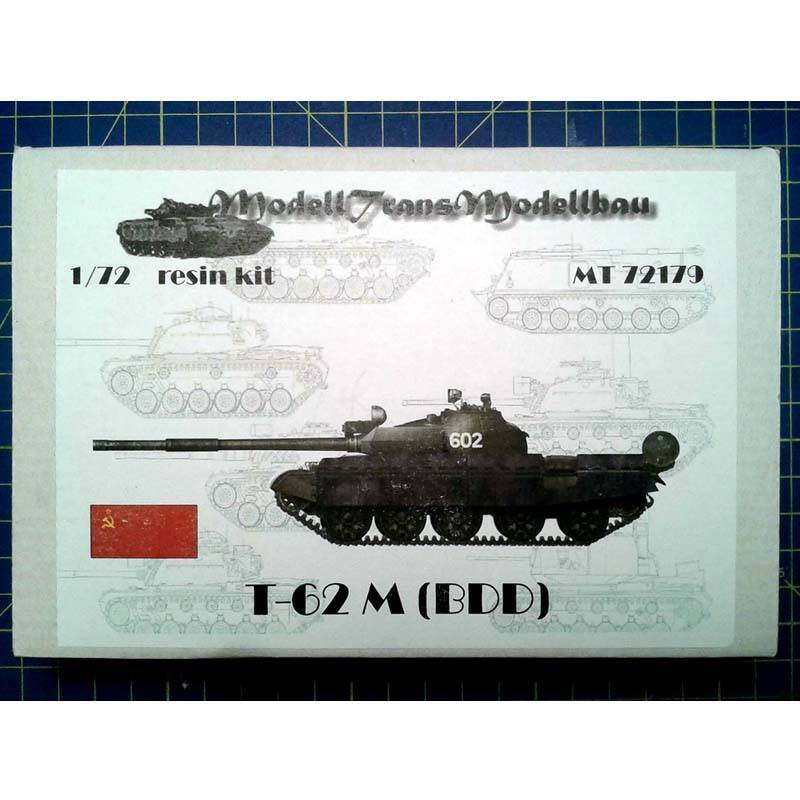 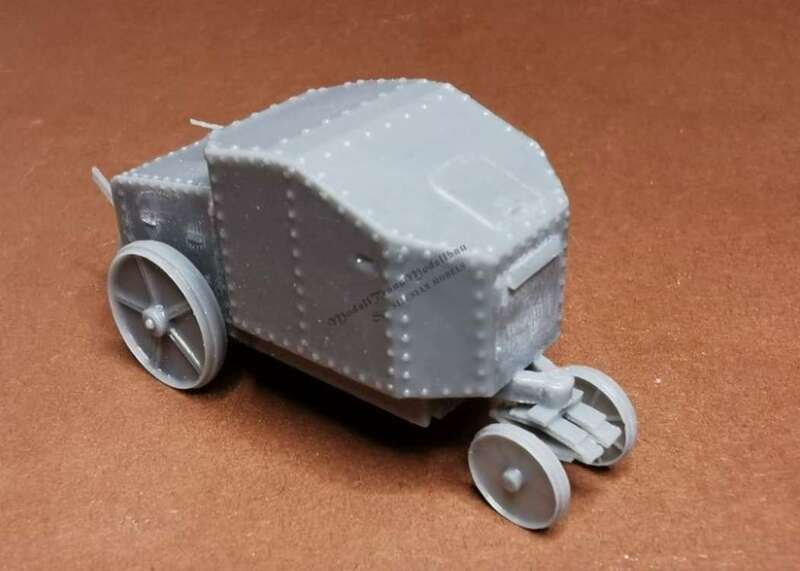 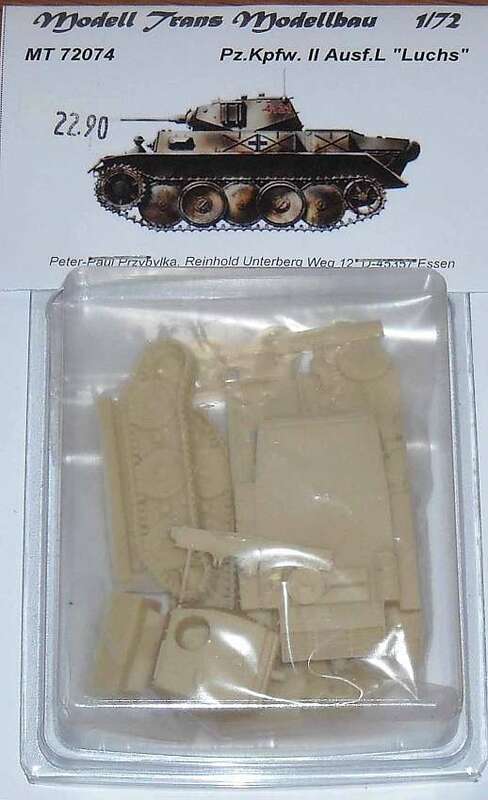 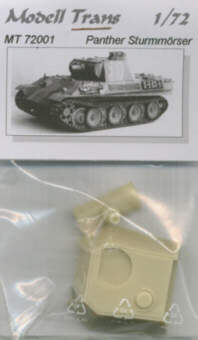 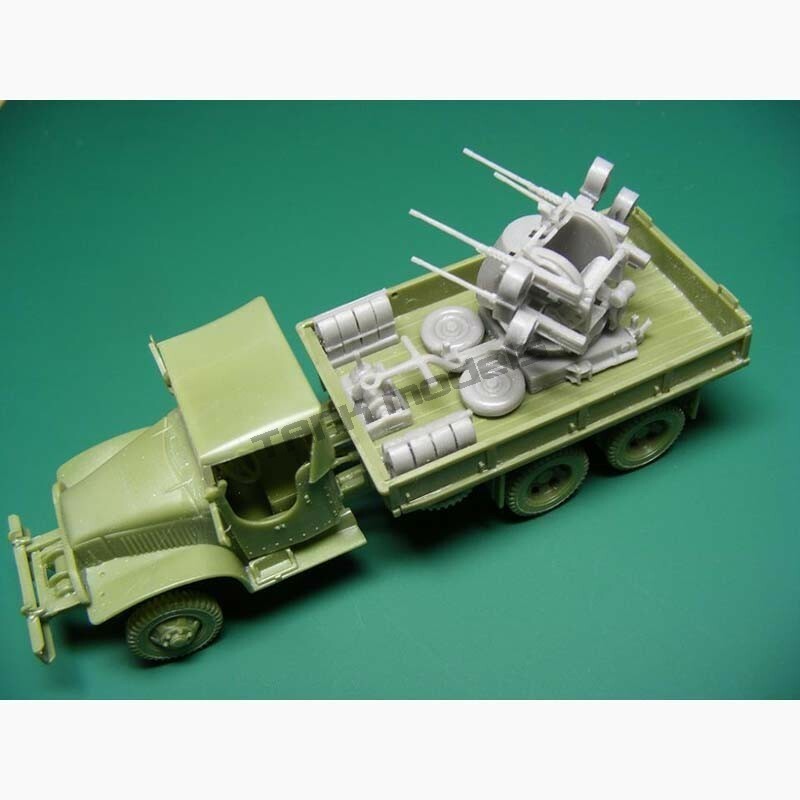 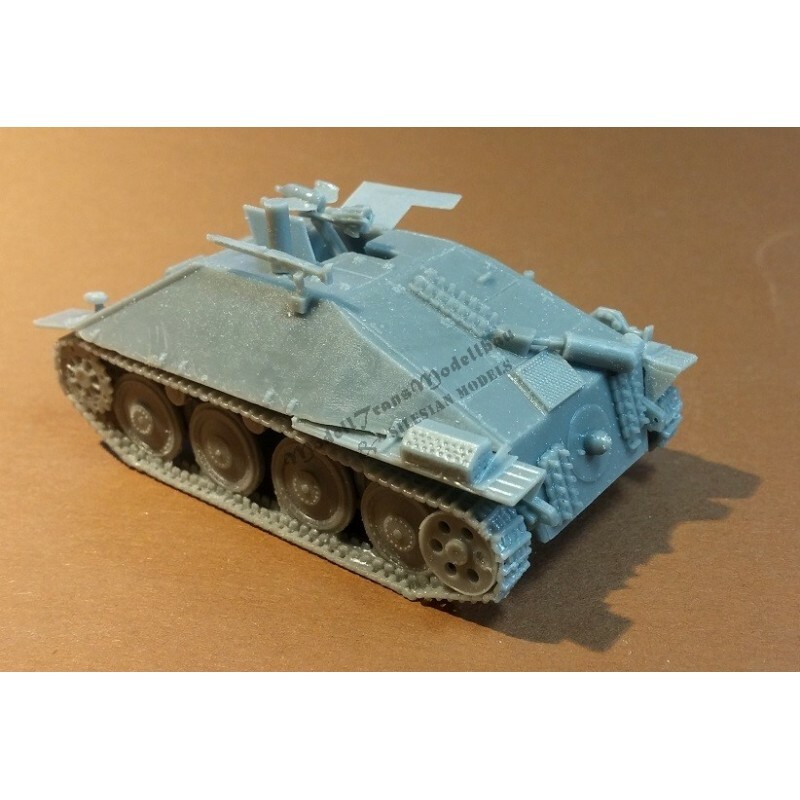 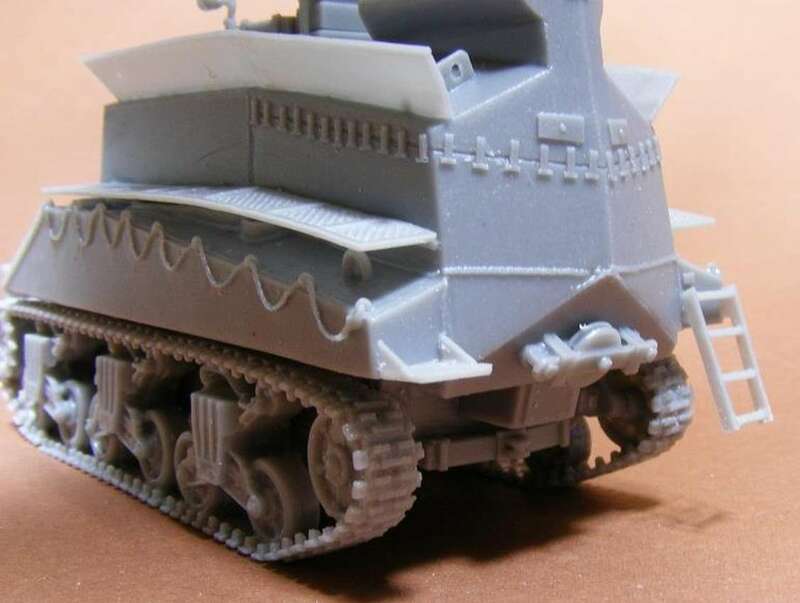 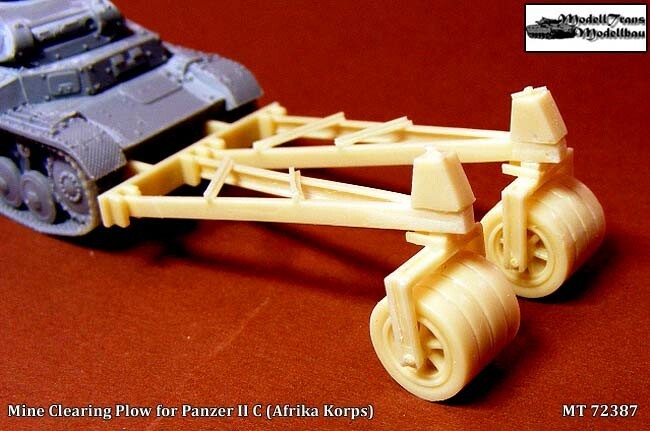 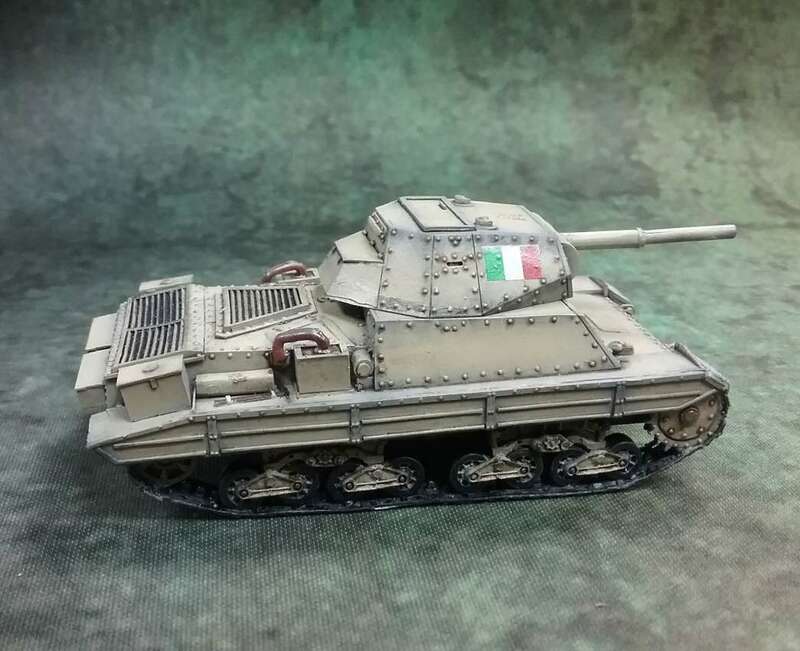 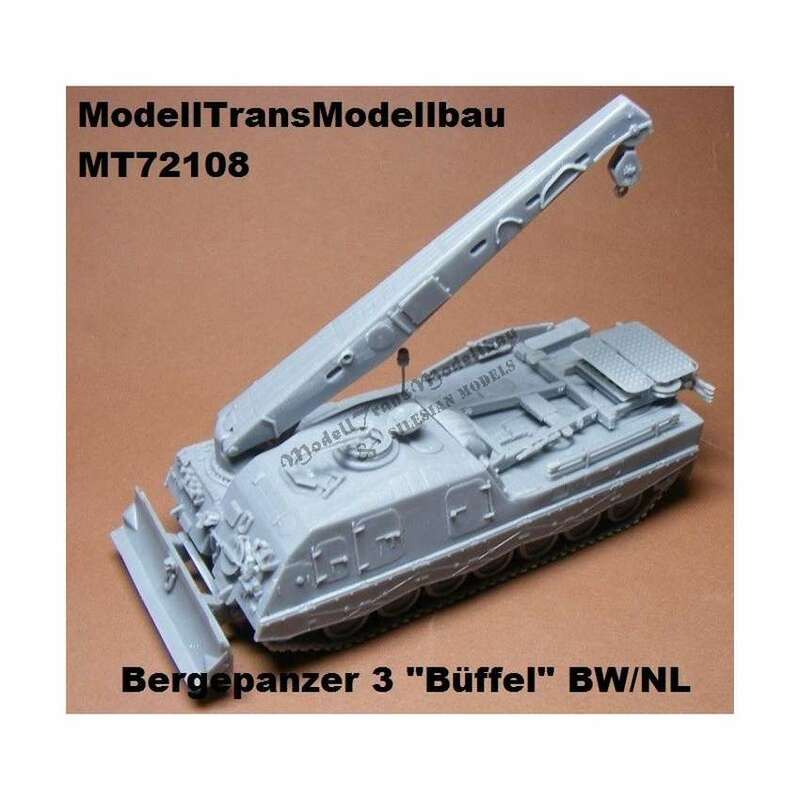 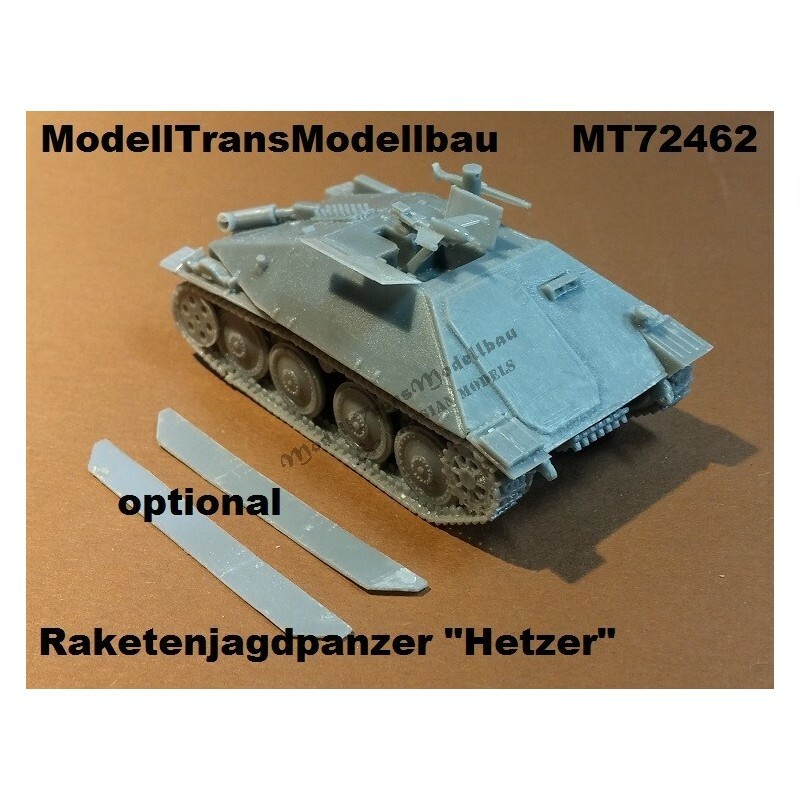 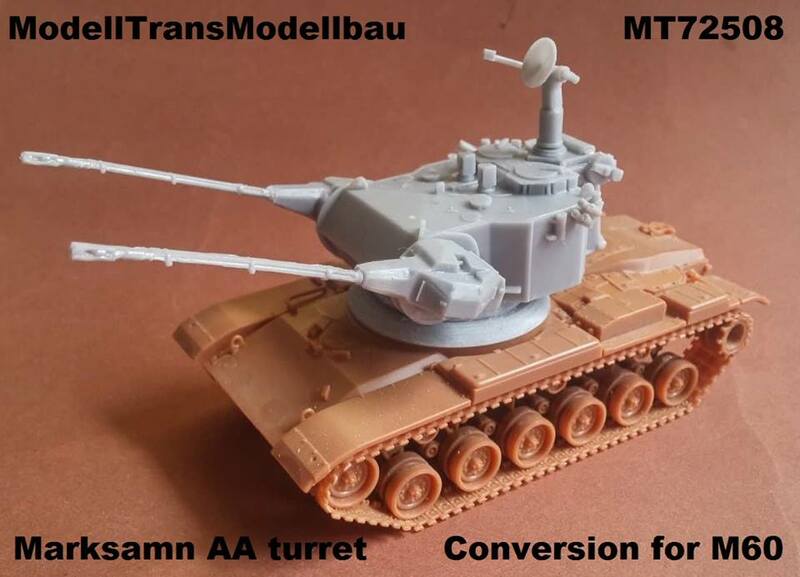 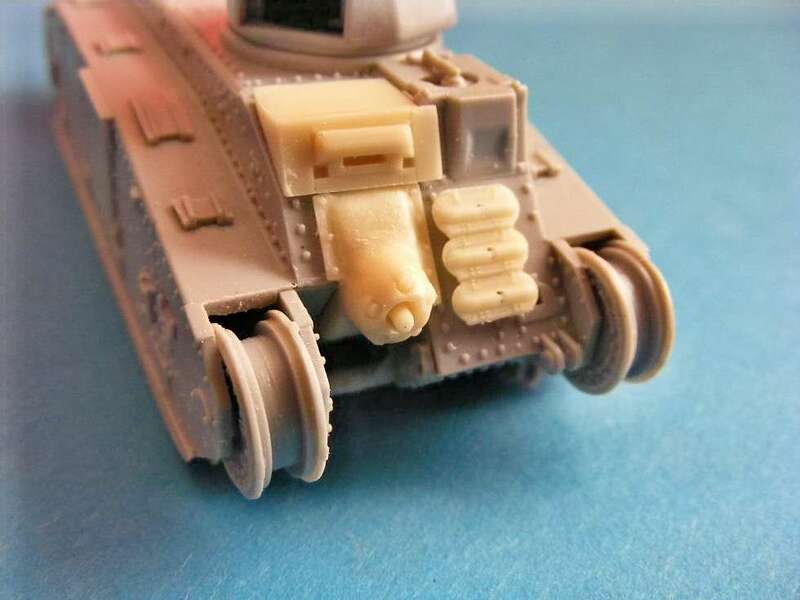 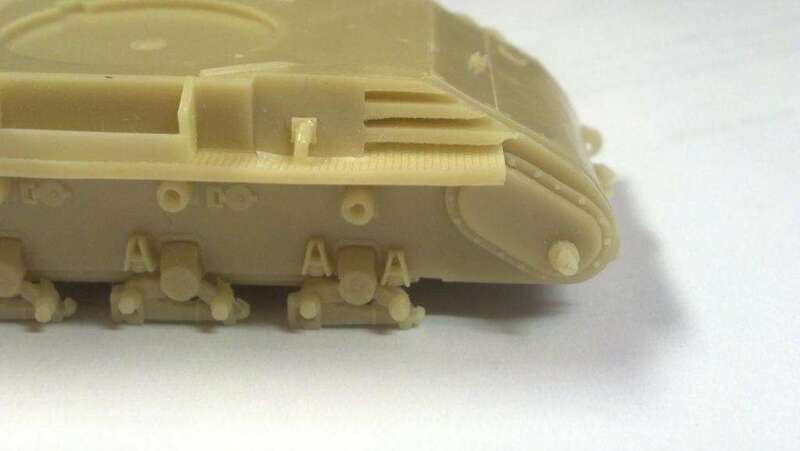 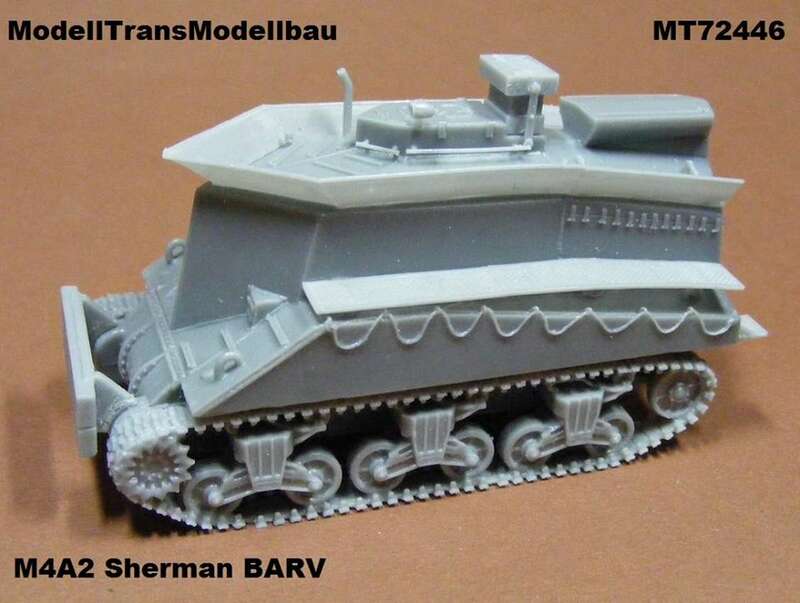 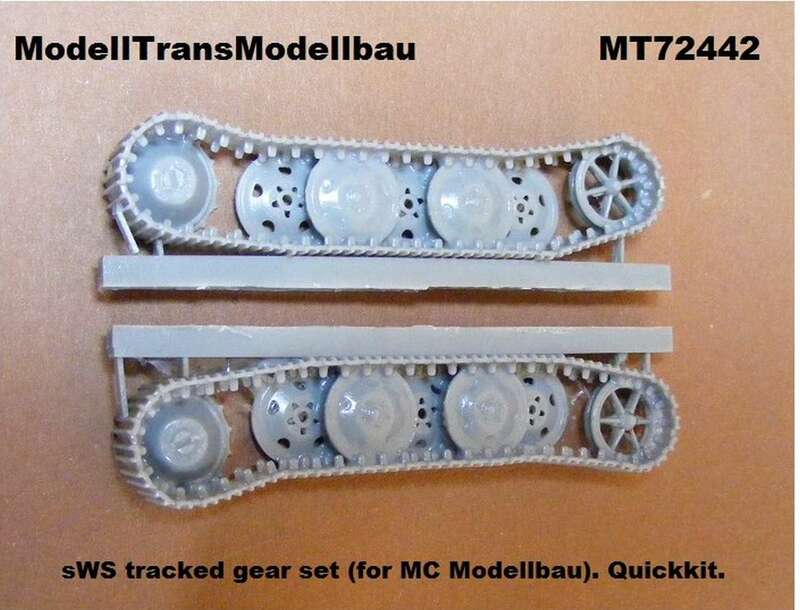 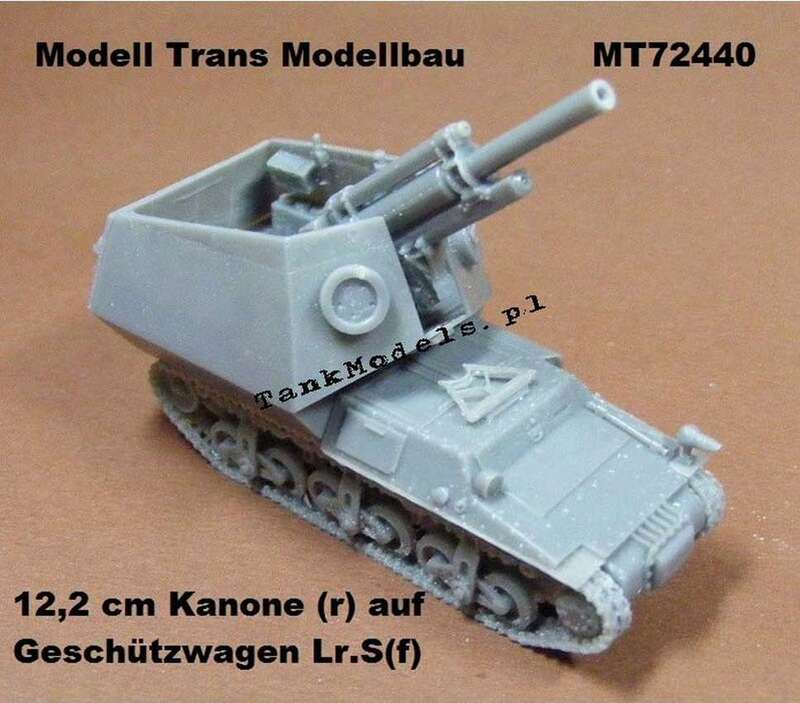 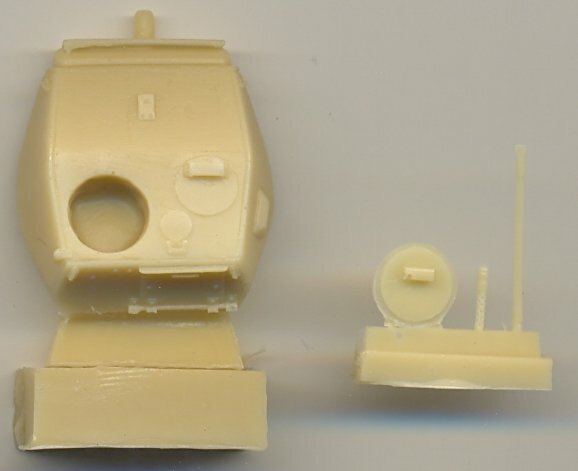 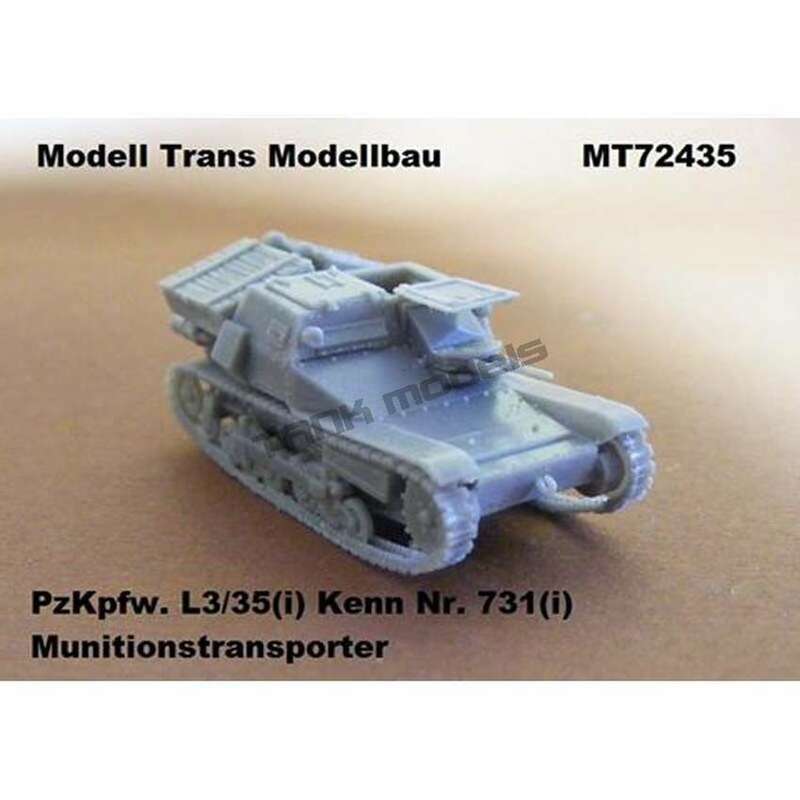 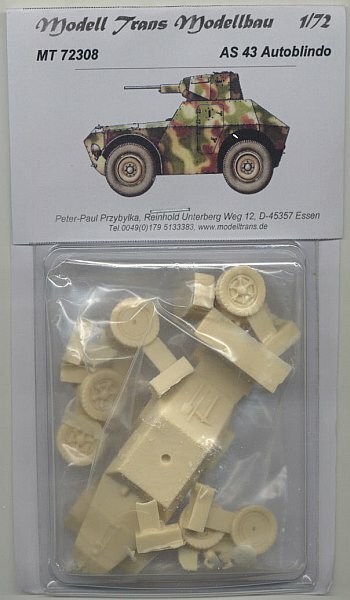 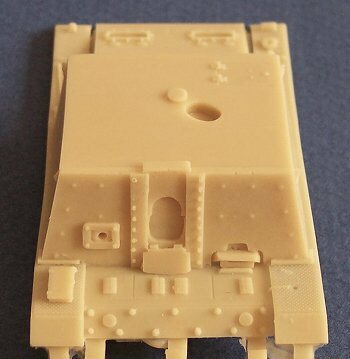 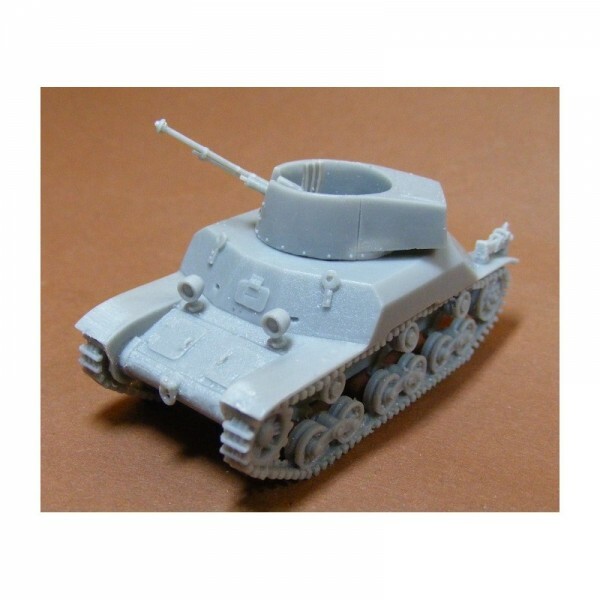 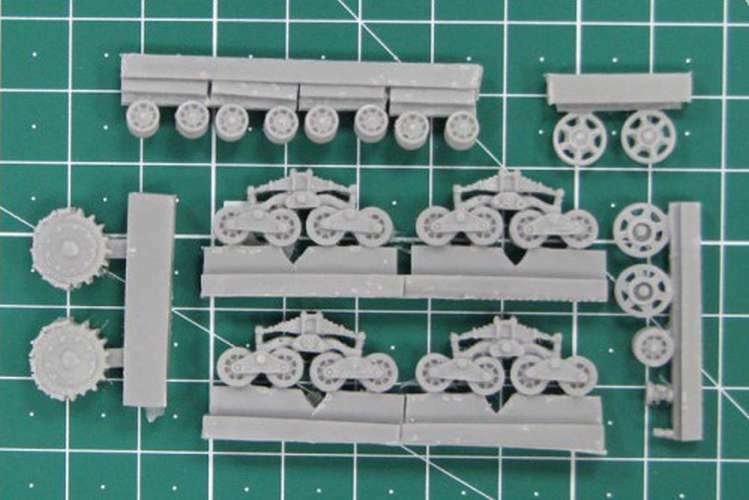 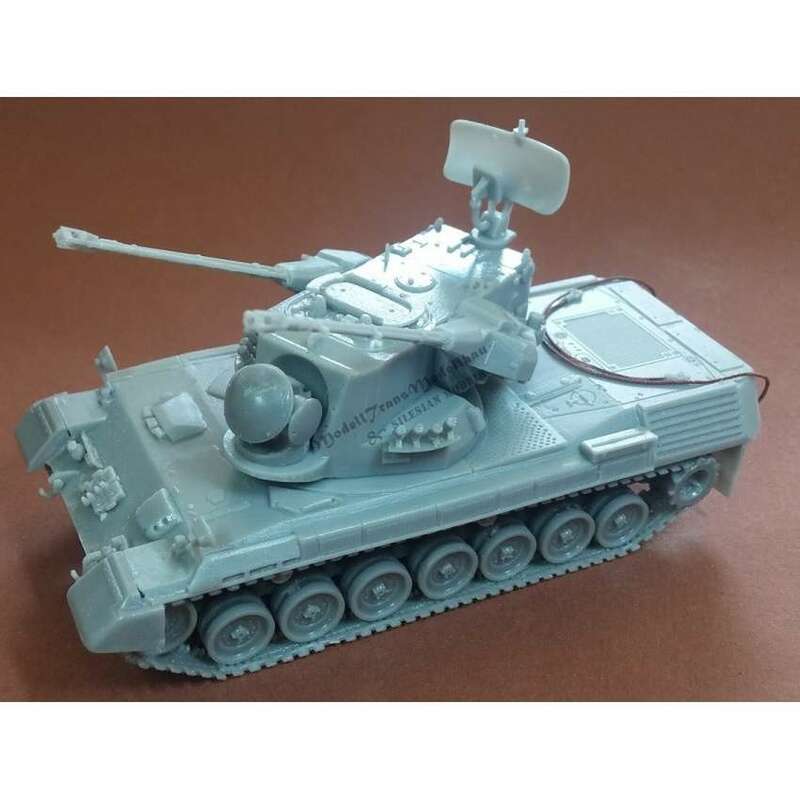 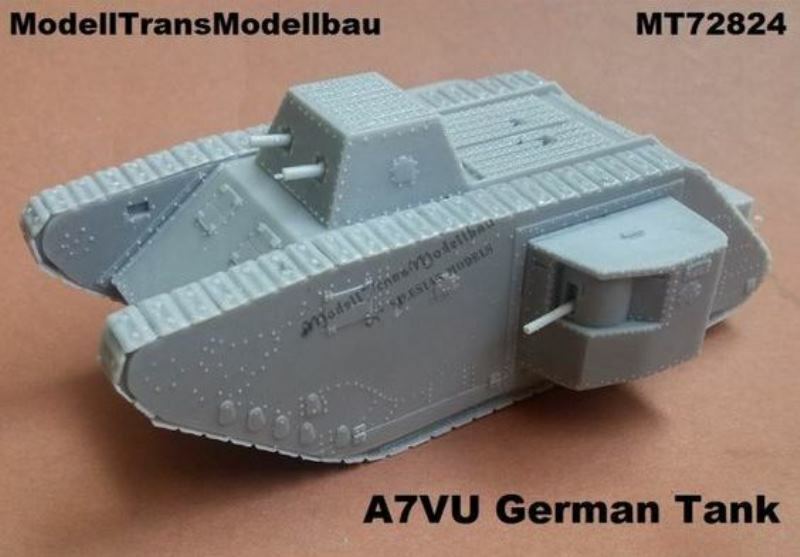 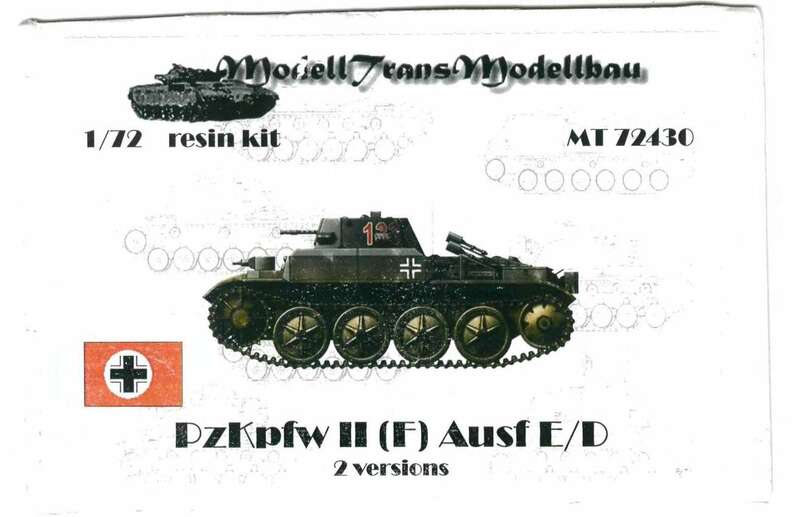 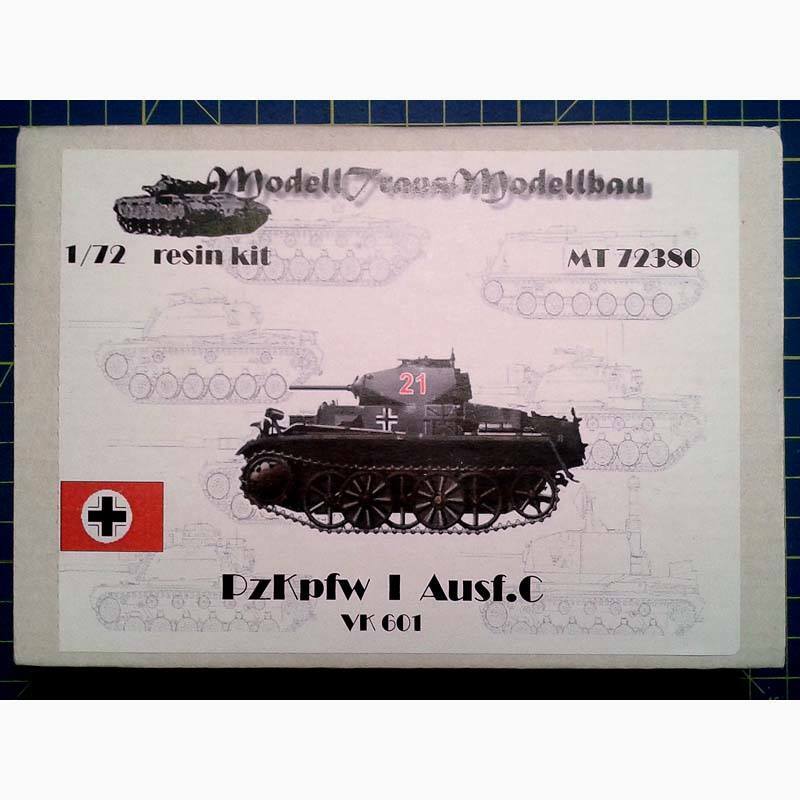 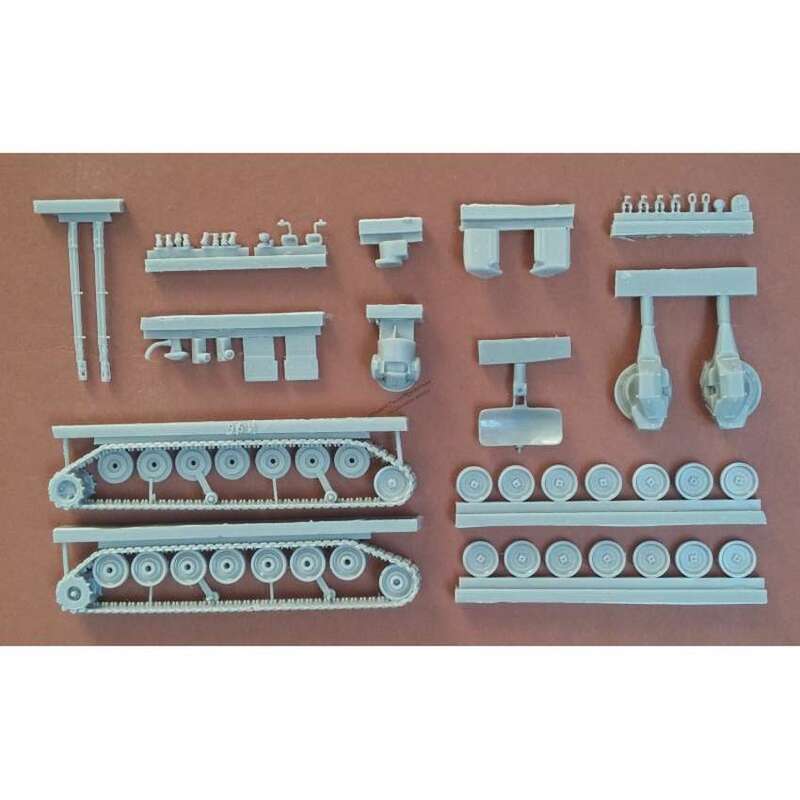 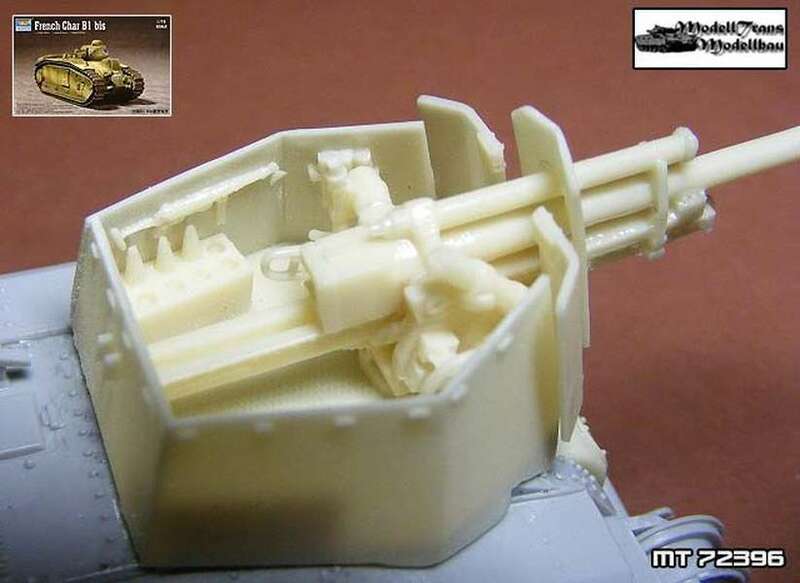 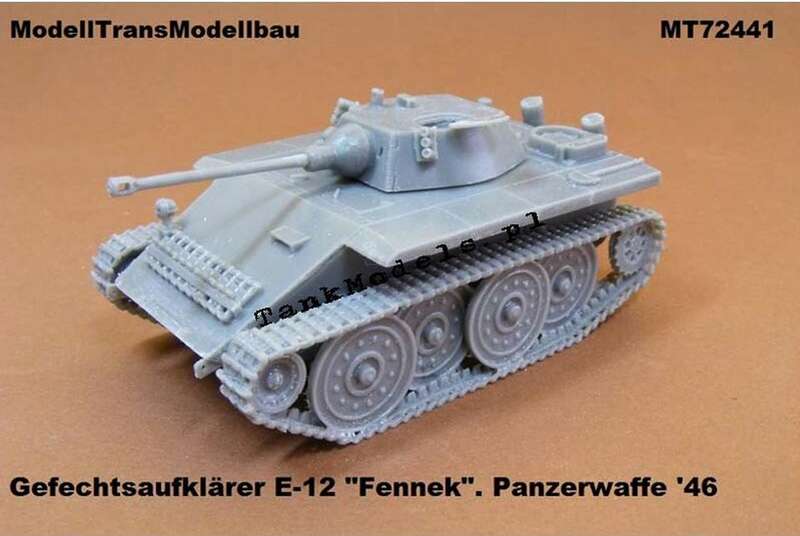 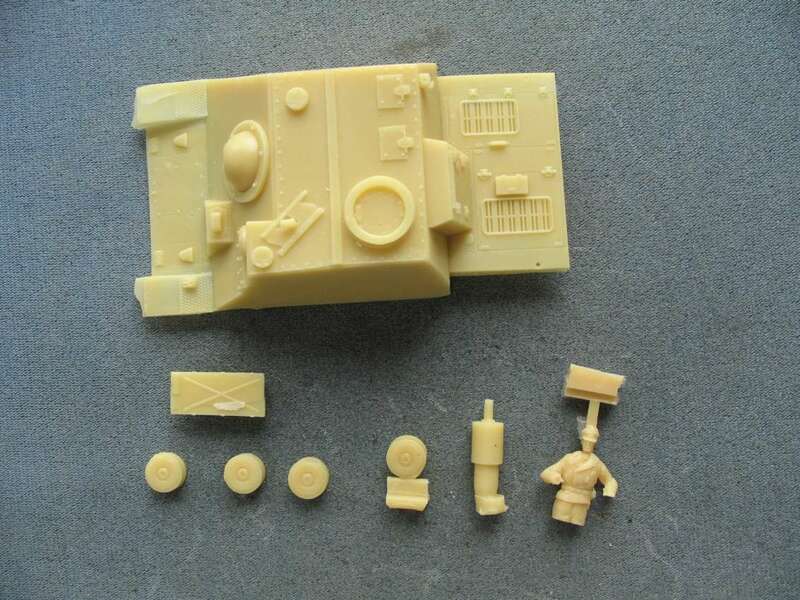 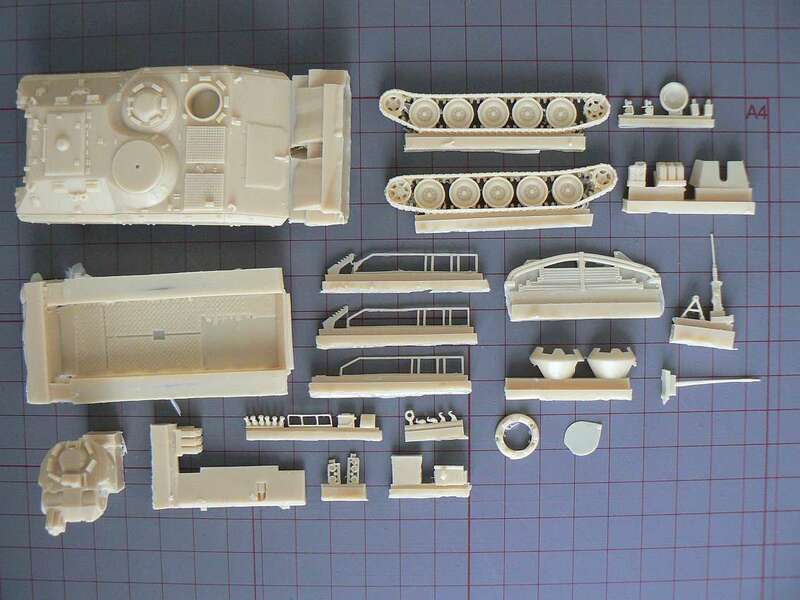 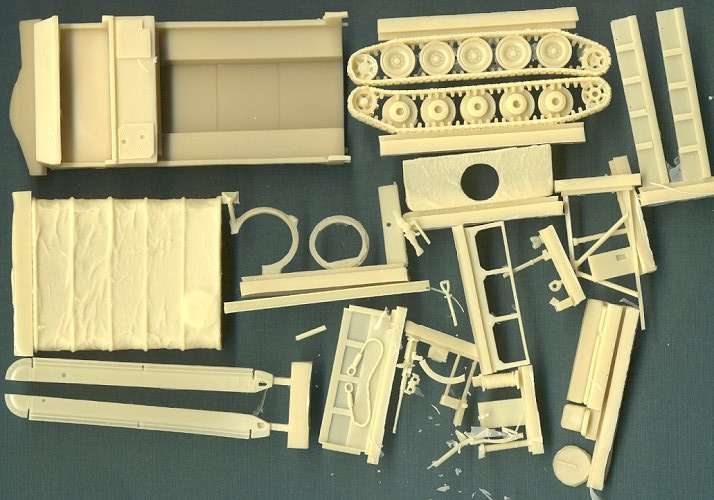 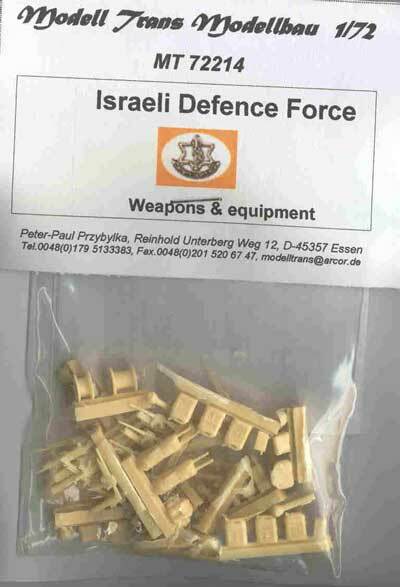 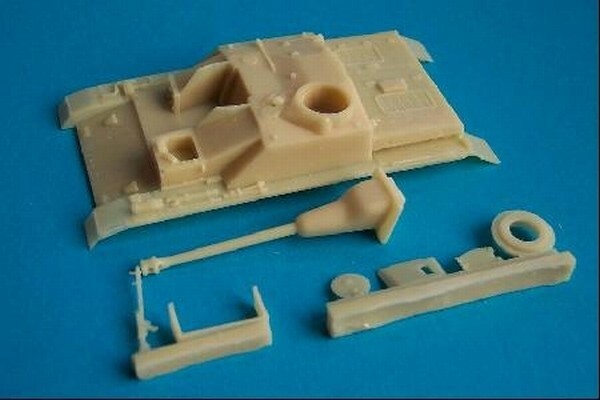 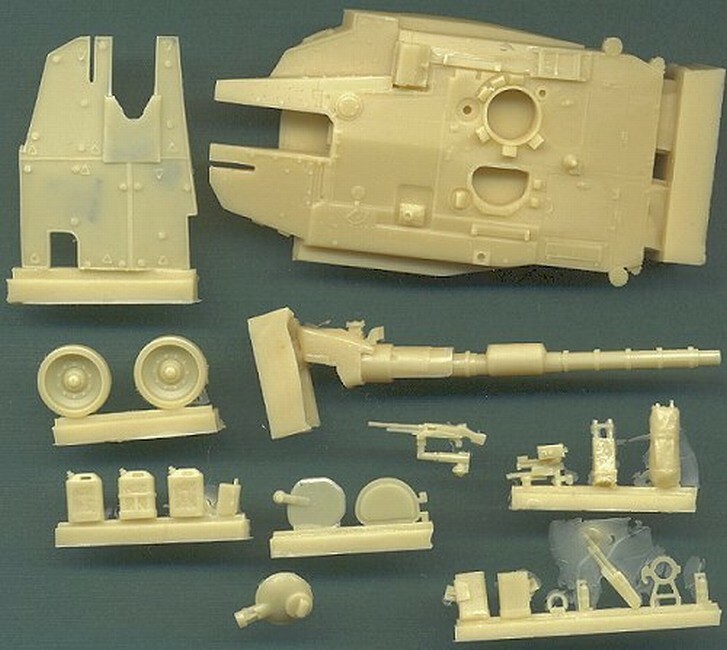 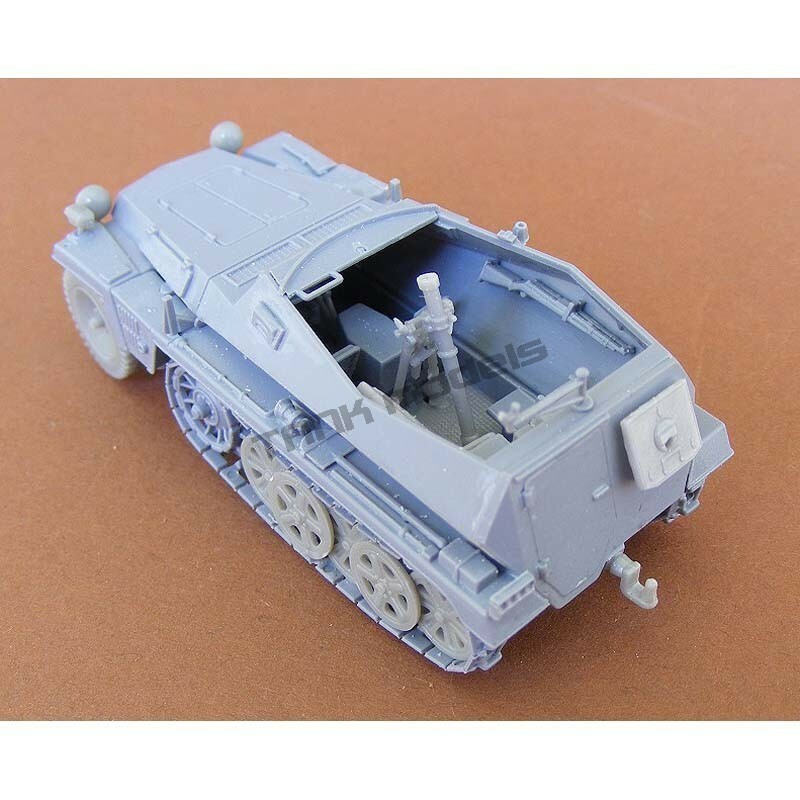 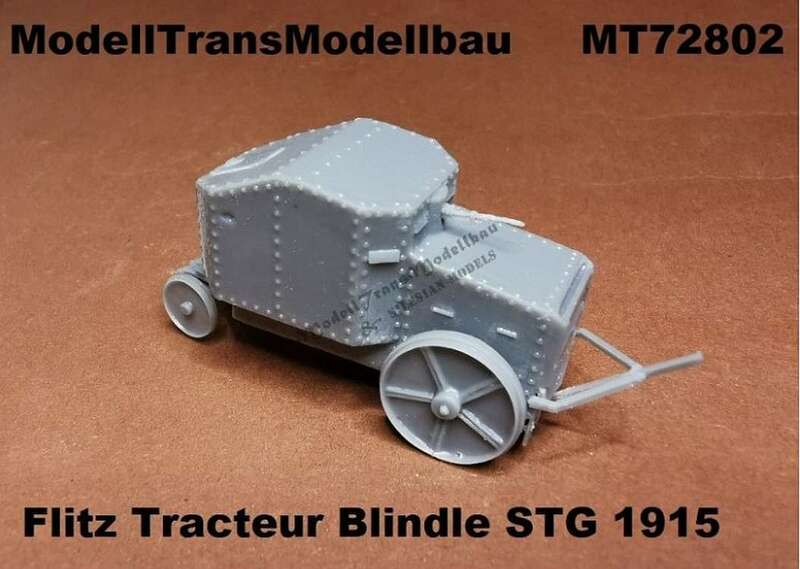 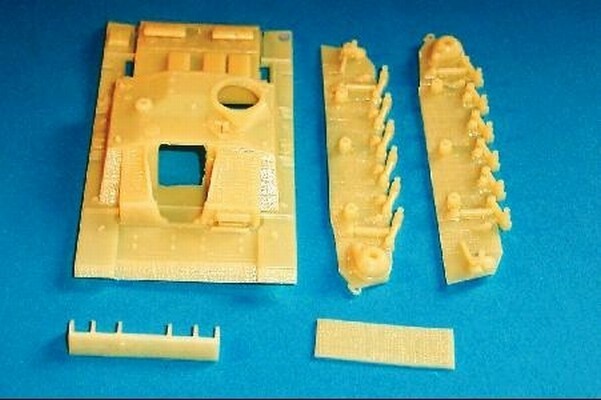 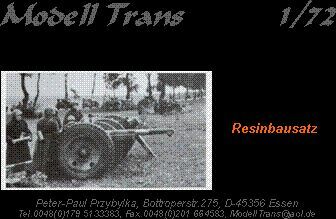 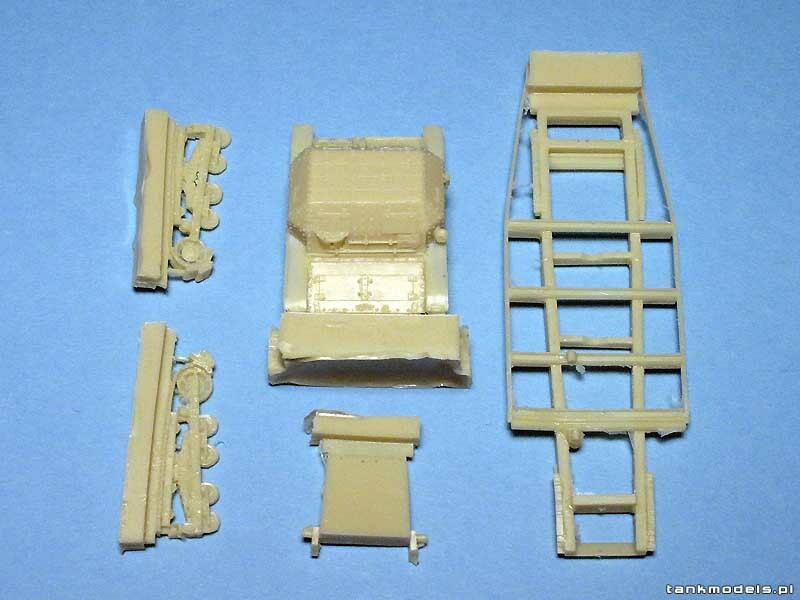 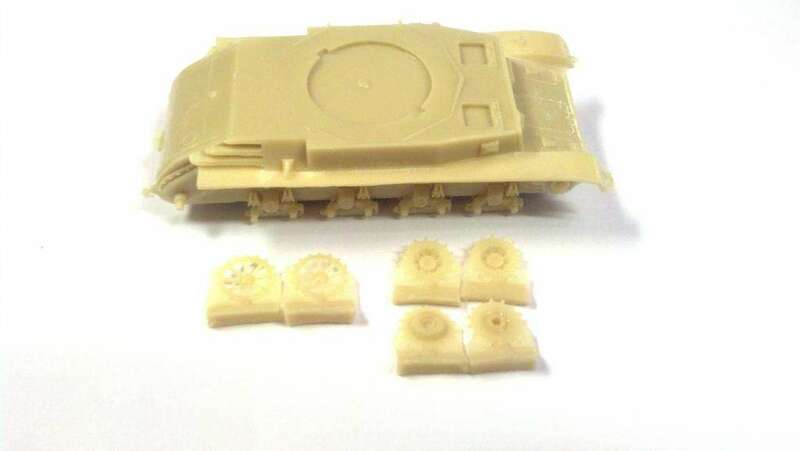 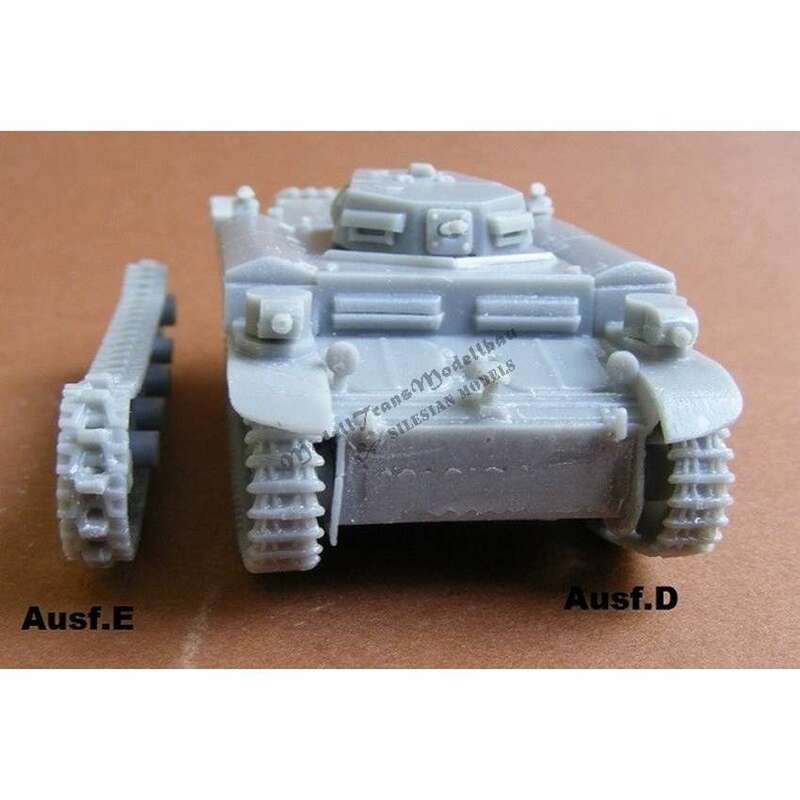 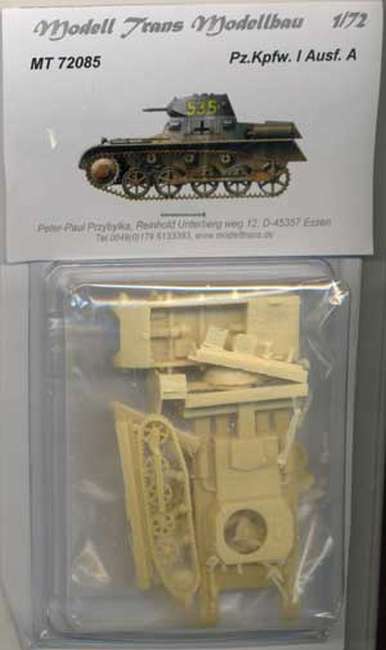 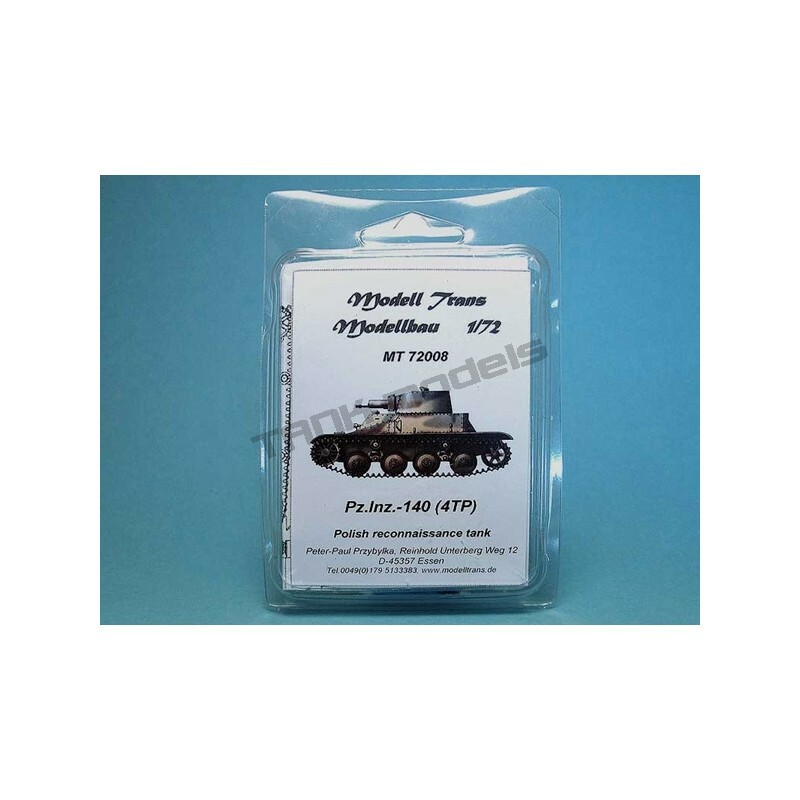 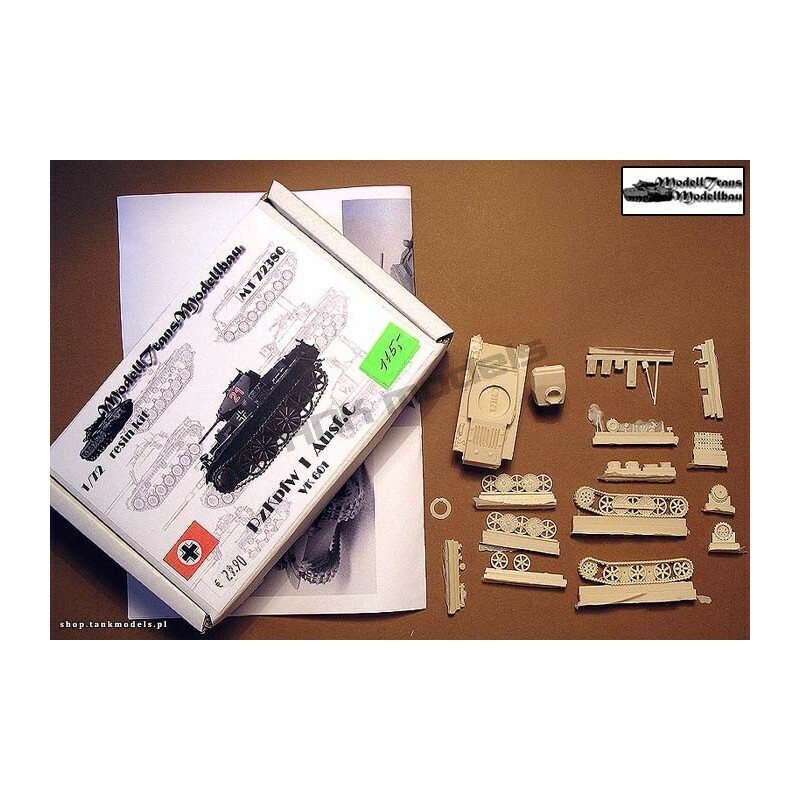 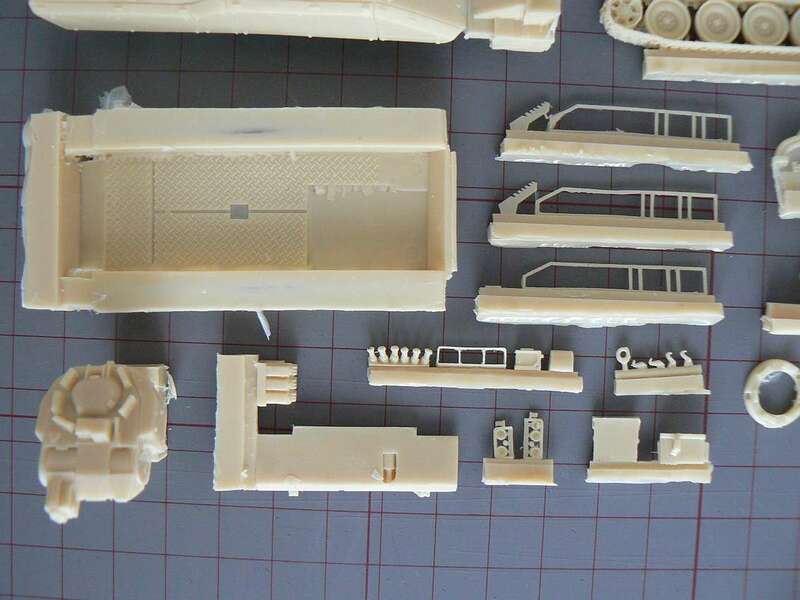 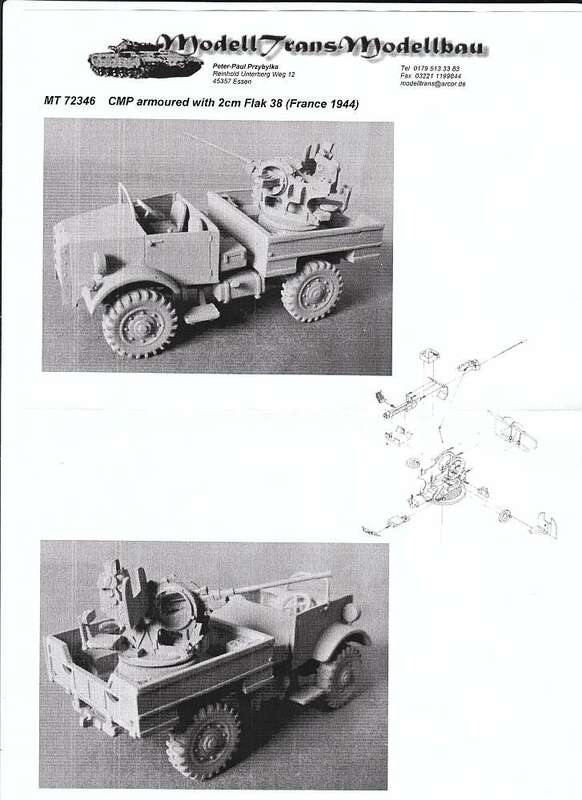 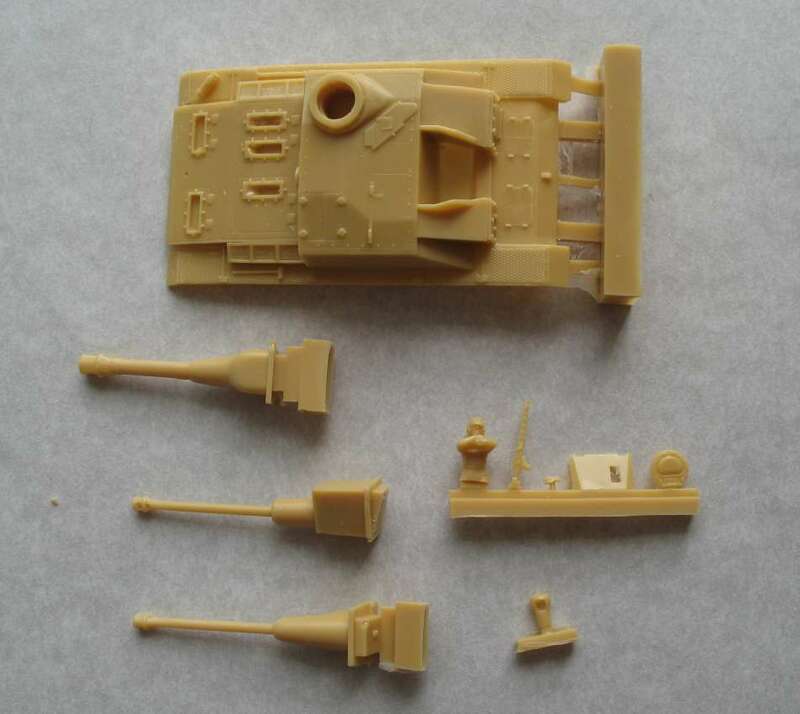 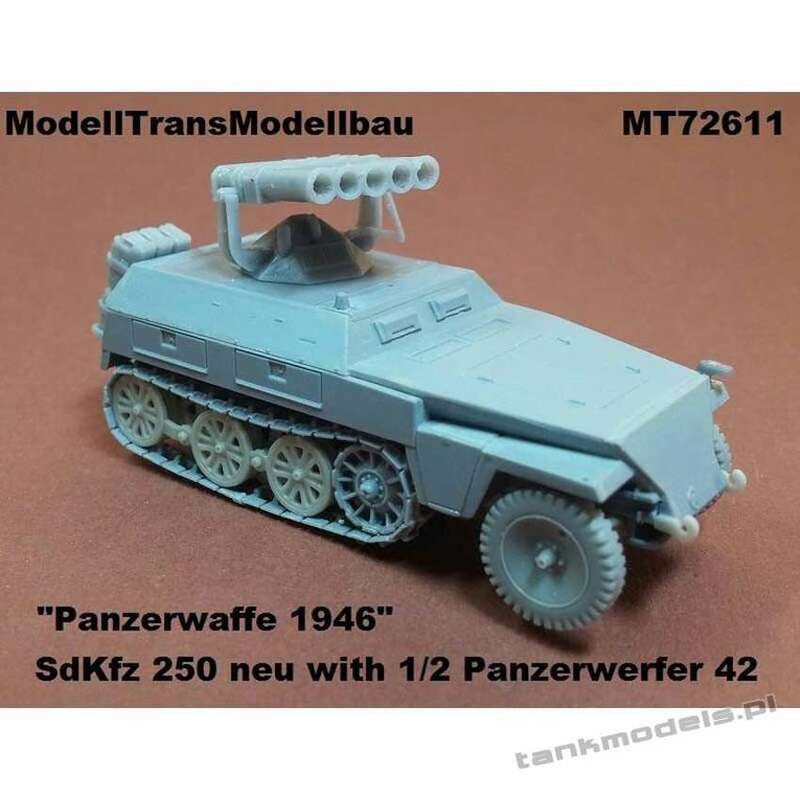 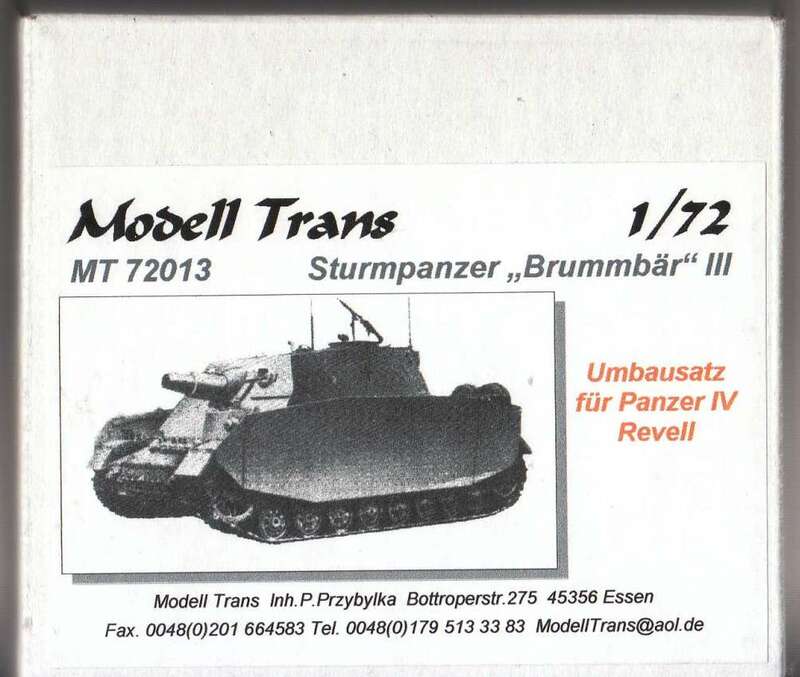 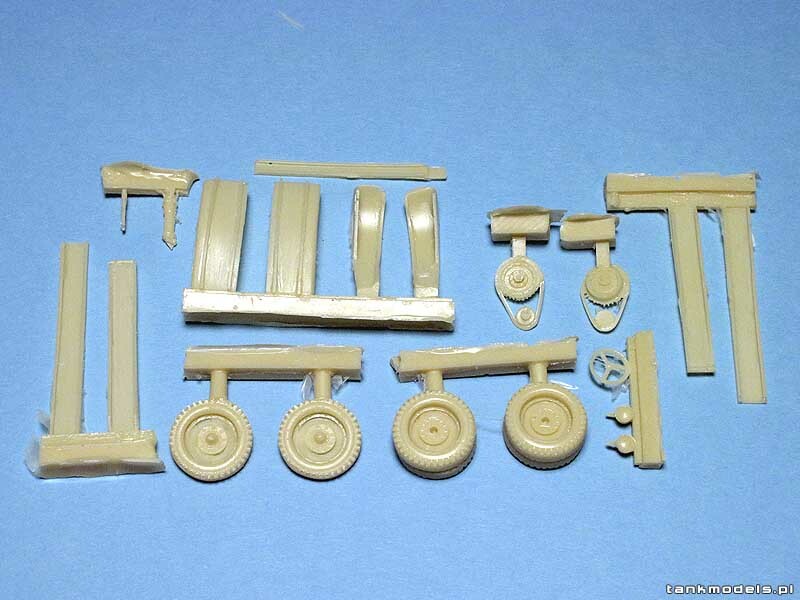 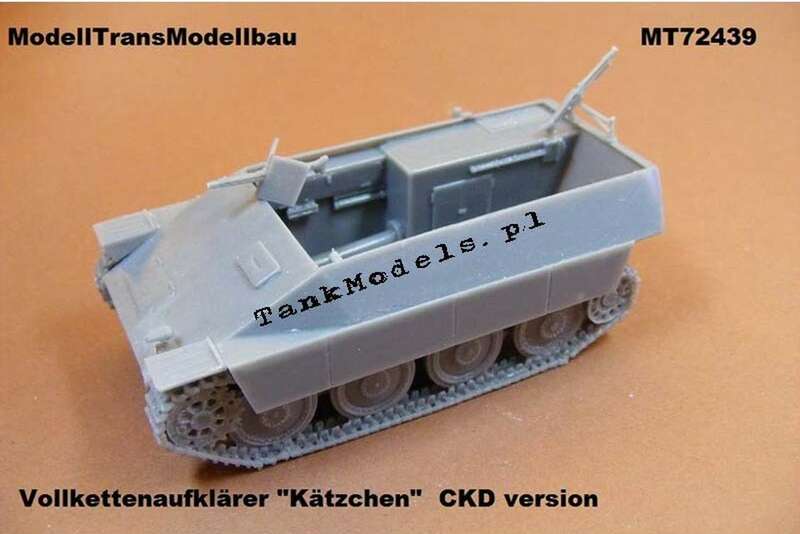 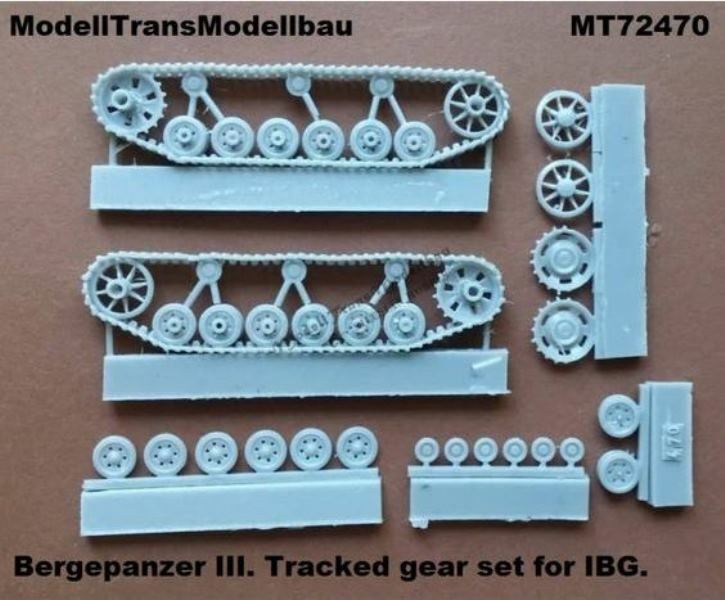 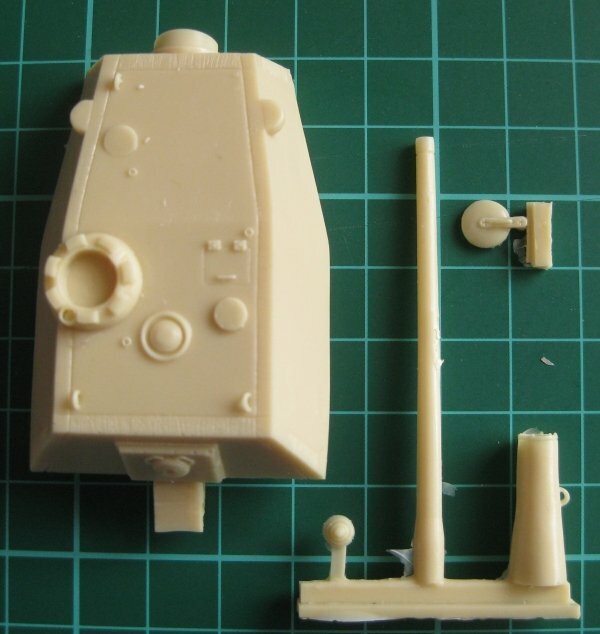 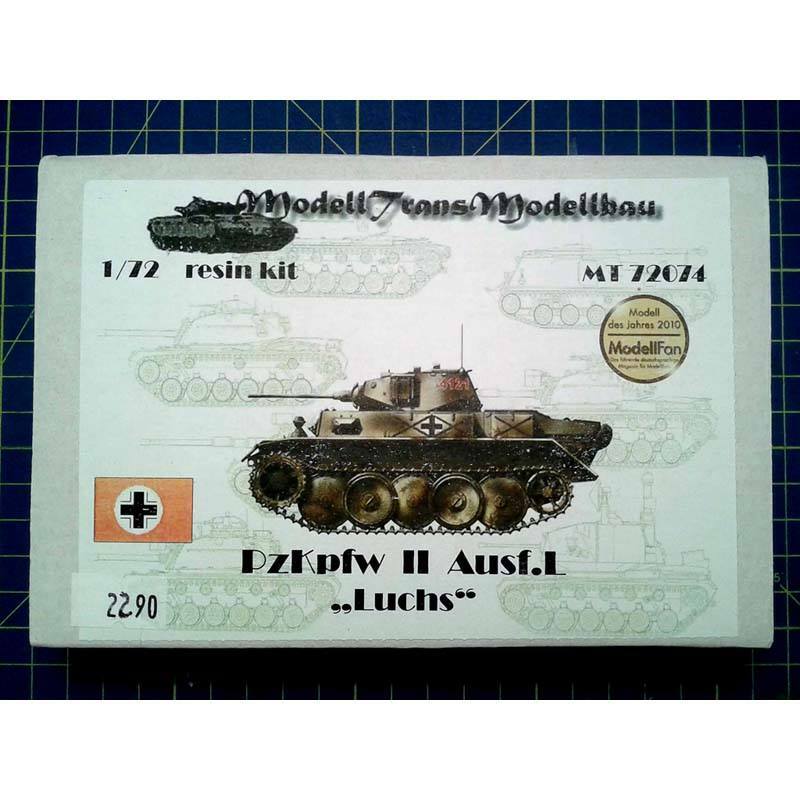 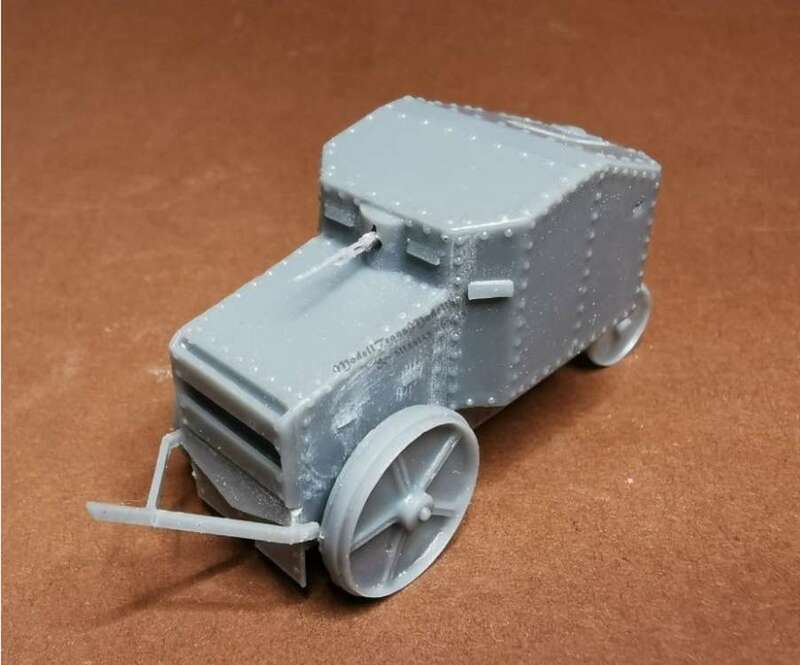 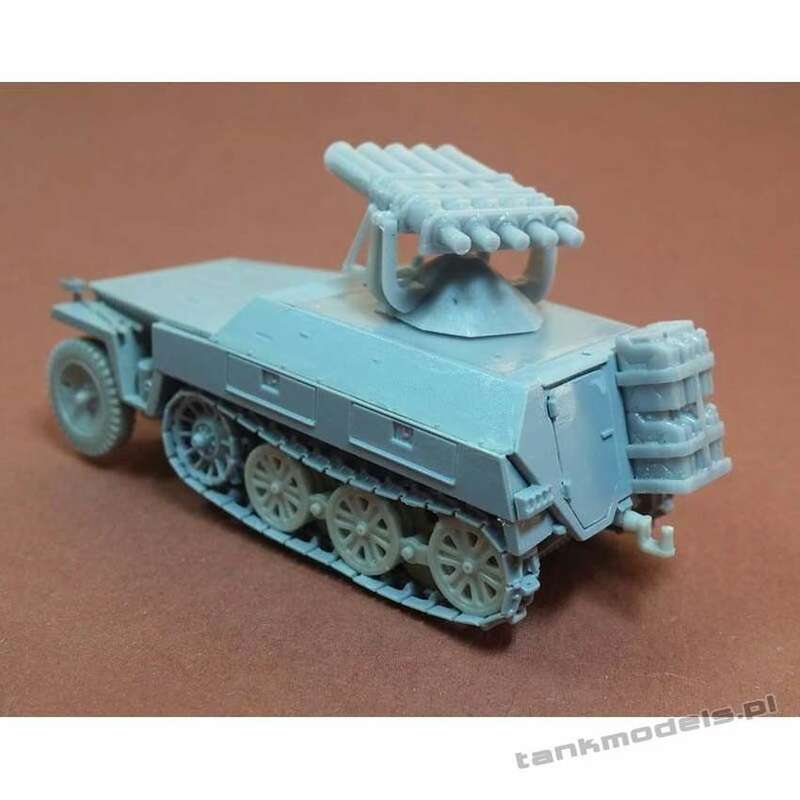 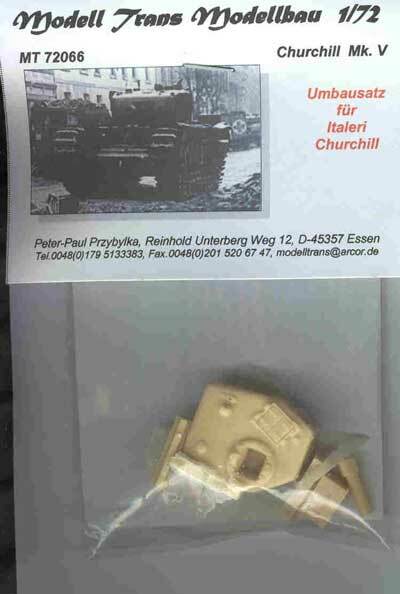 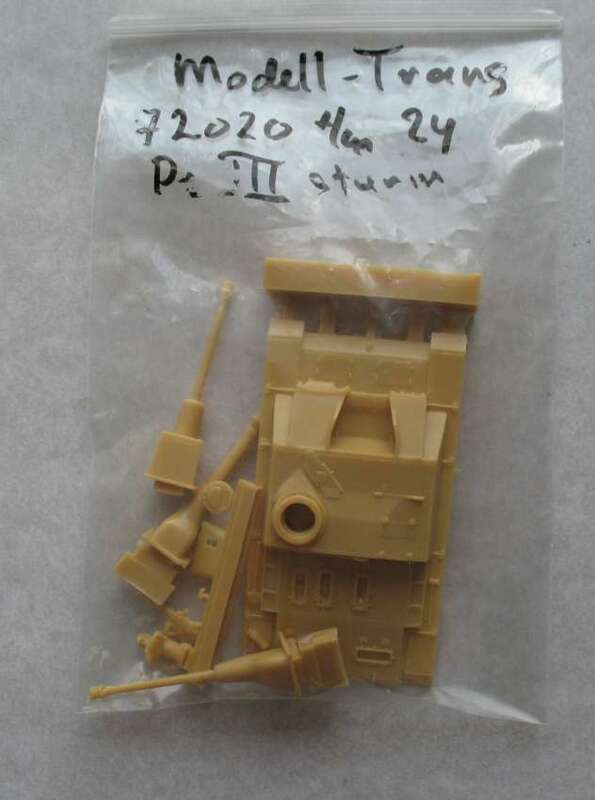 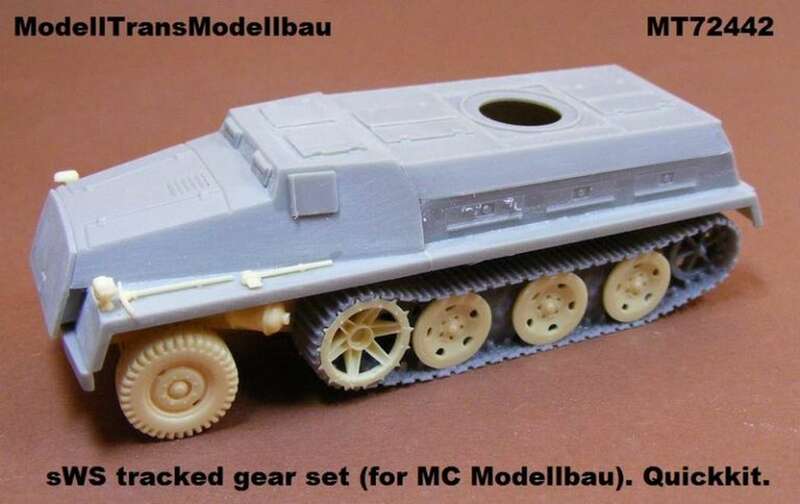 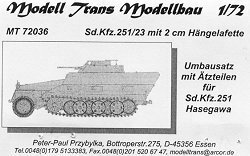 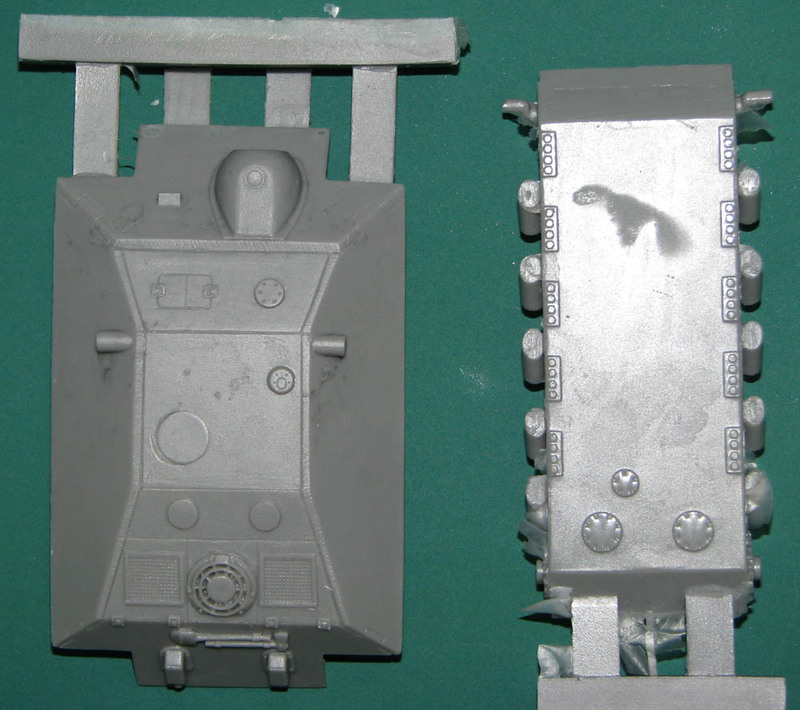 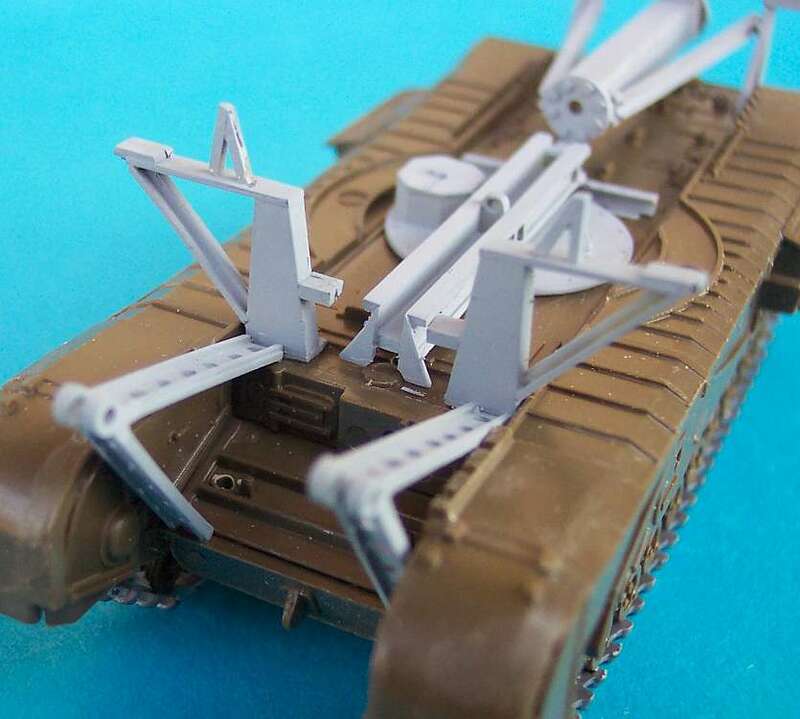 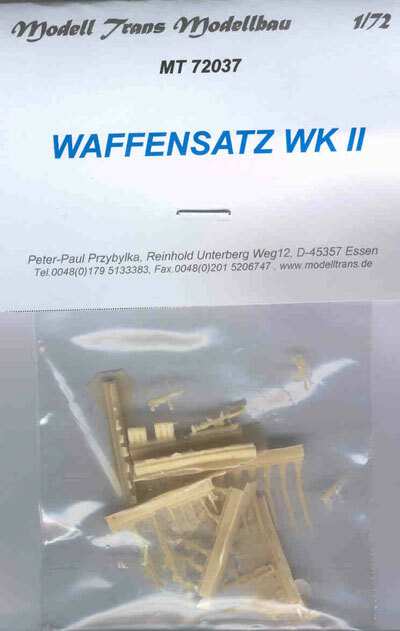 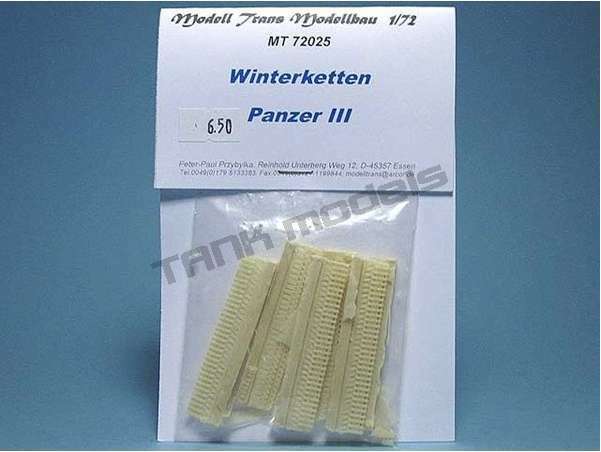 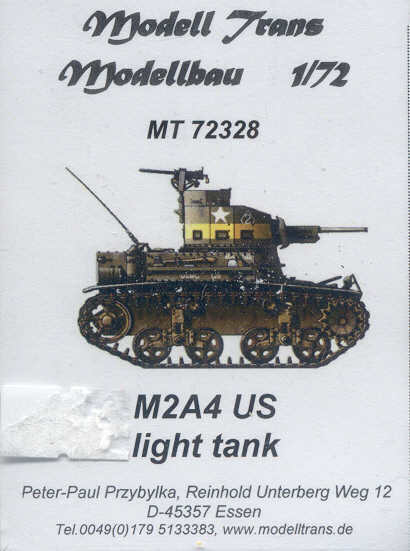 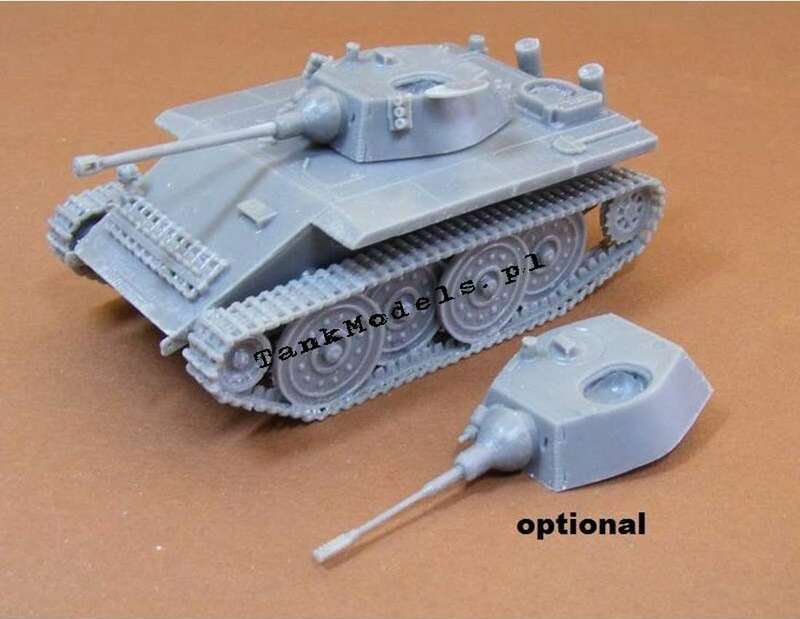 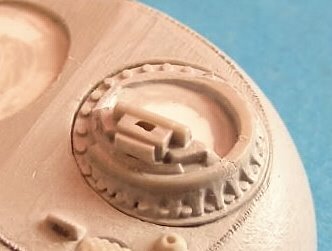 Kit MT72446 - M4A2 Sherman "BARV"
Kit MT72606 - SdKfz 250/8 neu with 7,5 cm KwK 37 "Stummel"
Kit MT72802 - Mark IV "Tadpole"
Kit MT72803 - Mark V "Male"
Kit MT72823 - conversion set - Mark IV Supply Tank with Crane (resin parts) - (For use with the Emhar Mk IV kit). 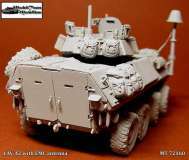 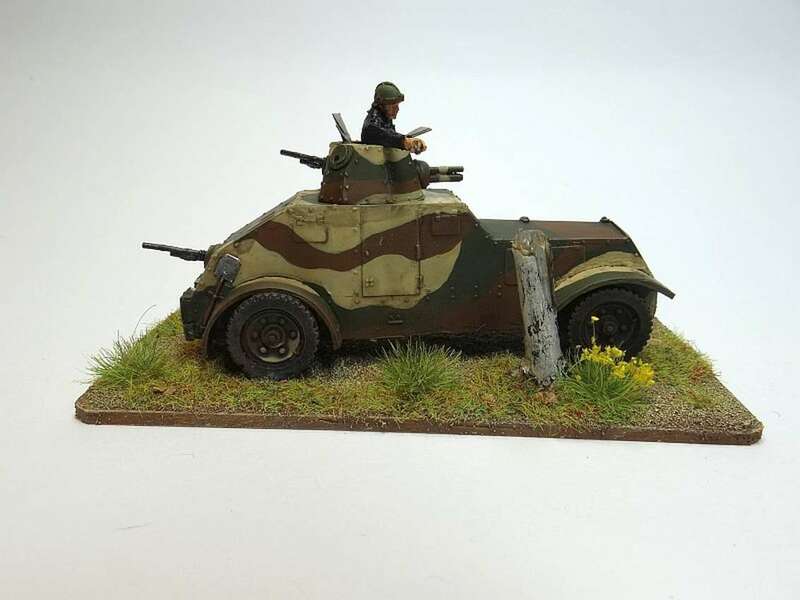 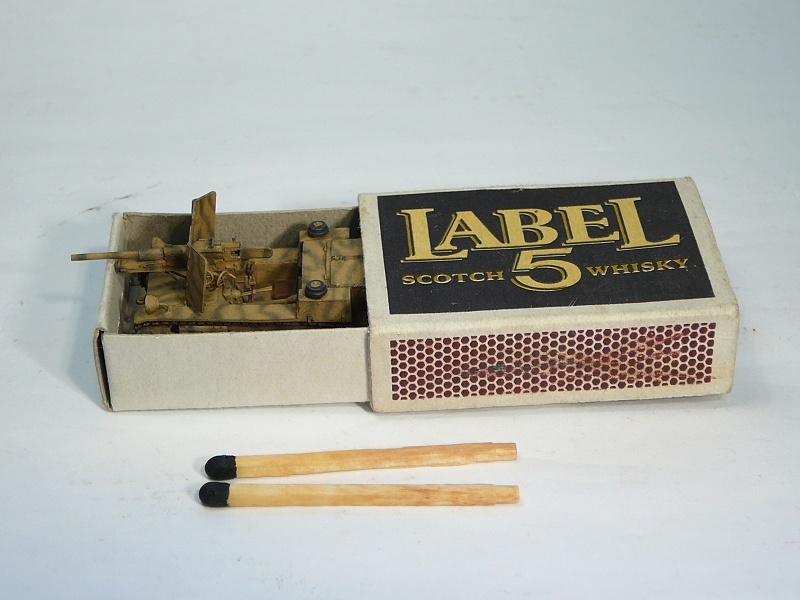 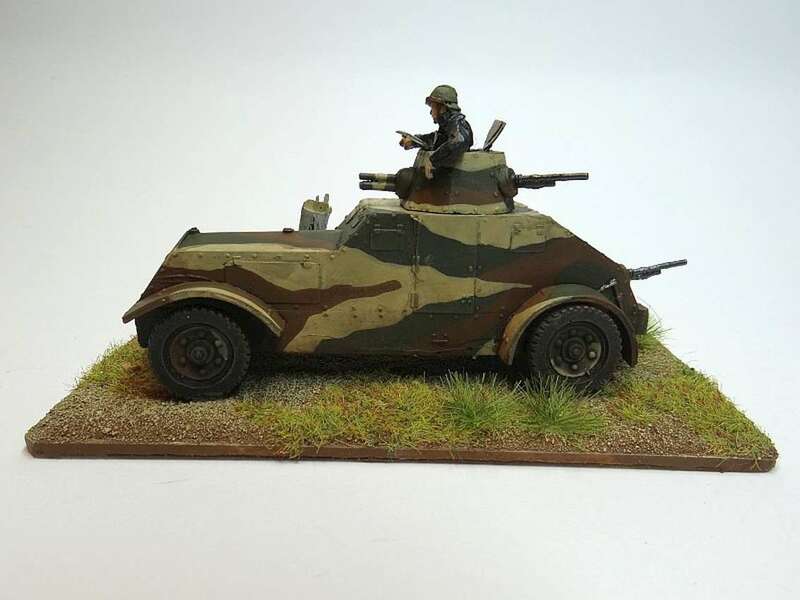 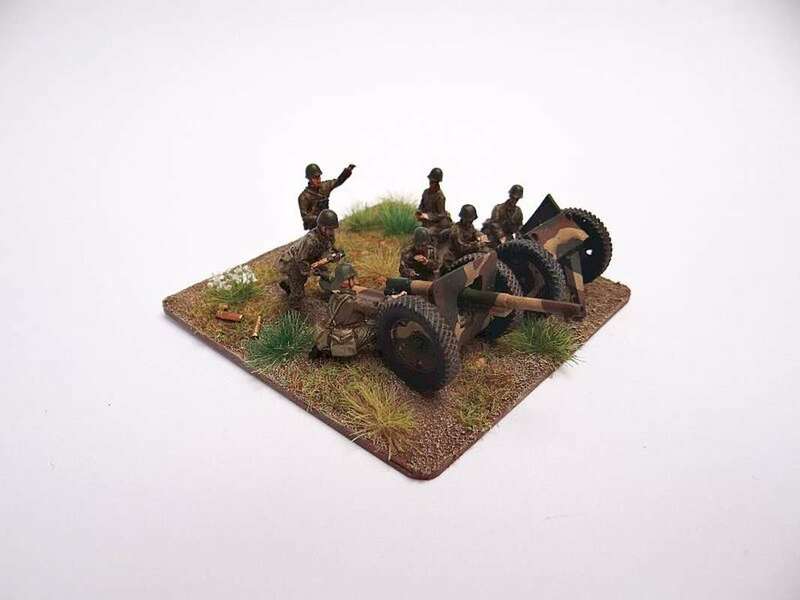 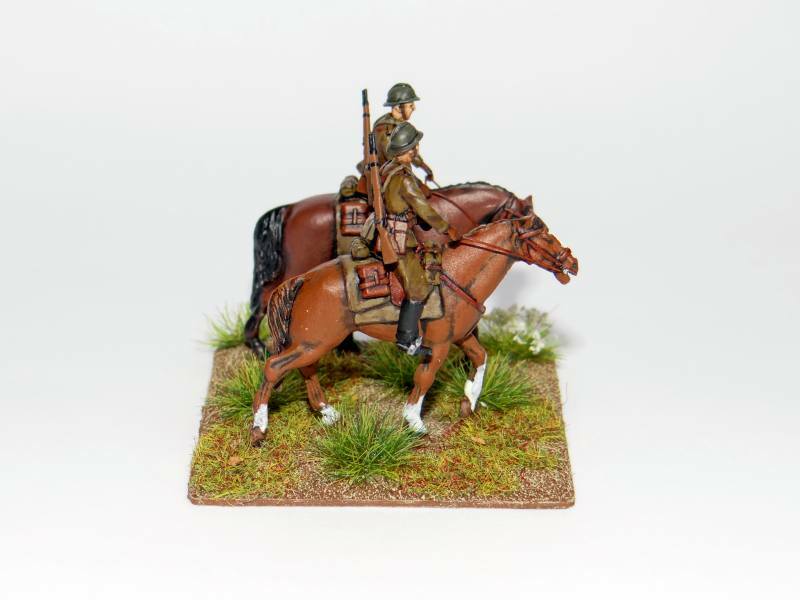 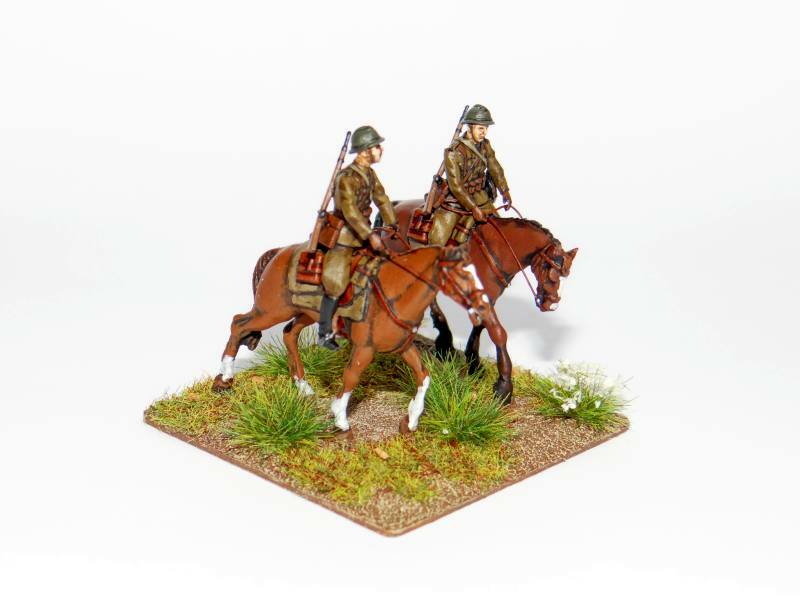 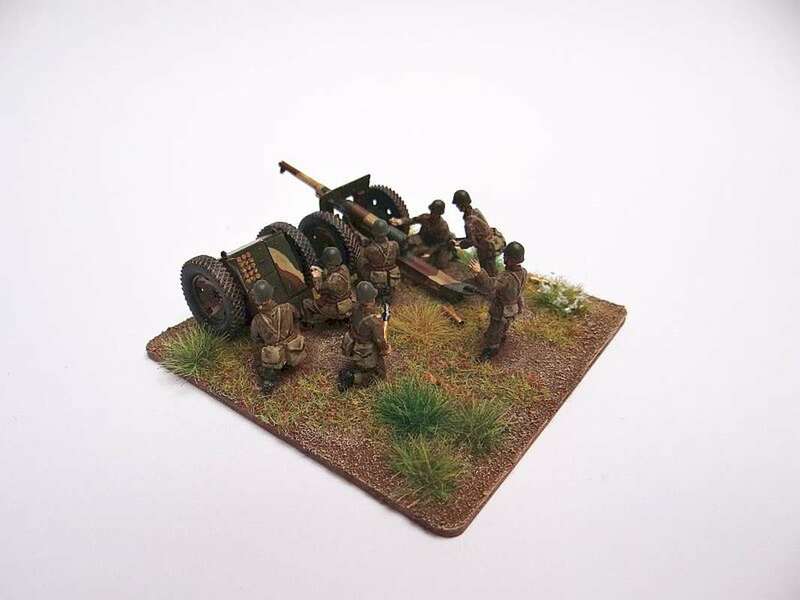 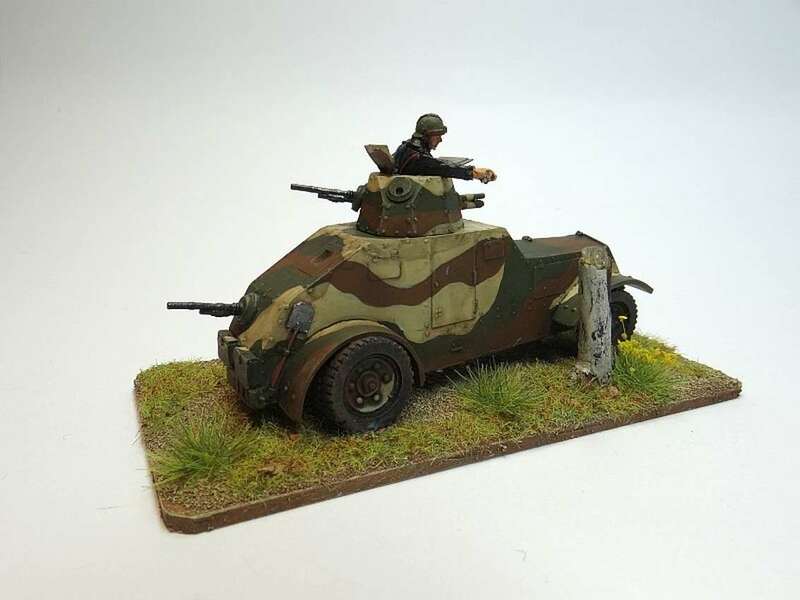 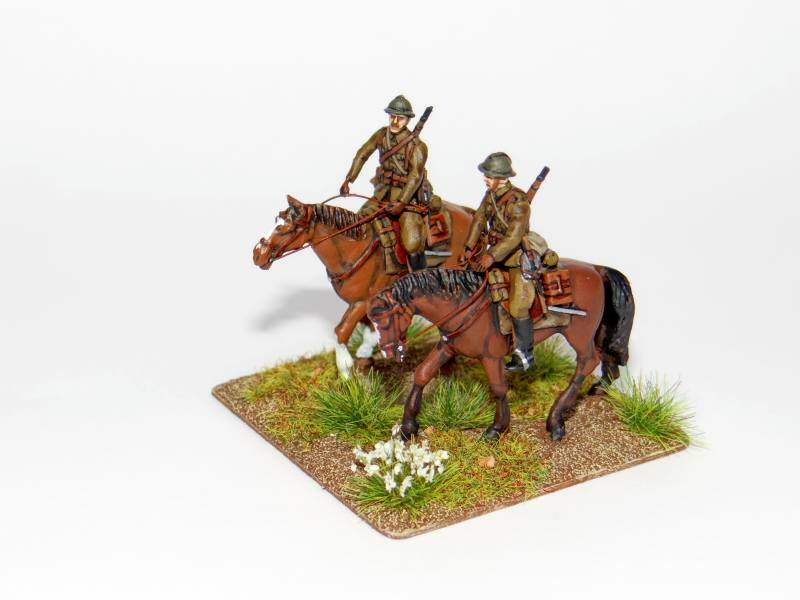 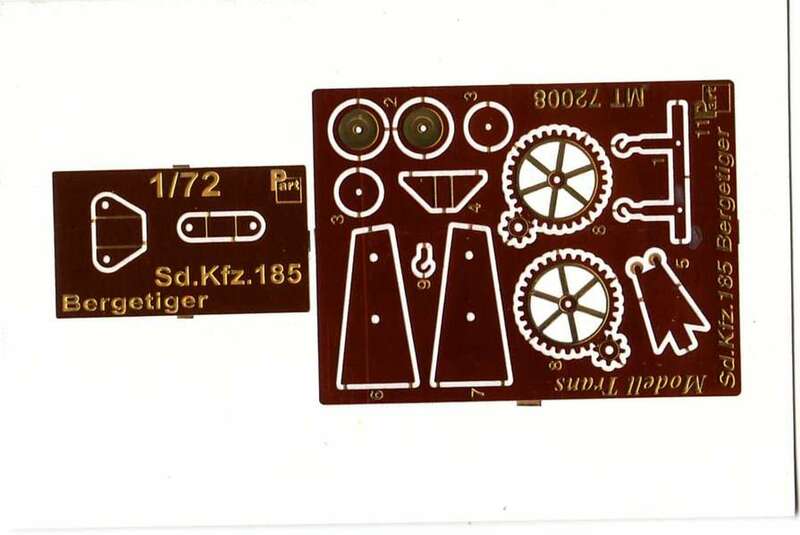 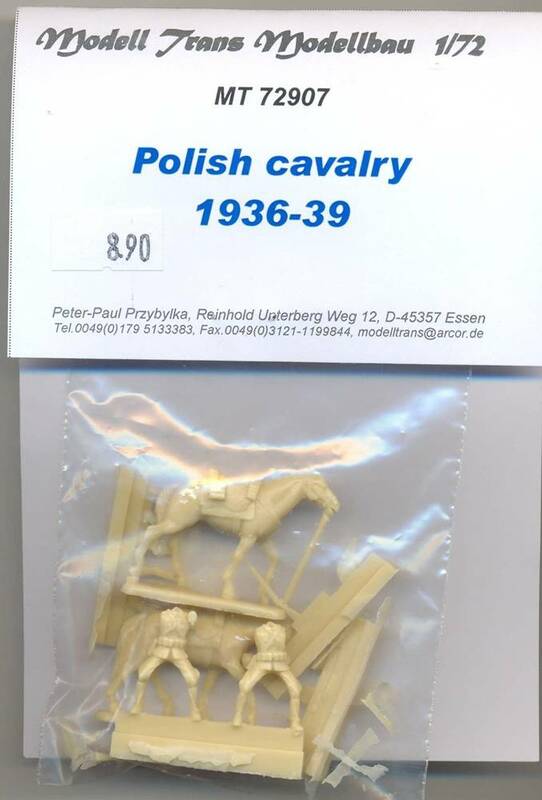 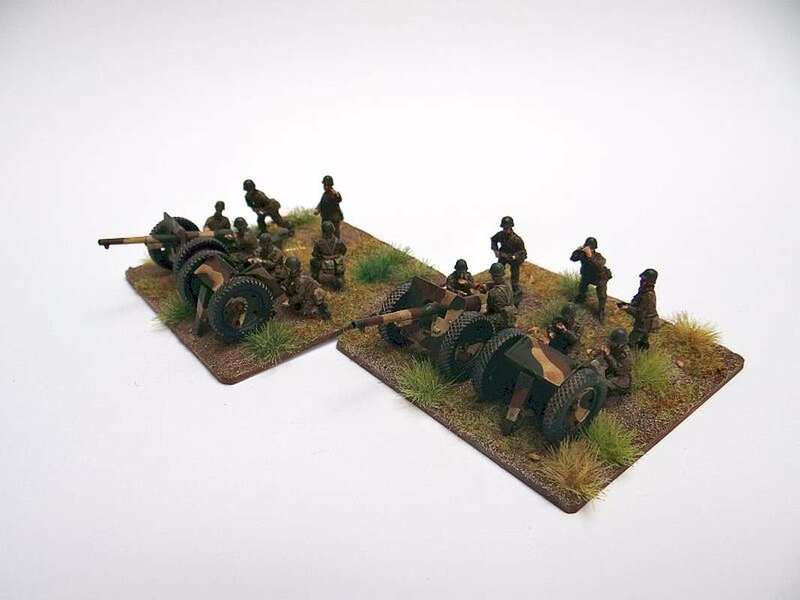 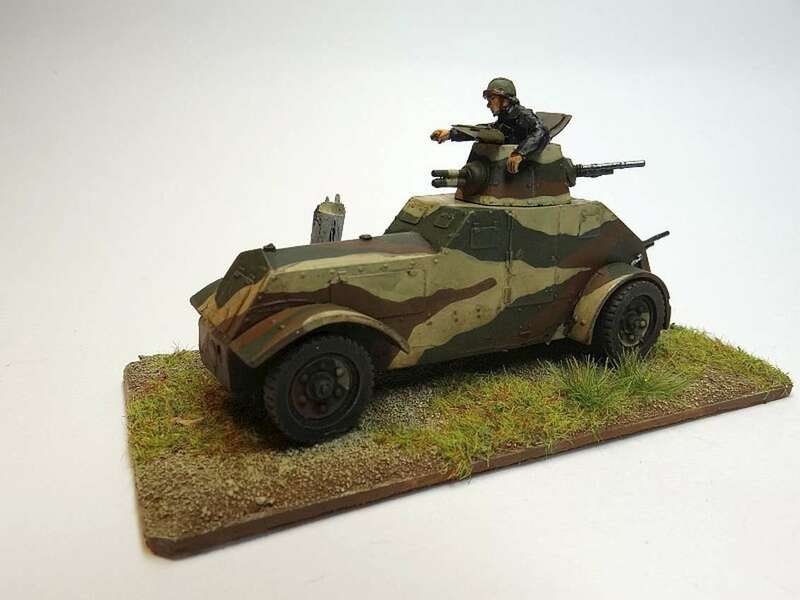 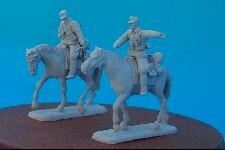 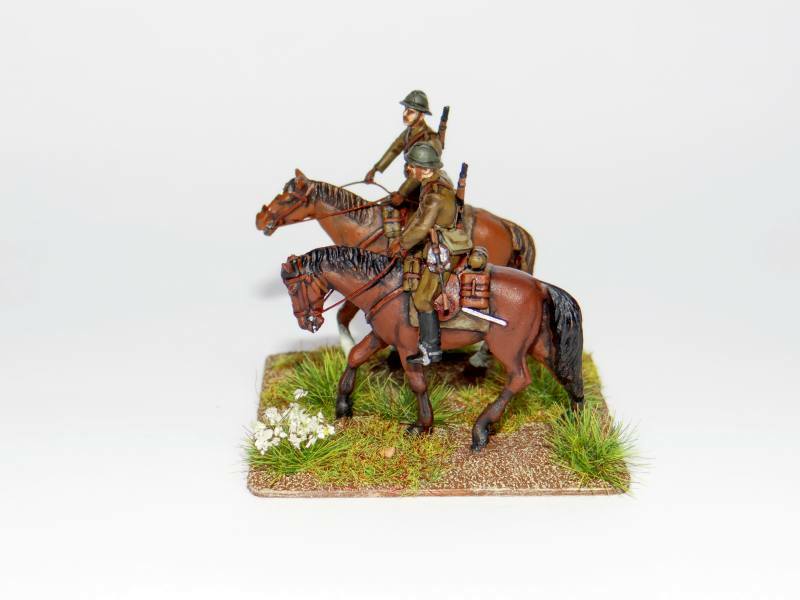 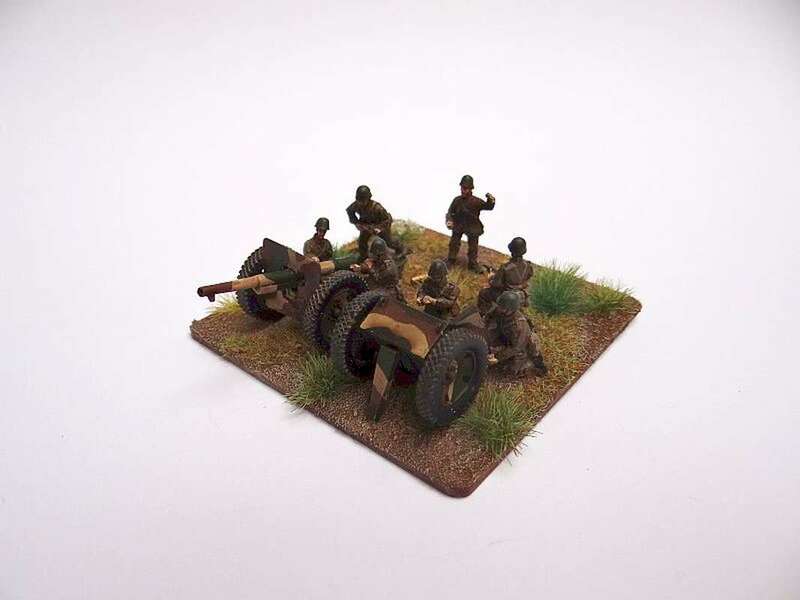 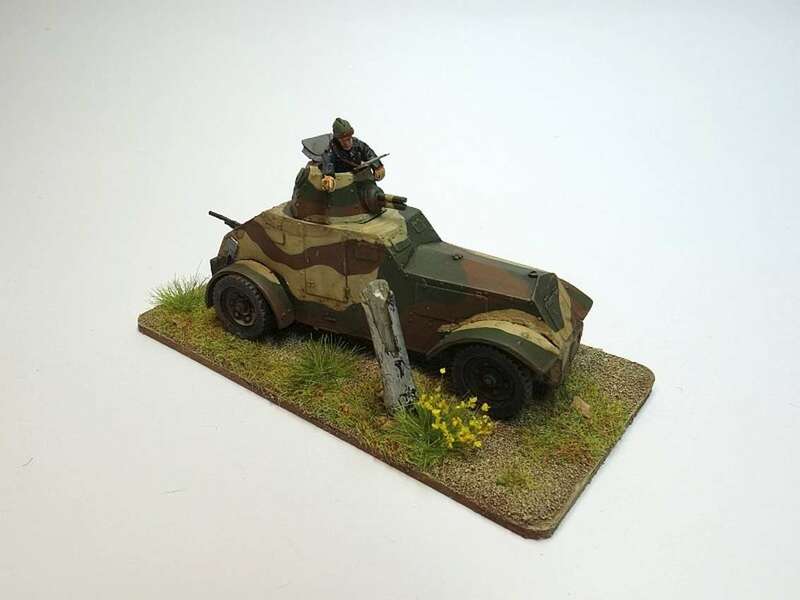 Kit MT72901 - Floryan Geyer 8 SS Cav.Div.